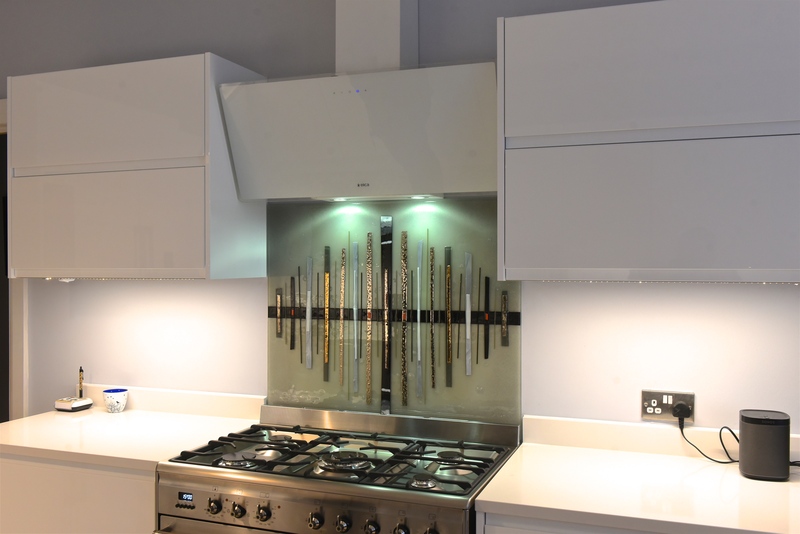 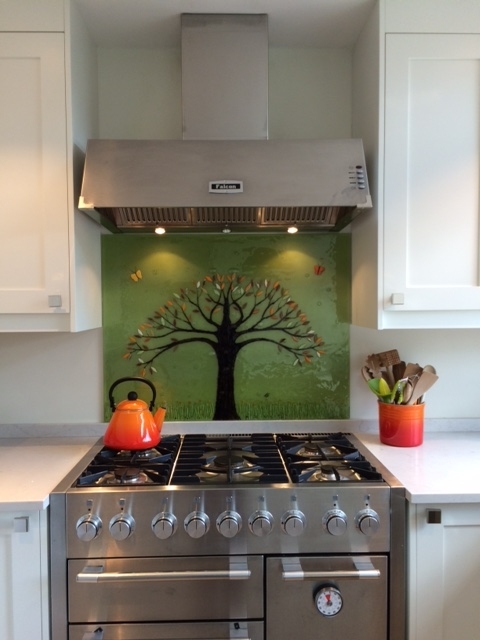 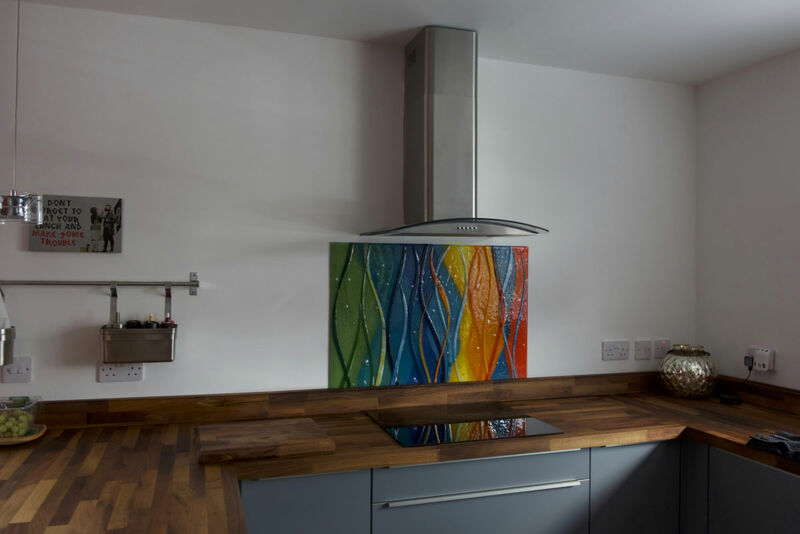 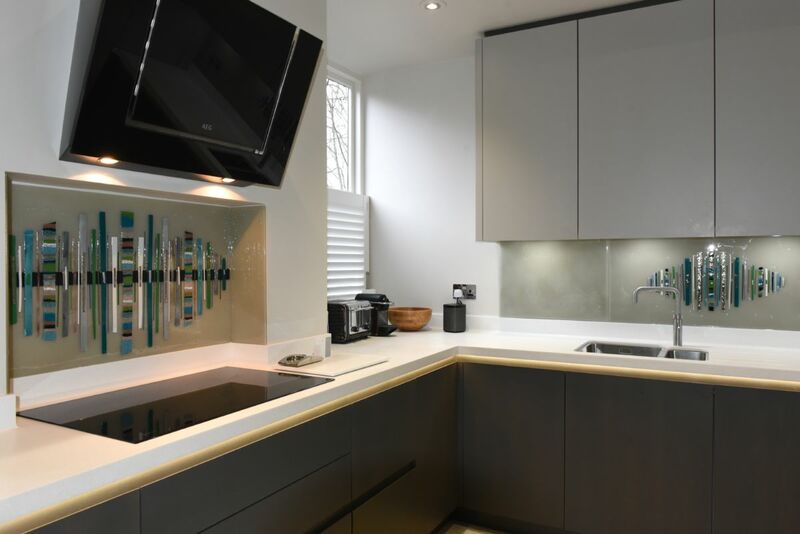 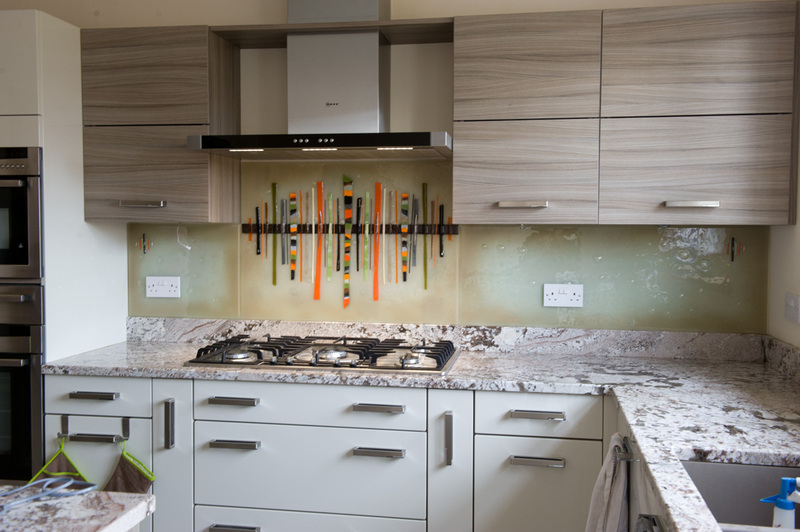 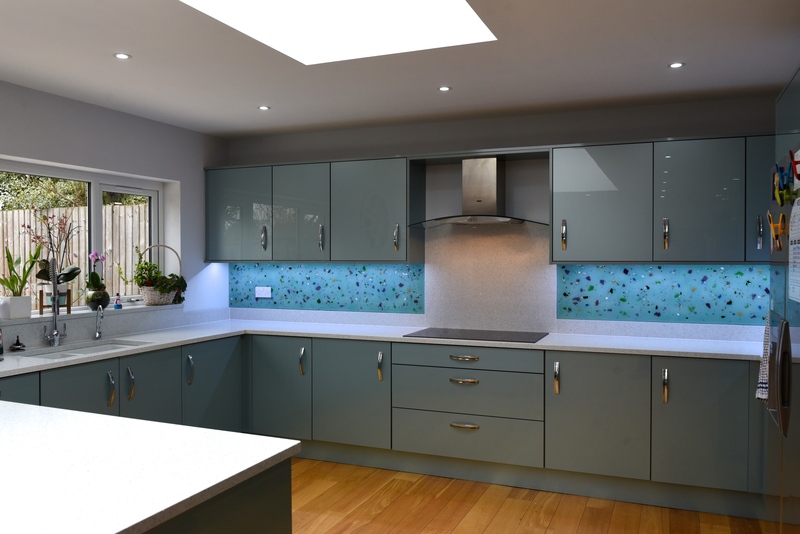 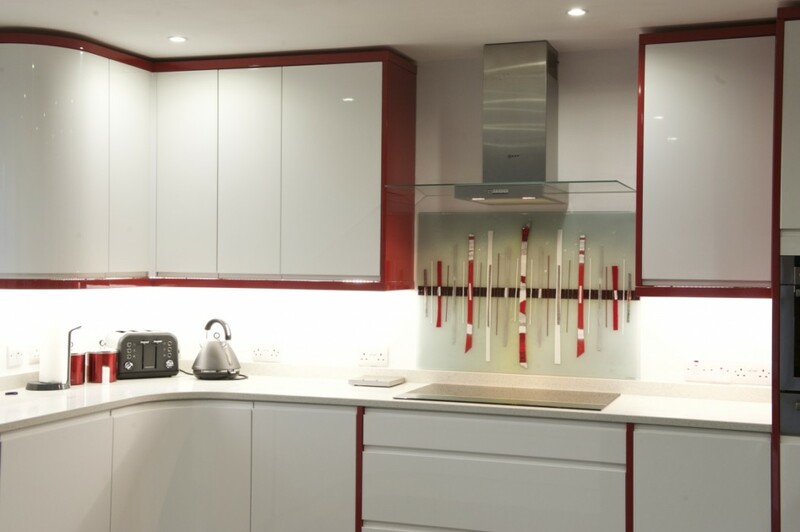 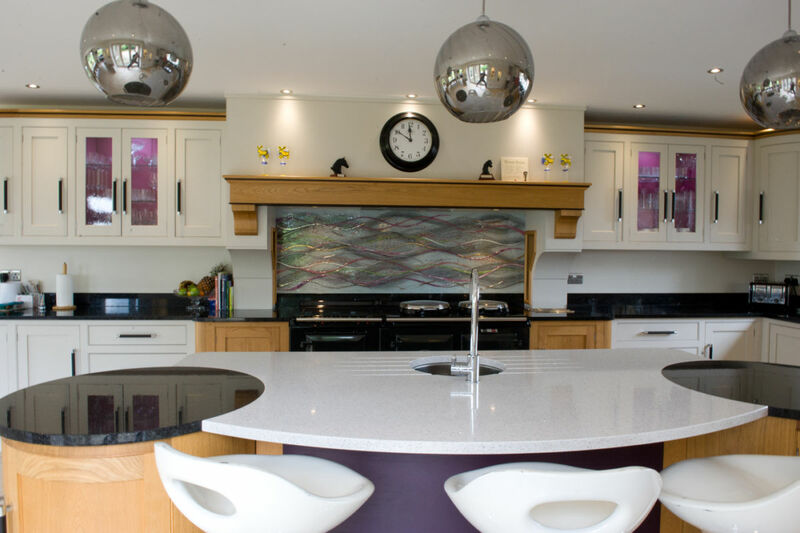 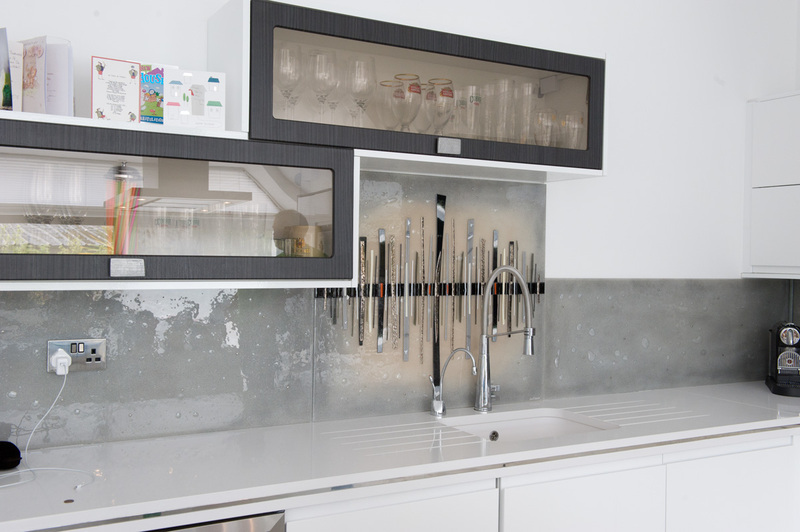 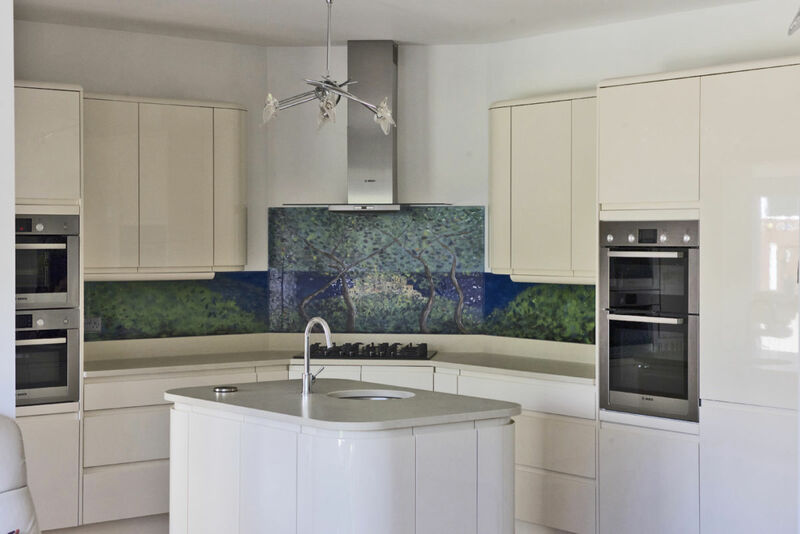 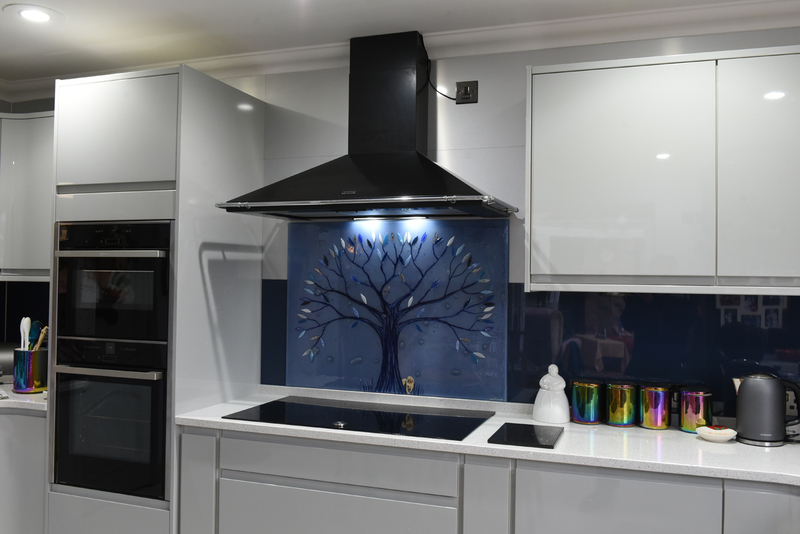 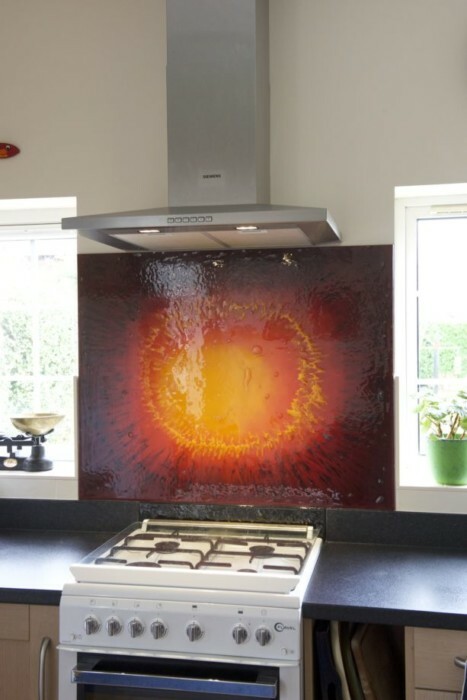 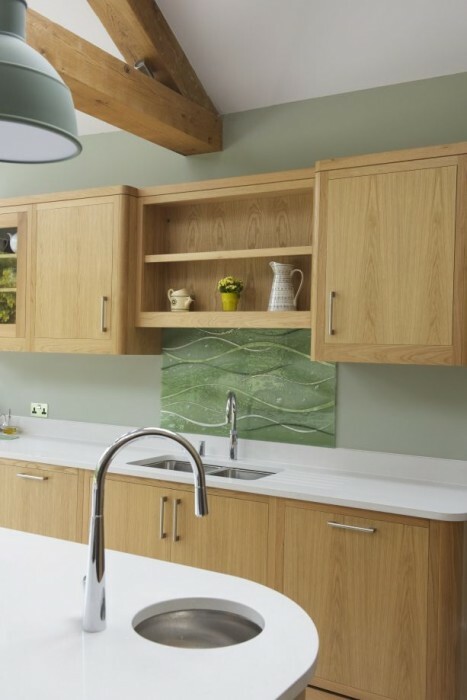 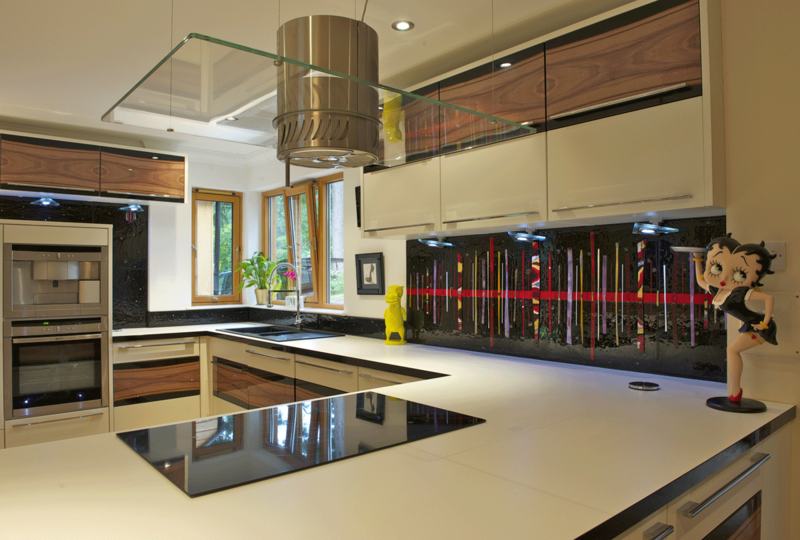 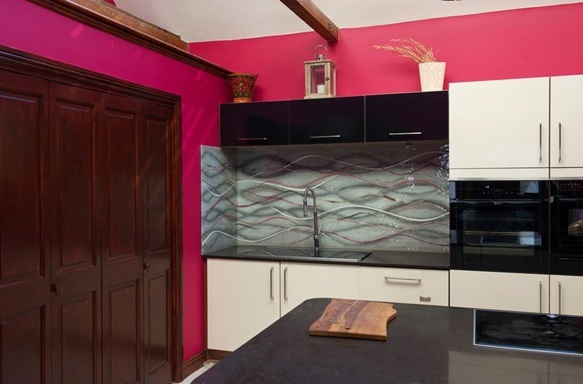 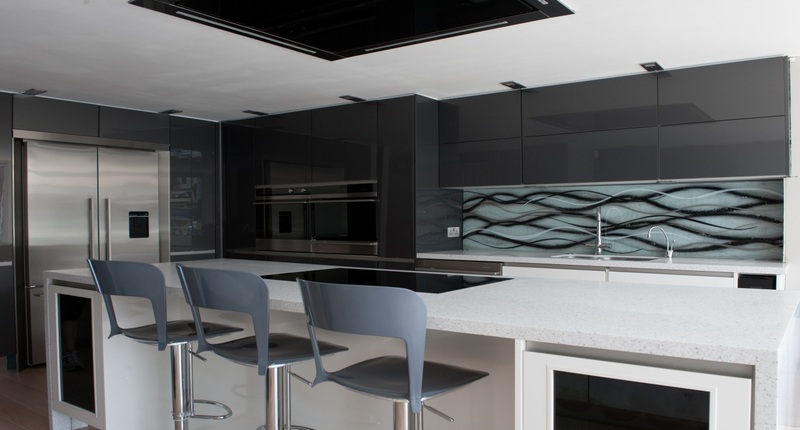 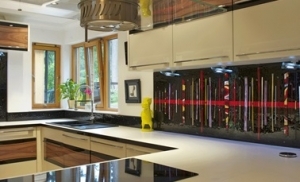 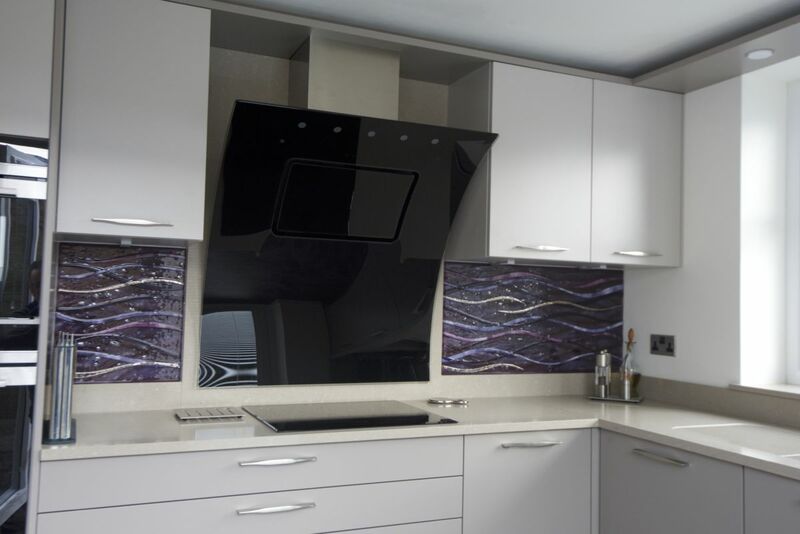 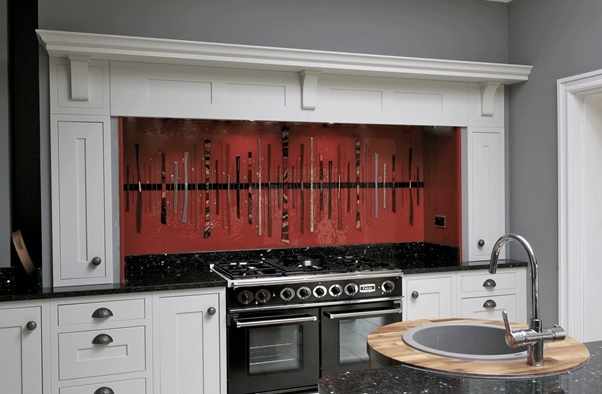 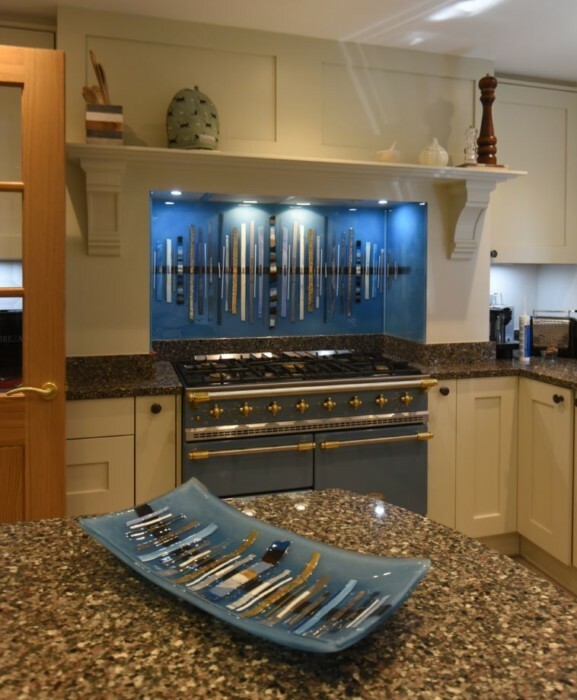 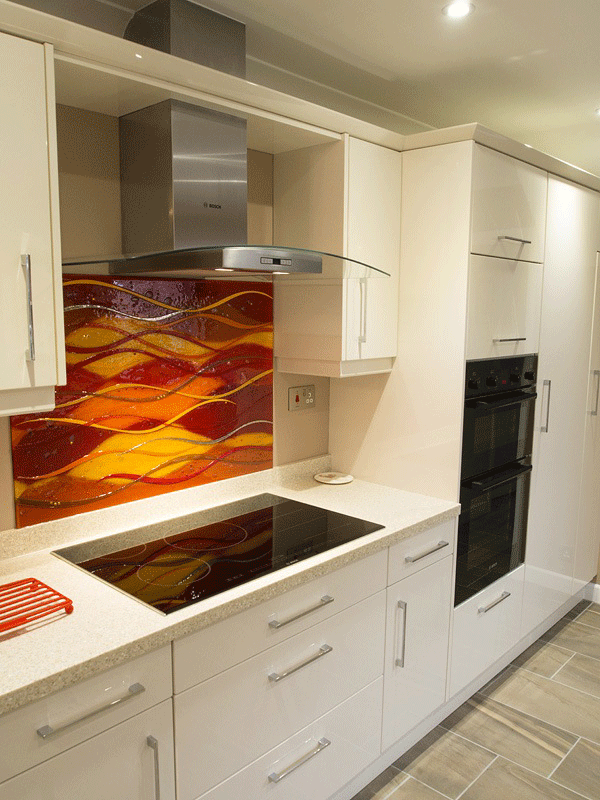 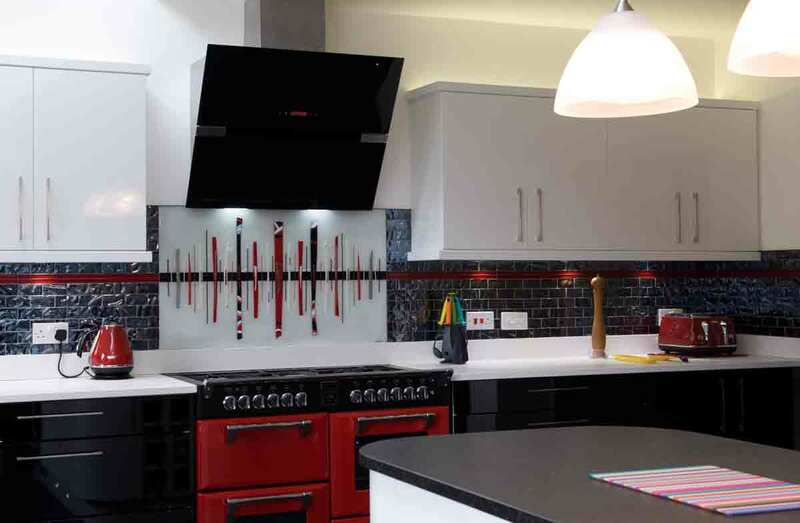 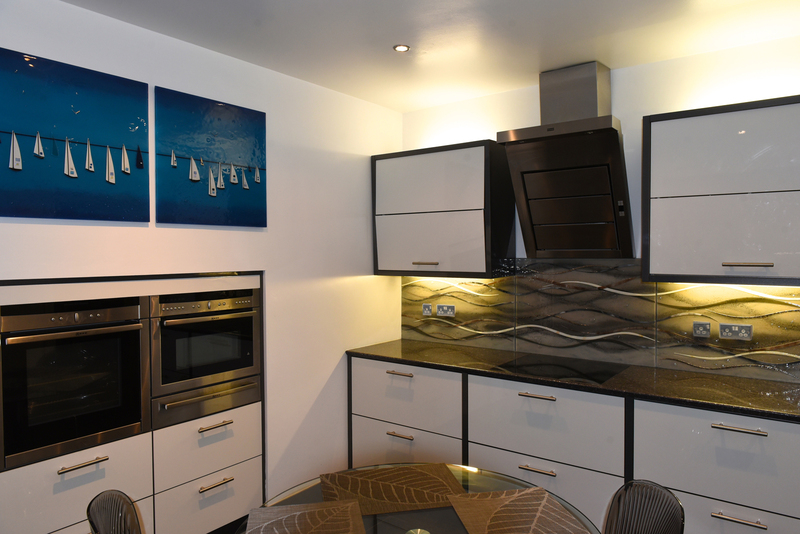 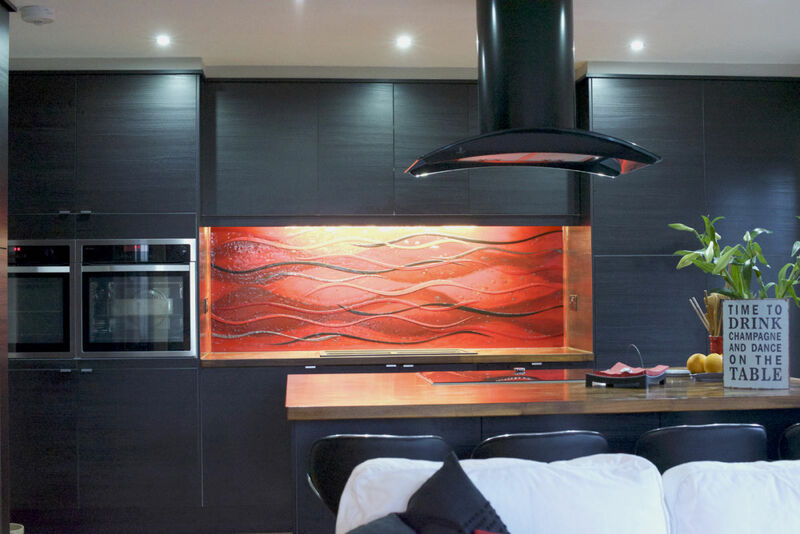 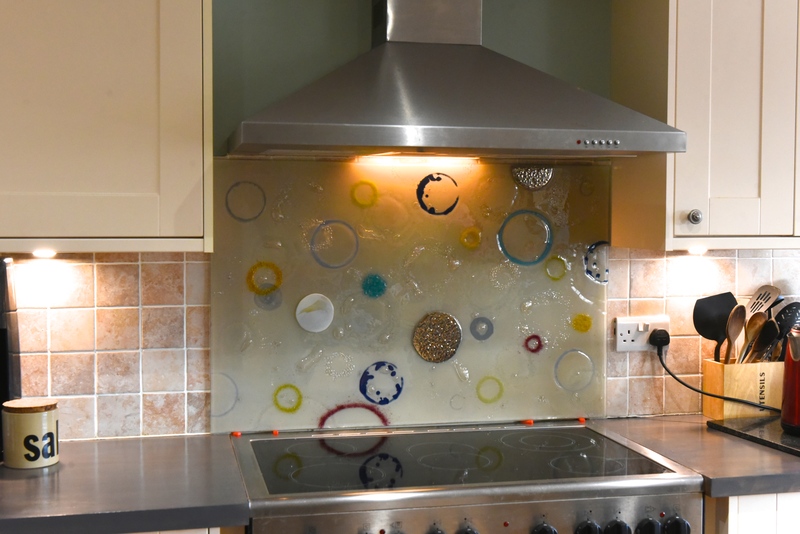 Fused glass splashbacks and coloured glass splashbacks are often mixed up for one another, and it’s an easy mistake to make if you’re unfamiliar with the key differences. 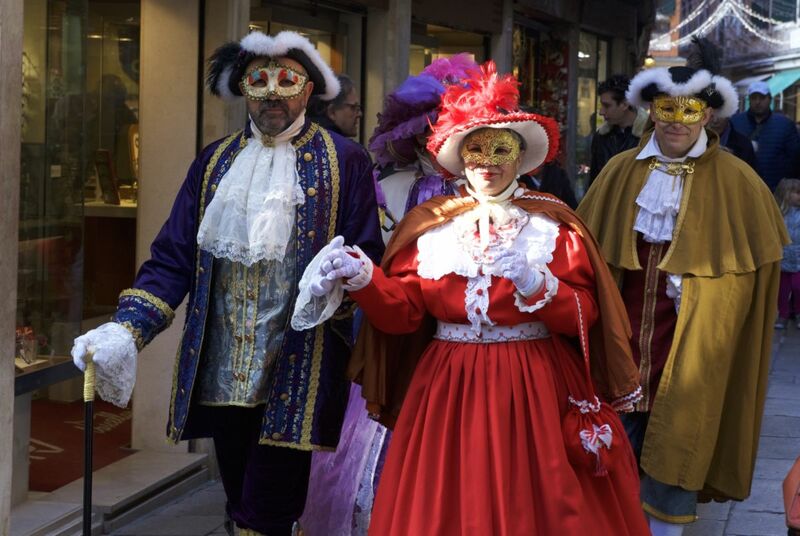 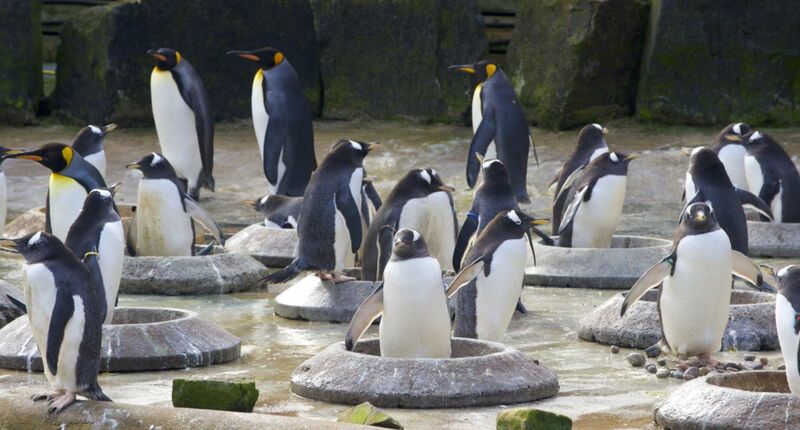 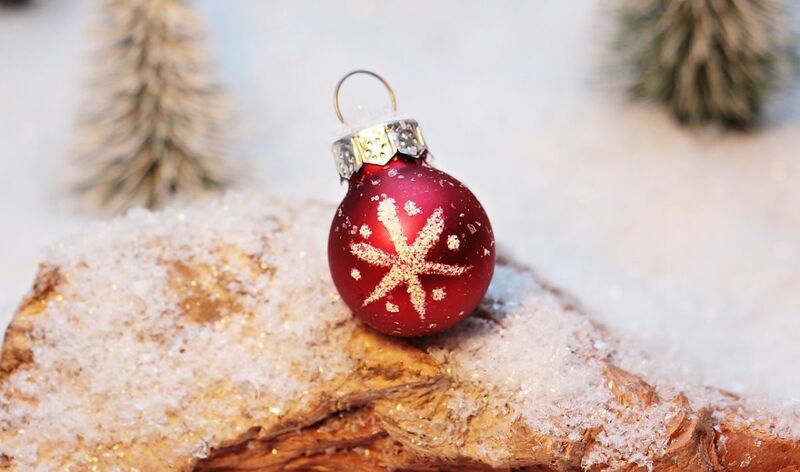 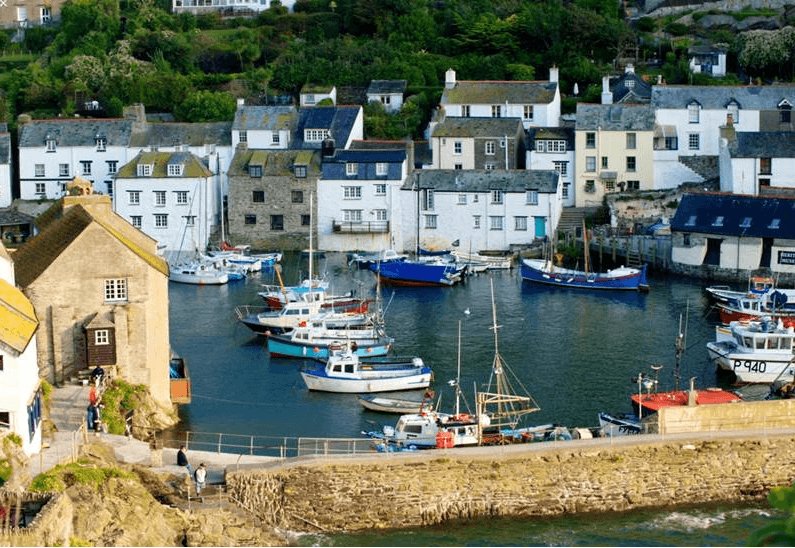 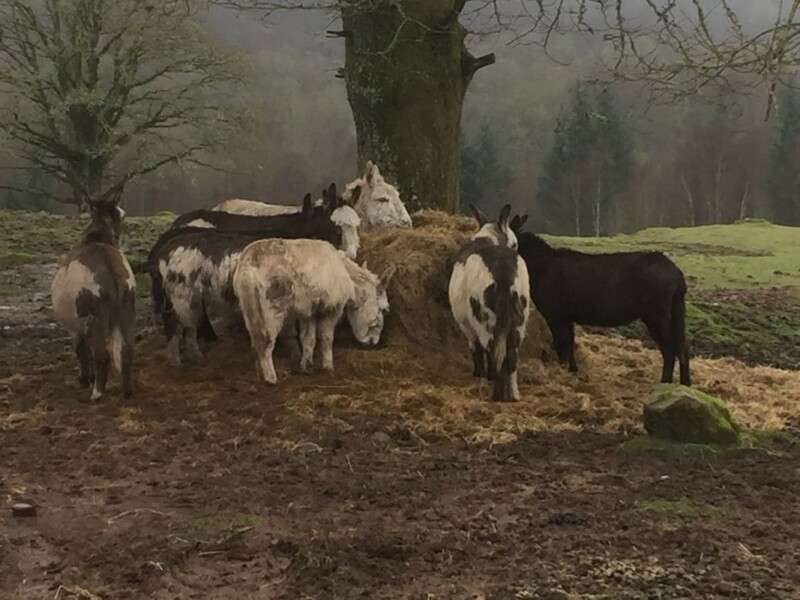 Today, we thought we’d outline just a few things that set the two apart! 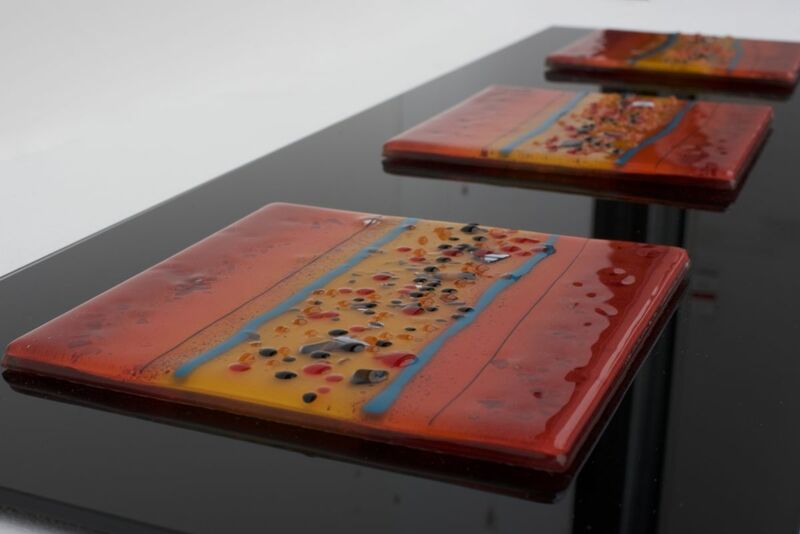 One of the biggest differences comes down to the detail that can be put into fused glass and coloured glass respectively. 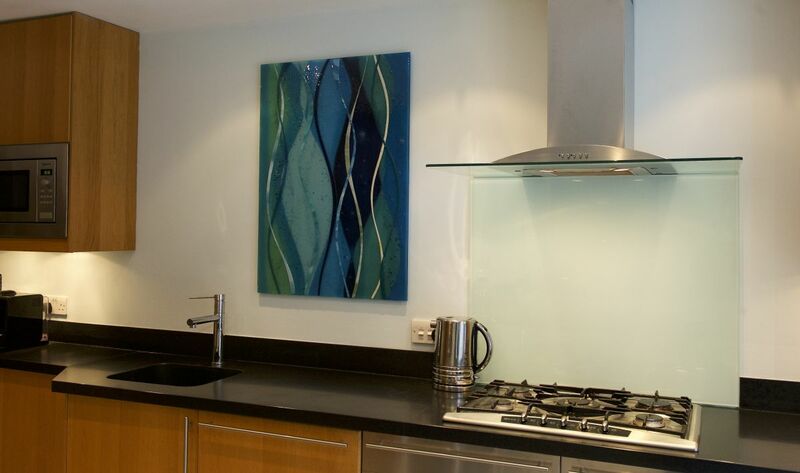 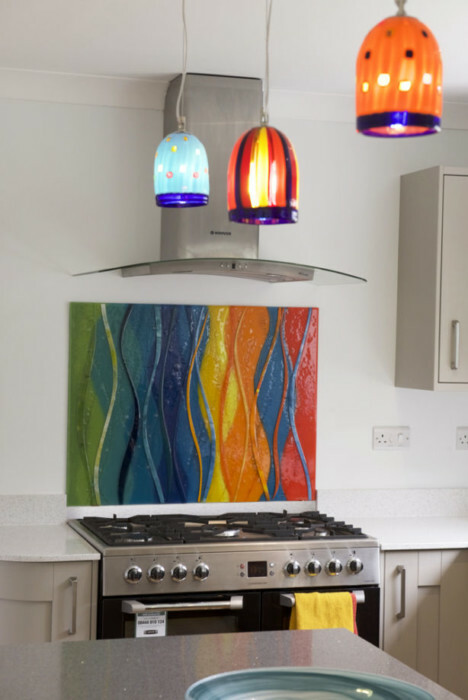 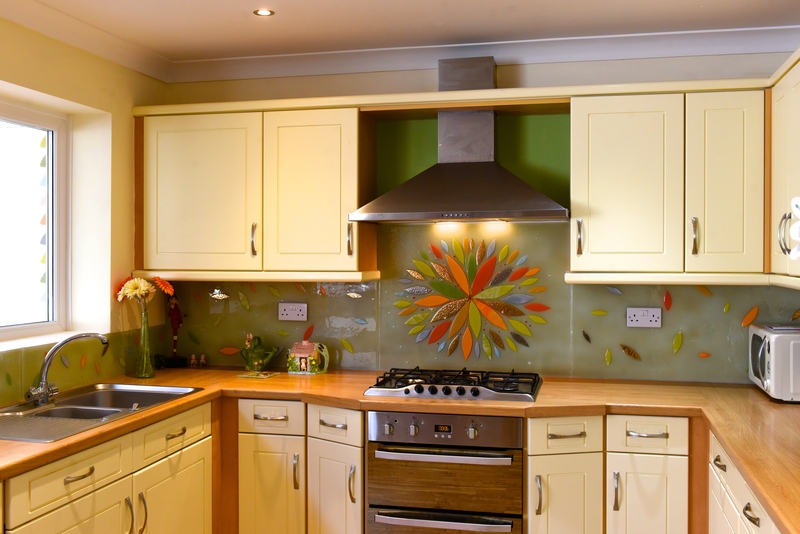 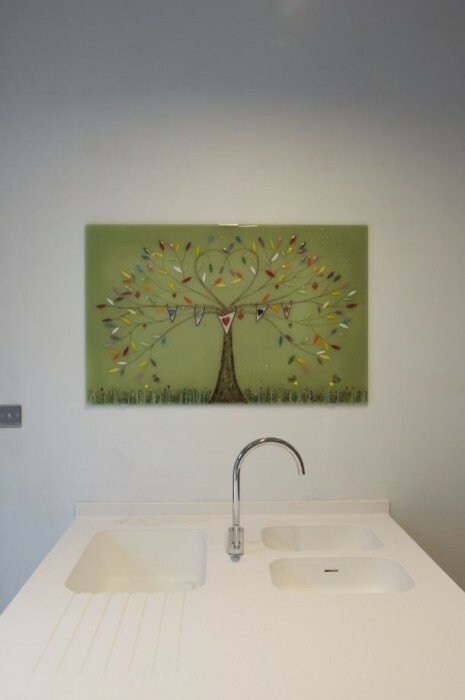 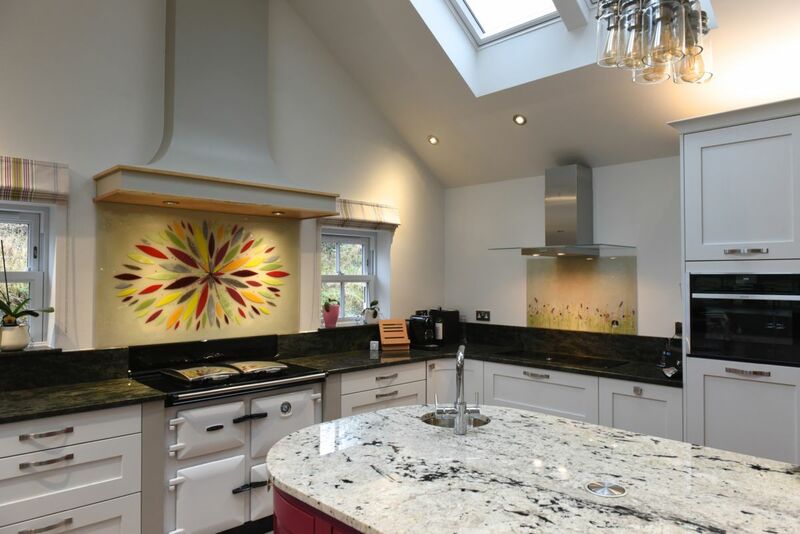 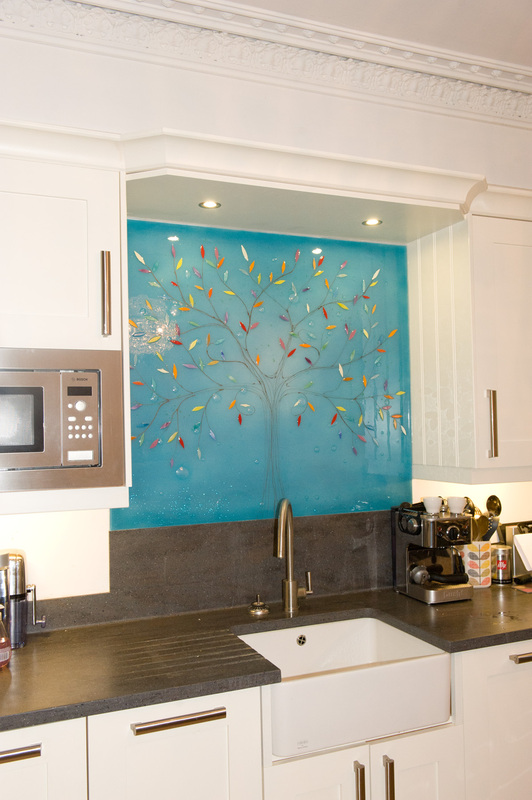 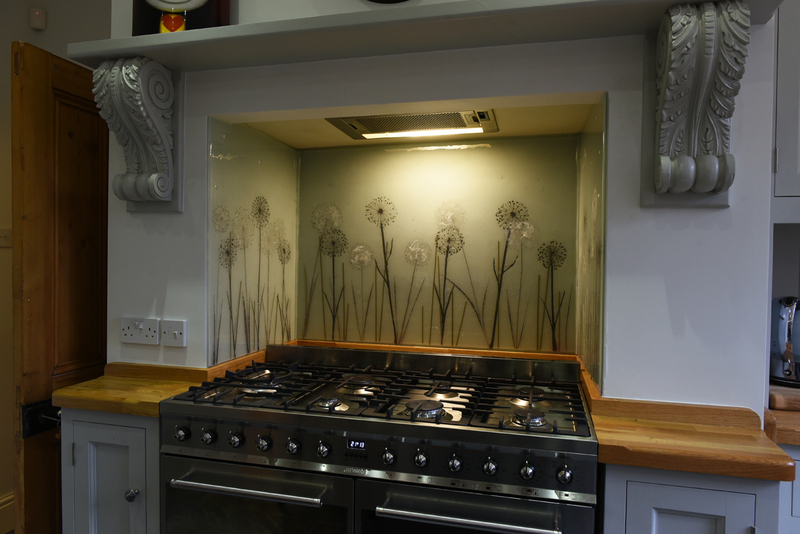 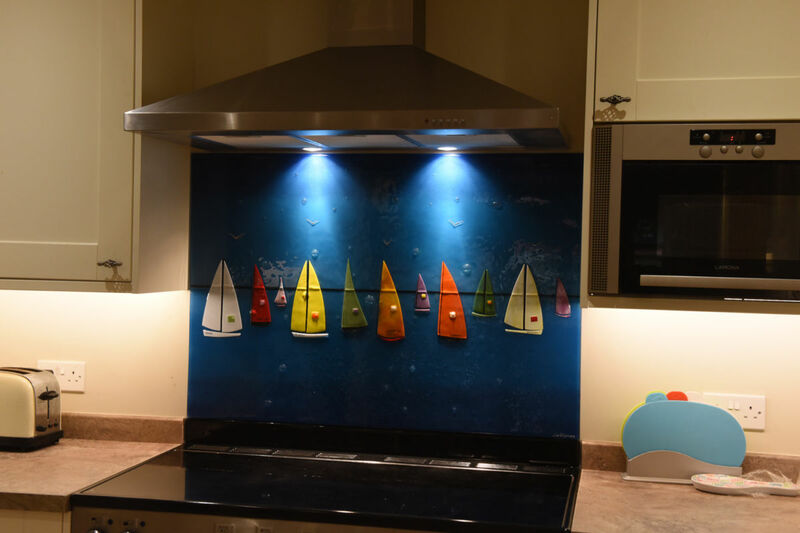 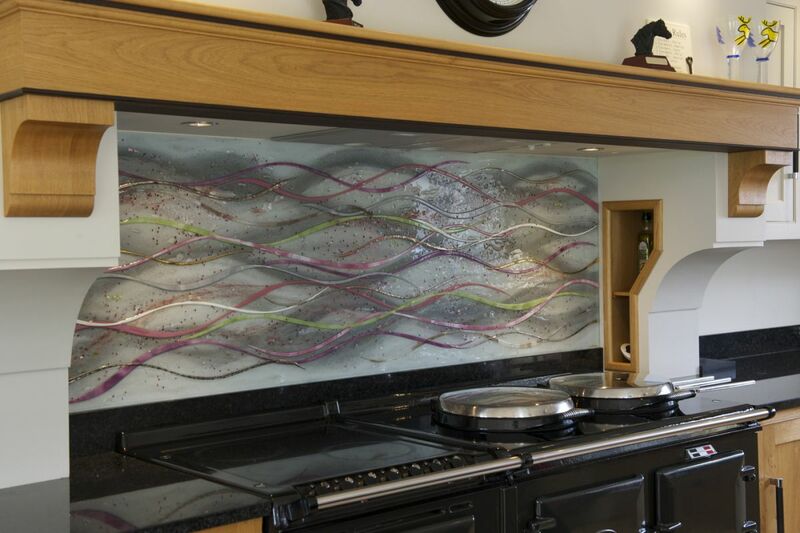 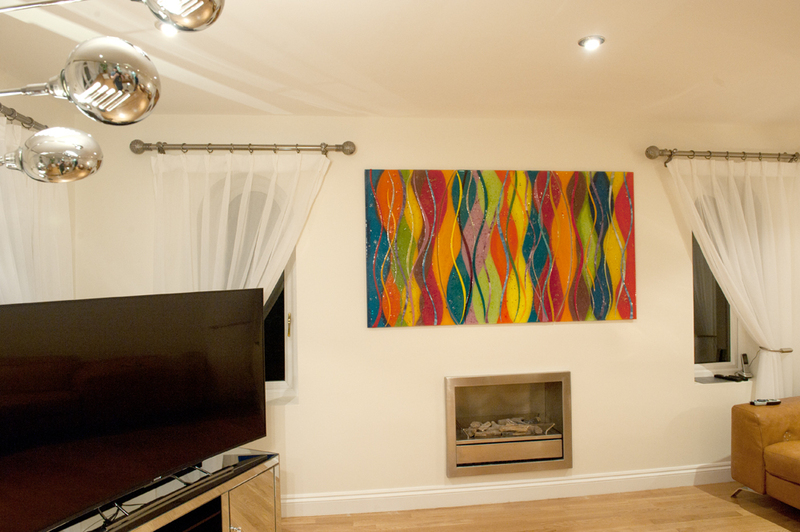 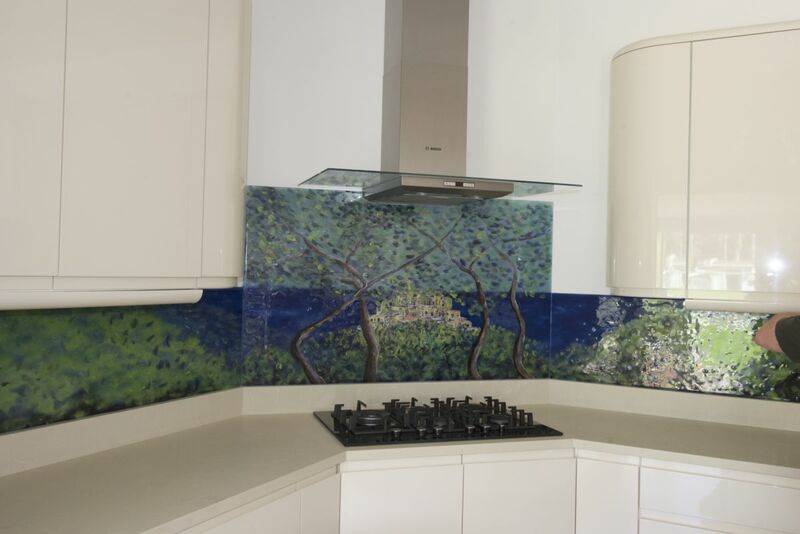 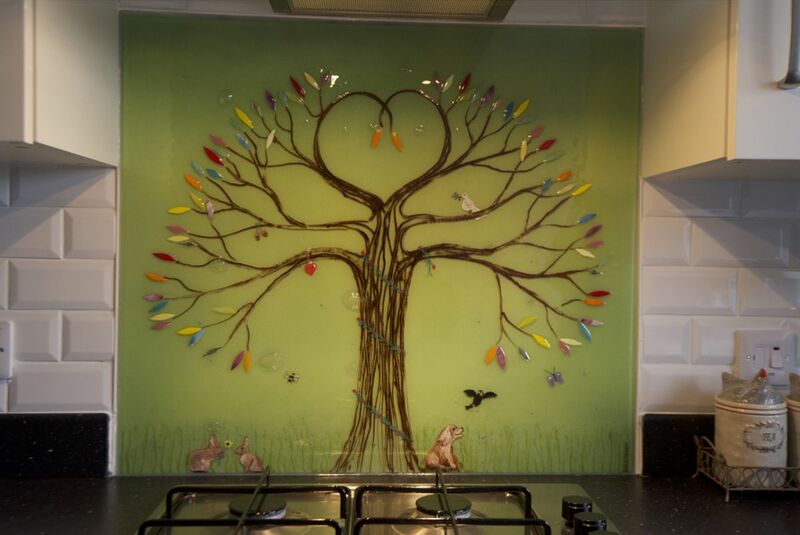 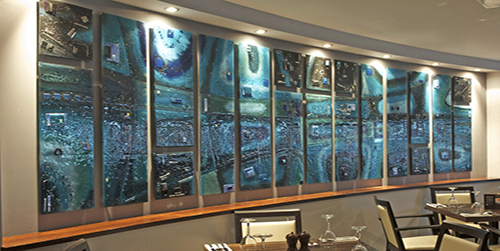 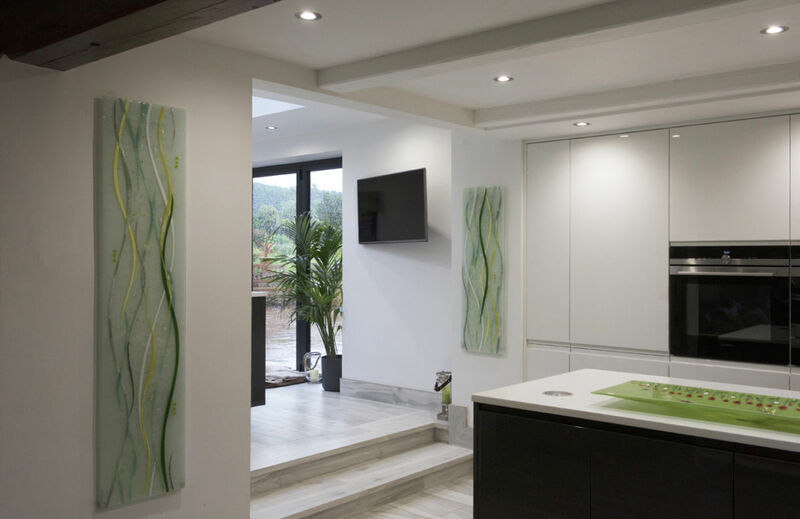 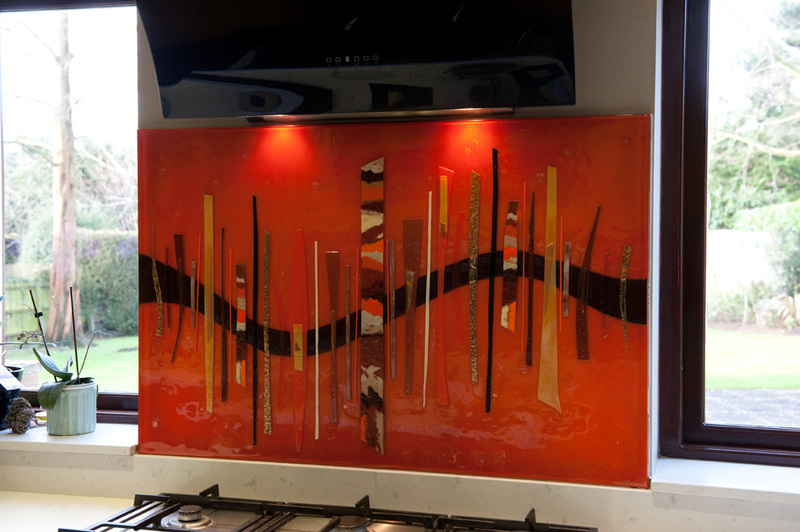 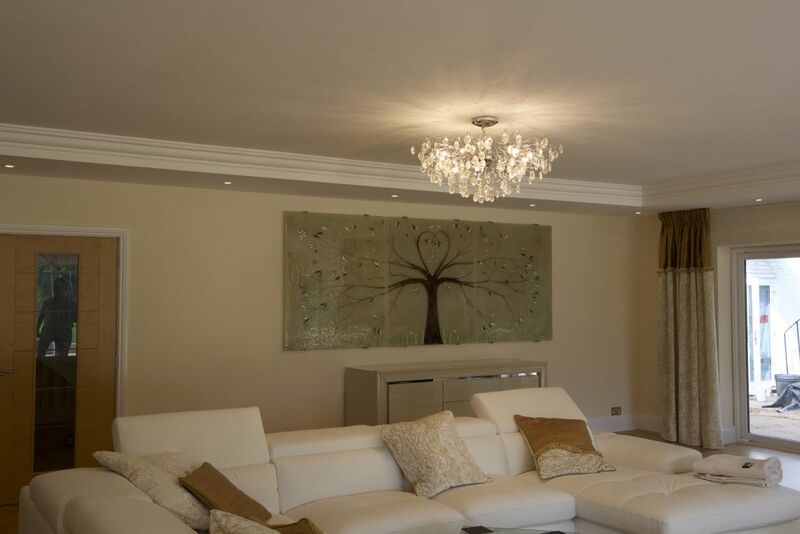 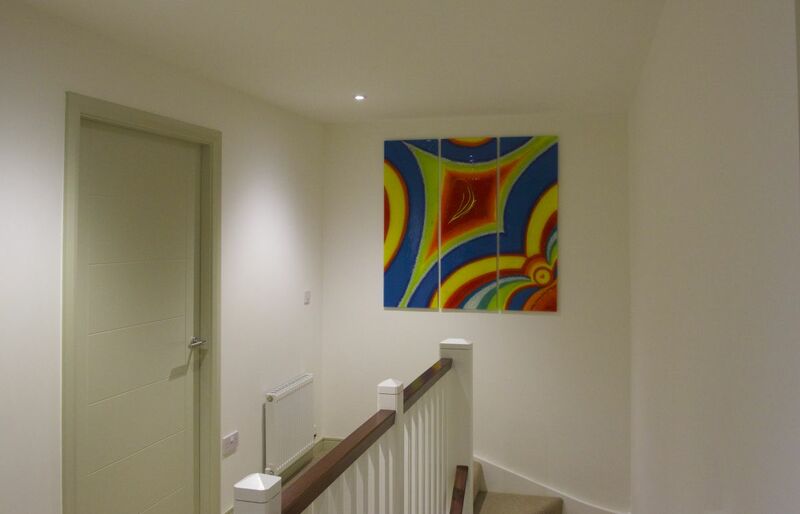 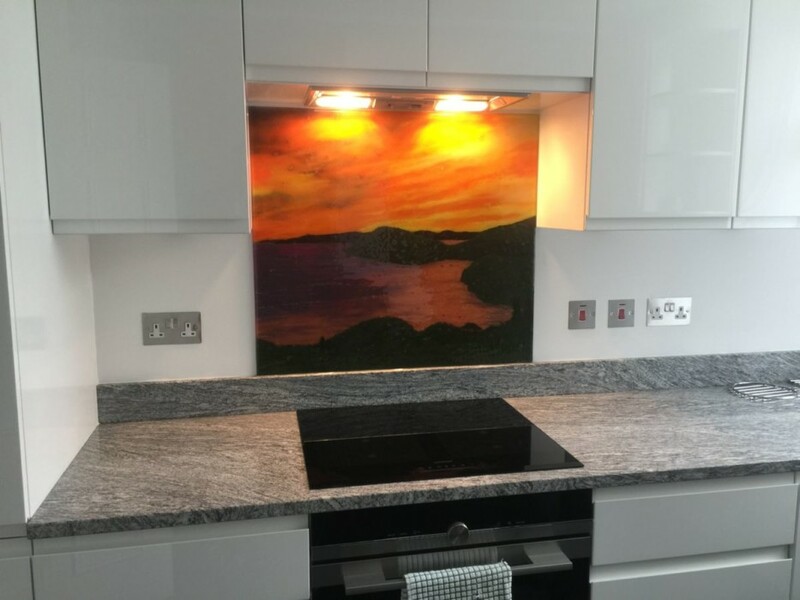 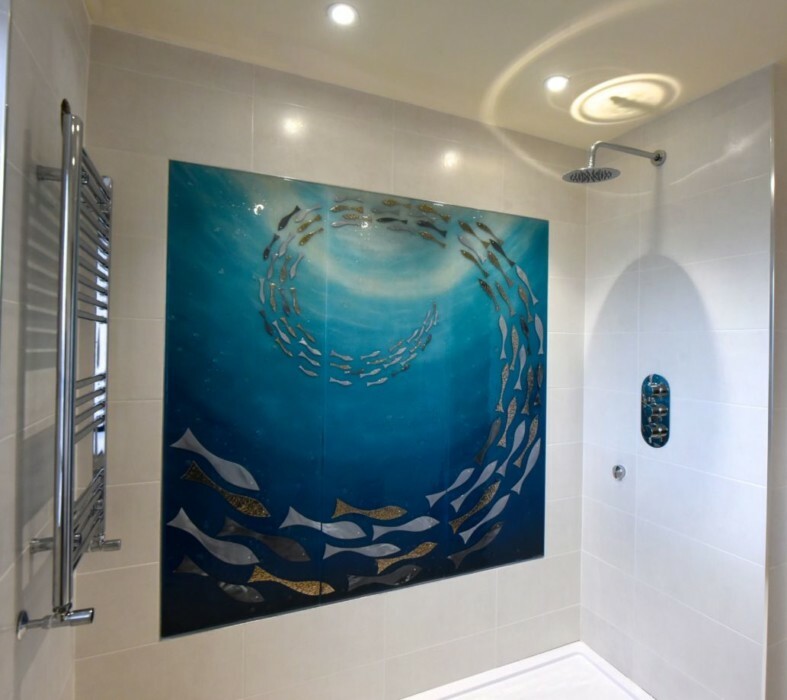 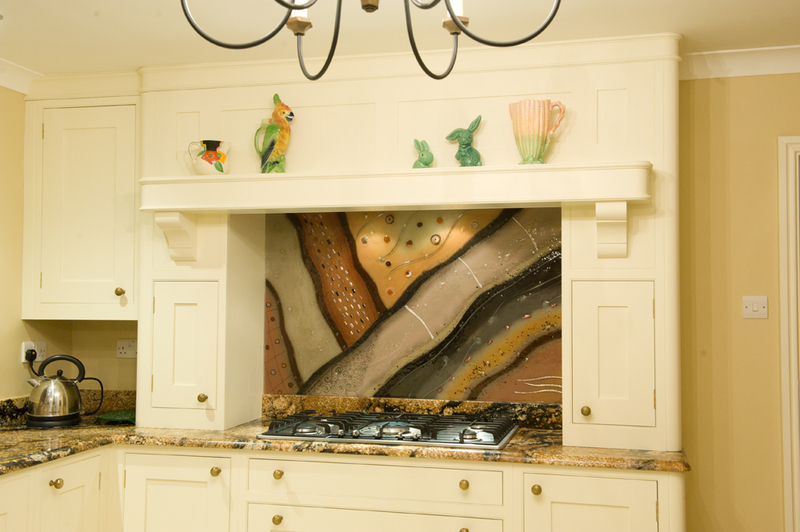 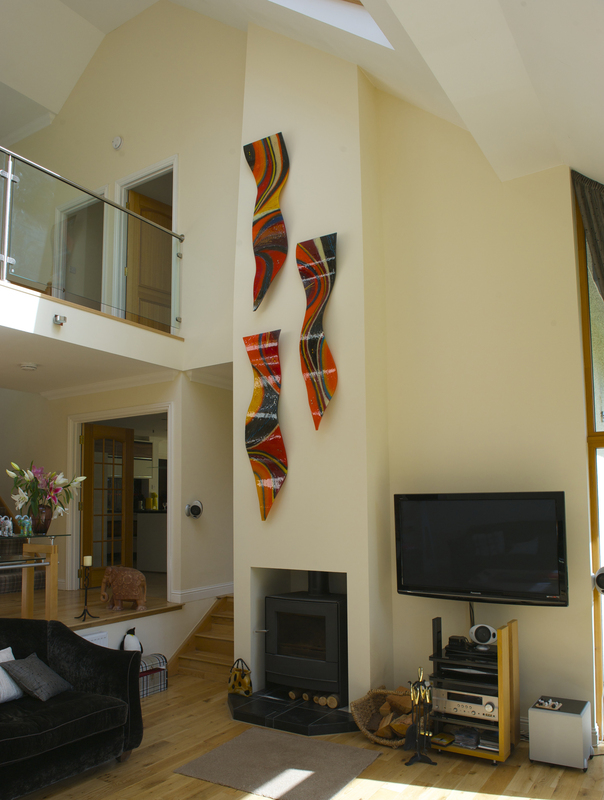 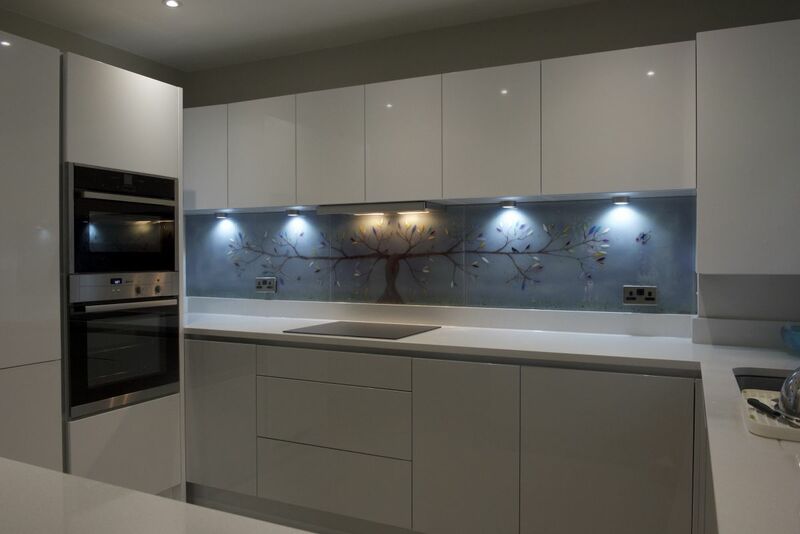 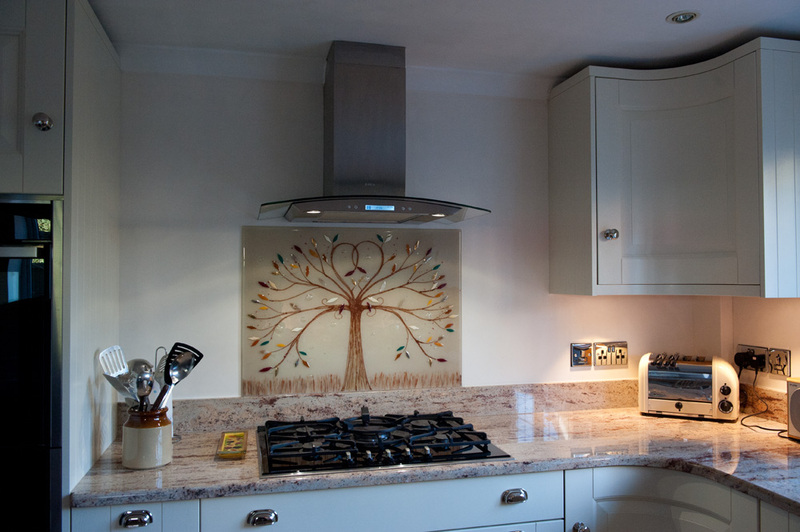 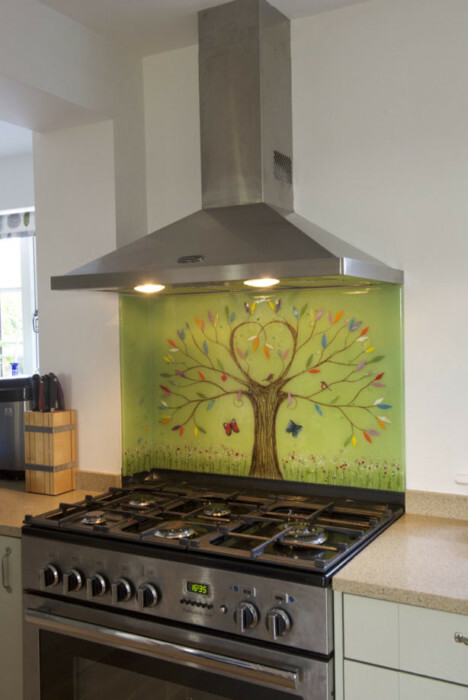 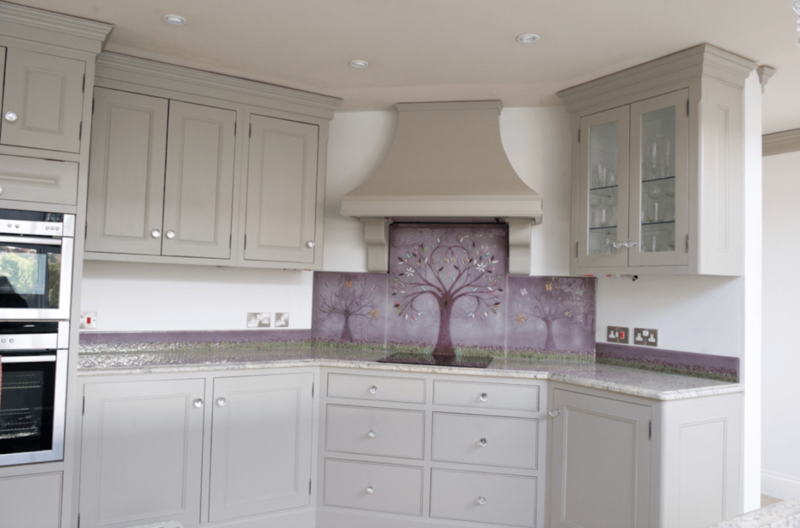 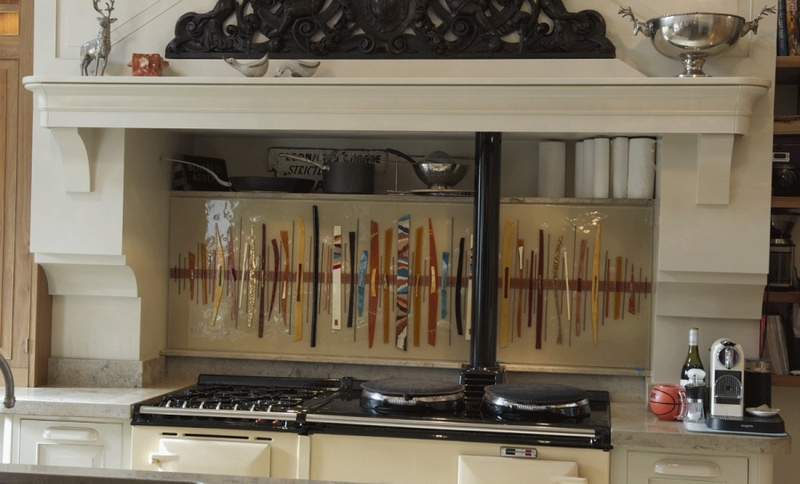 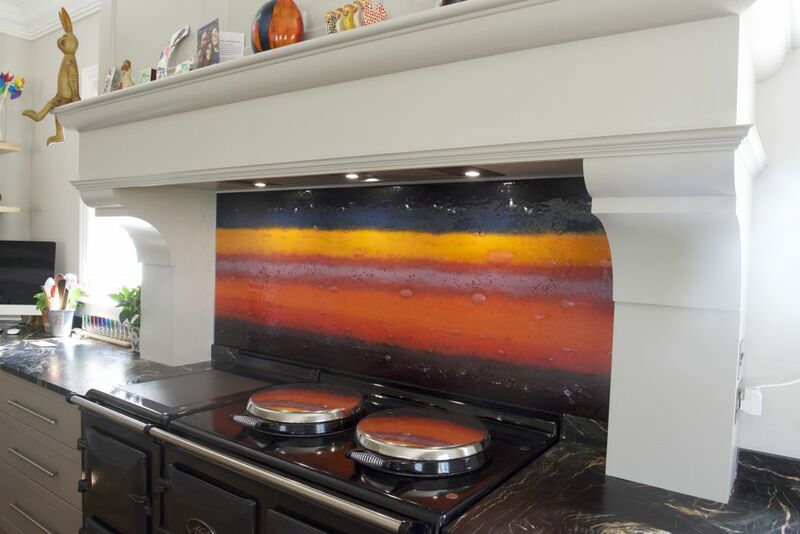 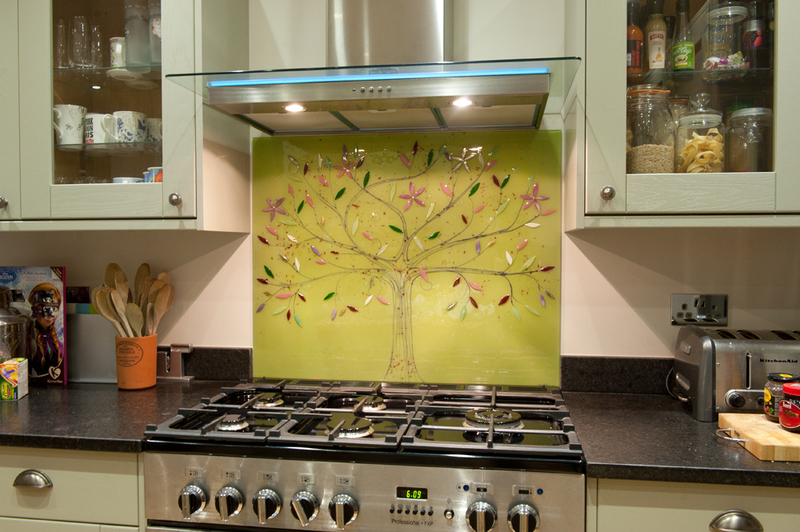 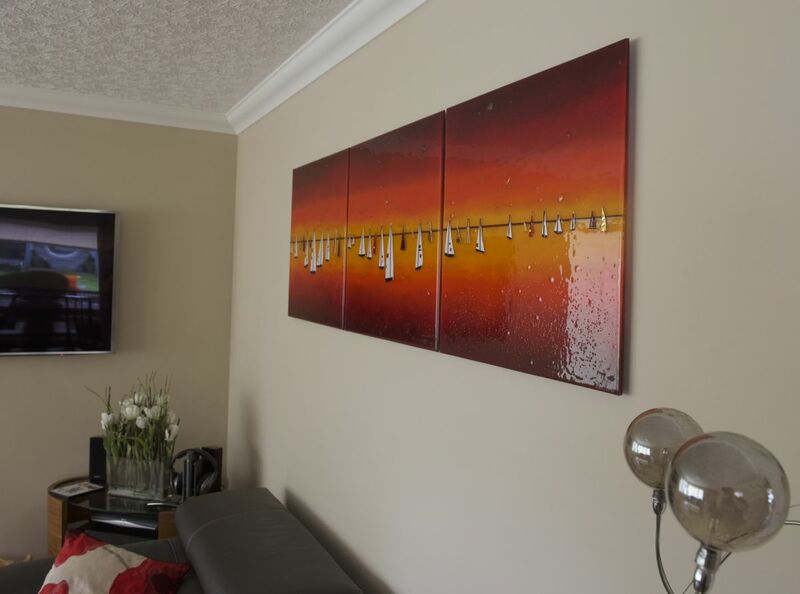 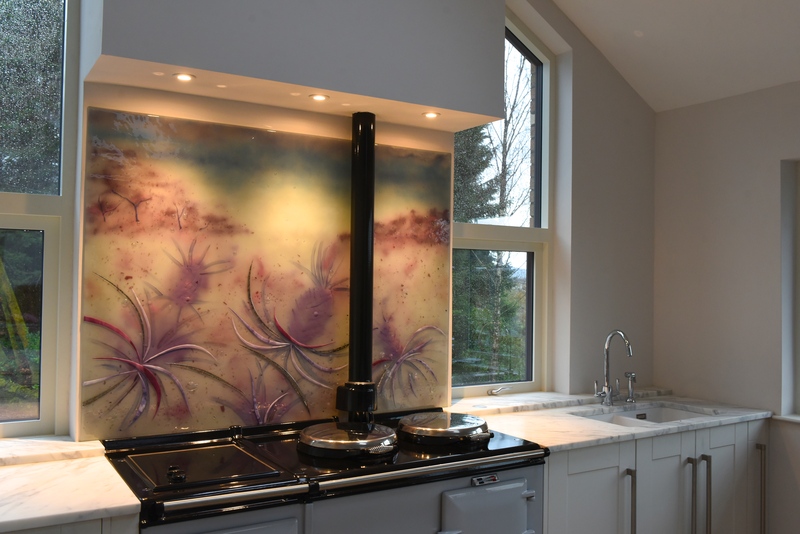 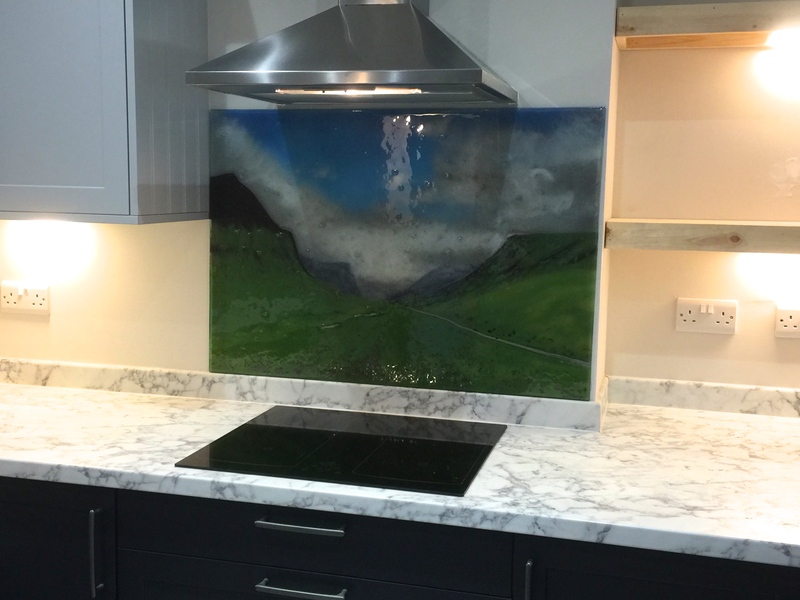 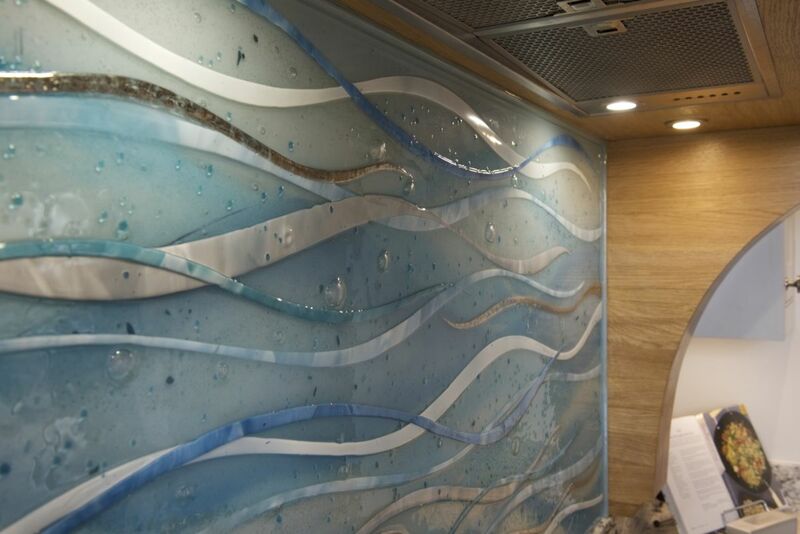 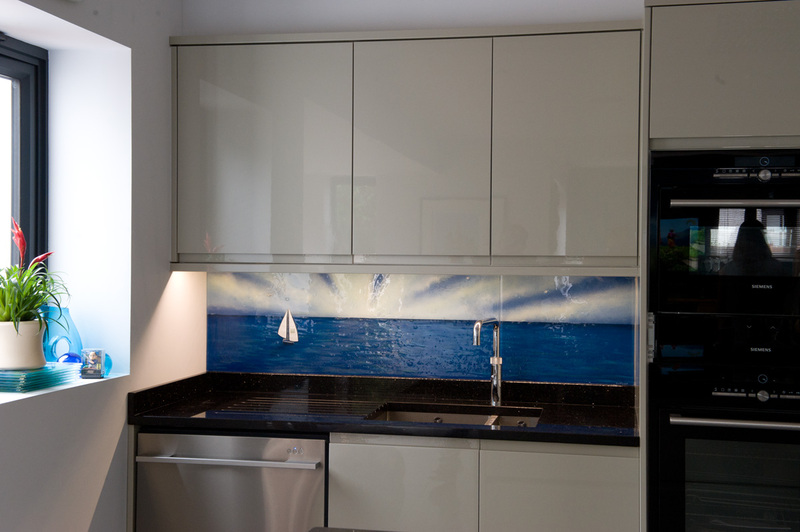 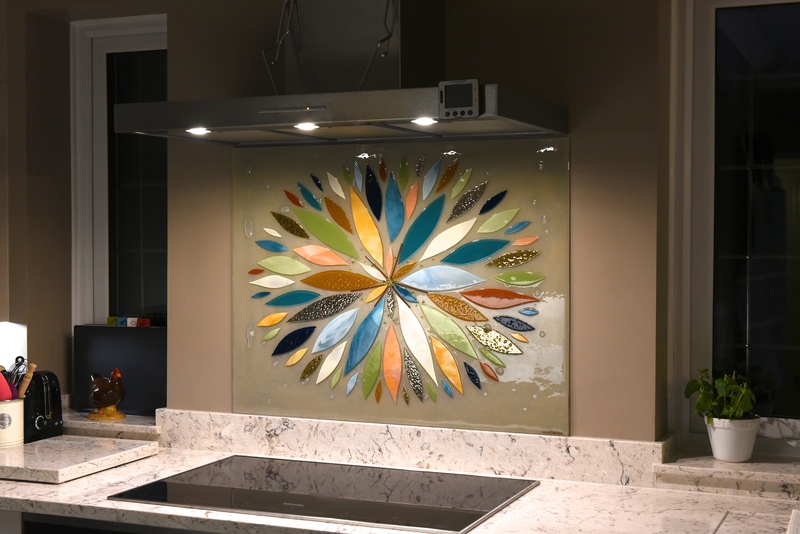 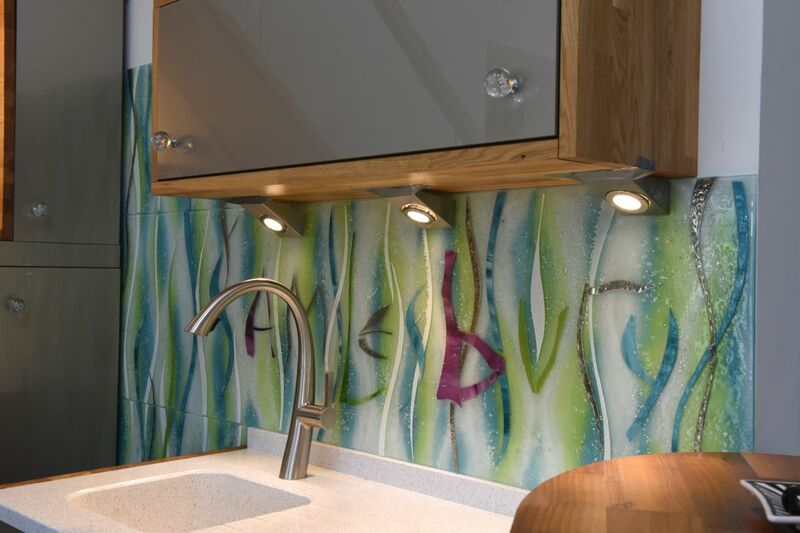 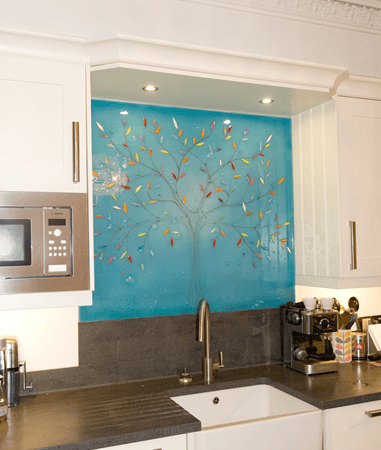 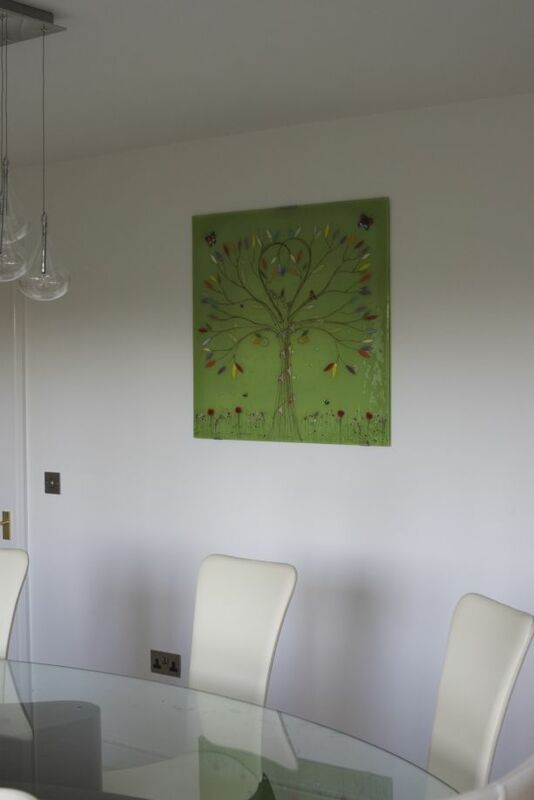 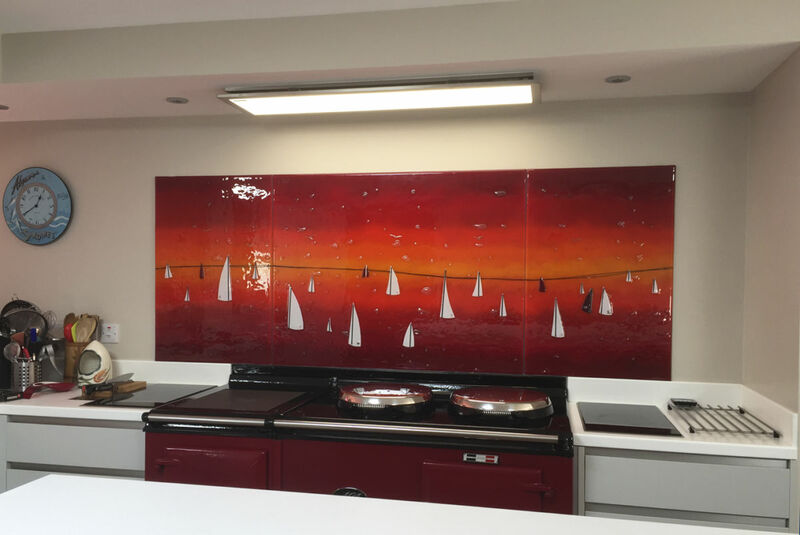 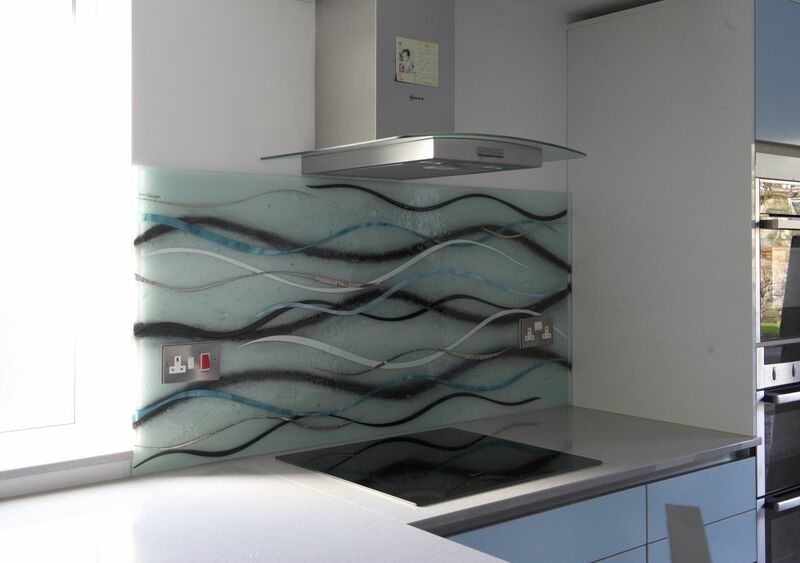 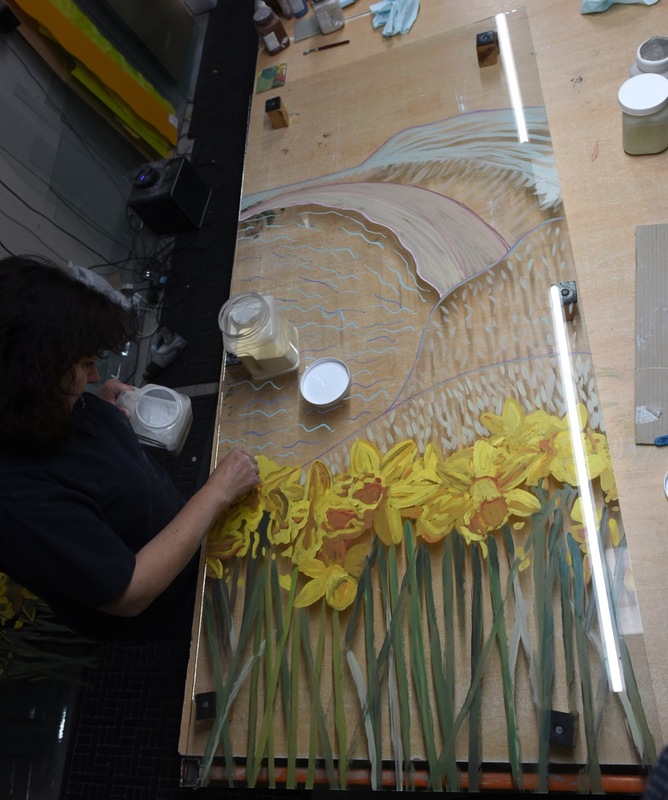 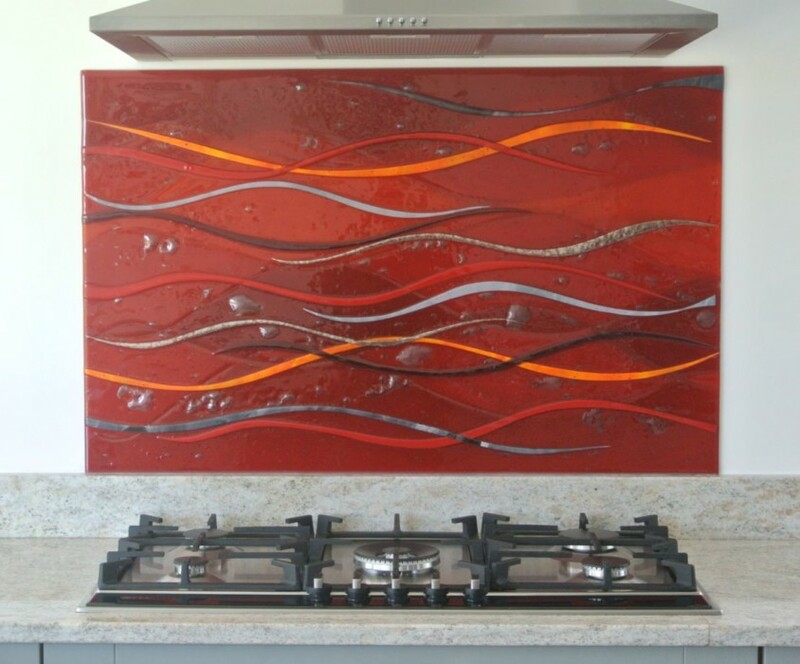 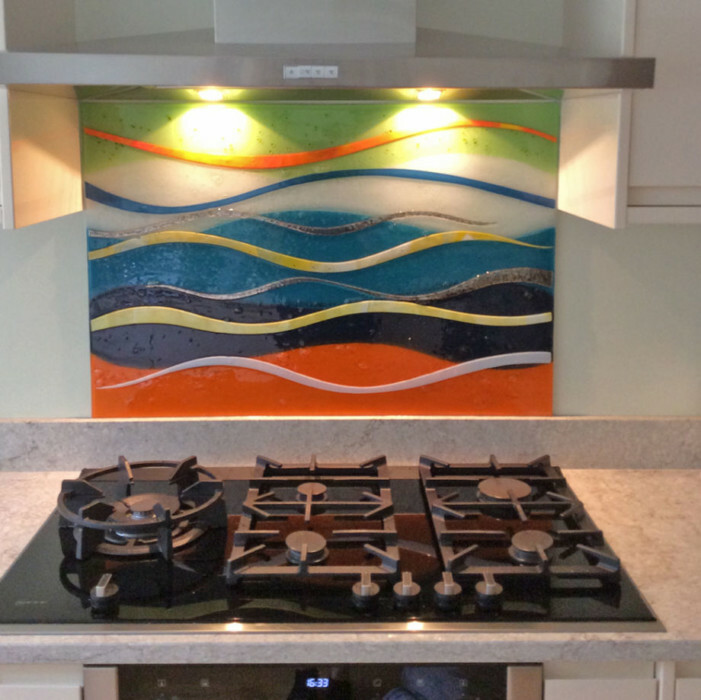 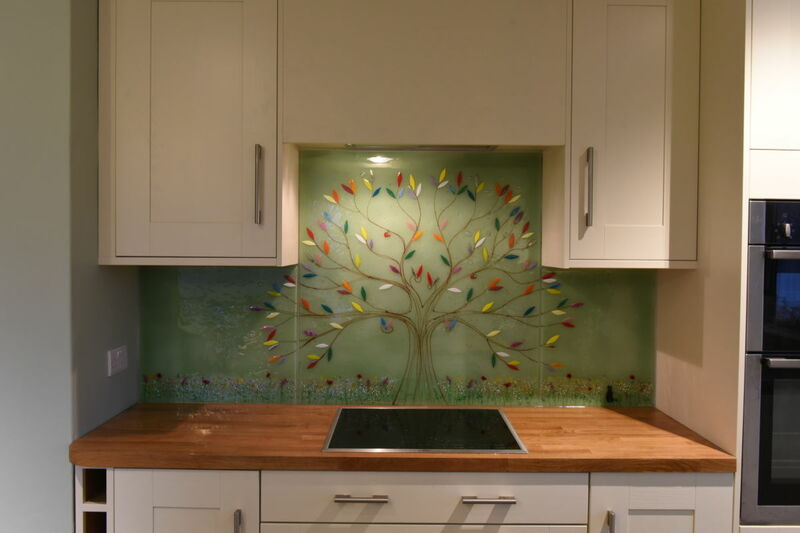 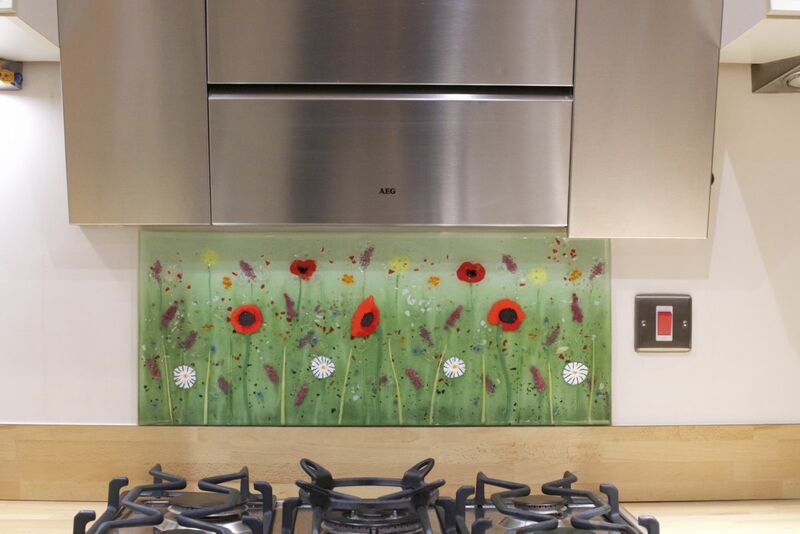 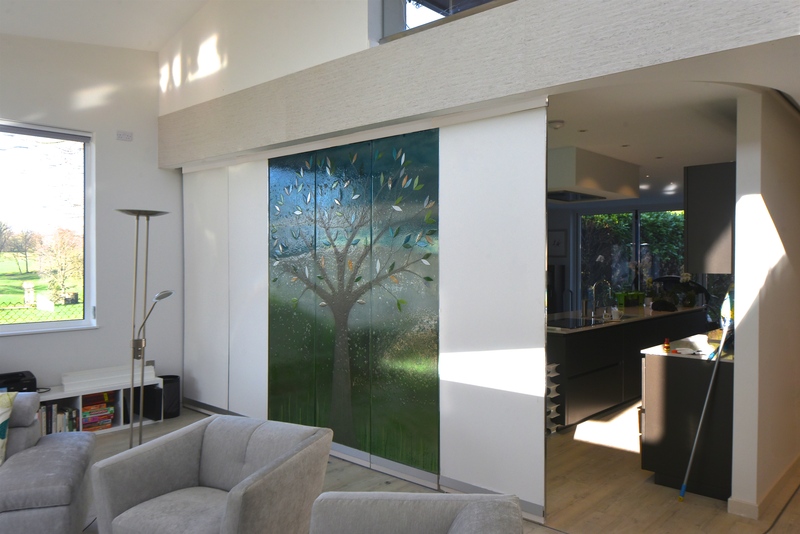 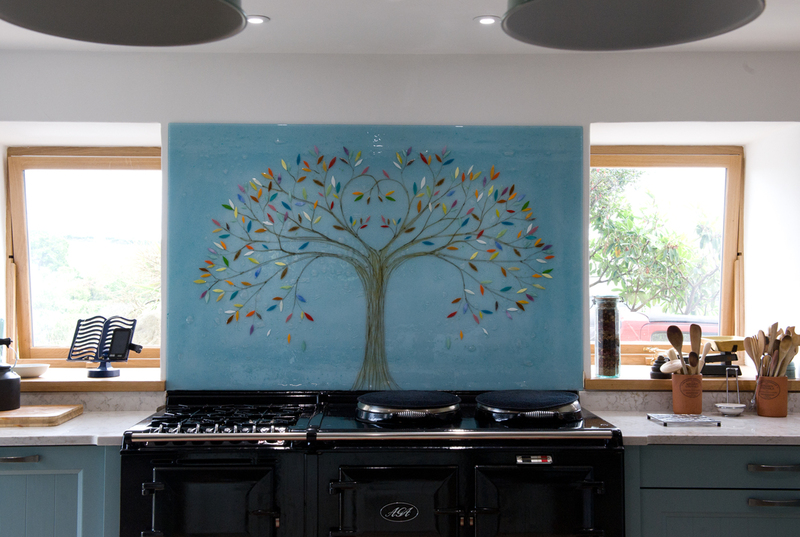 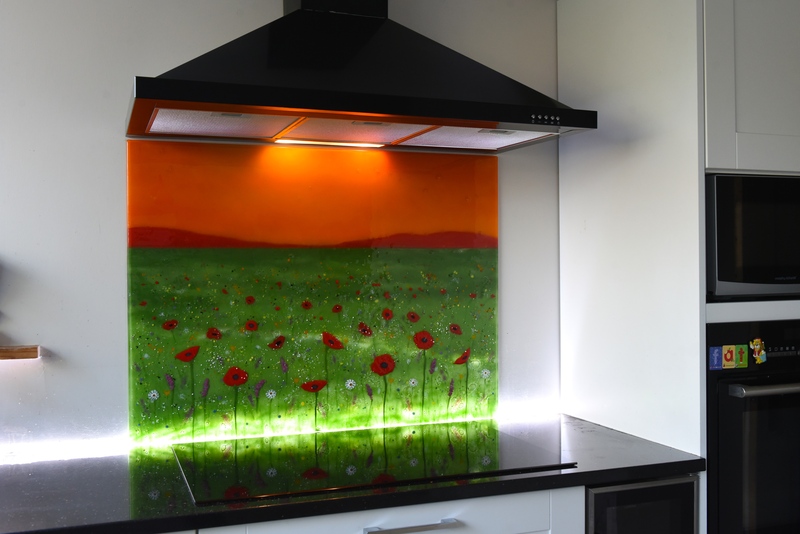 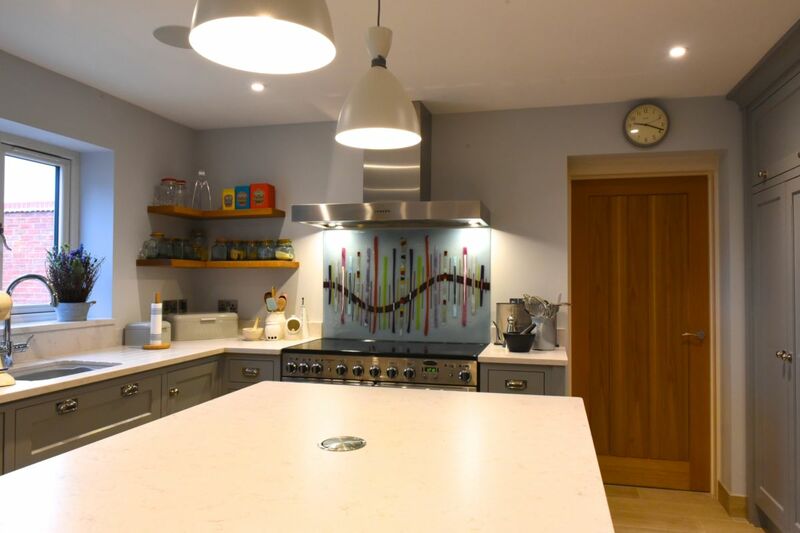 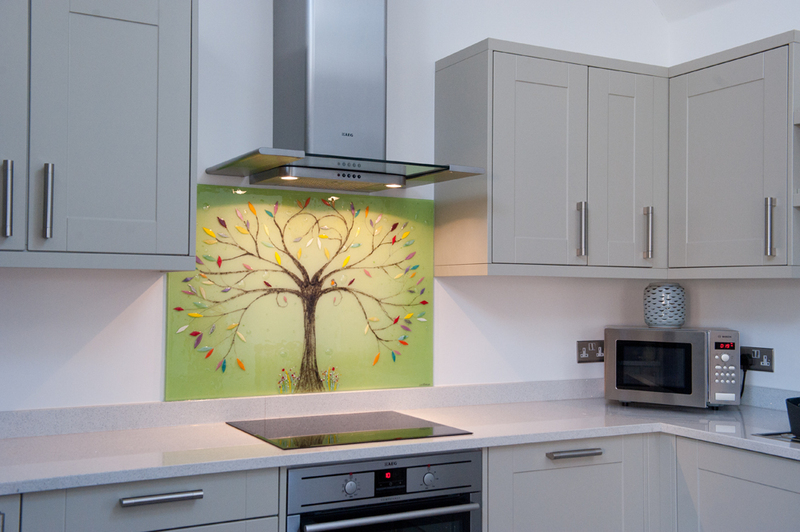 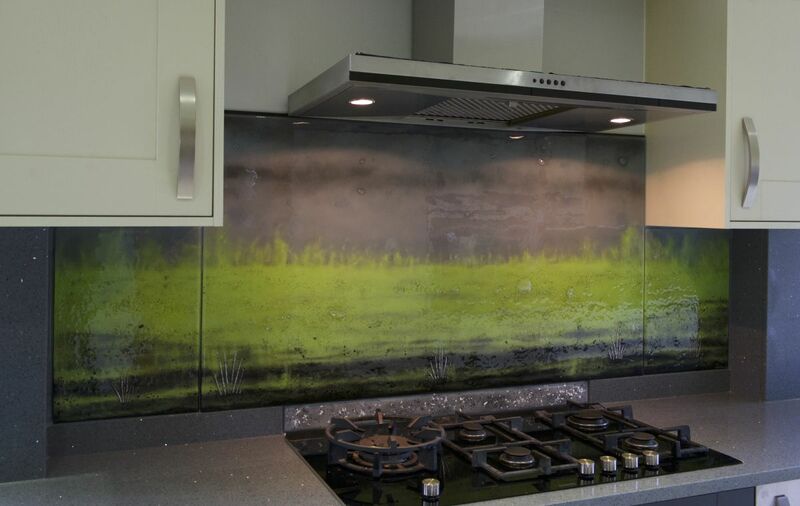 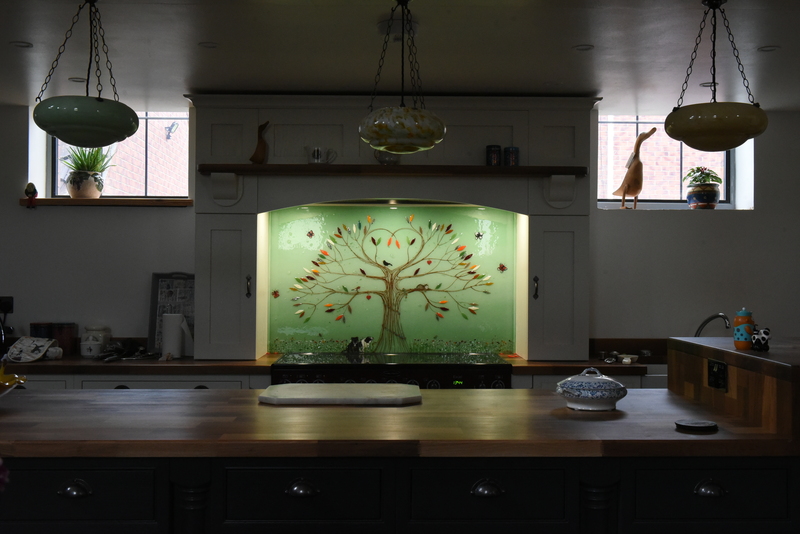 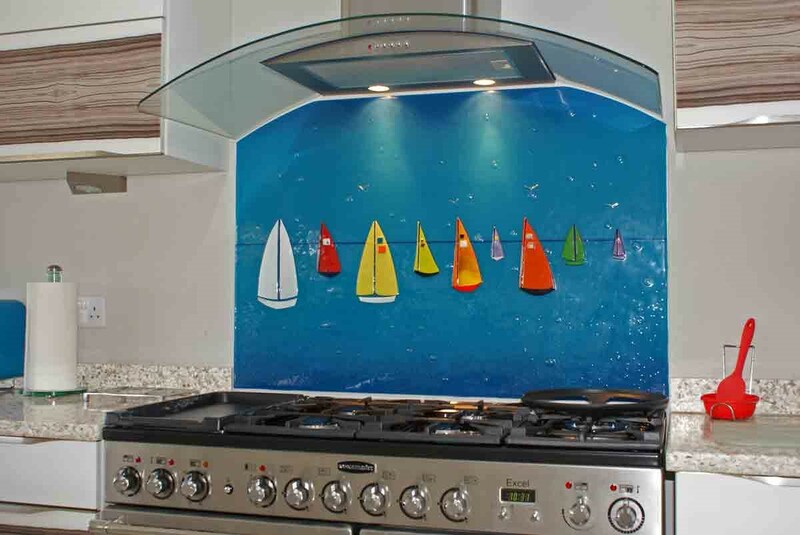 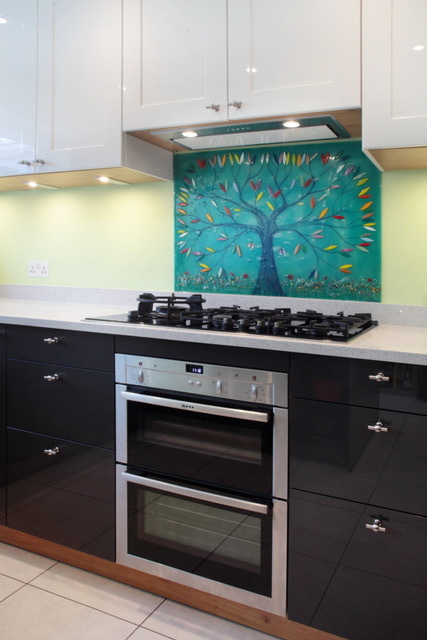 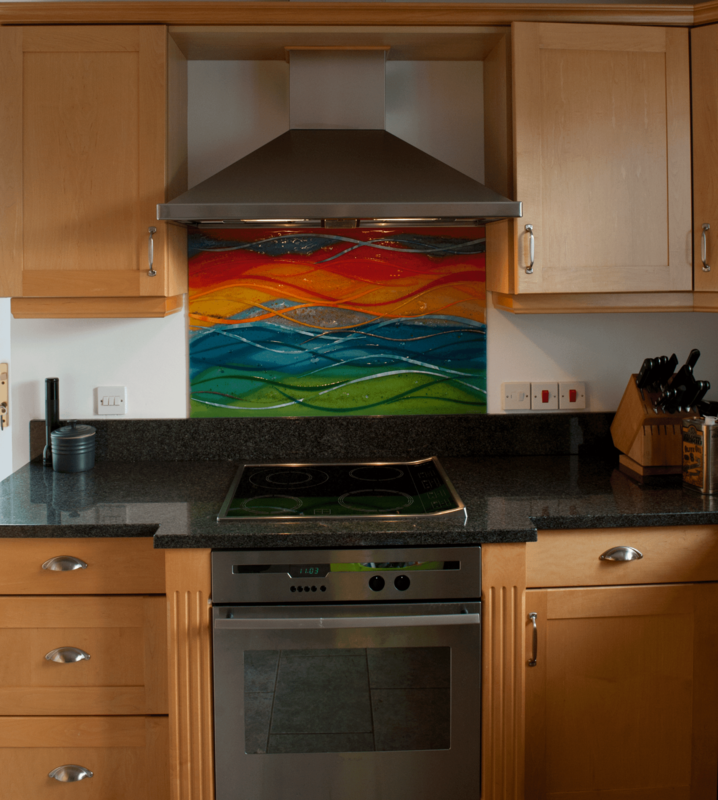 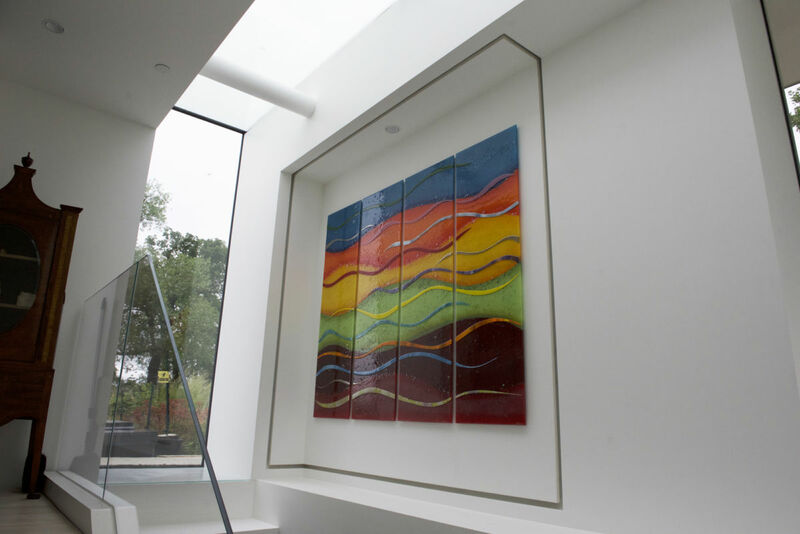 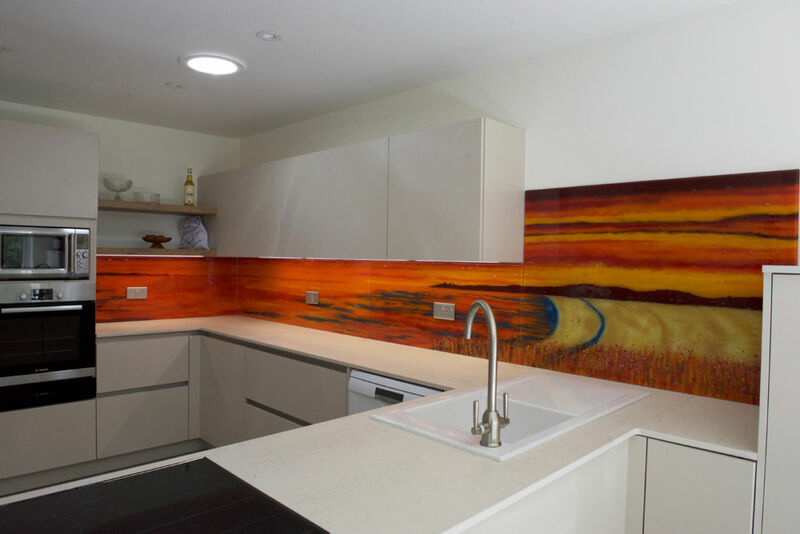 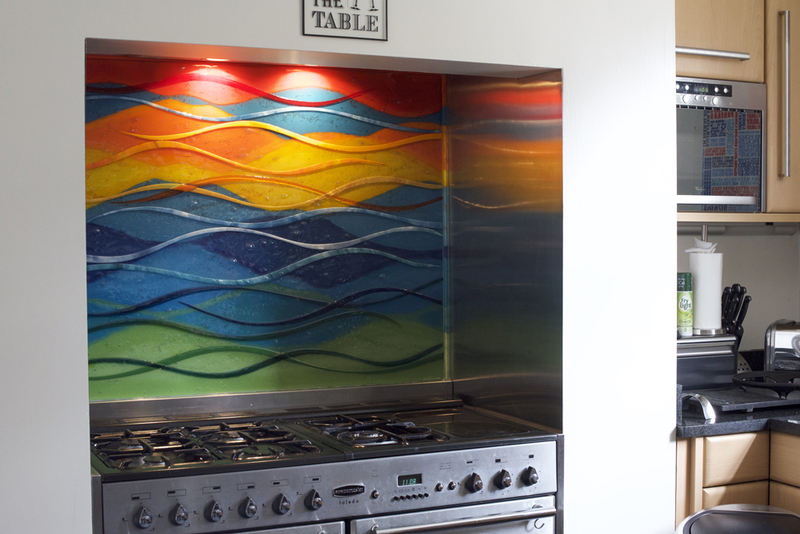 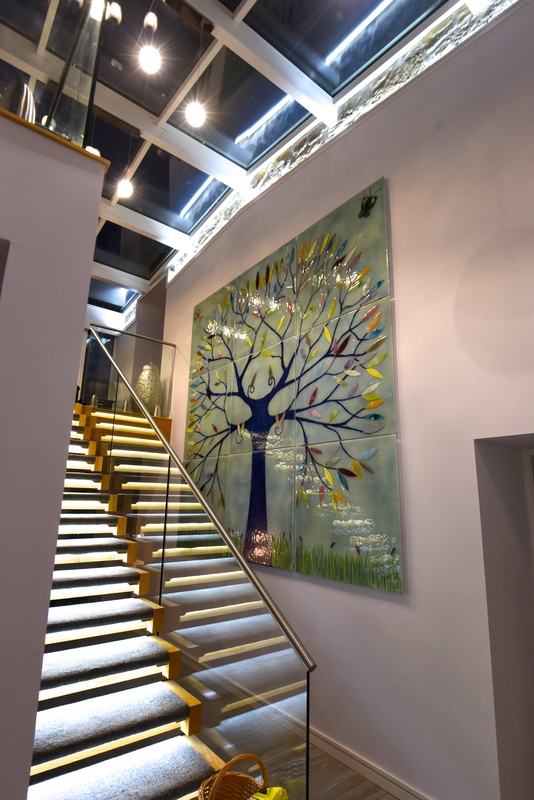 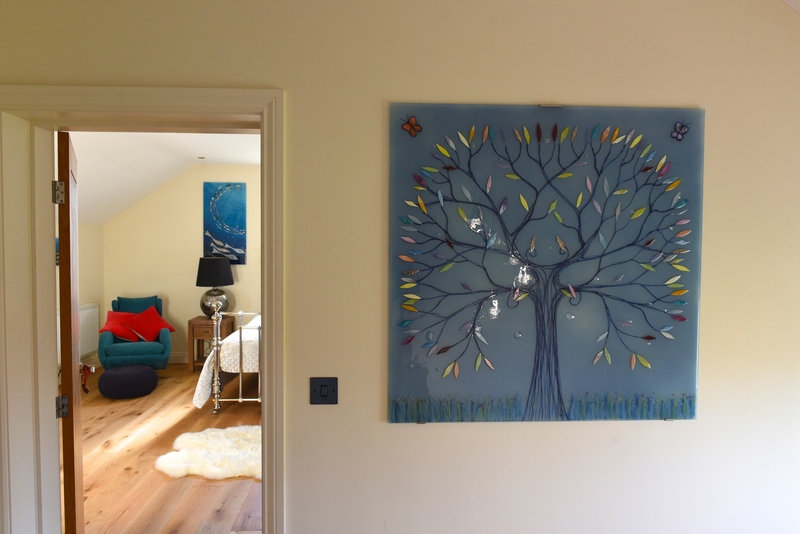 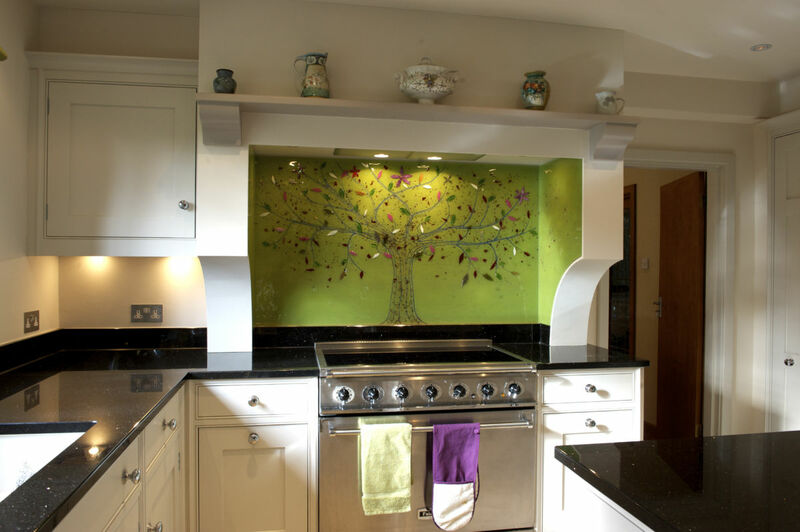 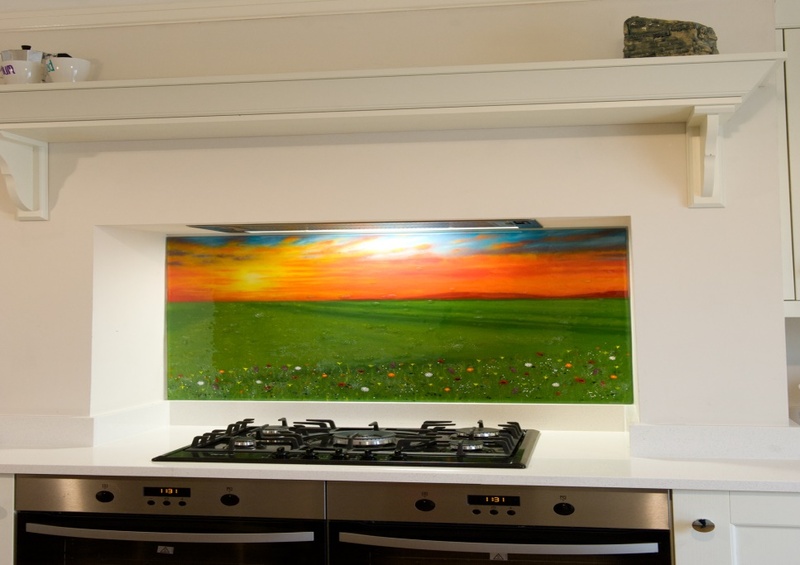 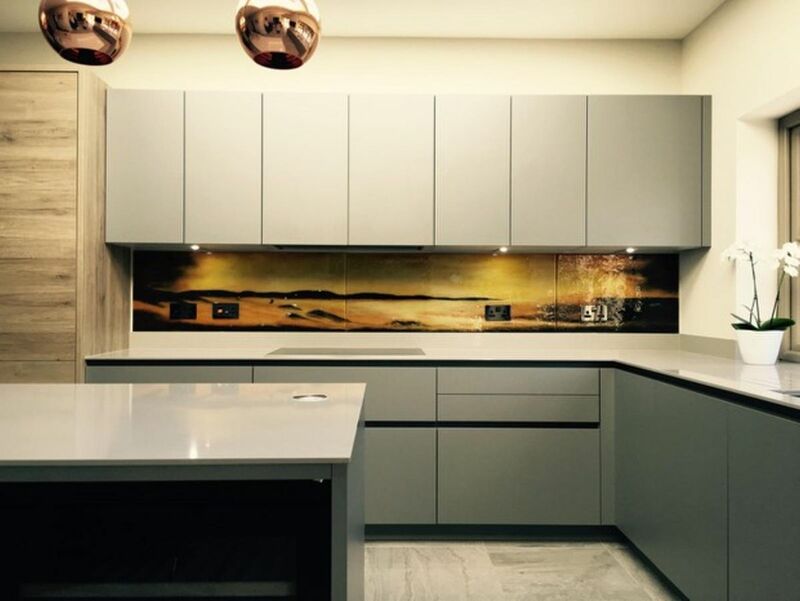 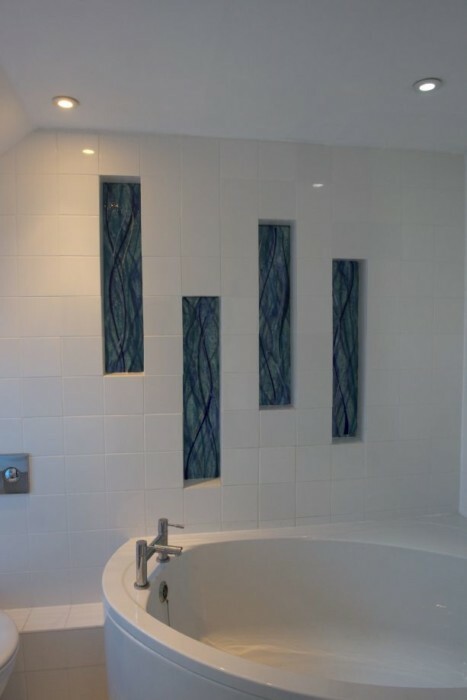 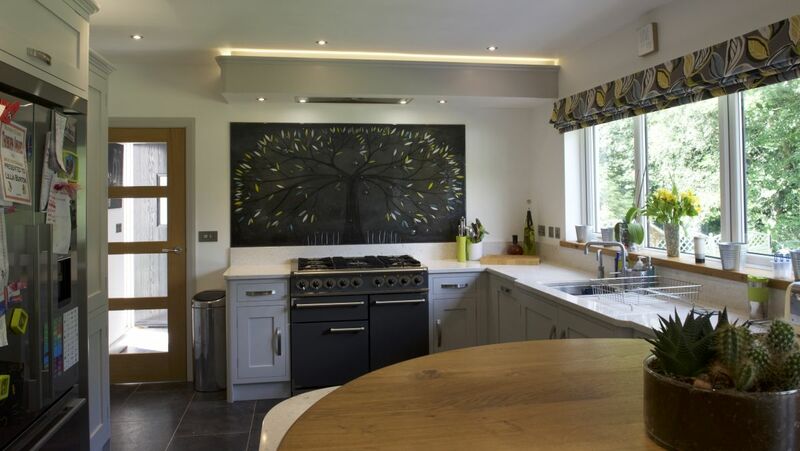 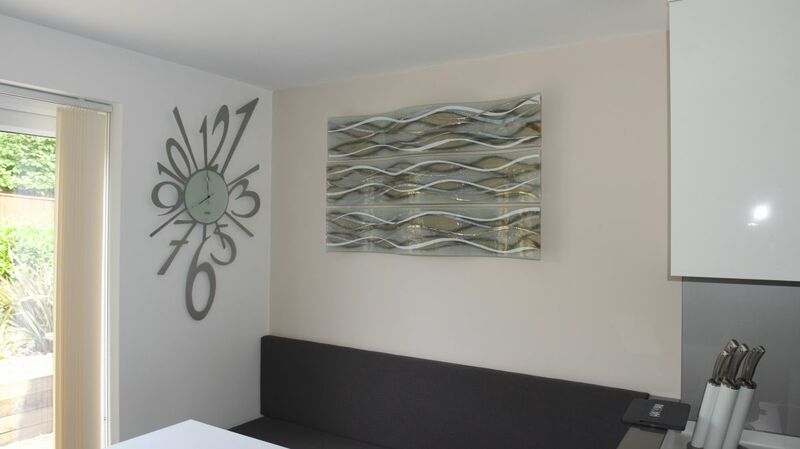 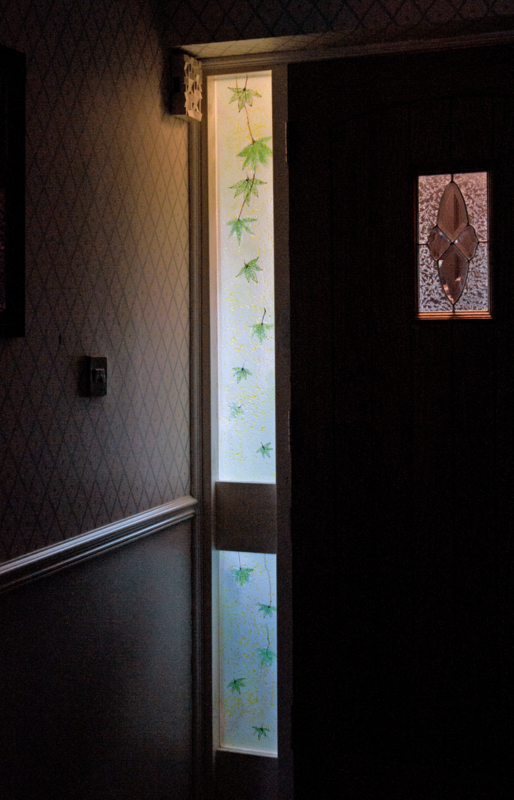 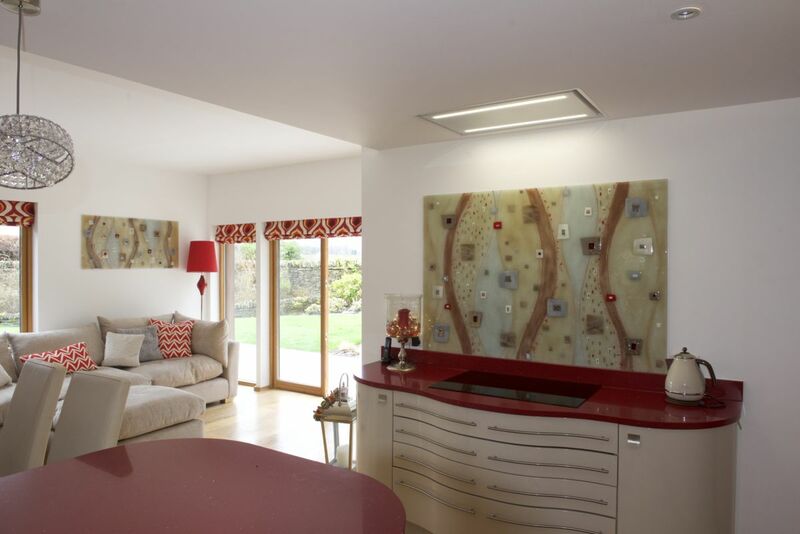 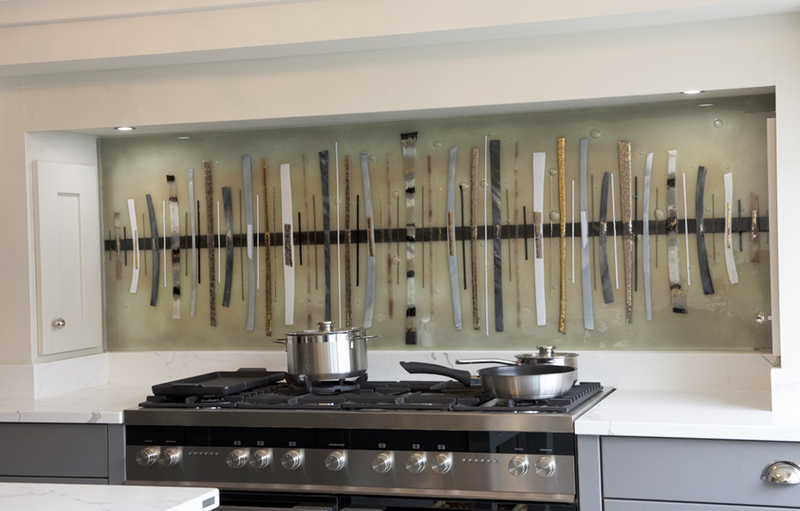 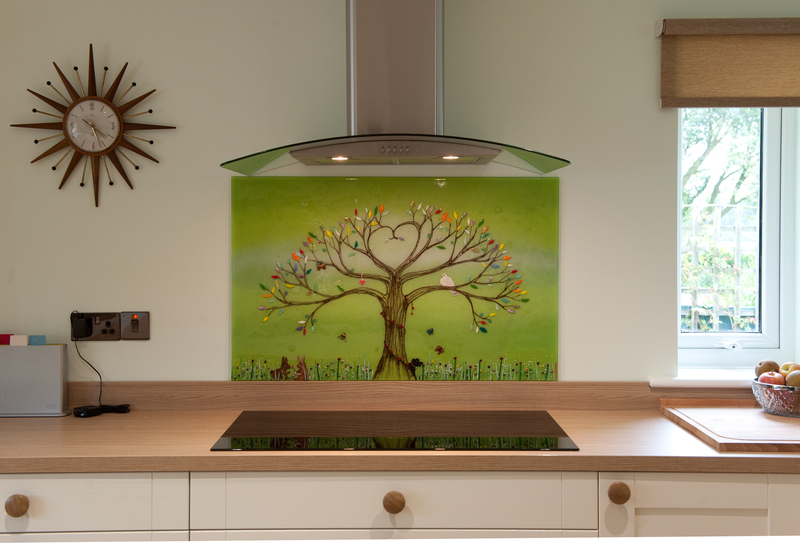 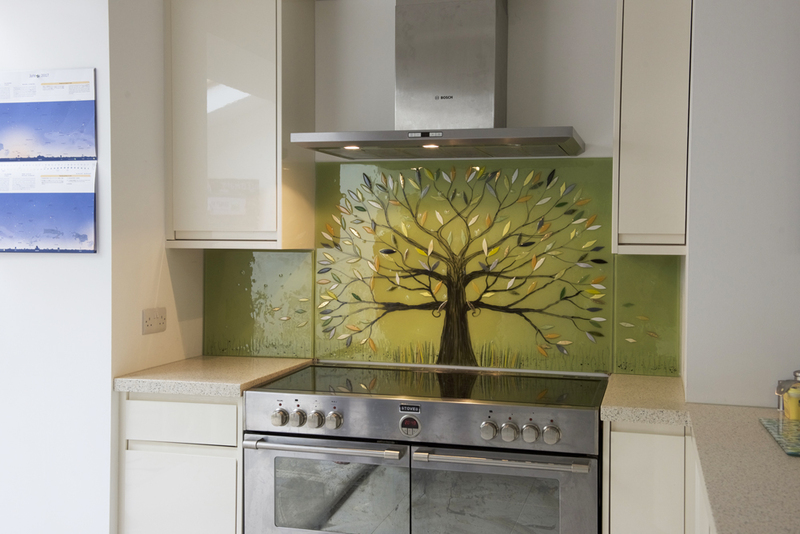 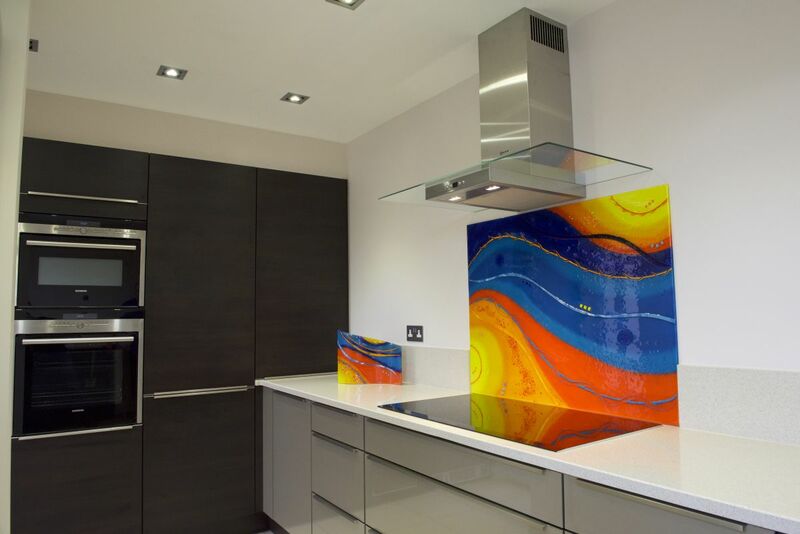 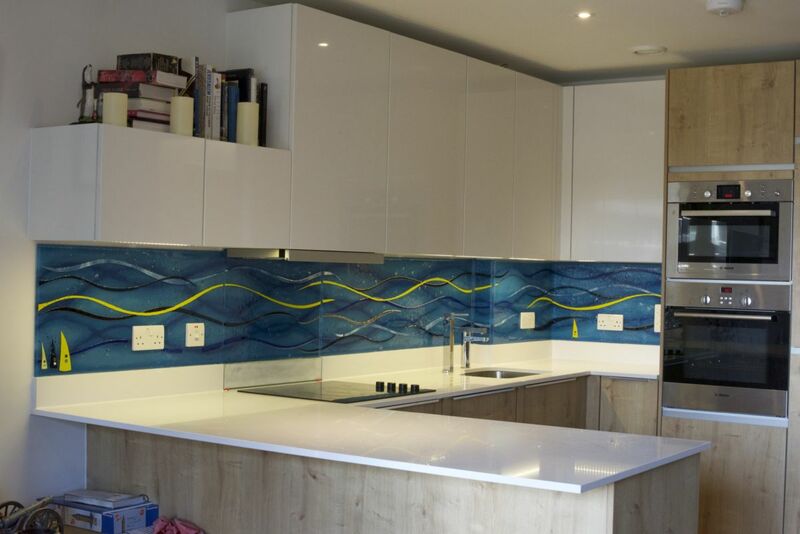 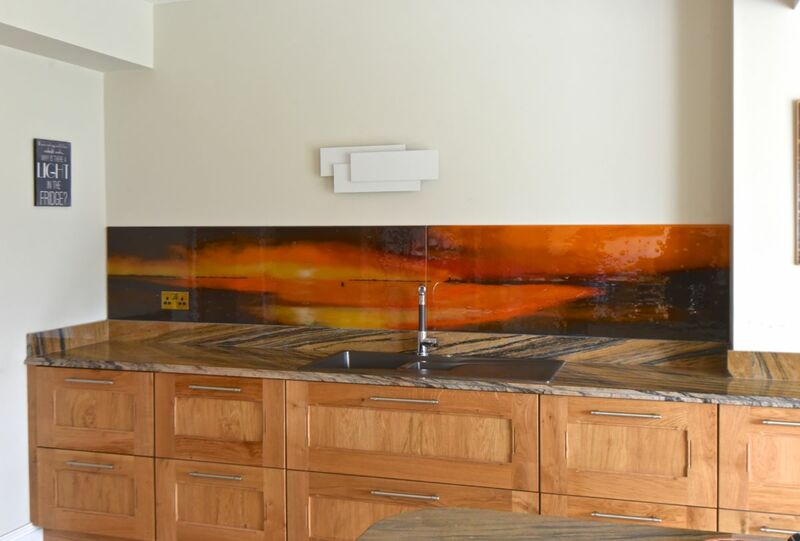 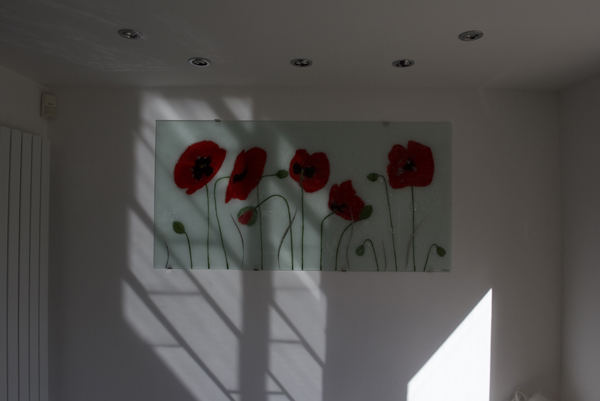 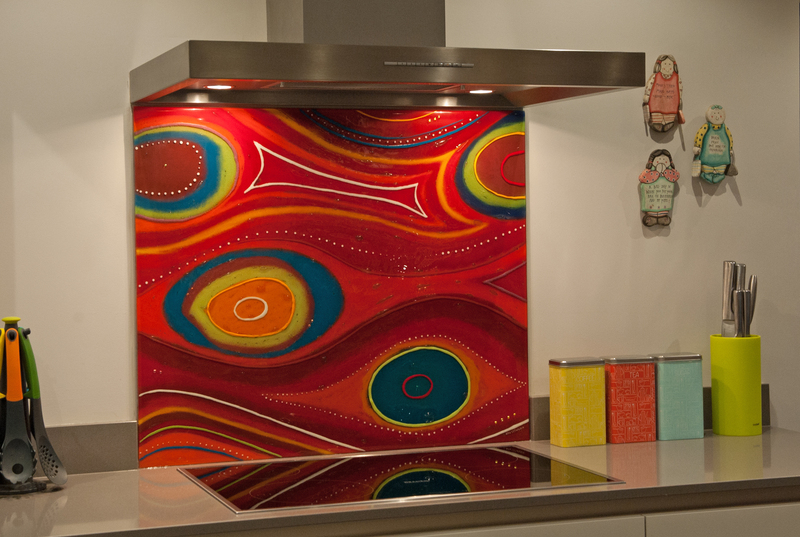 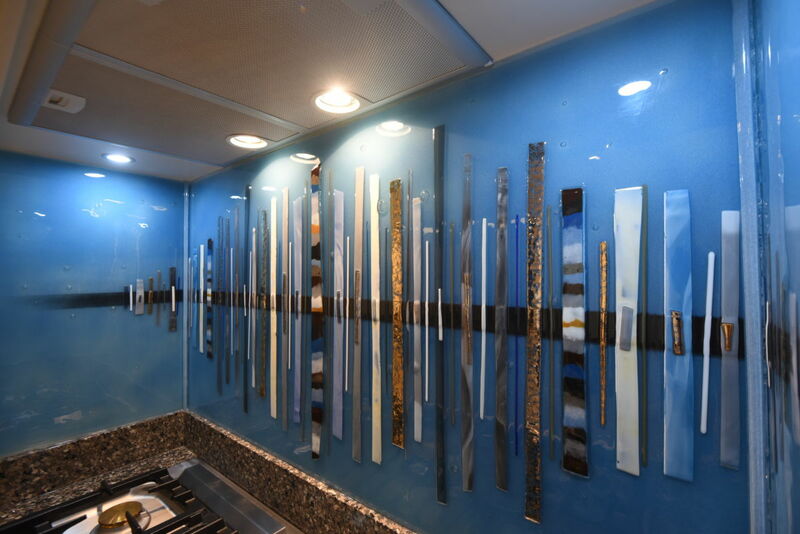 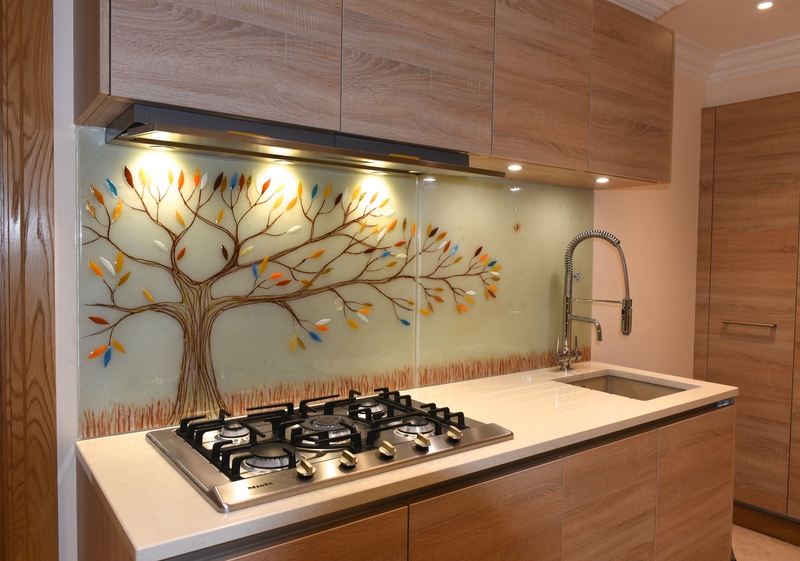 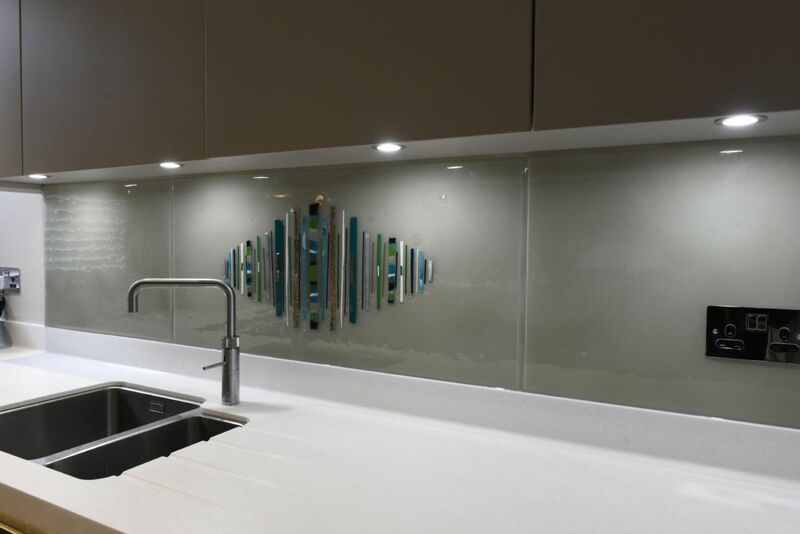 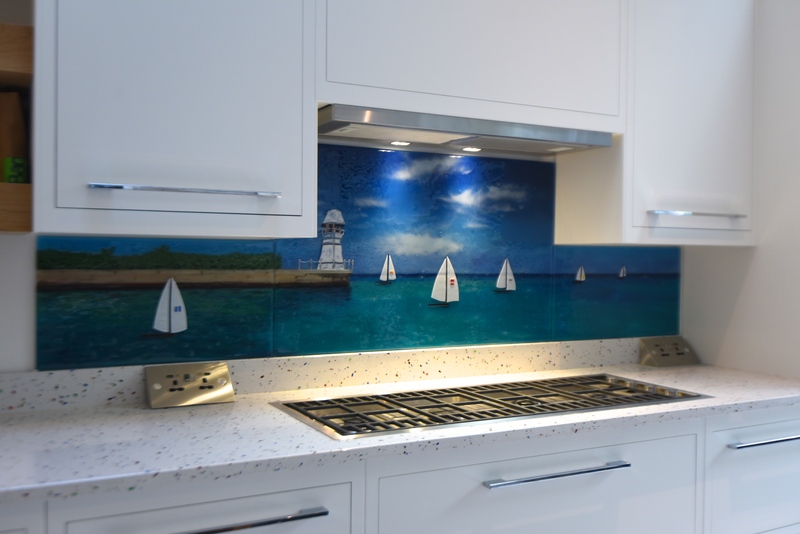 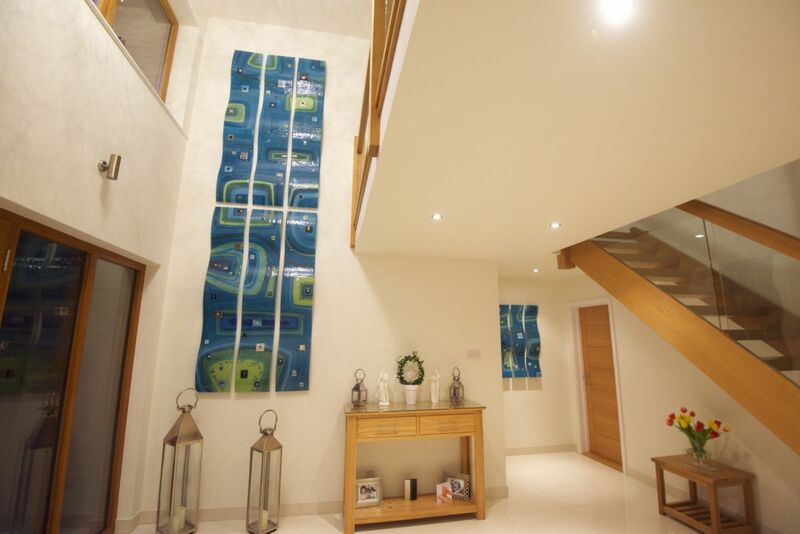 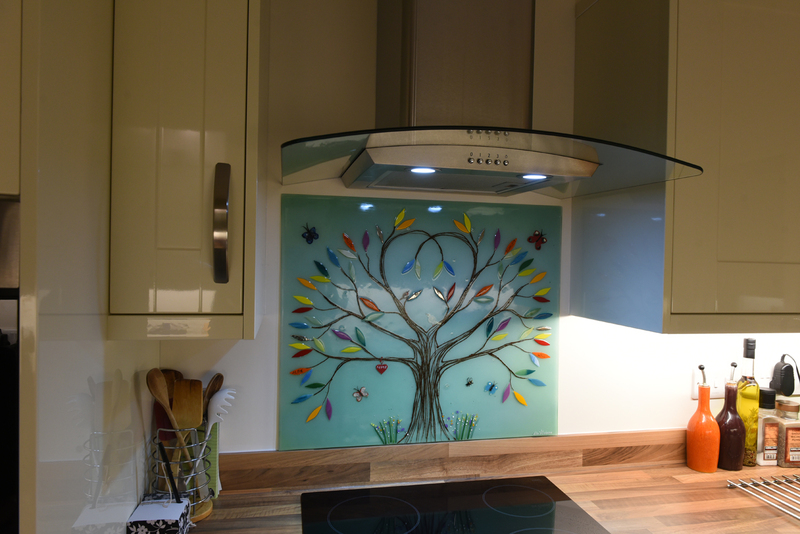 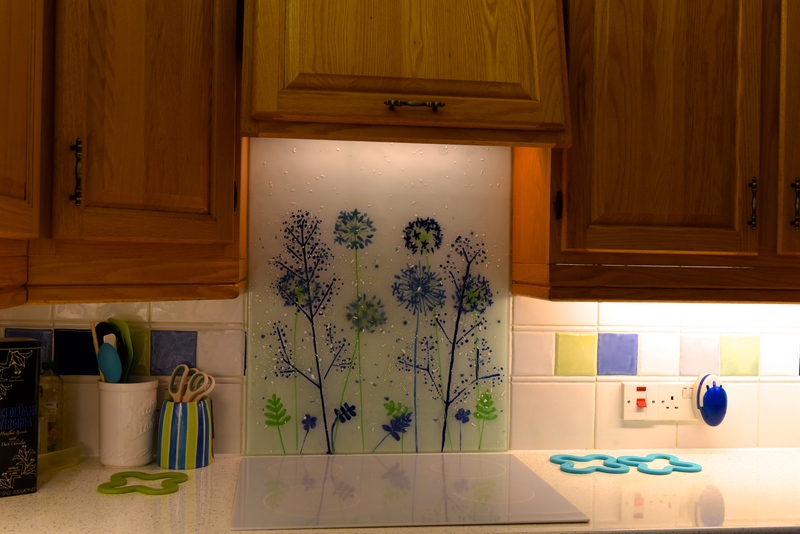 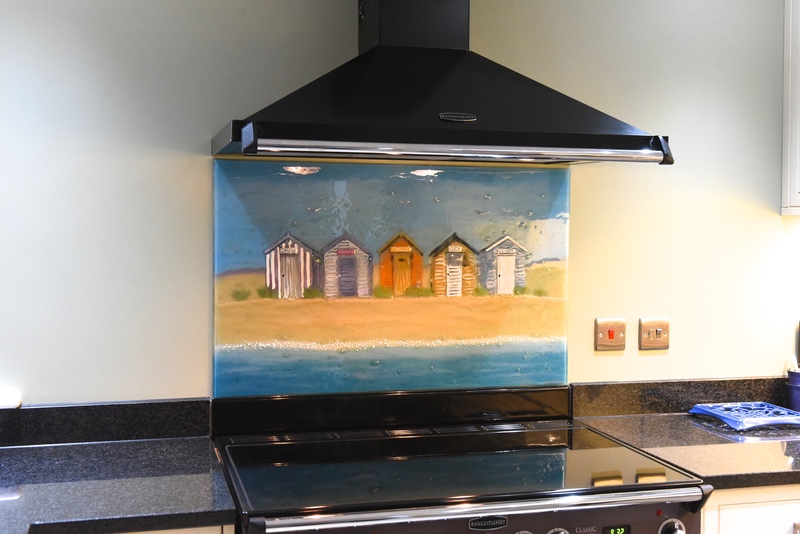 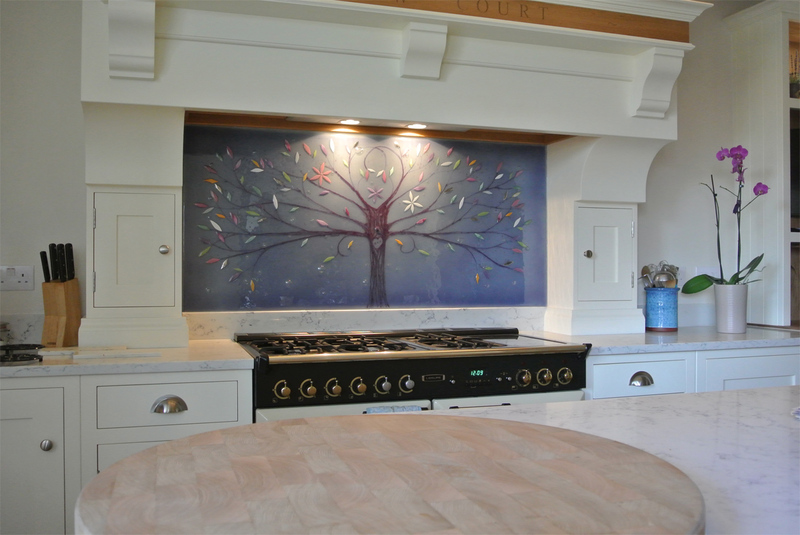 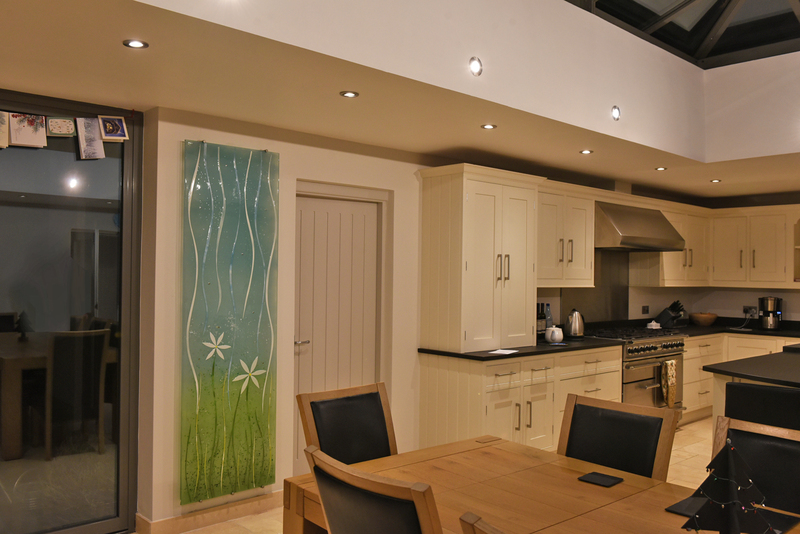 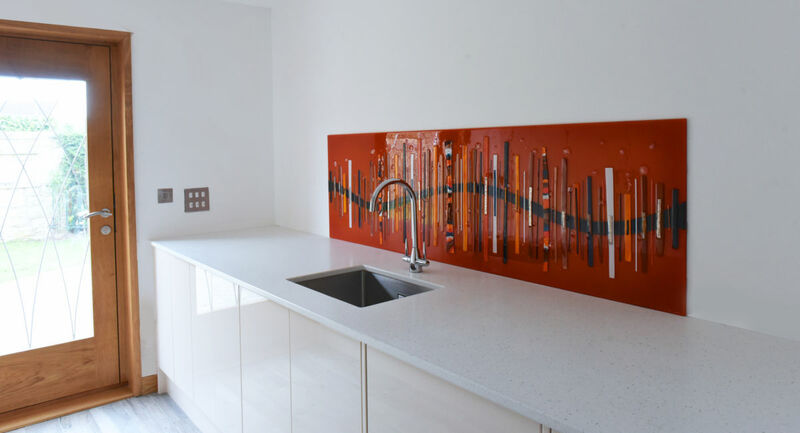 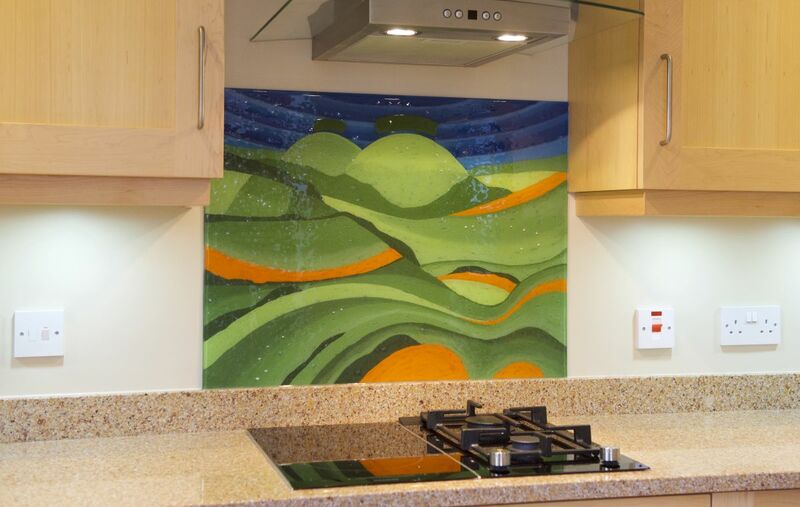 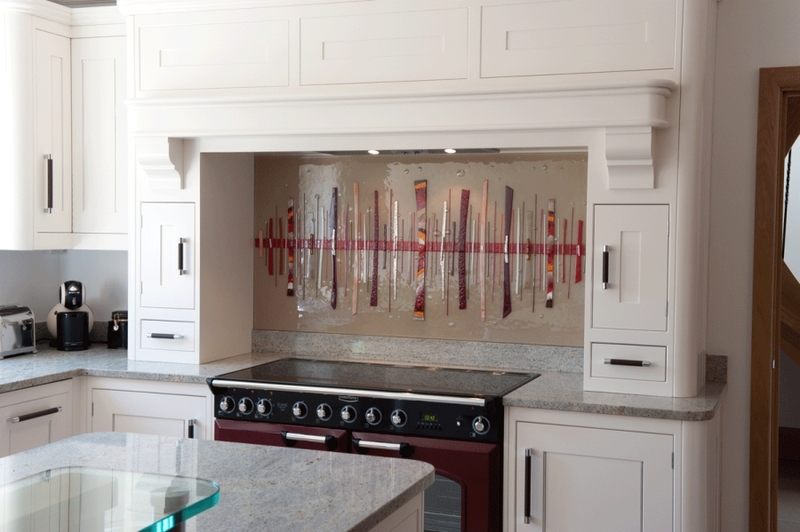 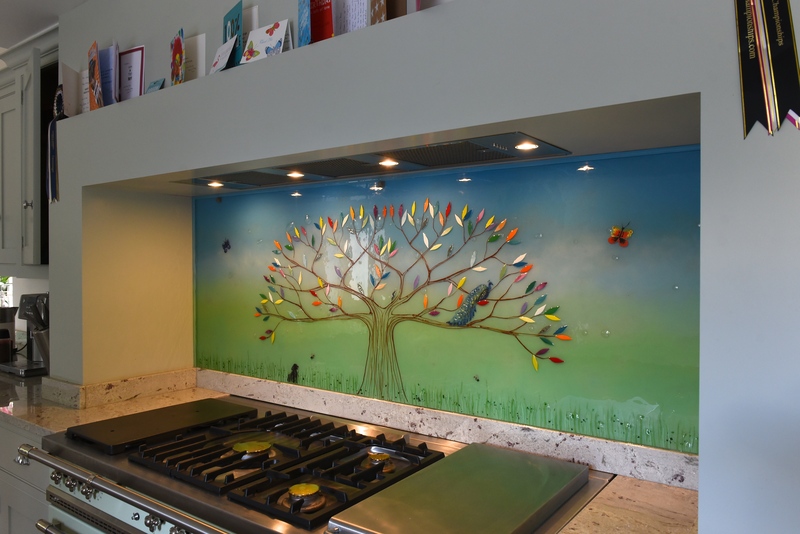 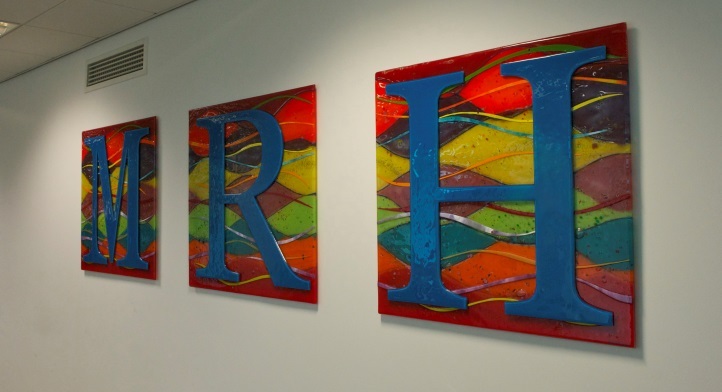 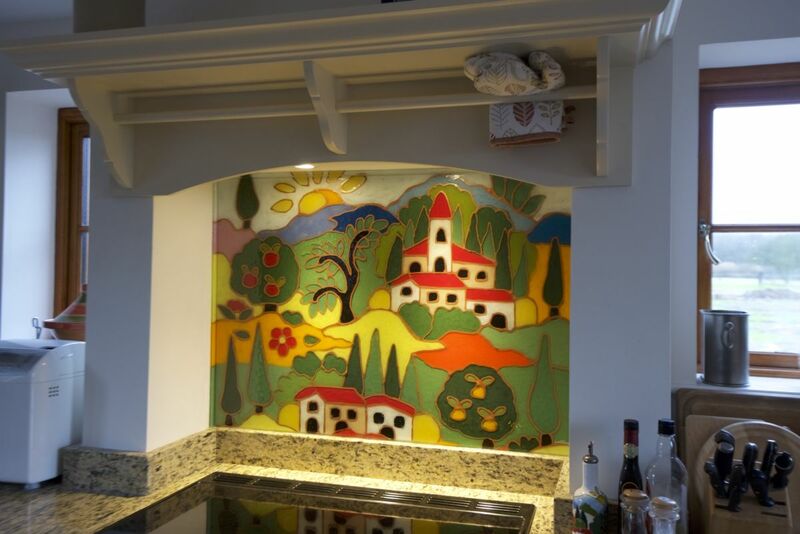 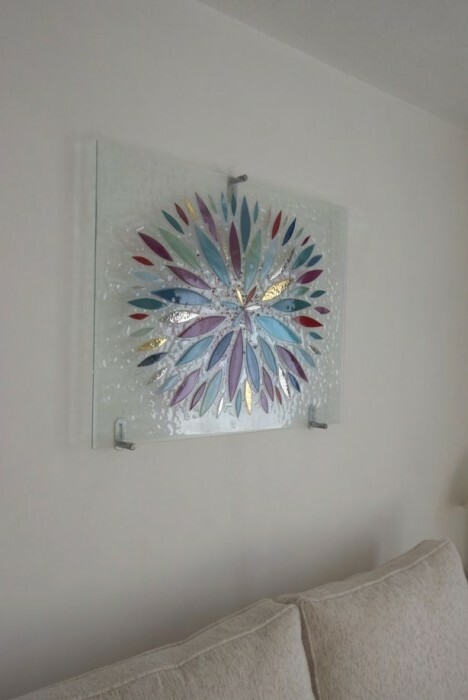 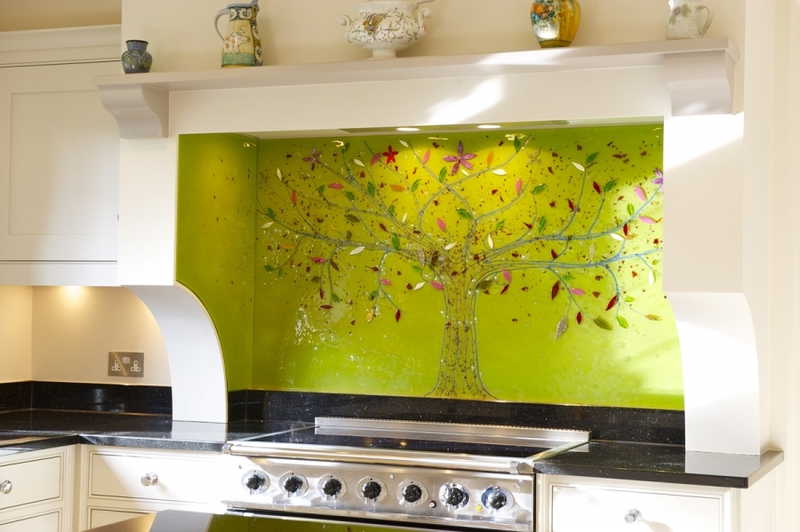 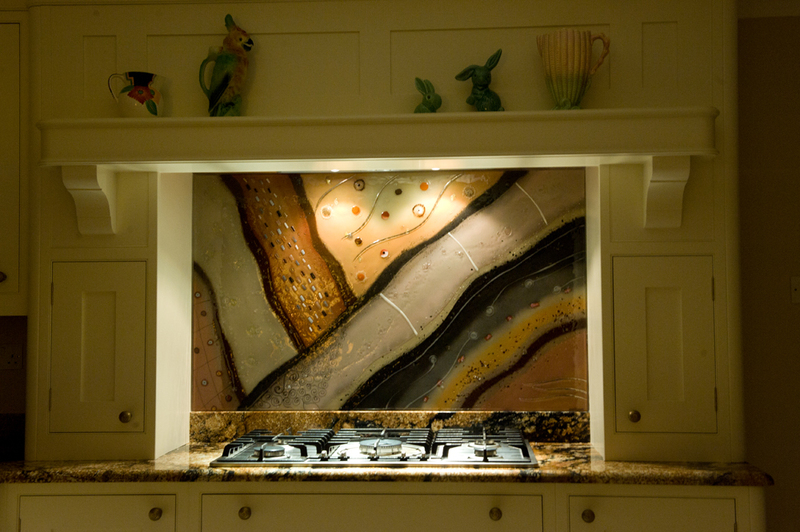 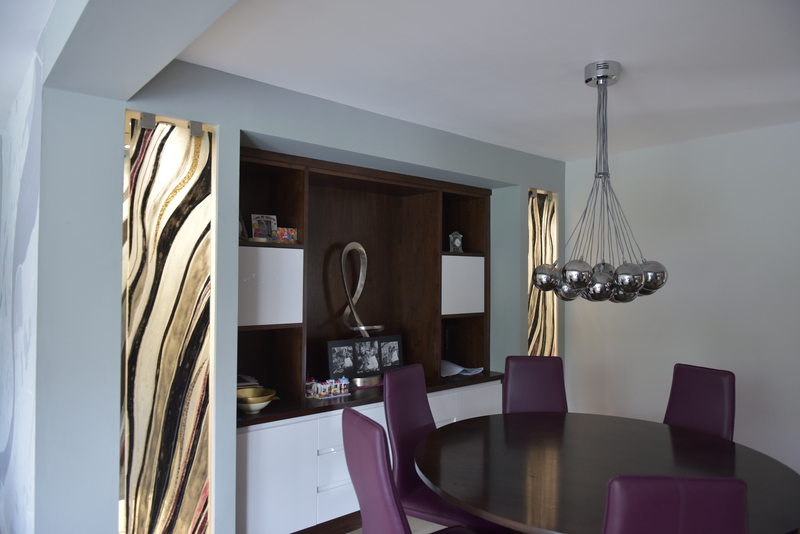 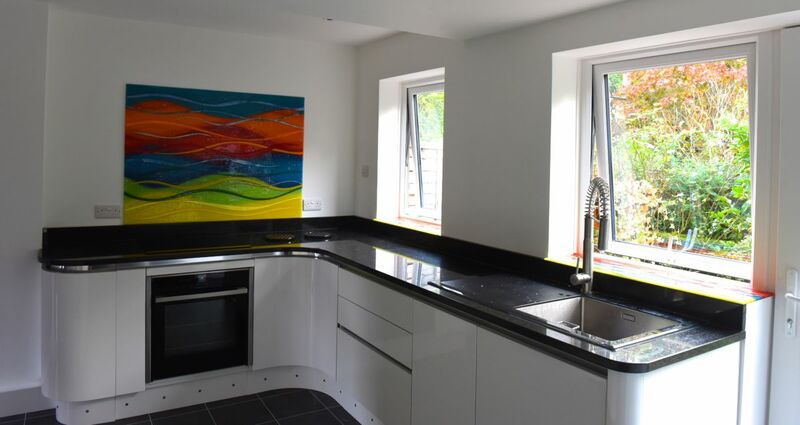 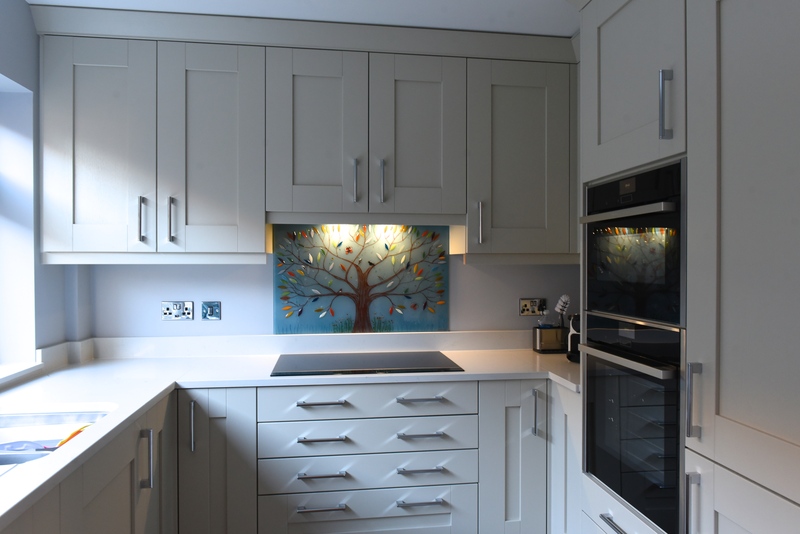 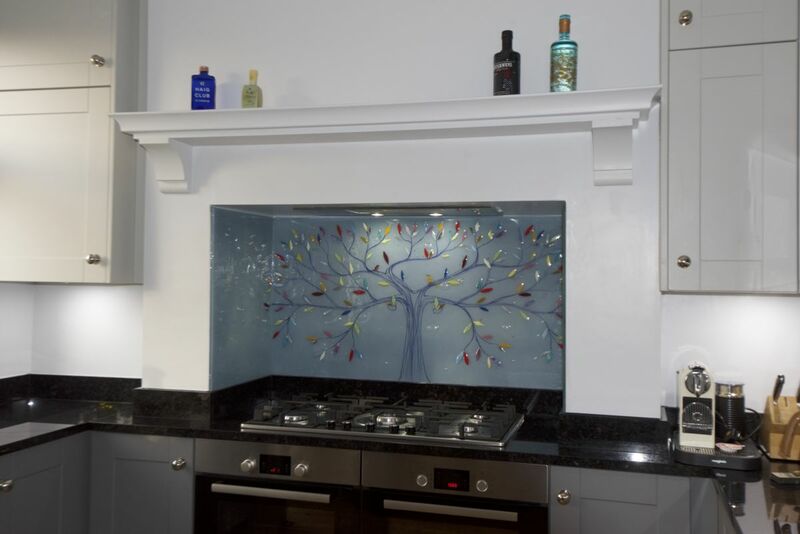 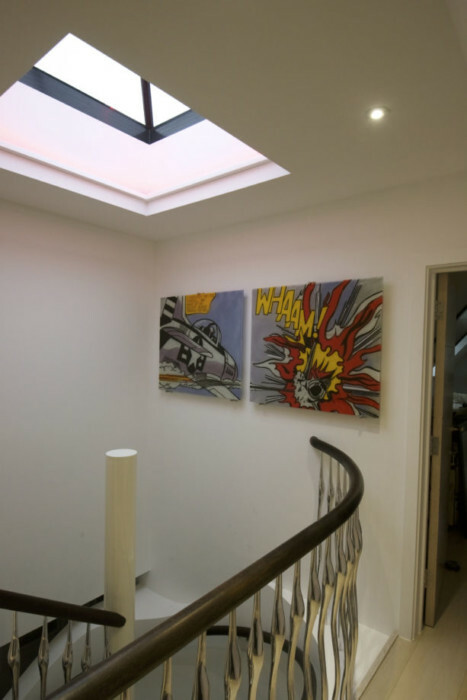 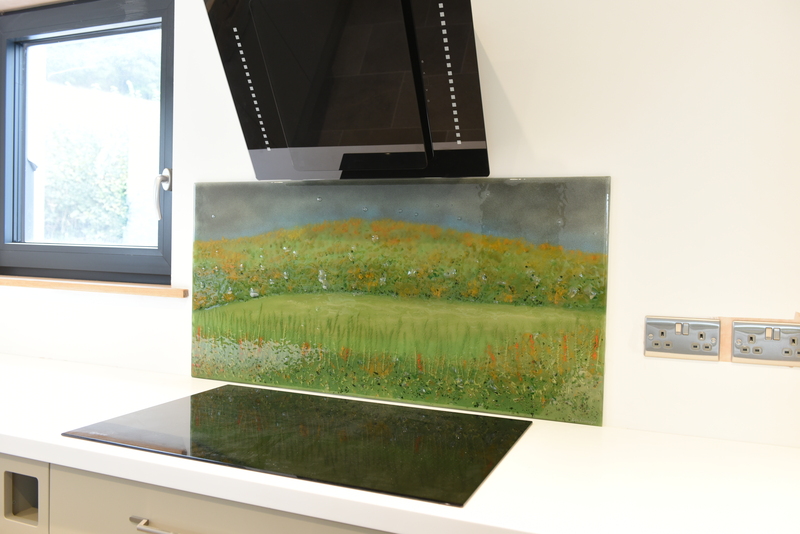 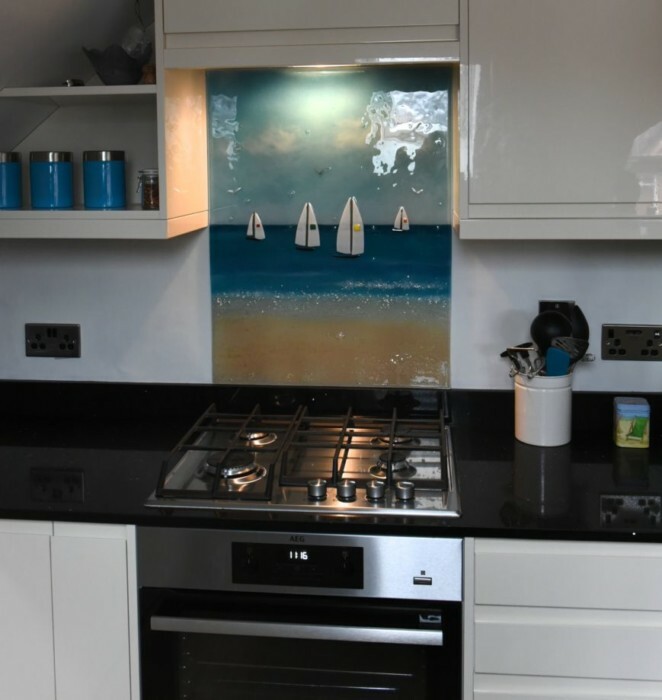 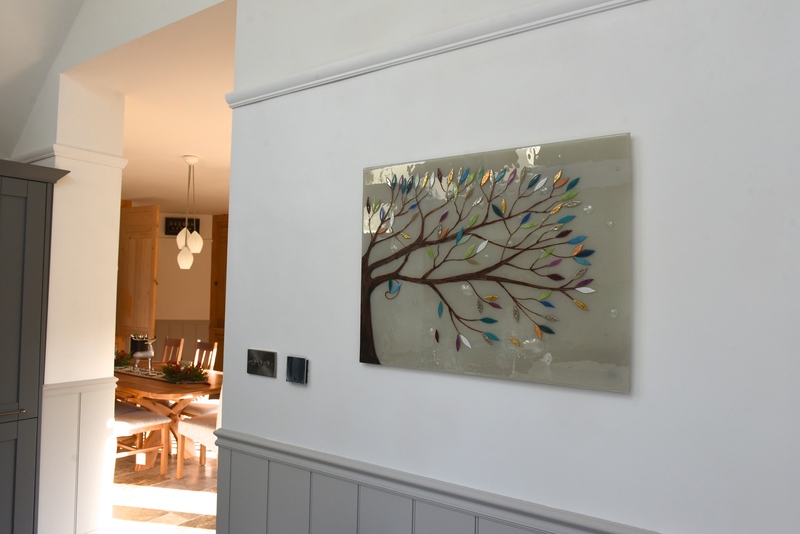 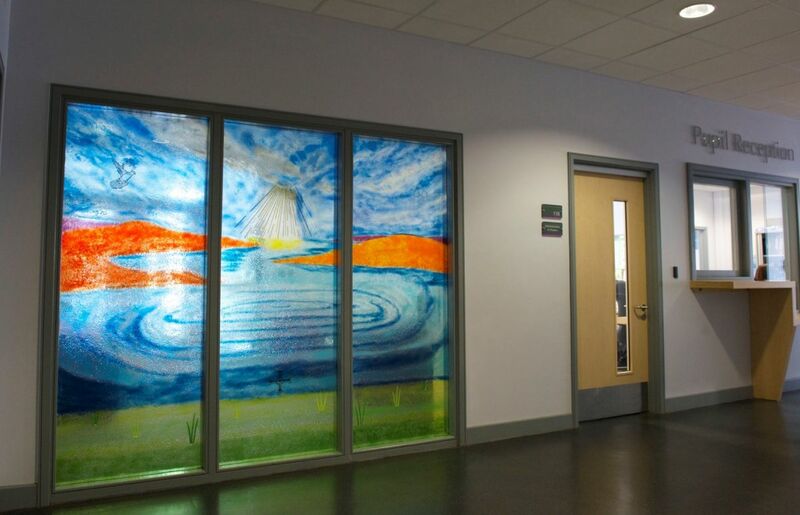 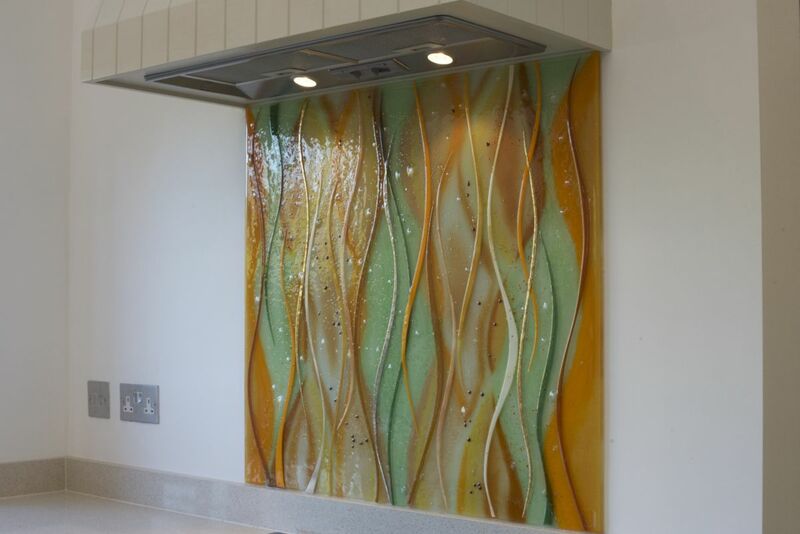 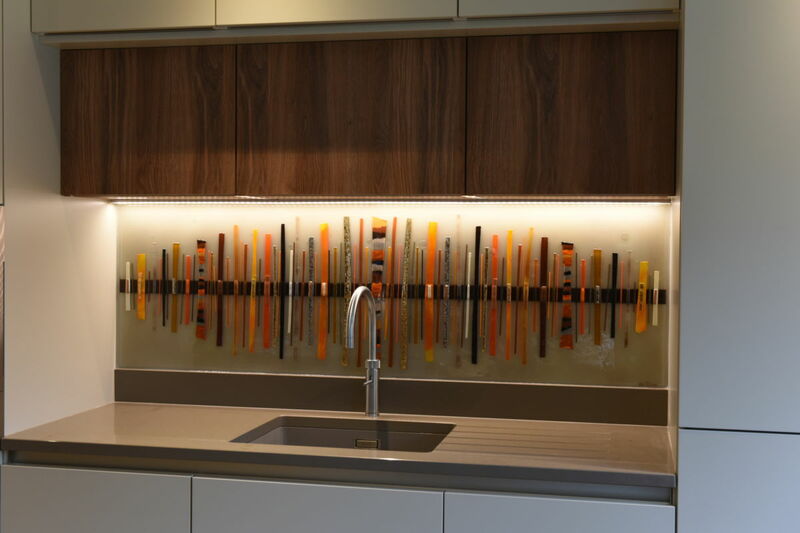 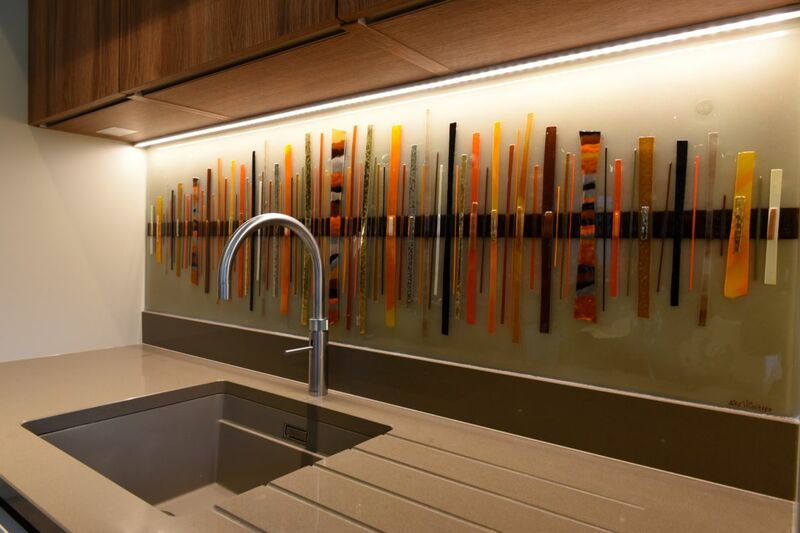 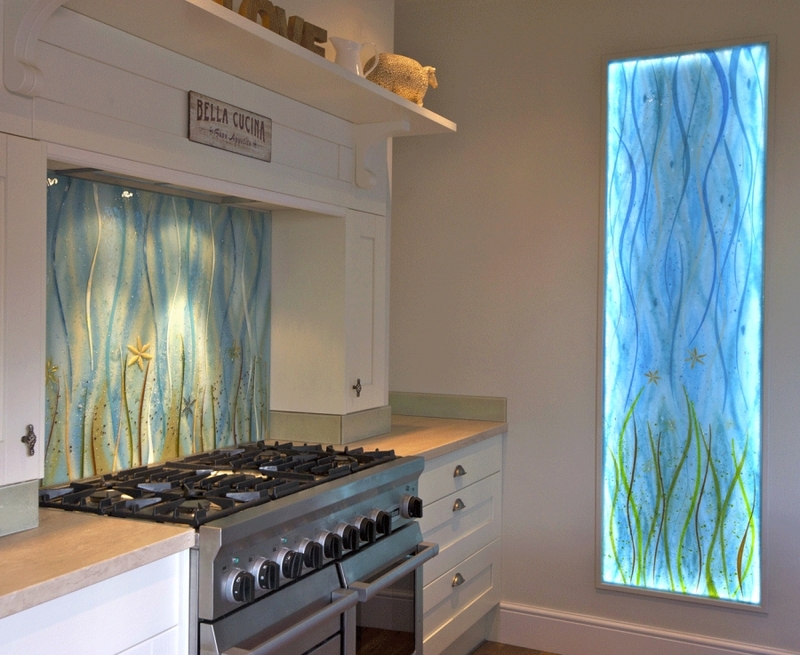 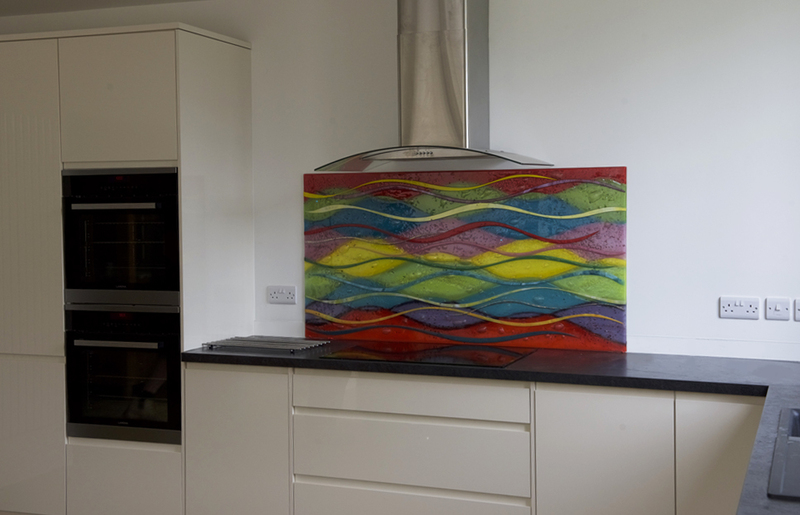 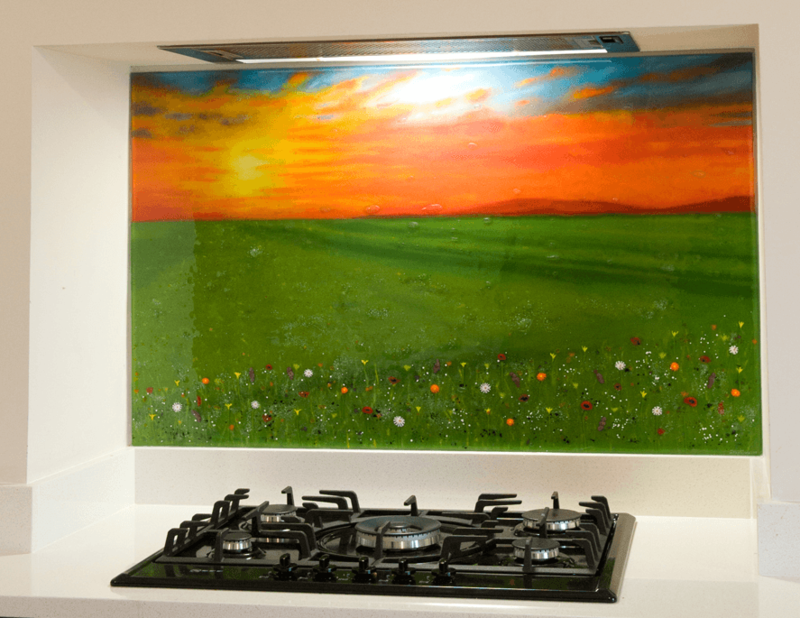 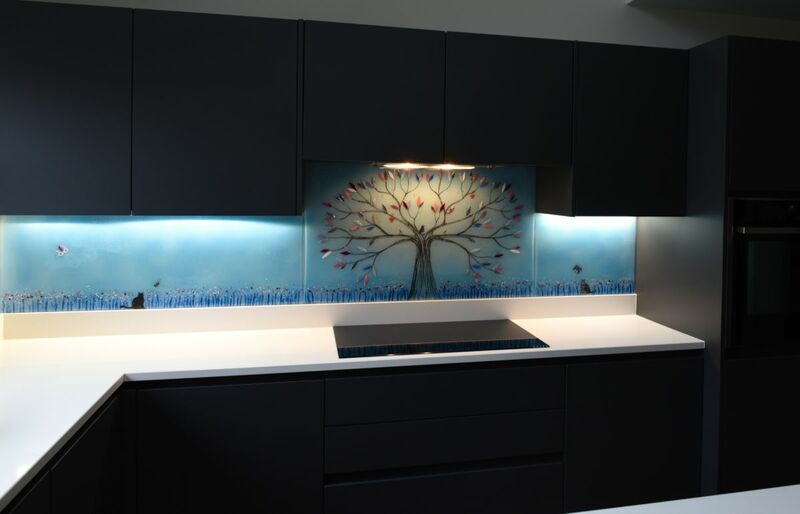 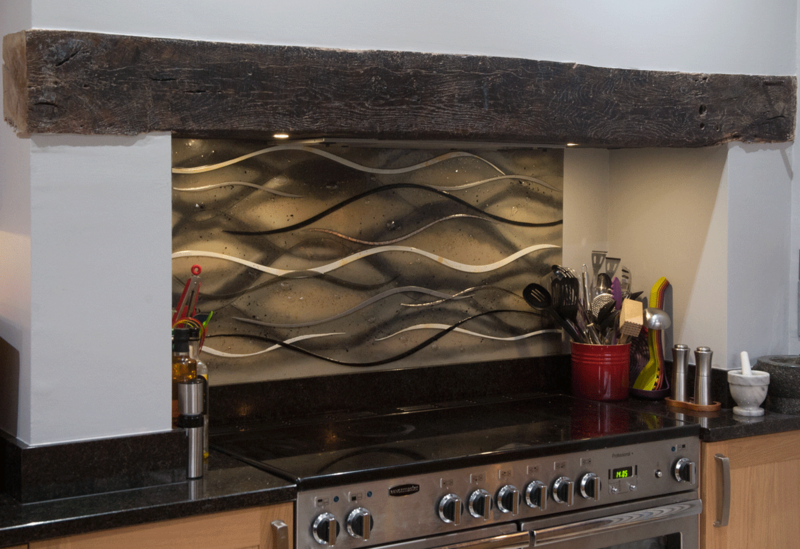 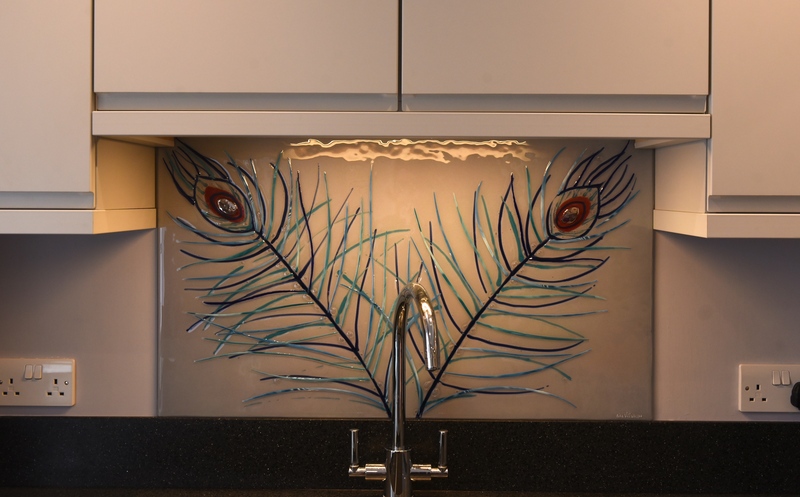 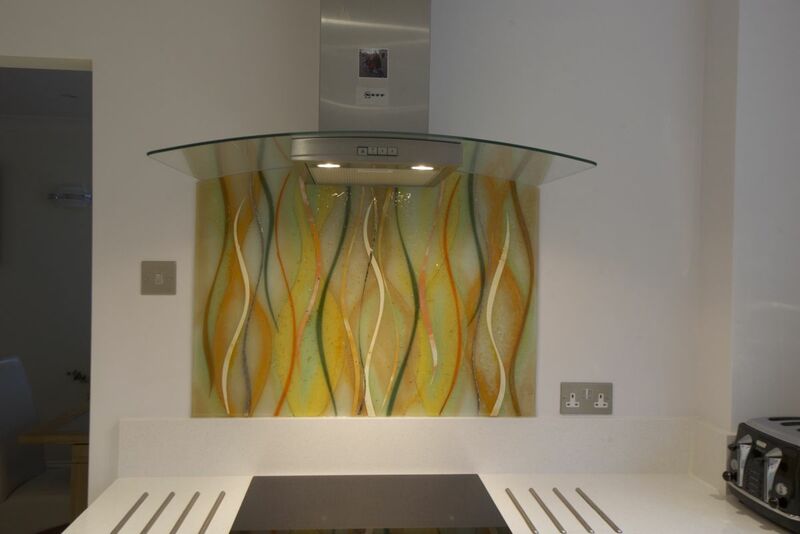 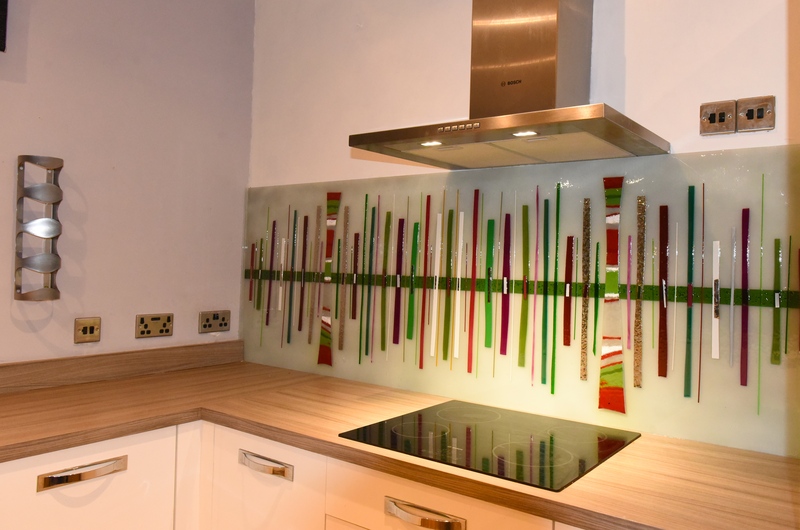 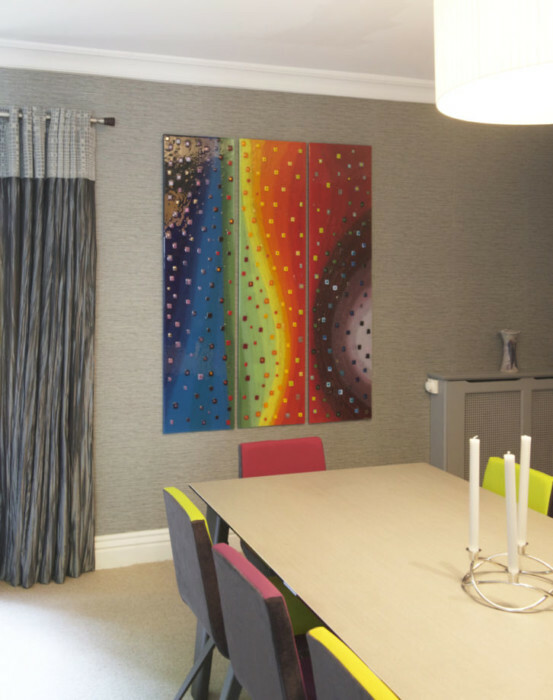 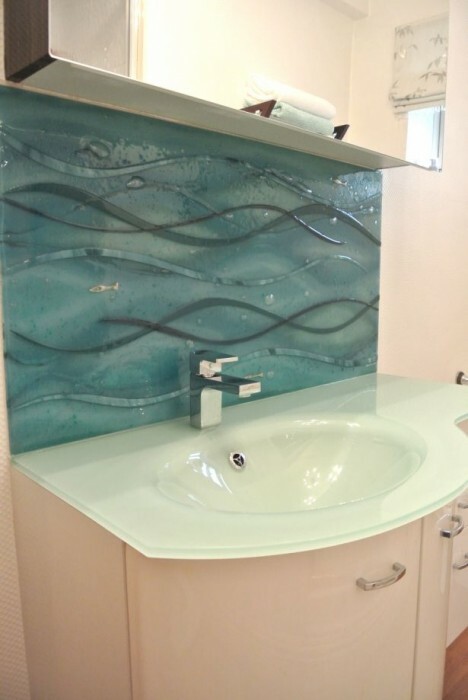 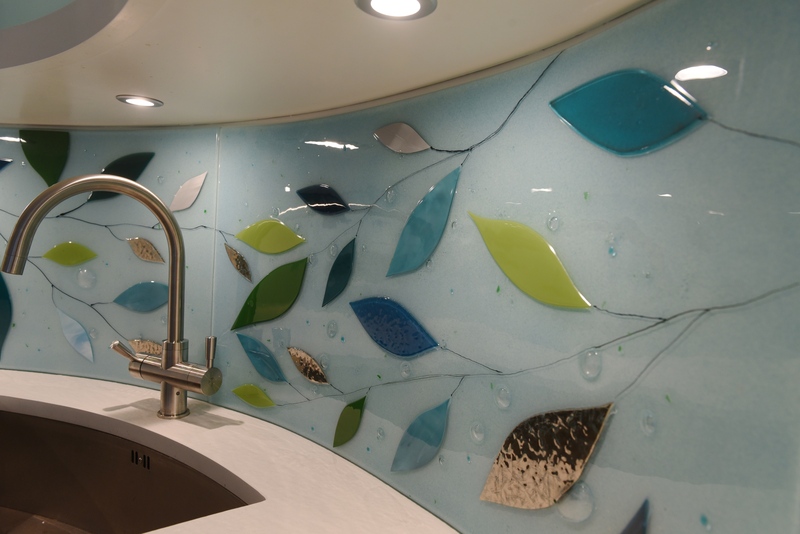 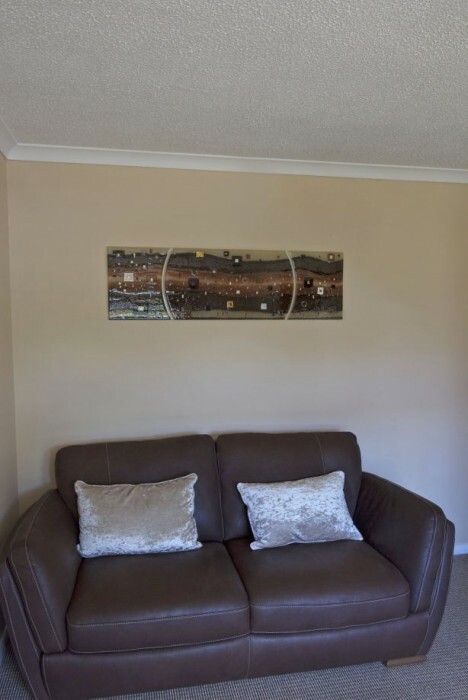 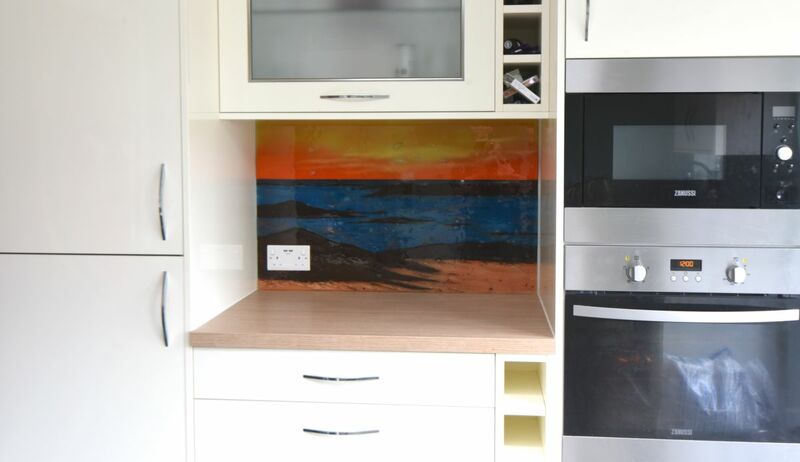 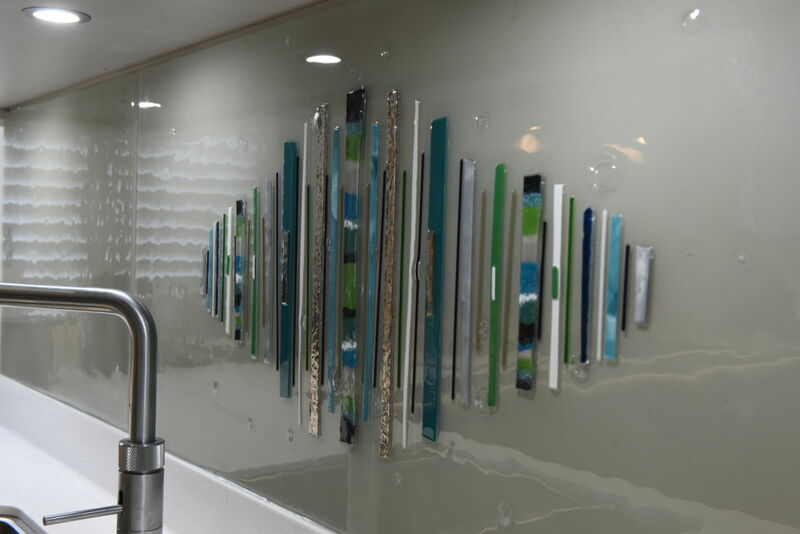 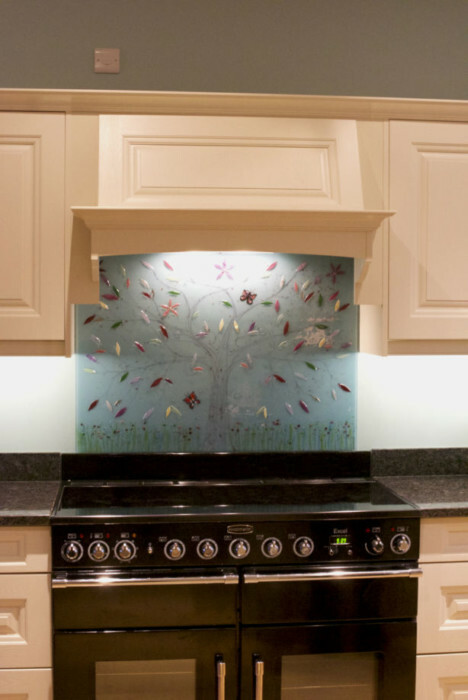 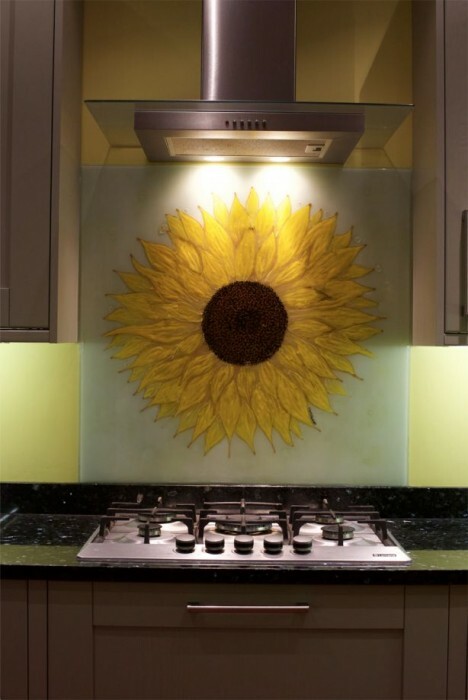 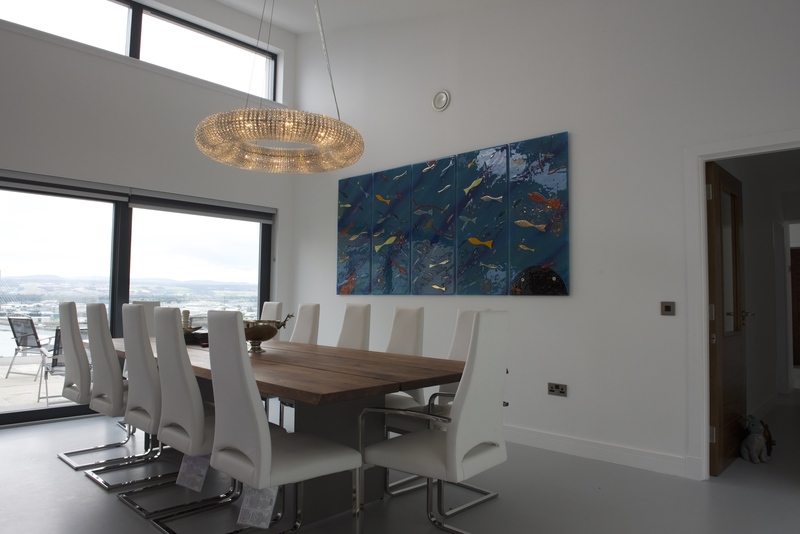 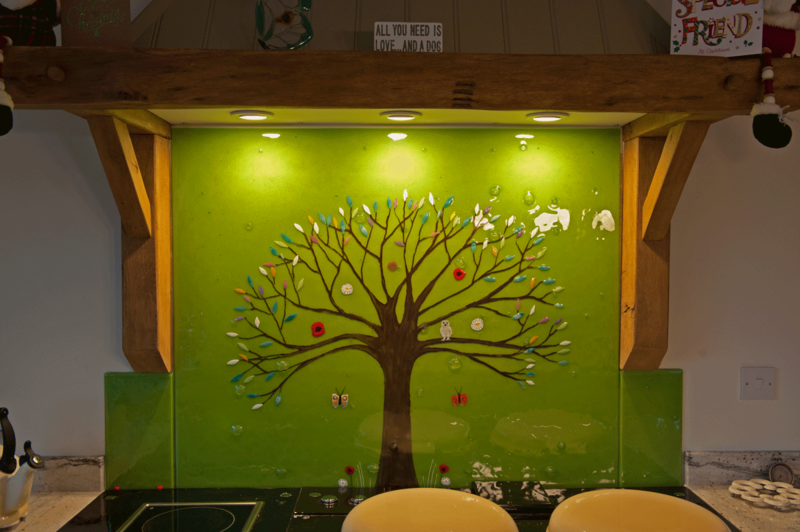 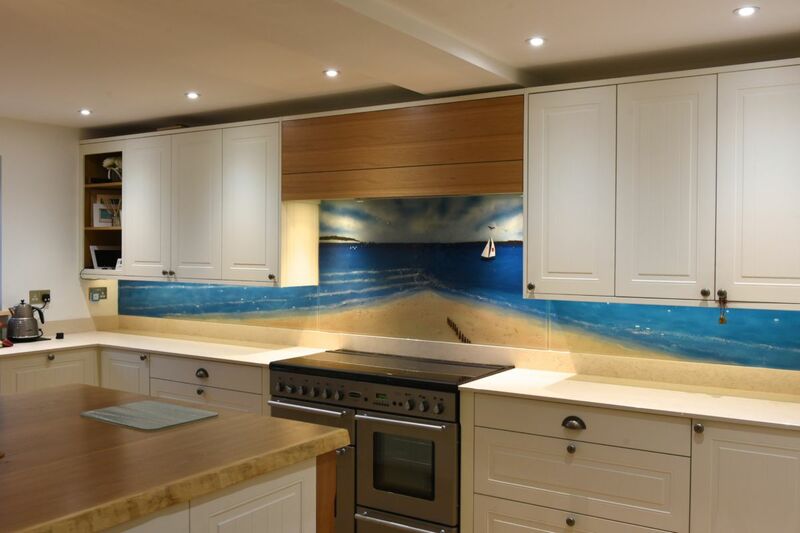 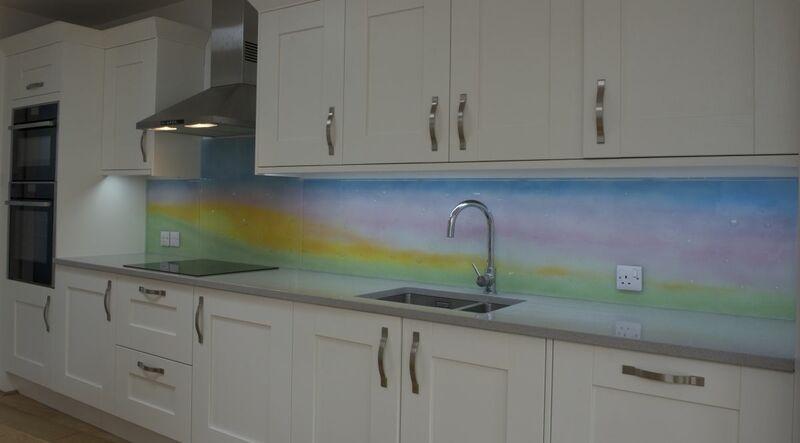 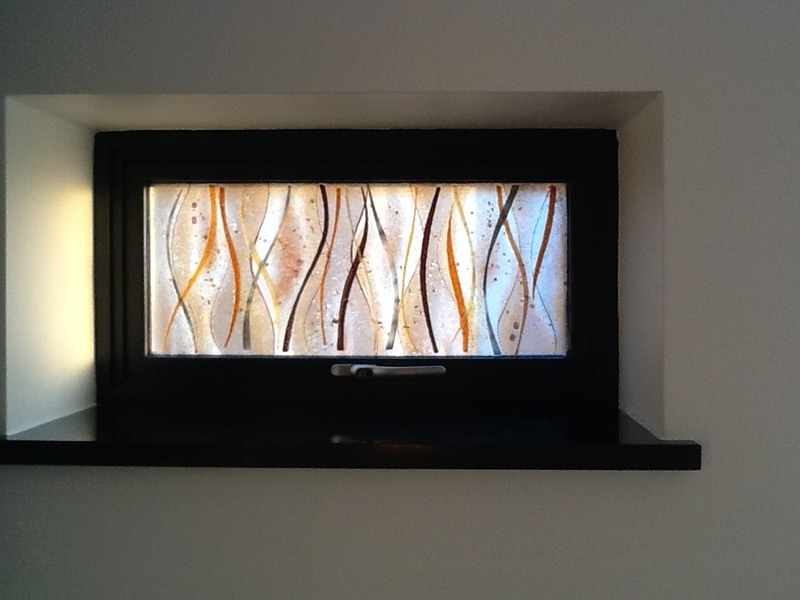 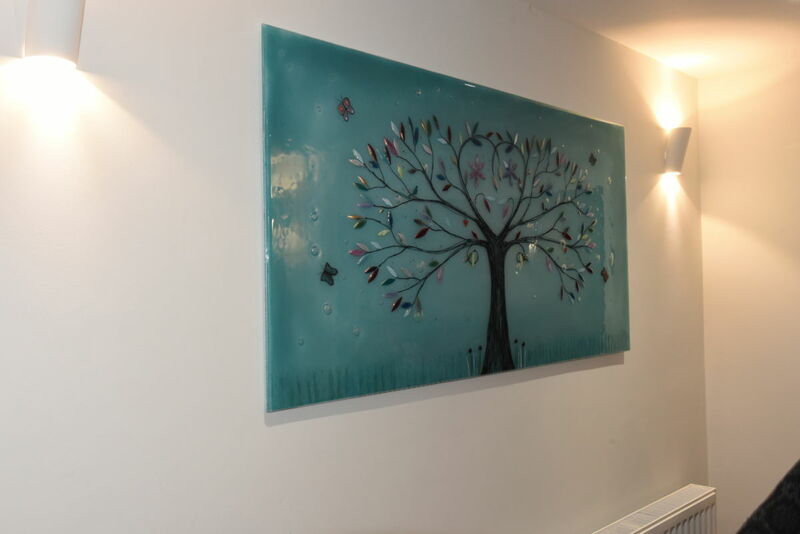 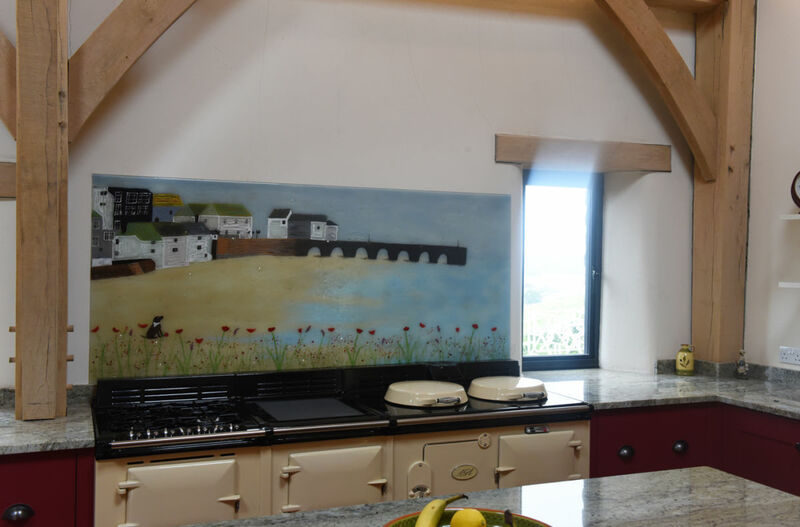 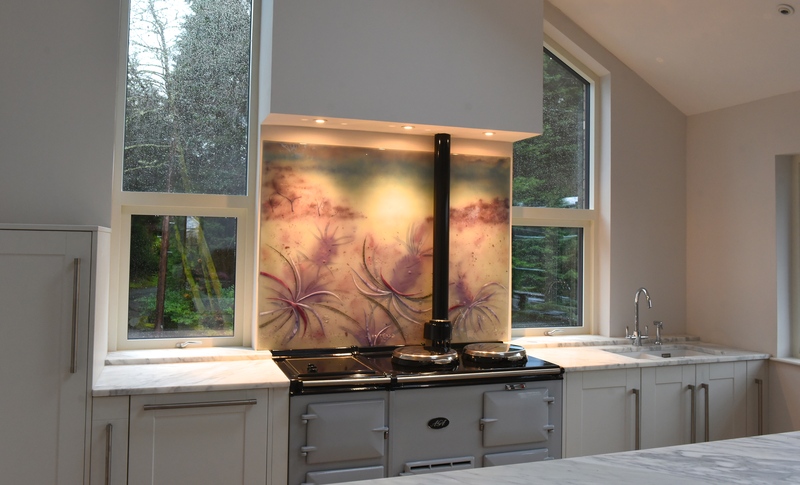 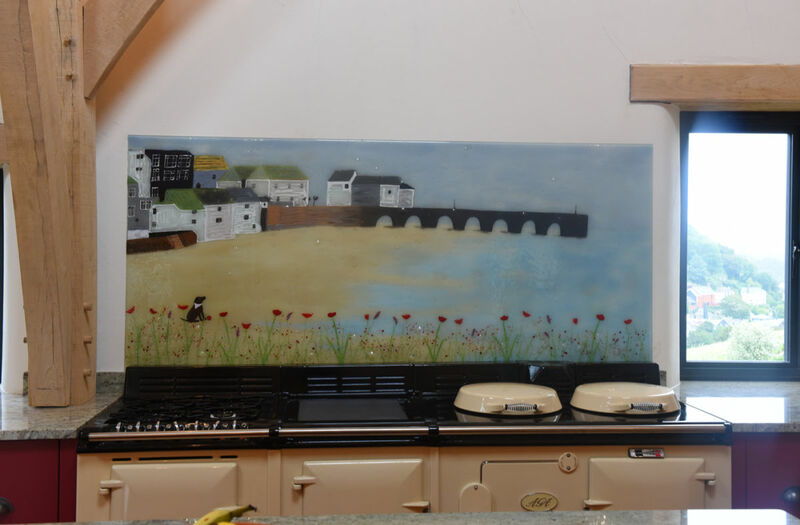 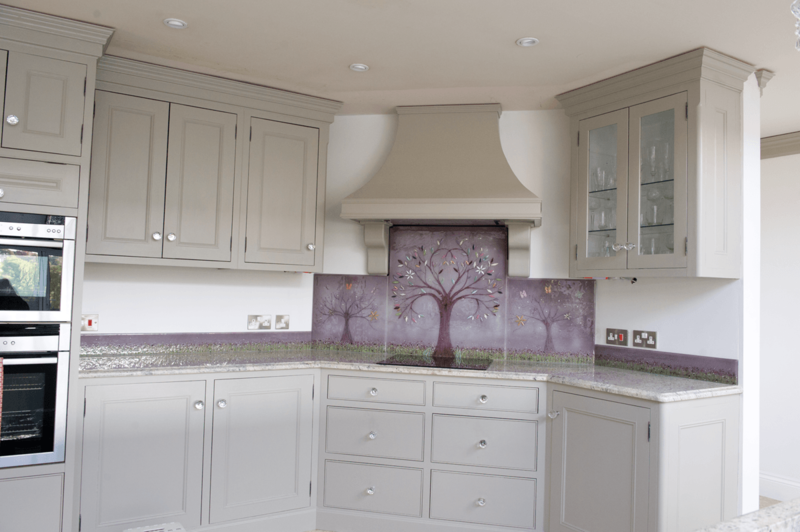 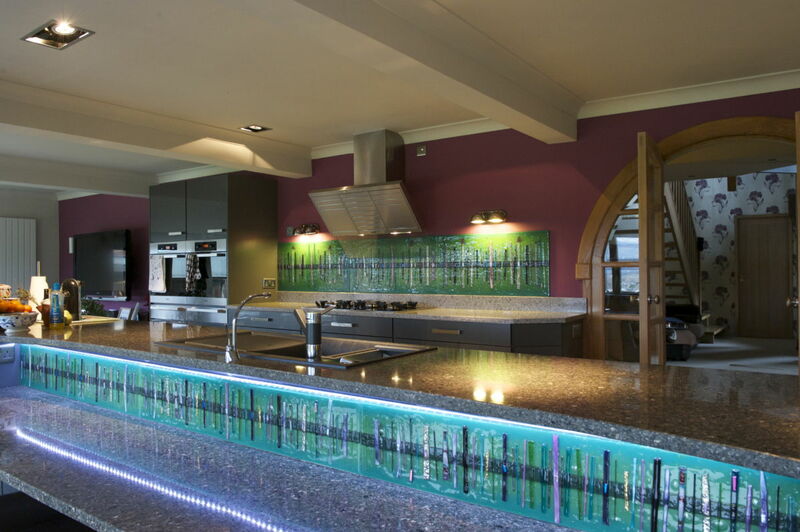 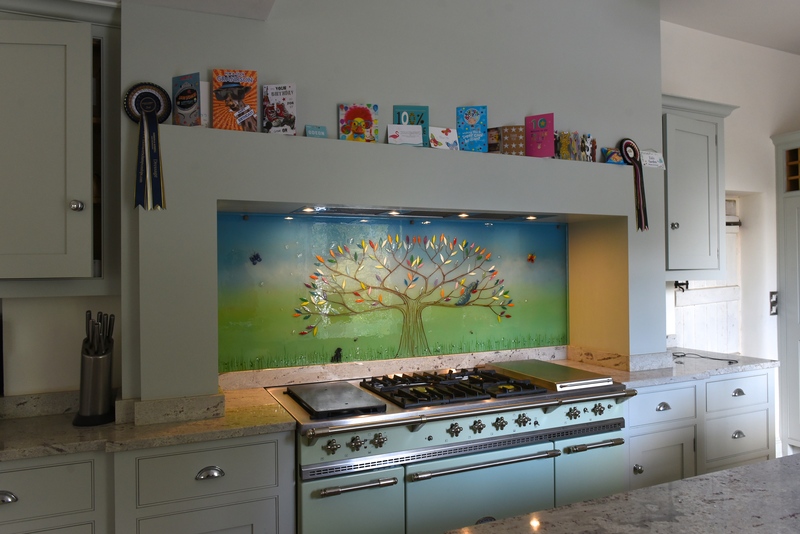 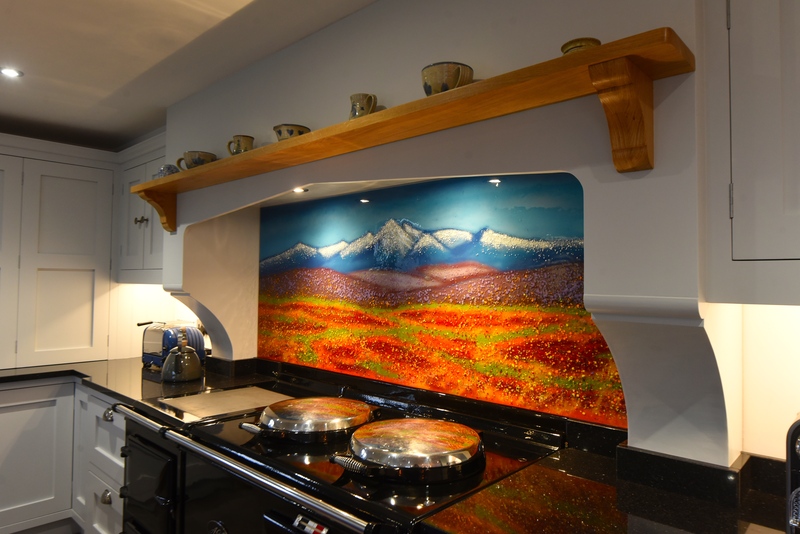 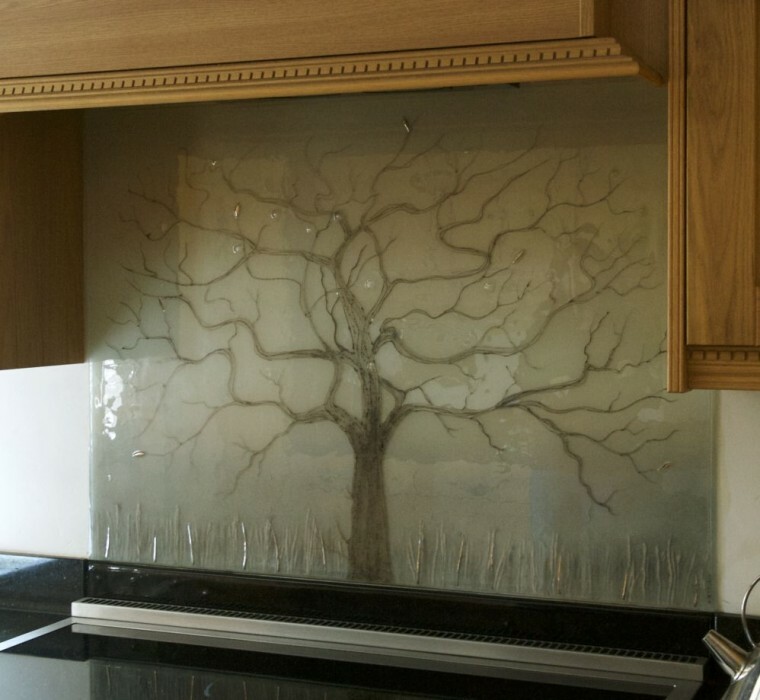 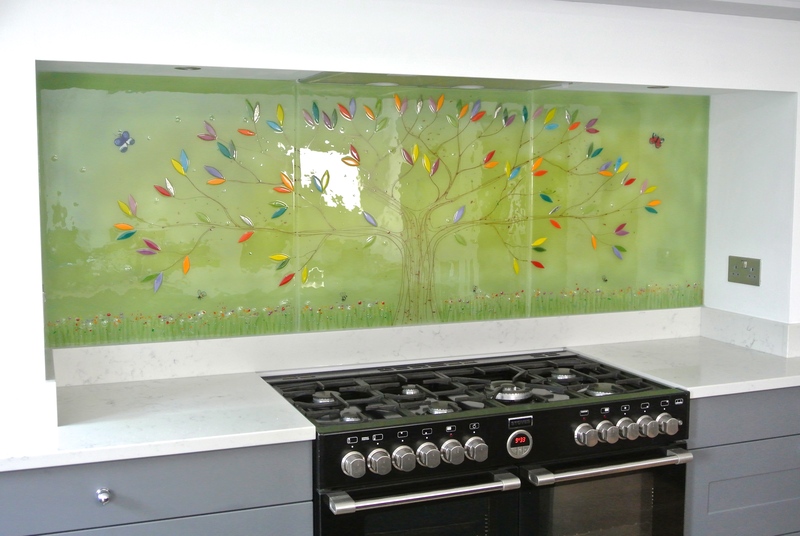 While coloured glass splashbacks tend to be created from a single colour applied across the whole piece, fused glass is more of a canvas onto which any number of highly detailed designs can be placed. 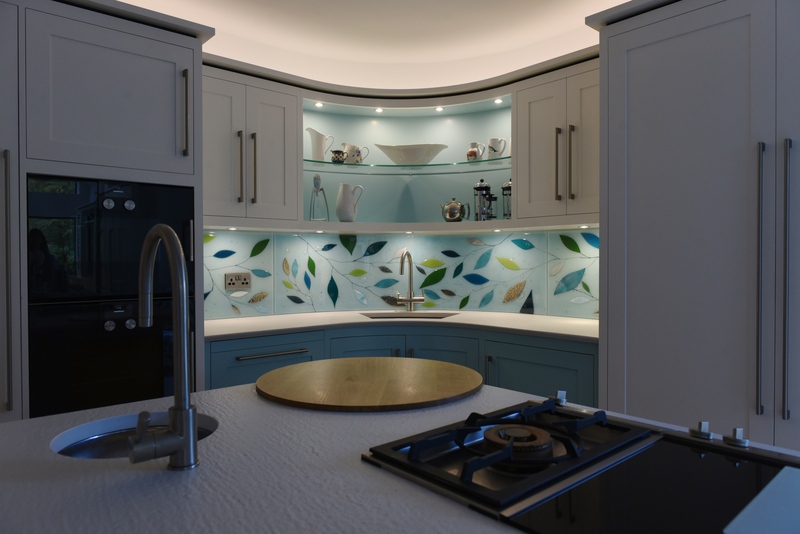 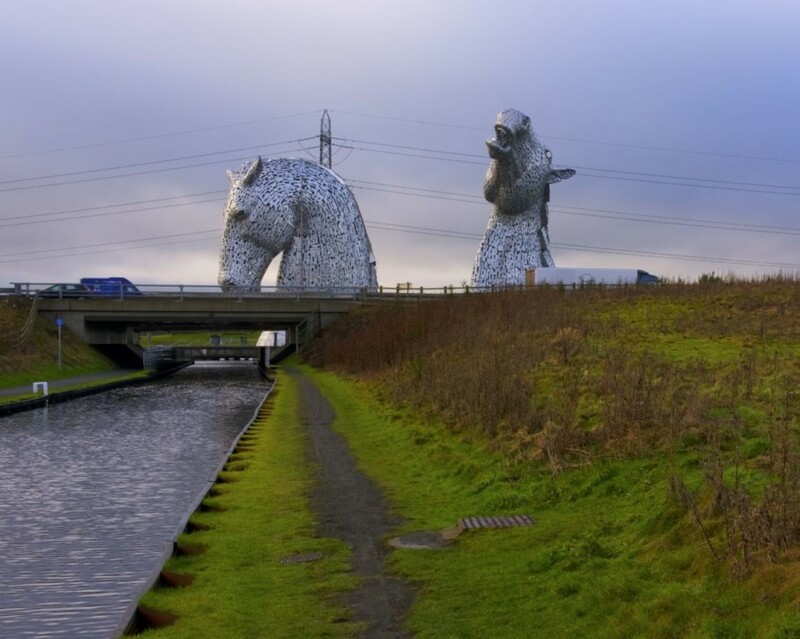 You only have to take a quick look through our portfolio to see the sheer variety of styles and designs that we’ve brought to life in the past, and that’s not counting the many pieces which utilise layers and 3D elements to create a visual spectacle. 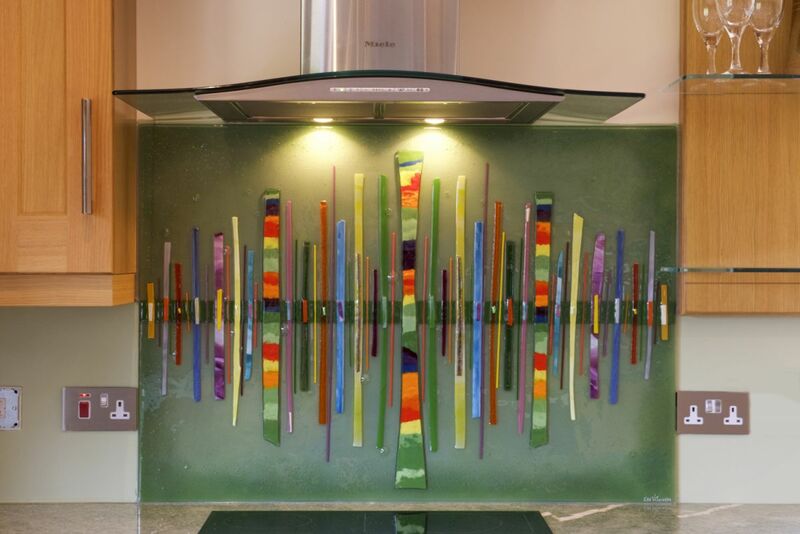 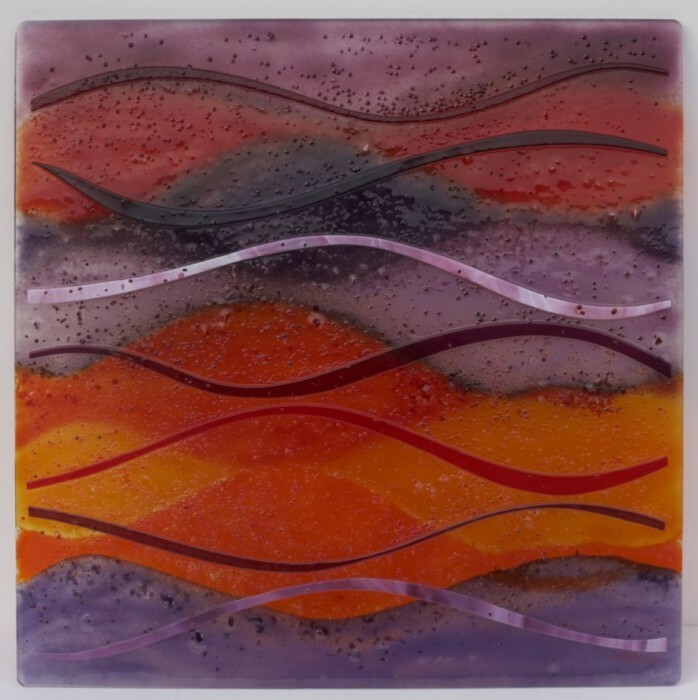 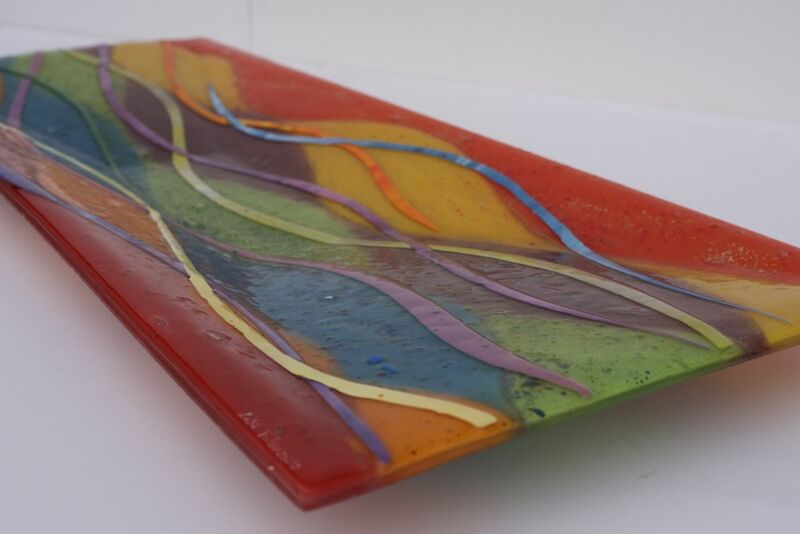 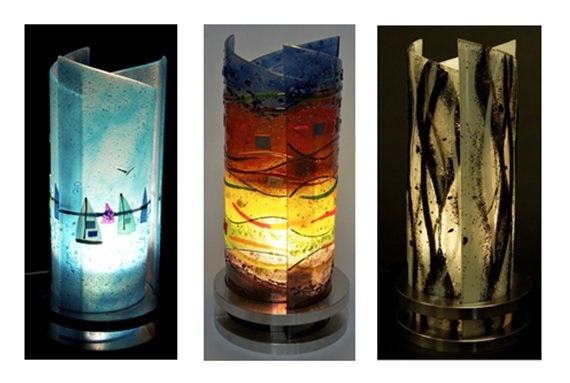 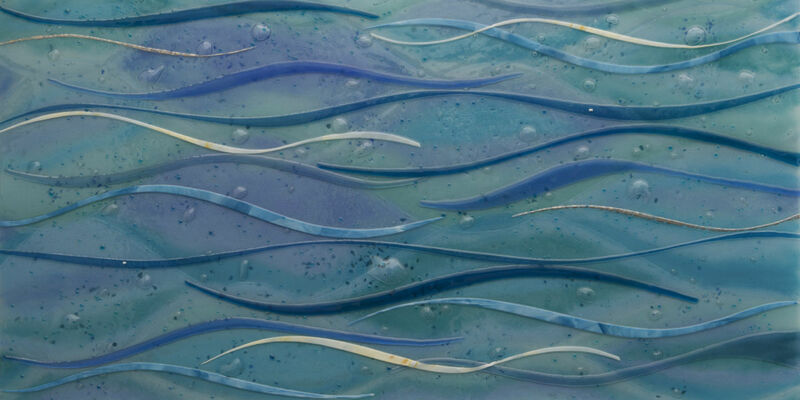 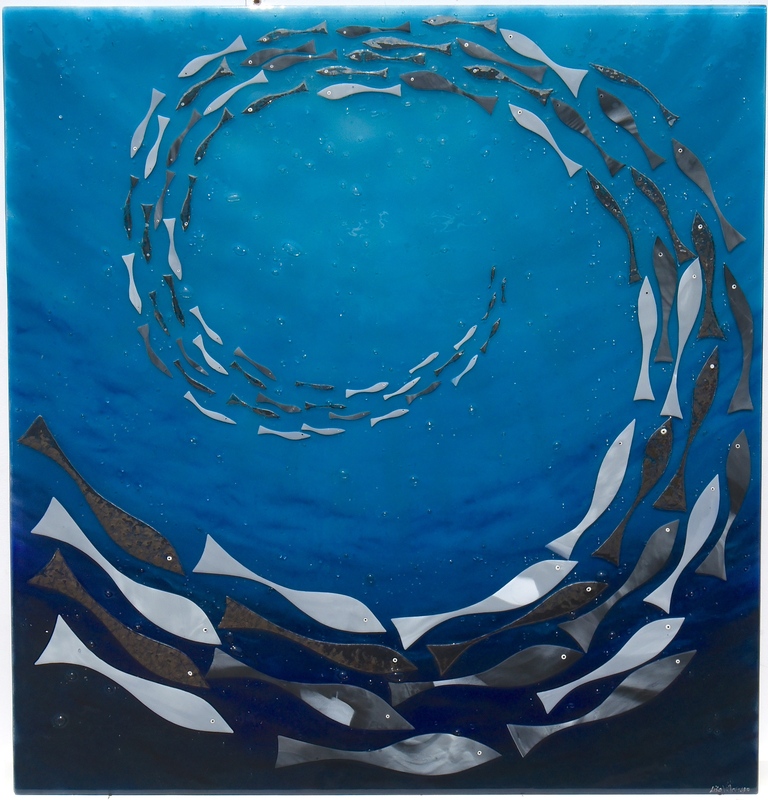 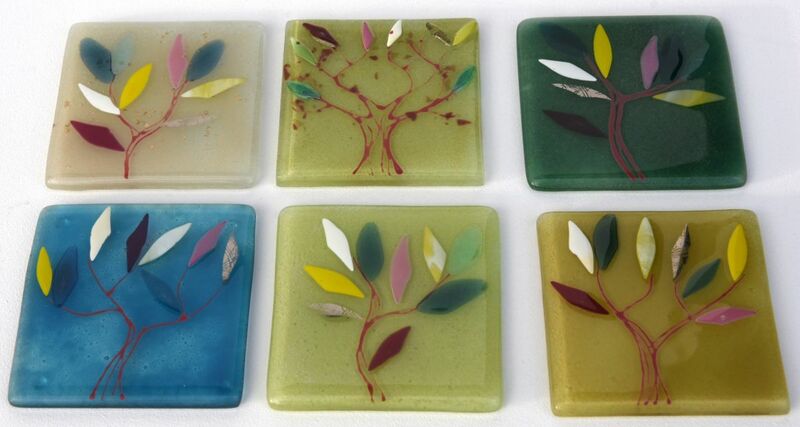 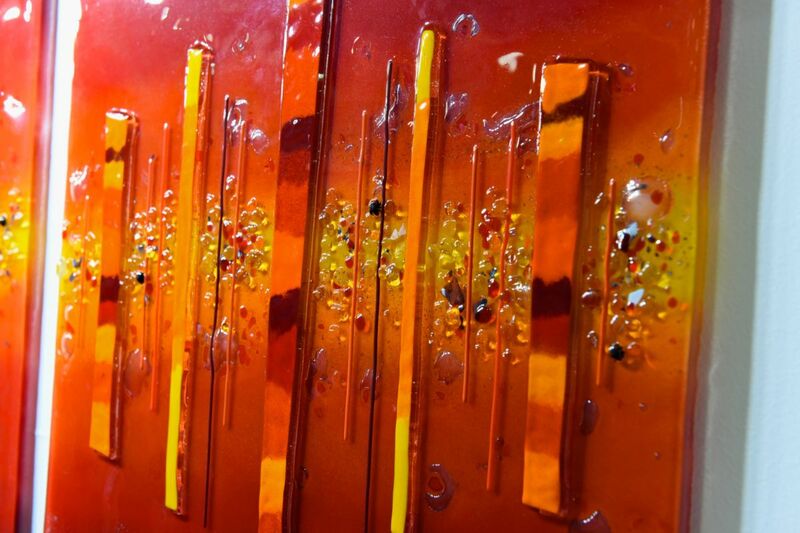 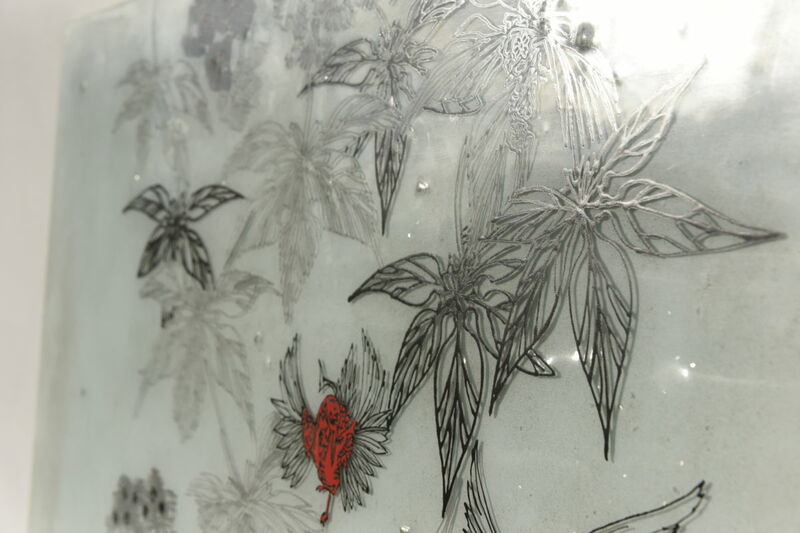 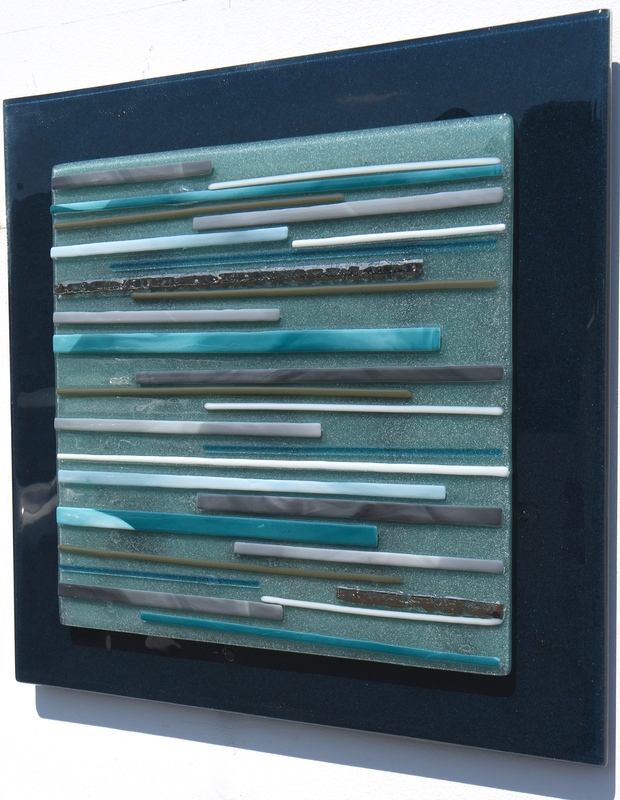 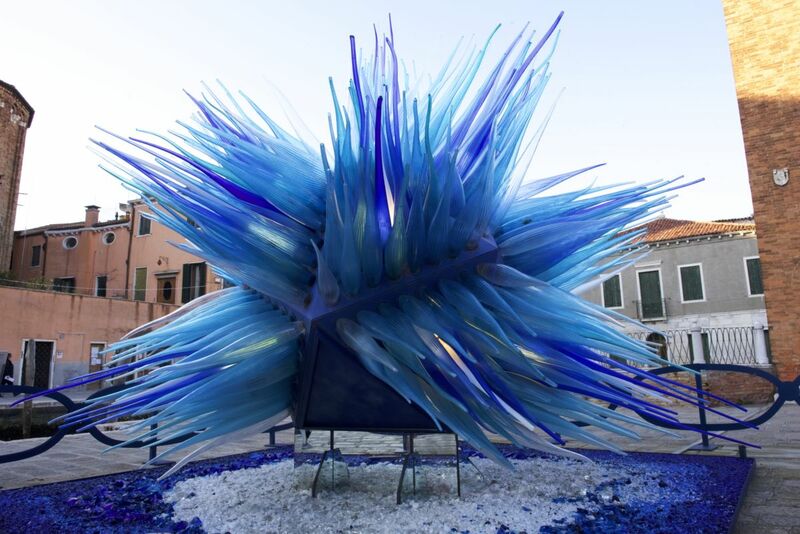 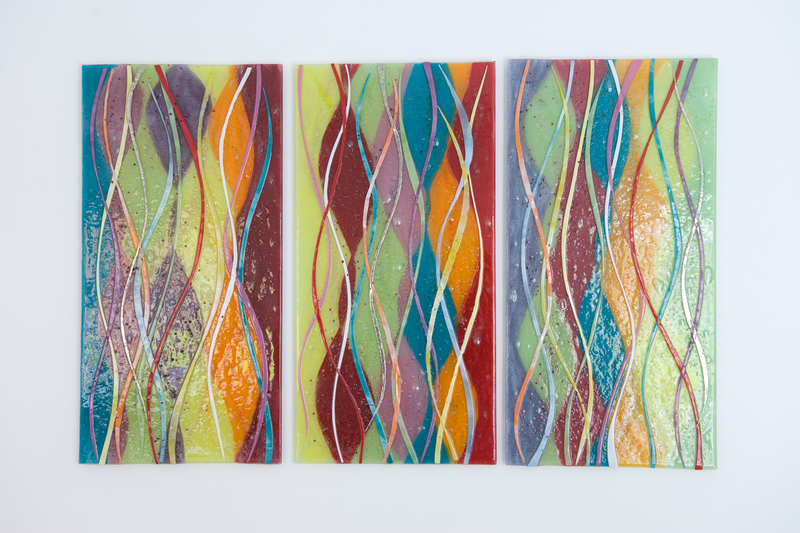 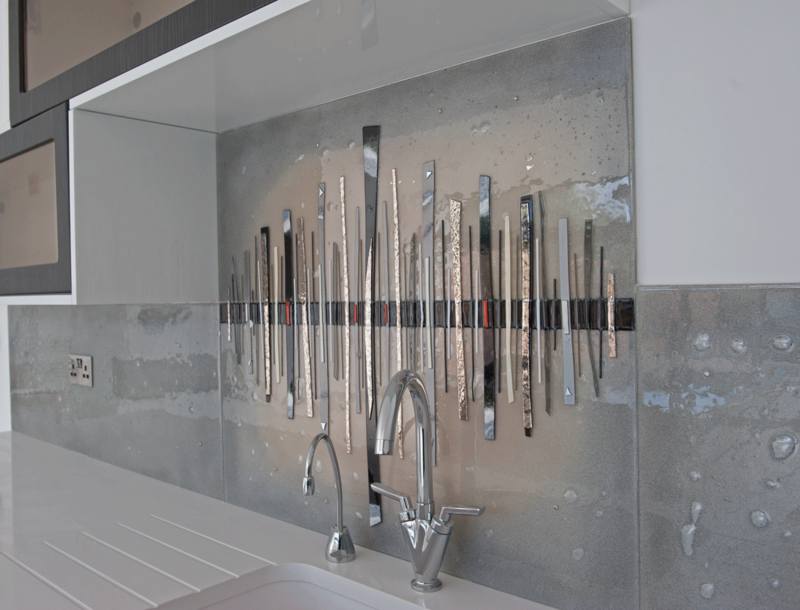 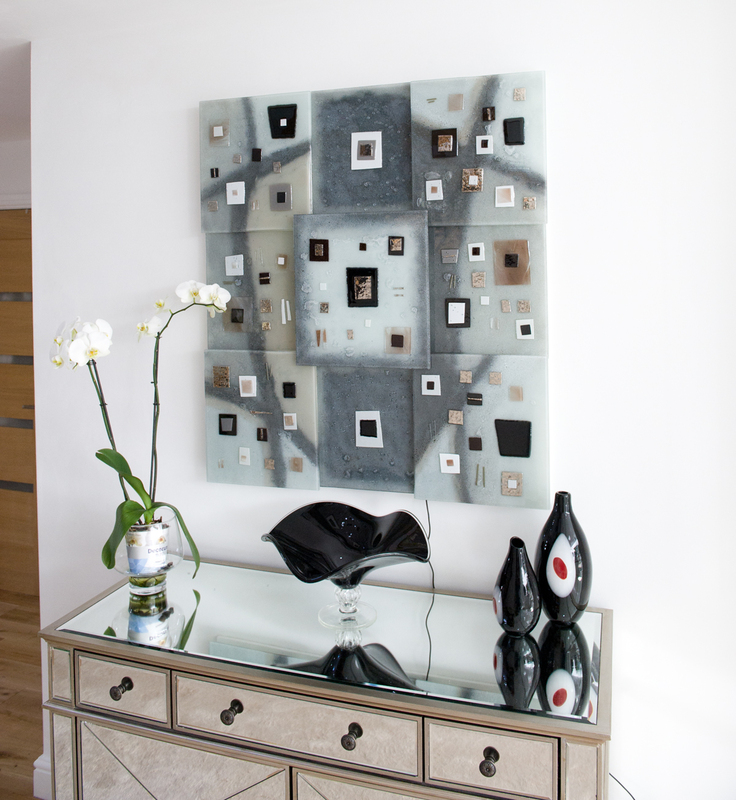 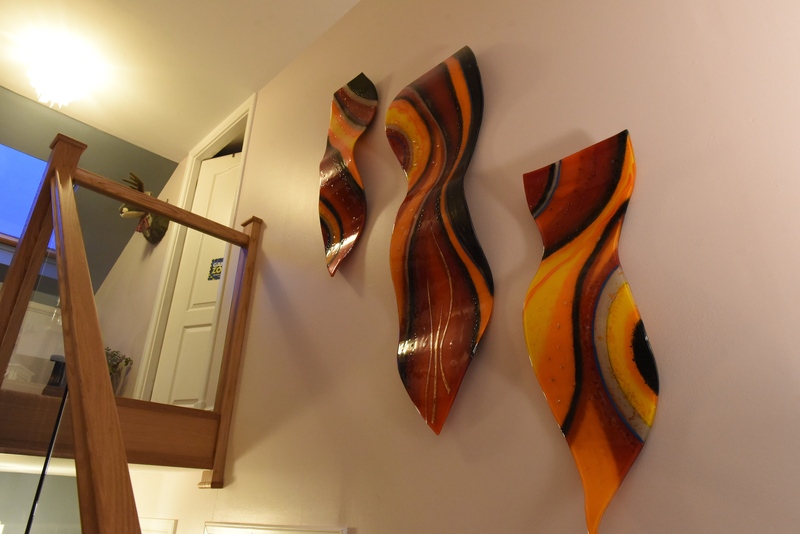 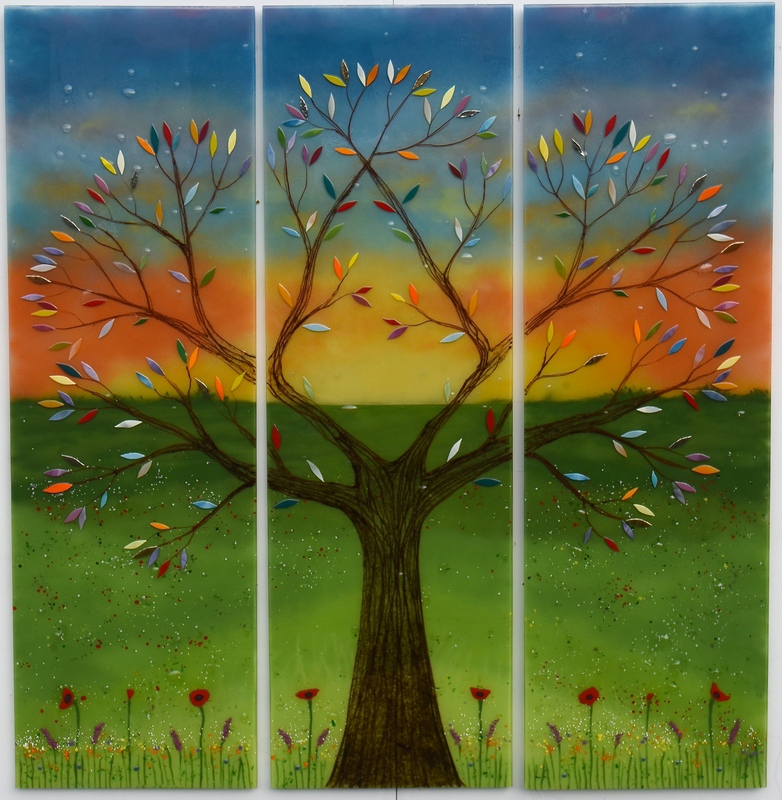 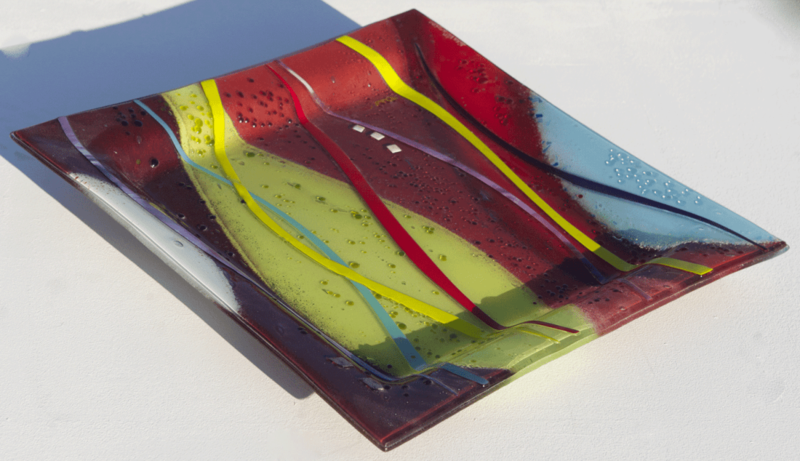 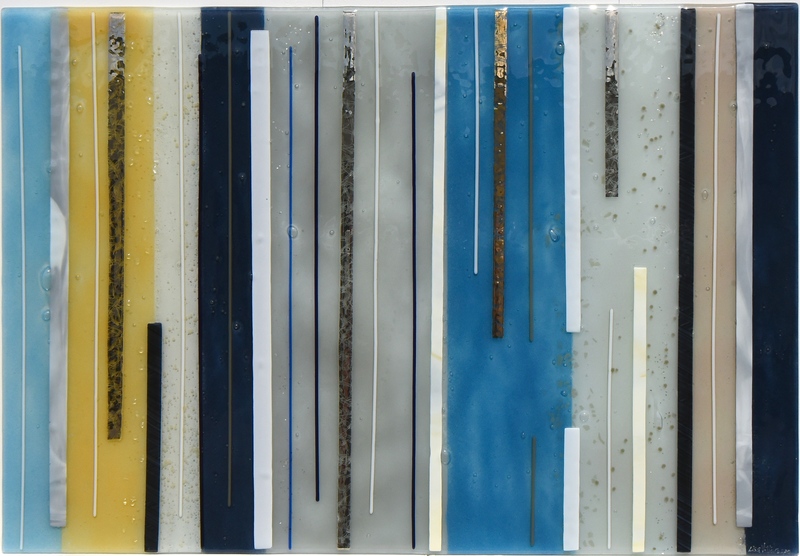 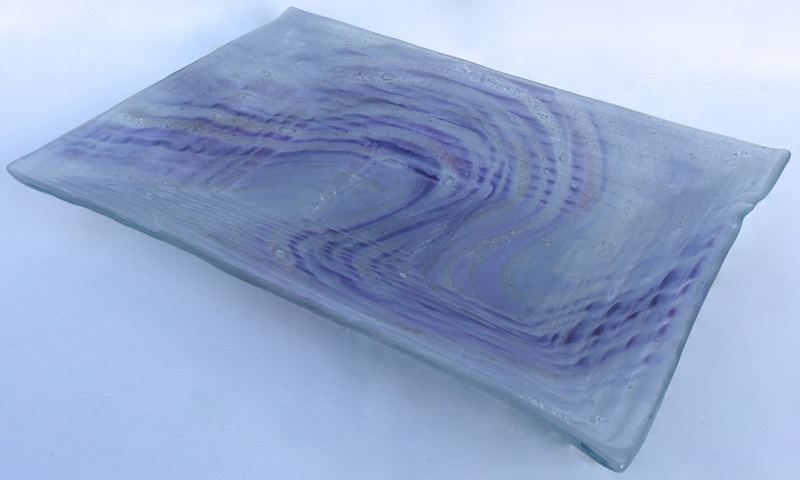 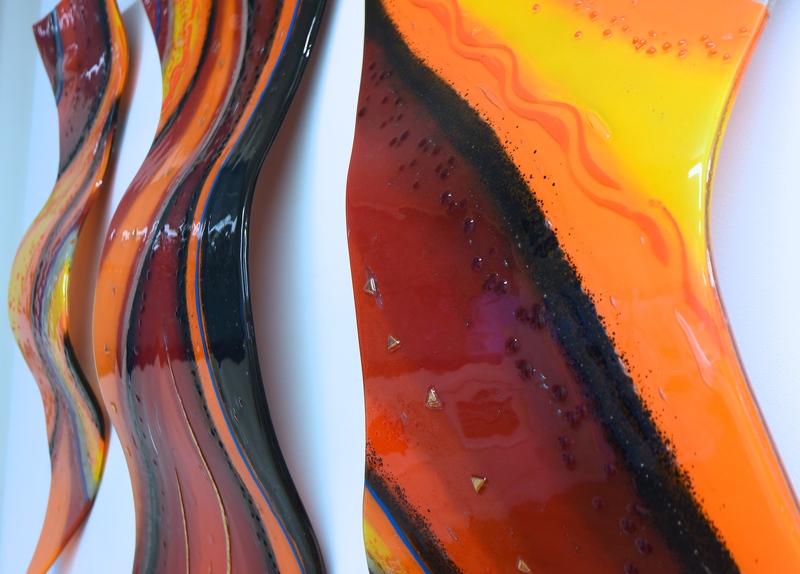 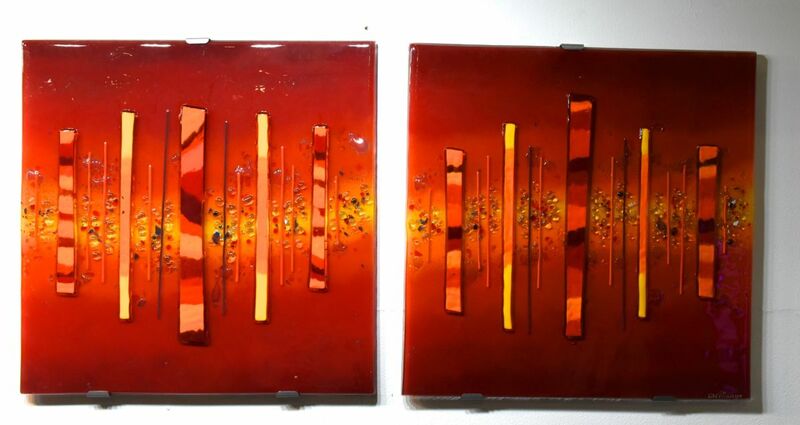 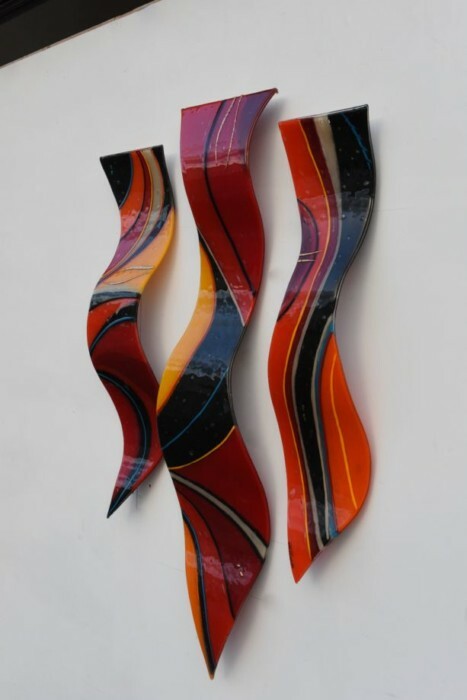 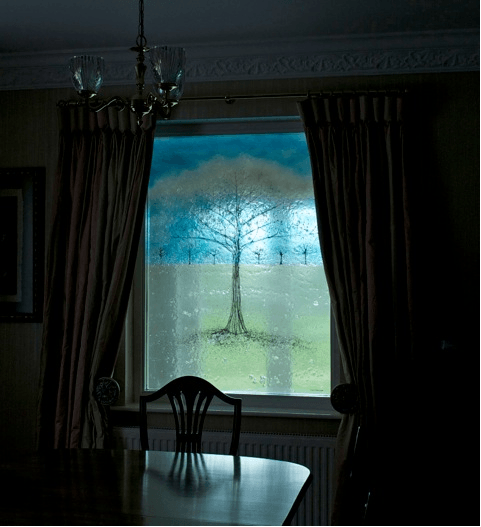 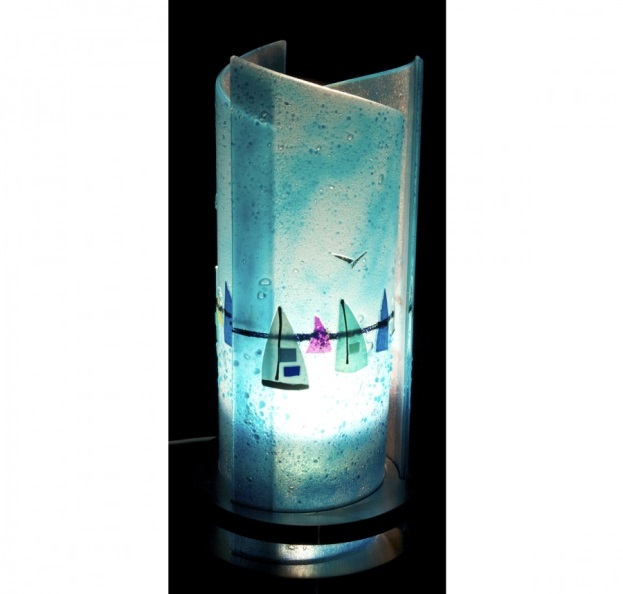 When we say that the details and possibilities of fused glass art are endless, we really do mean it! 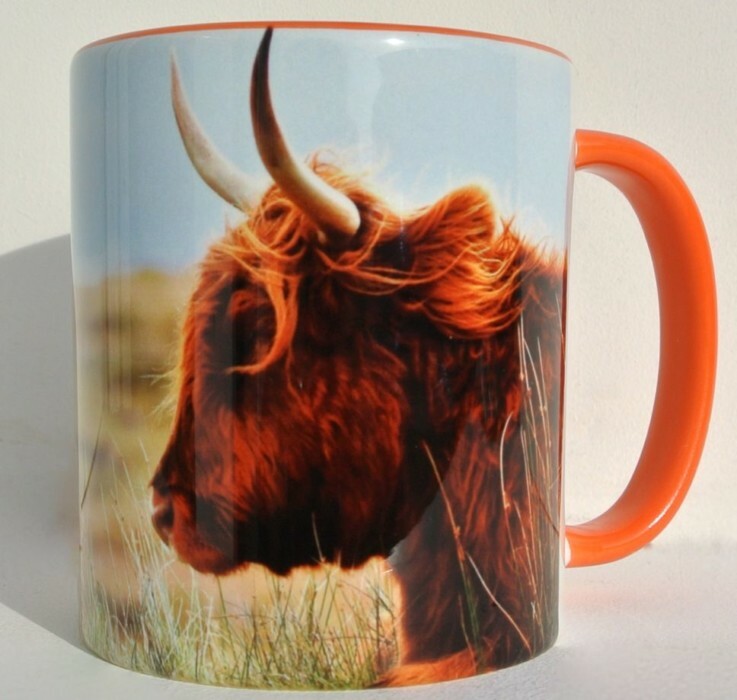 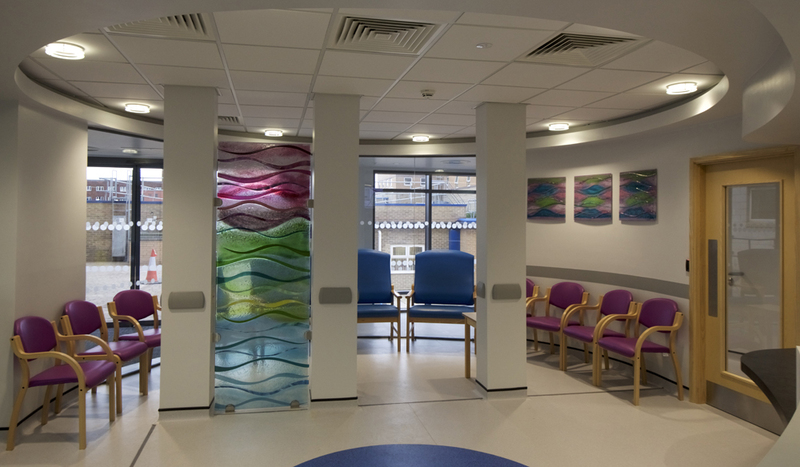 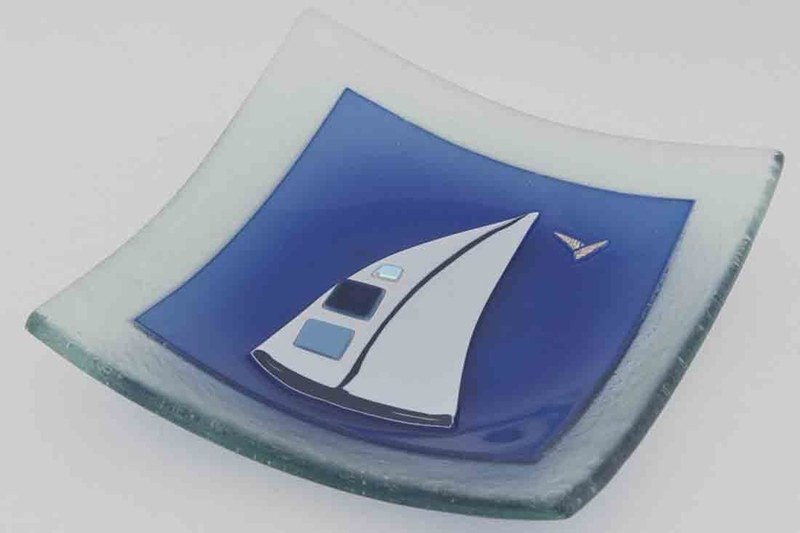 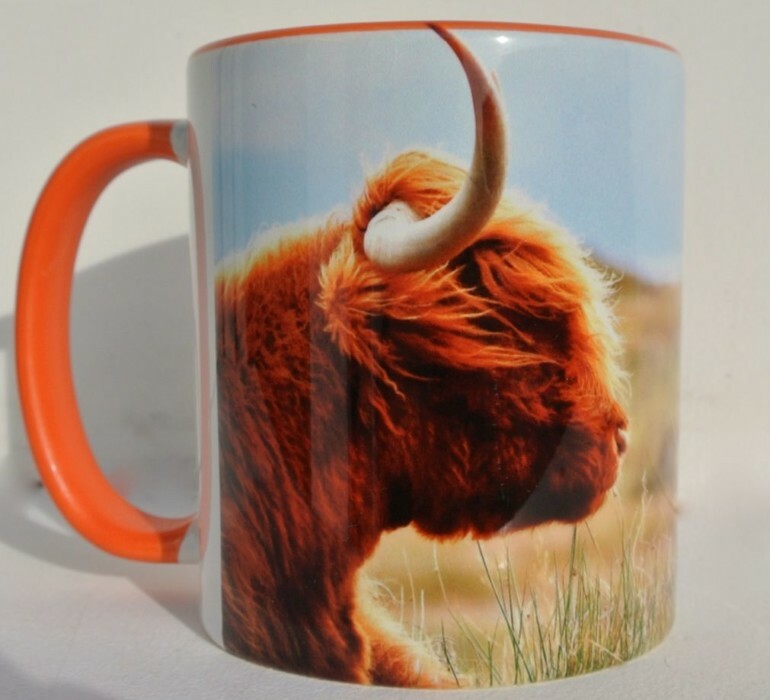 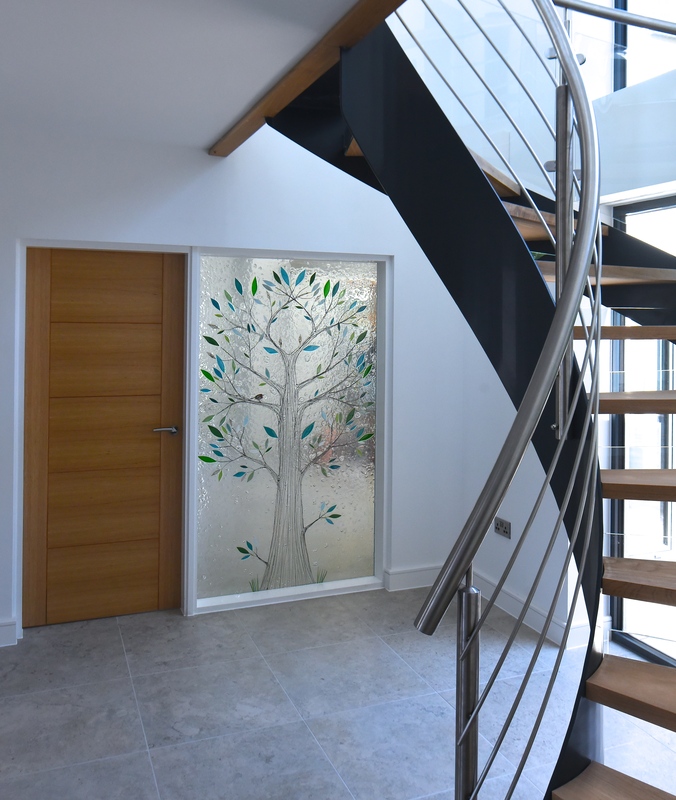 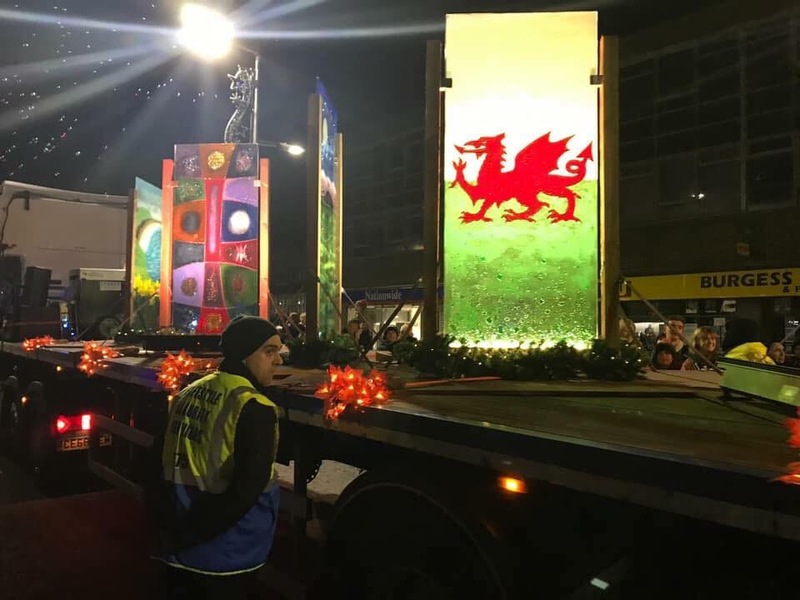 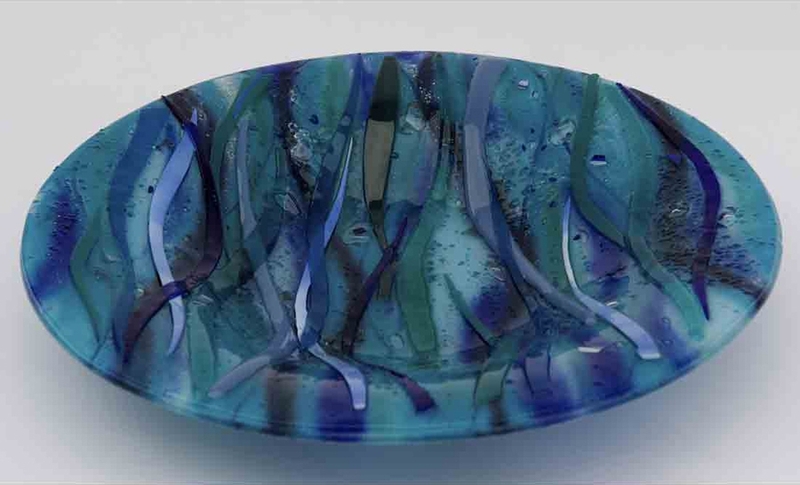 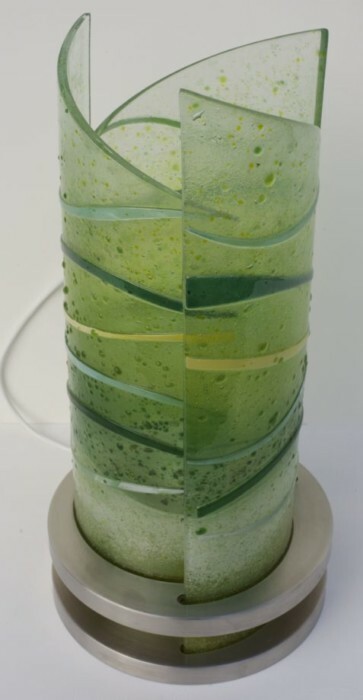 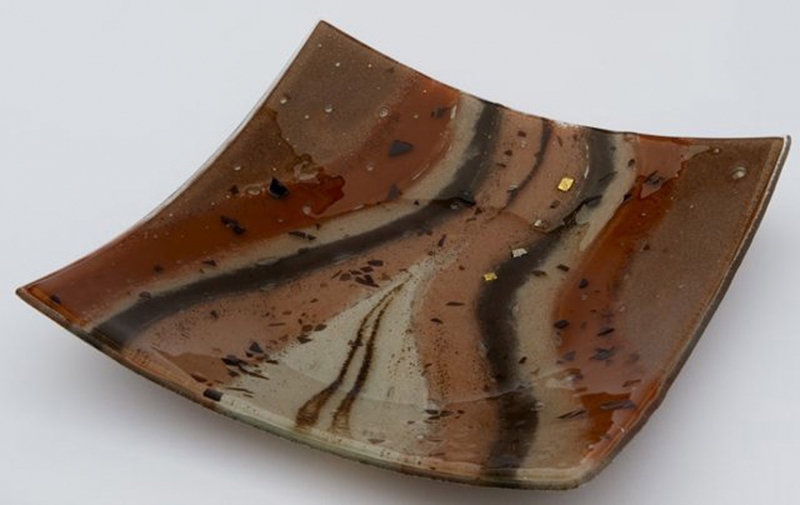 A good example of what we mean, and another key identifier of fused glass versus coloured glass, is the way that images can be incorporated into the design. 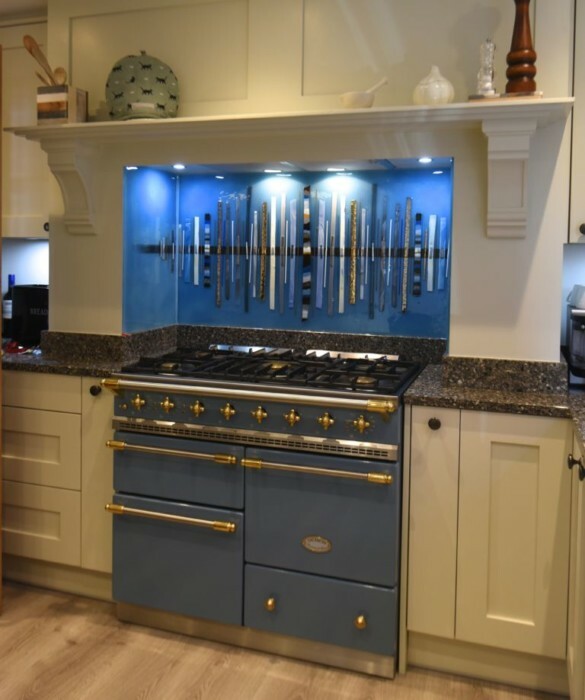 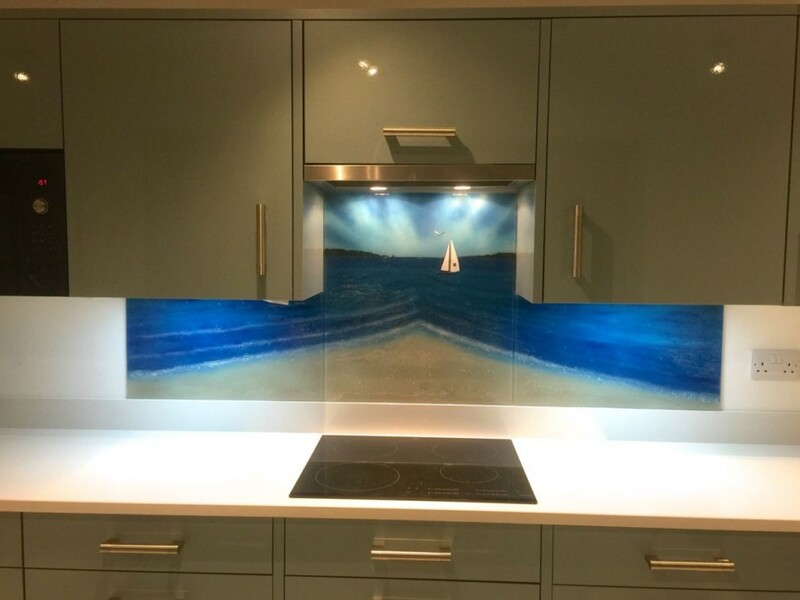 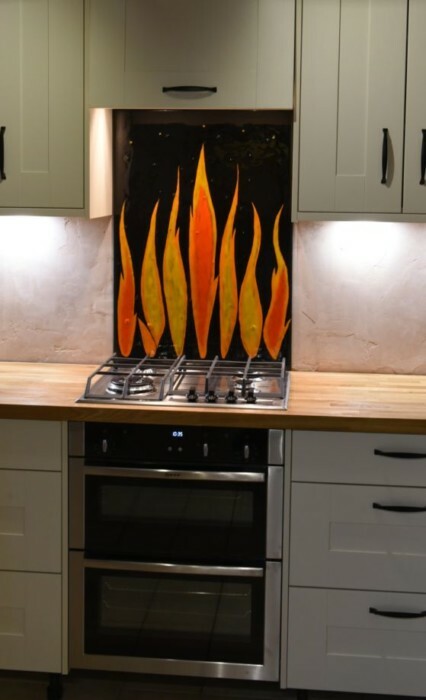 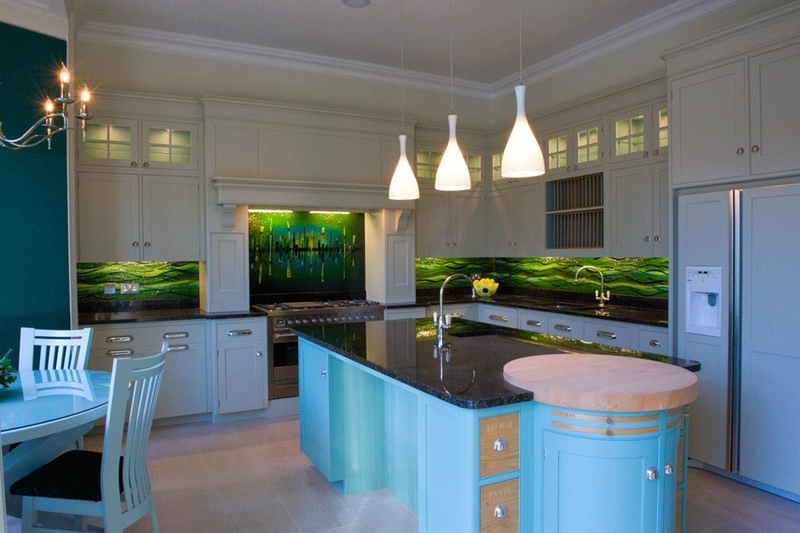 As mentioned before, coloured glass splashbacks tend to be just one colour and don’t leave much space for particularly evocative imagery. 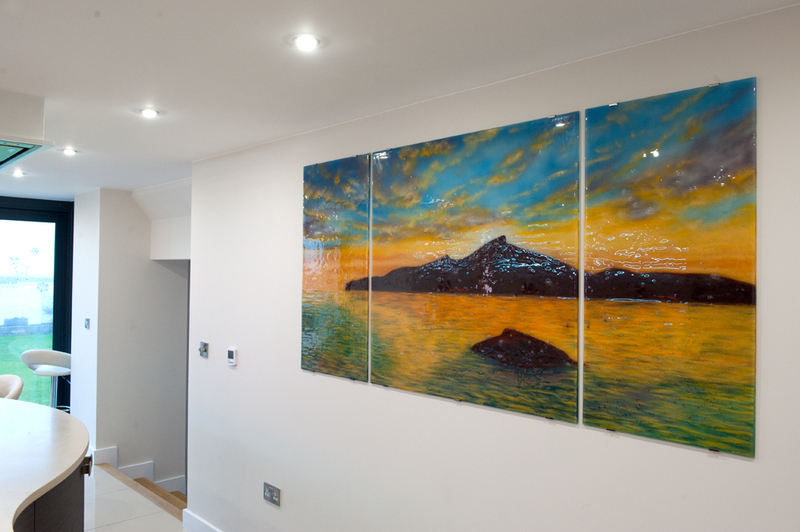 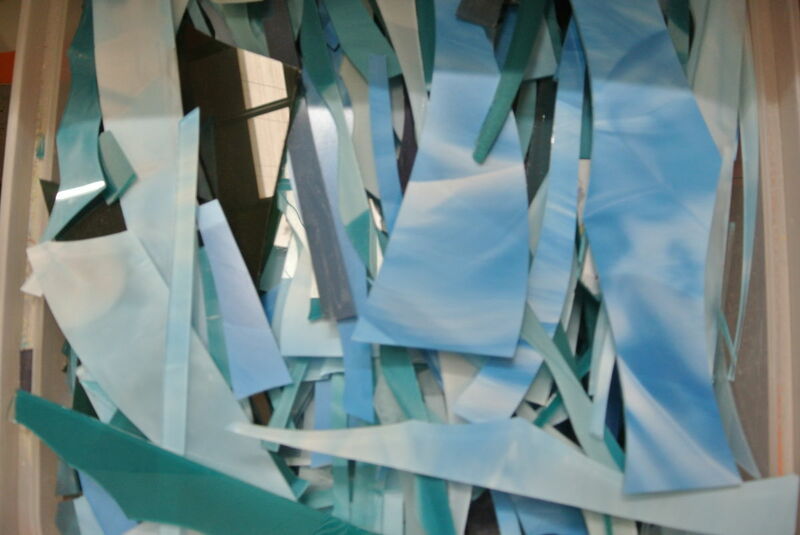 On the other hand, the pieces we create can capture existing images like landscapes, sweeping scenes, pet portraits and more. 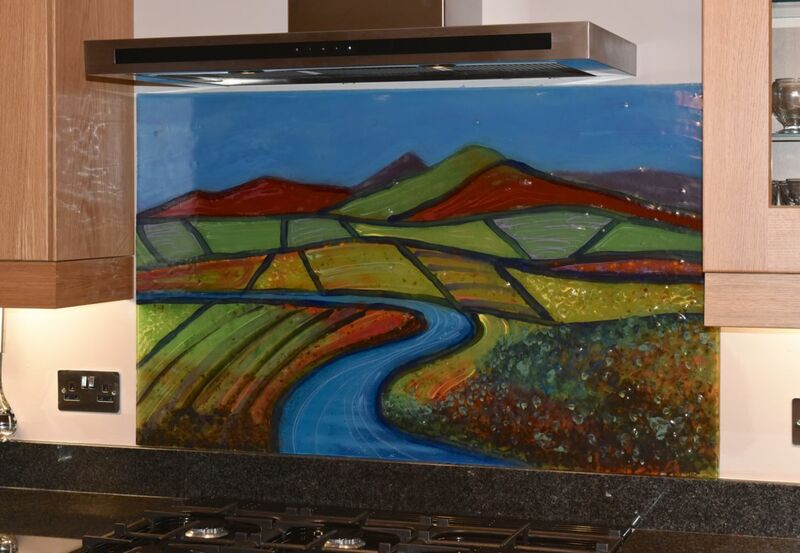 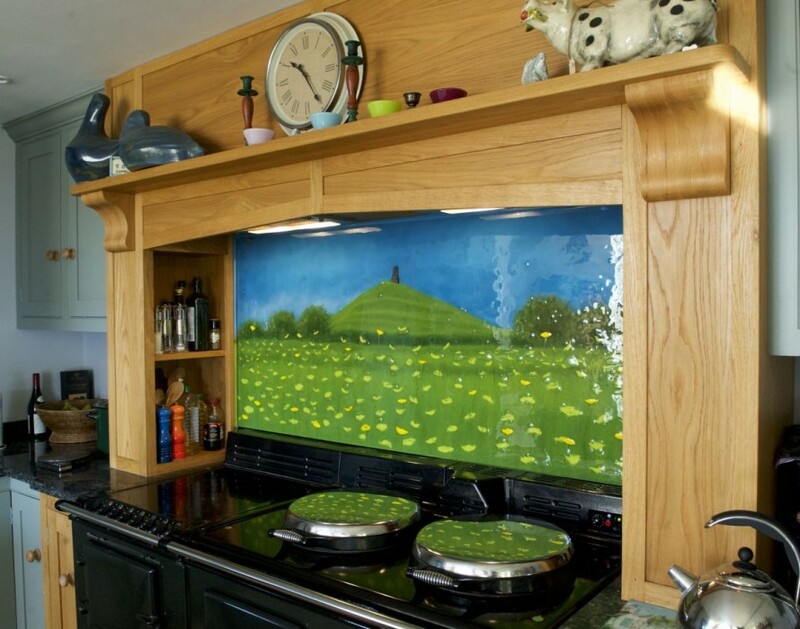 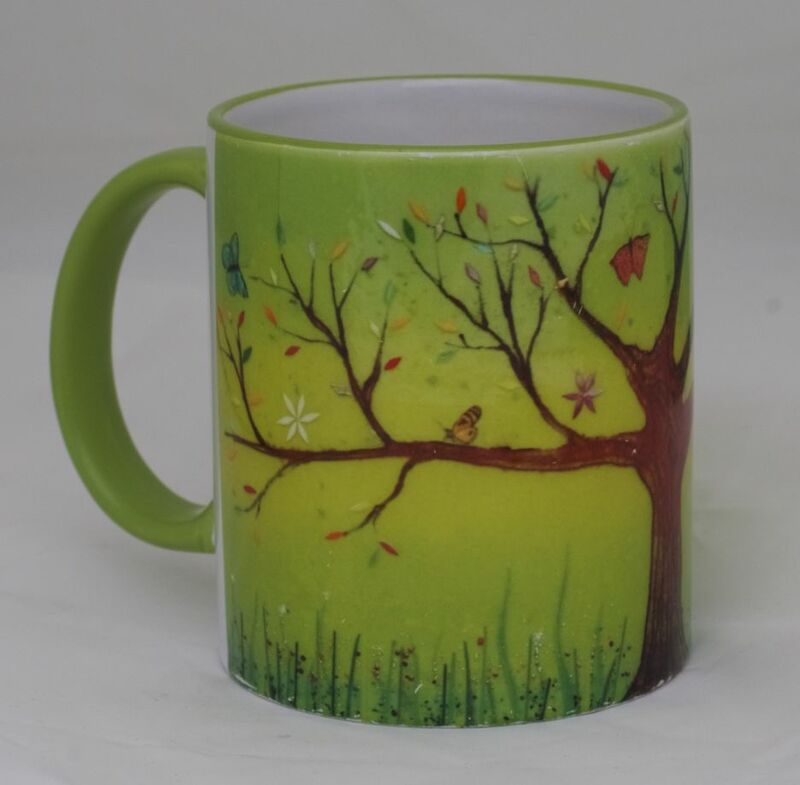 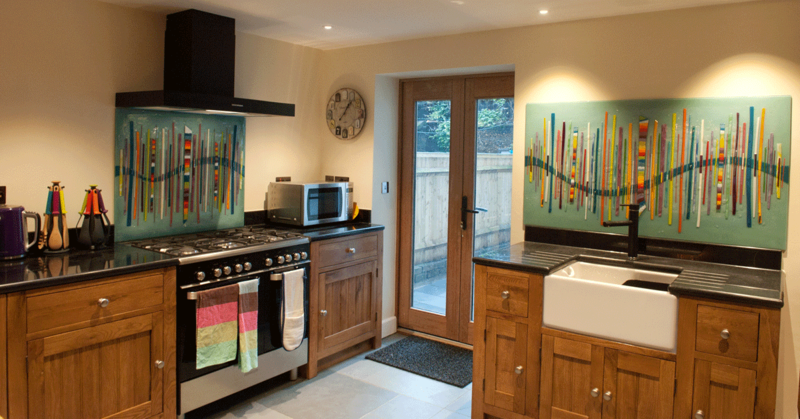 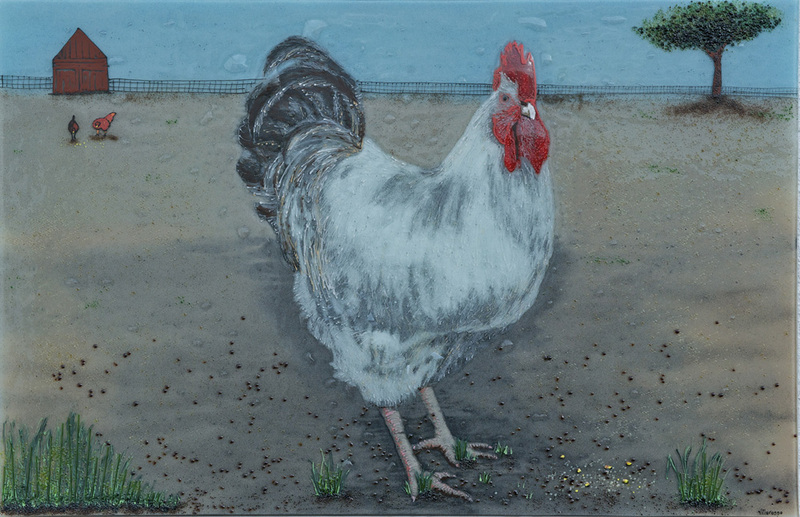 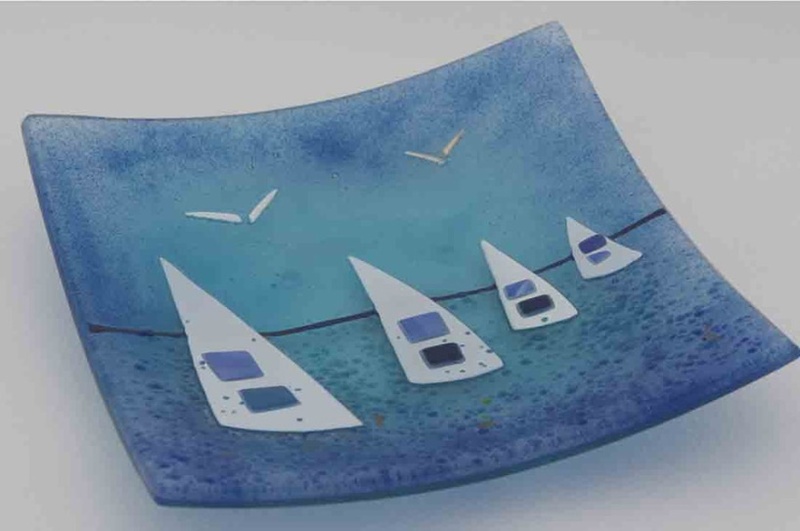 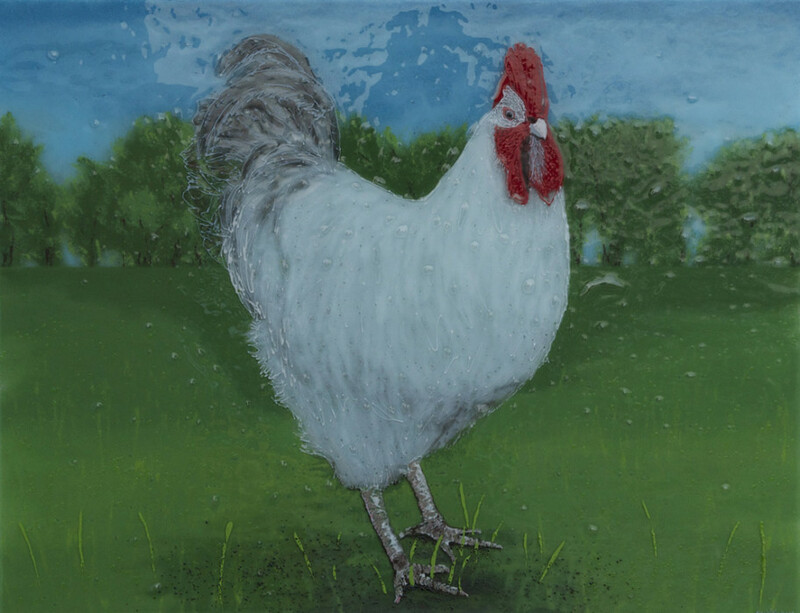 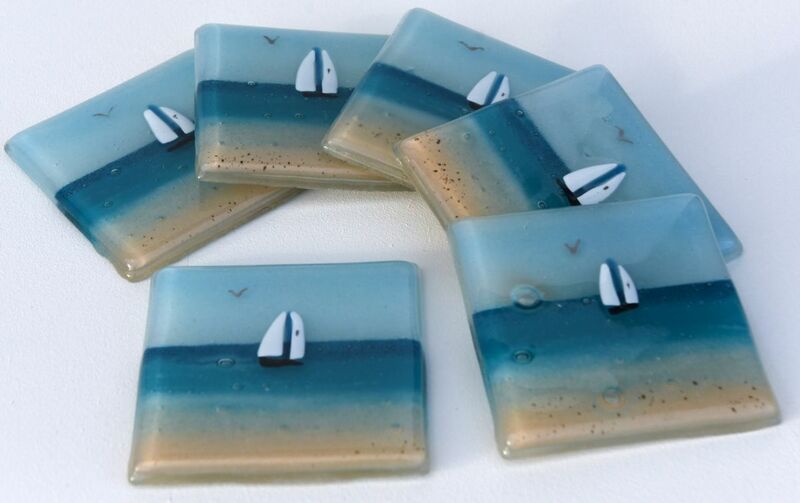 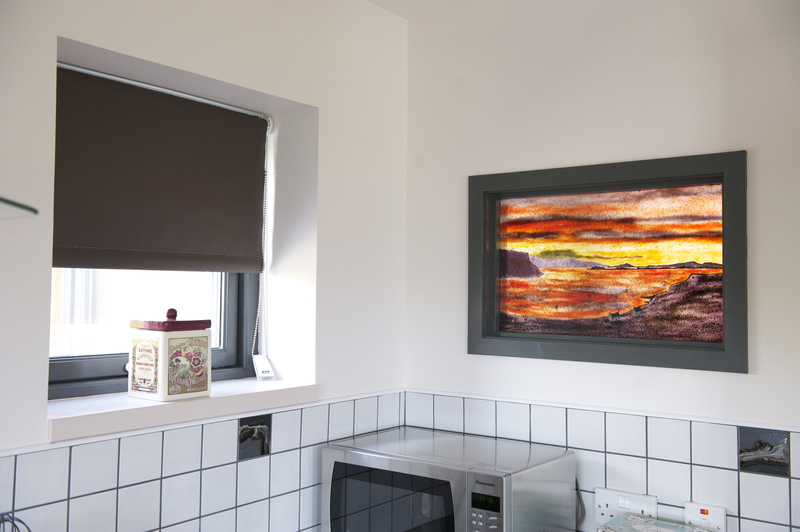 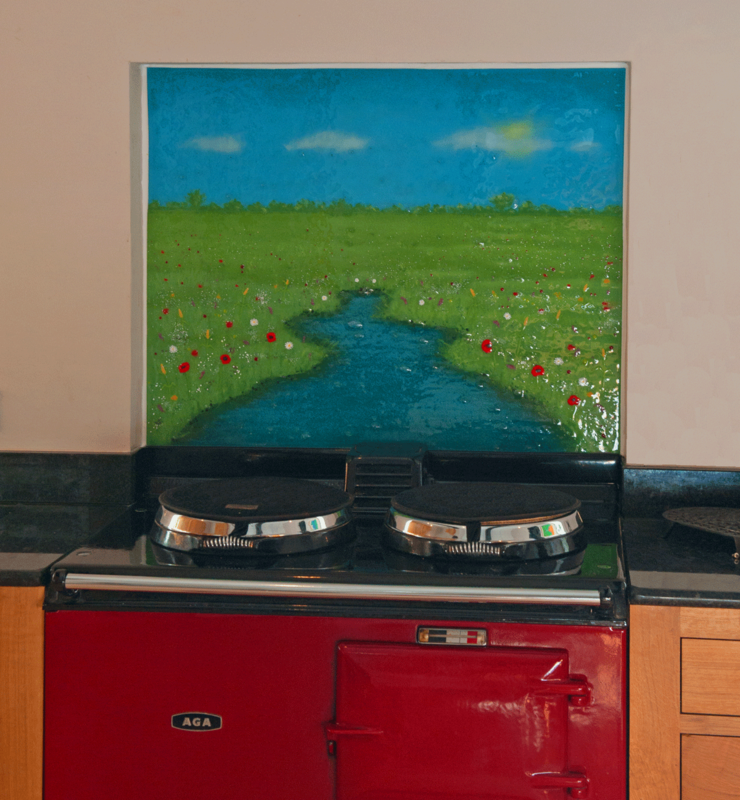 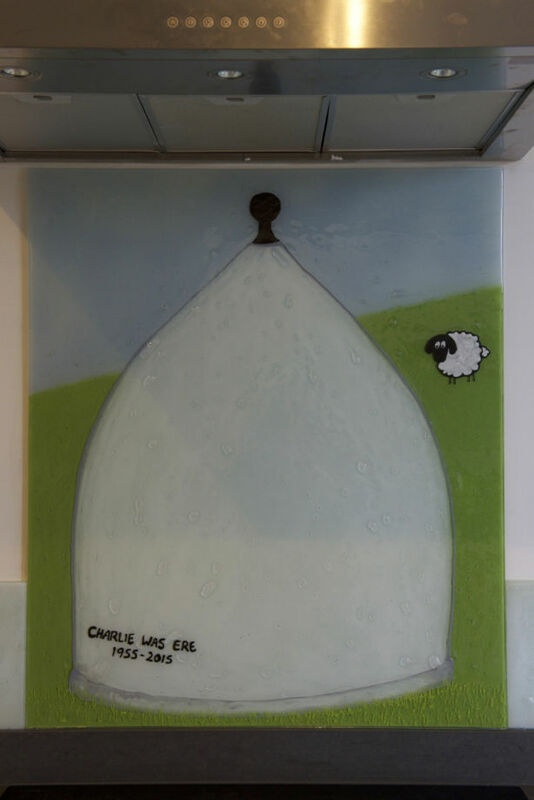 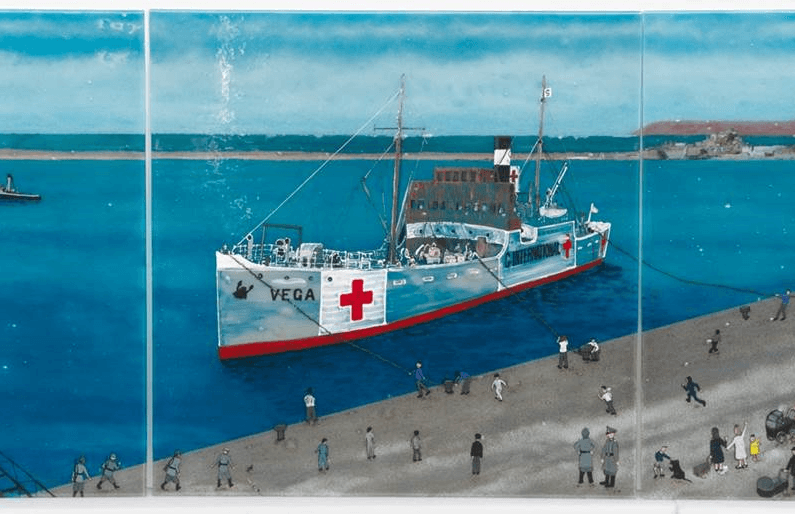 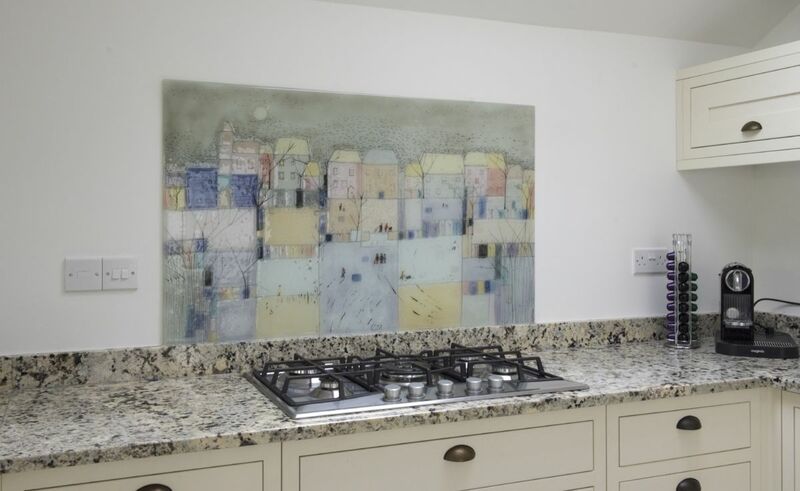 From recreations of photographs all the way to designs inspired by classic Lowry and Monet works, fused glass can bring images of all kinds to life in your kitchen. 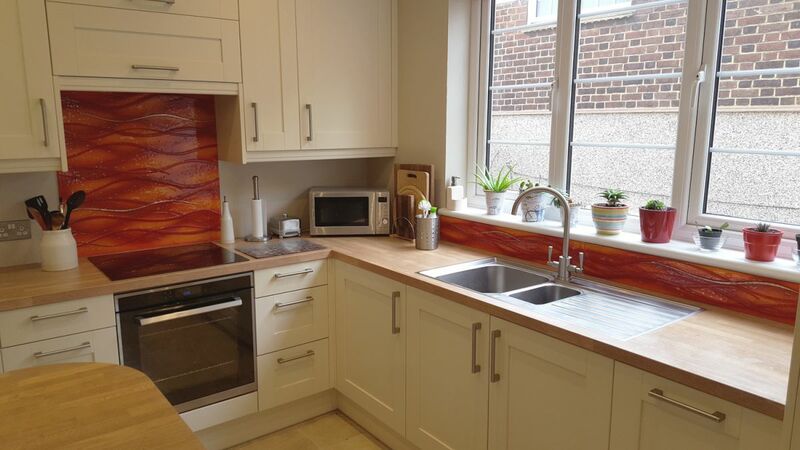 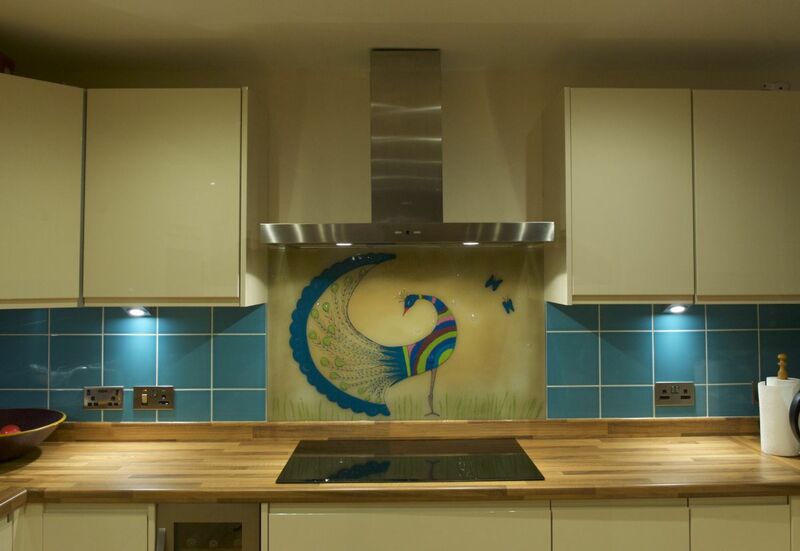 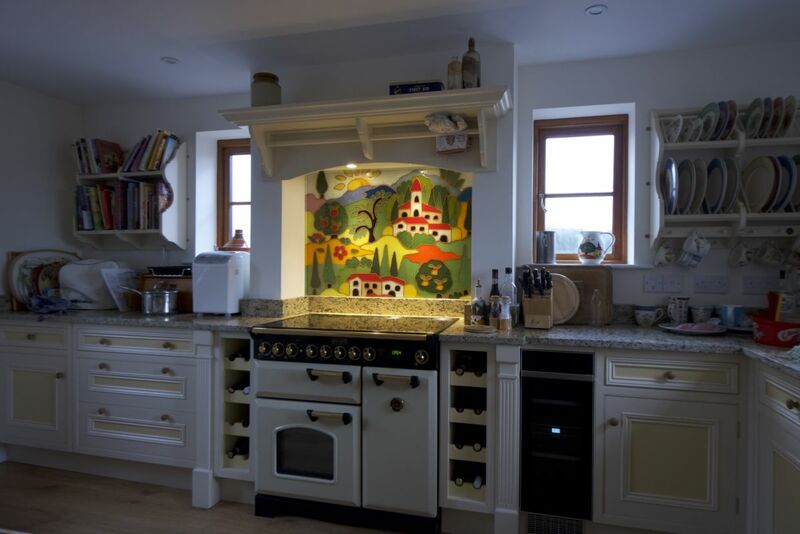 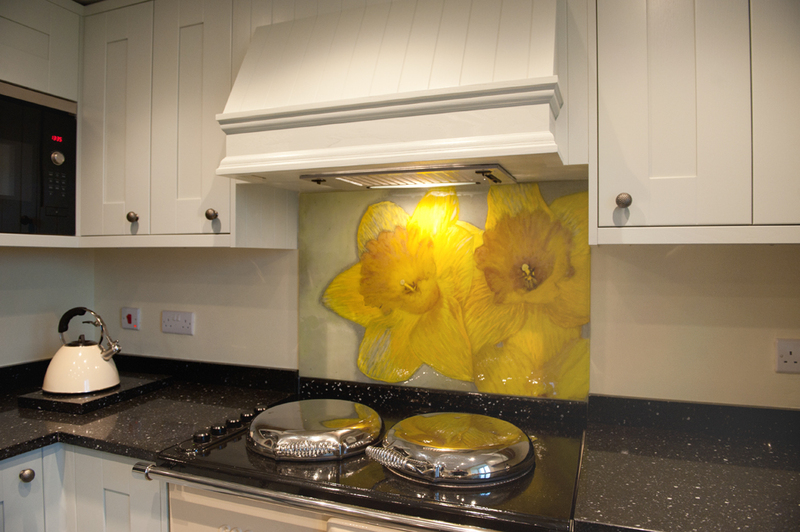 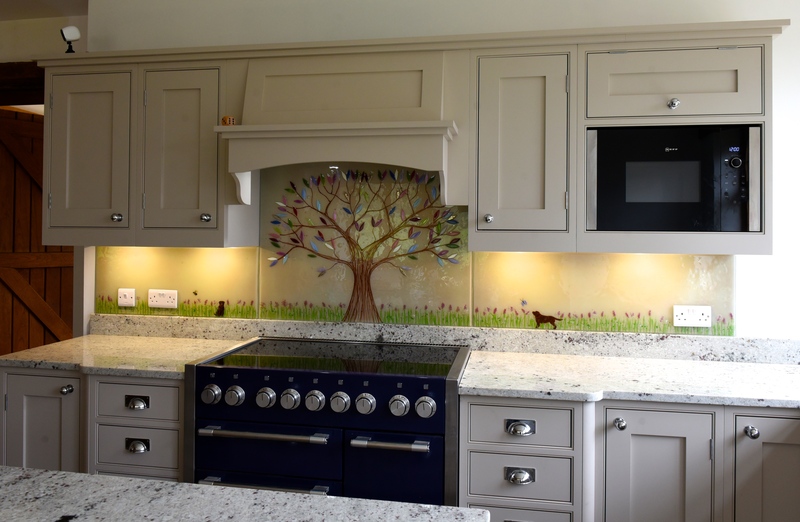 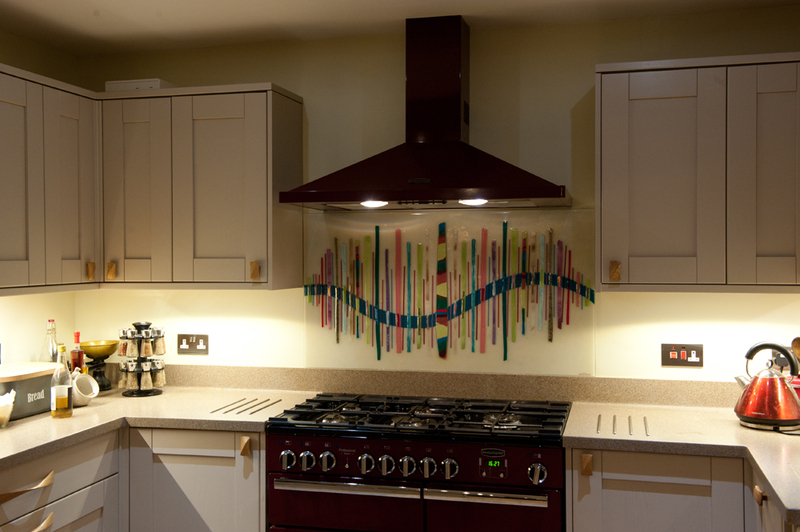 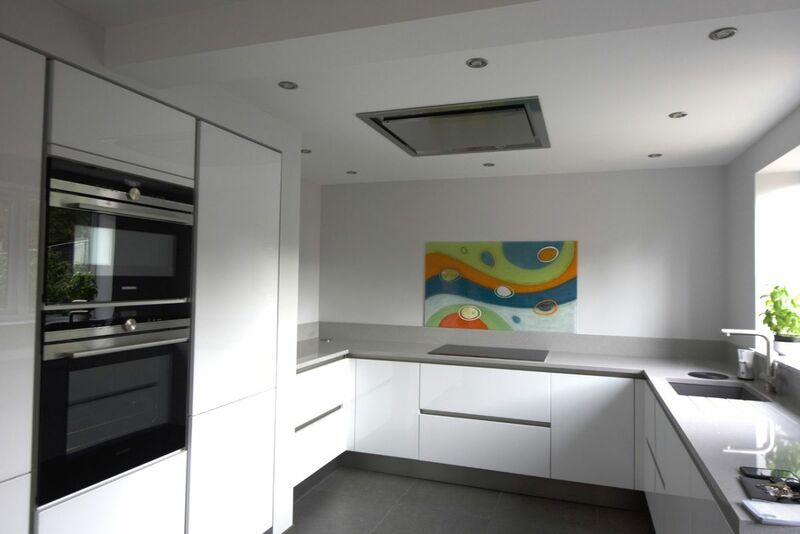 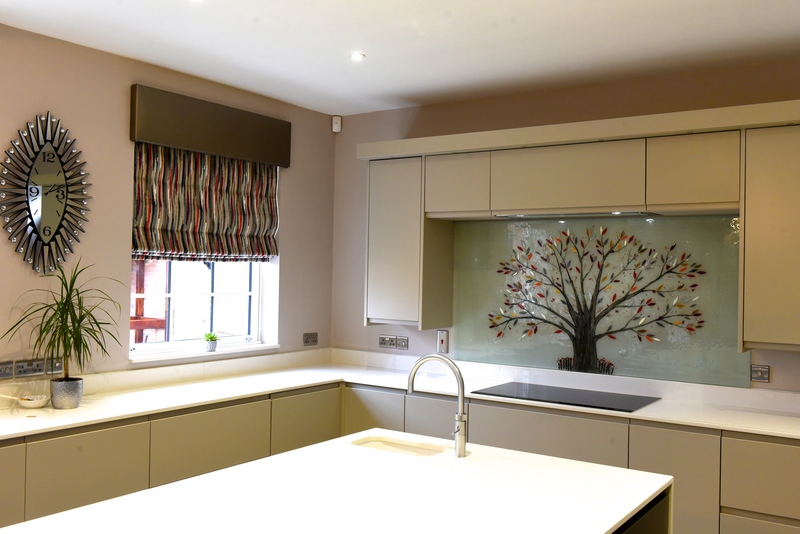 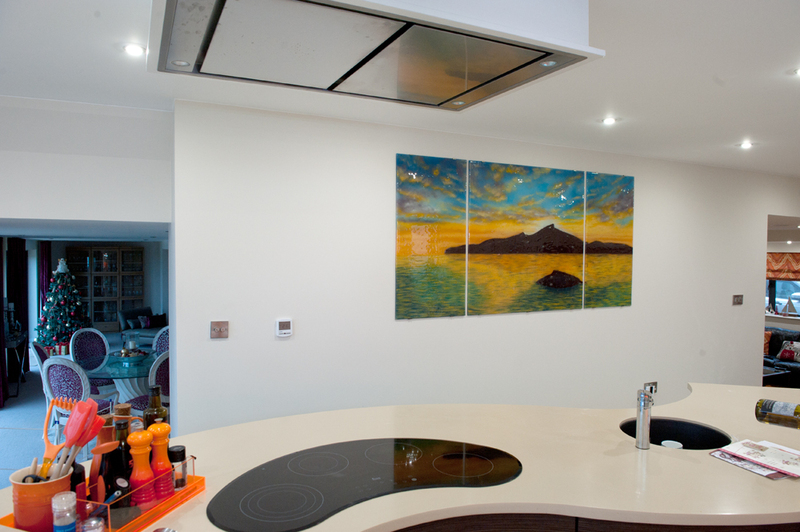 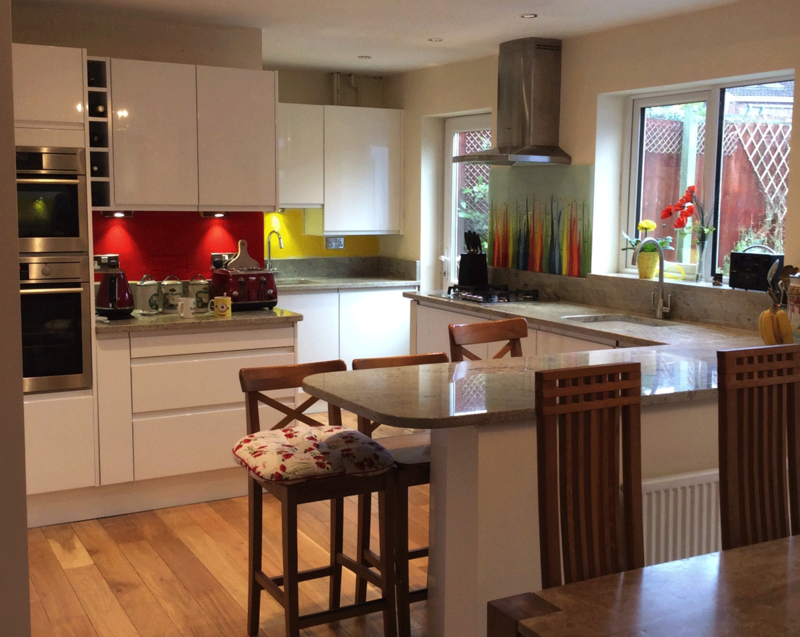 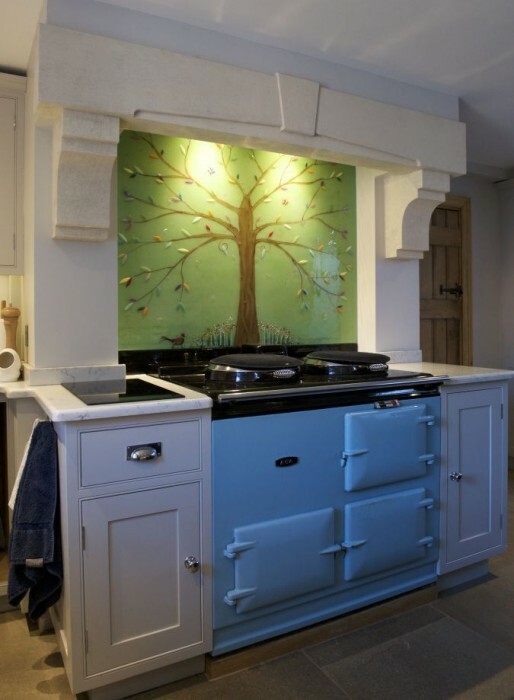 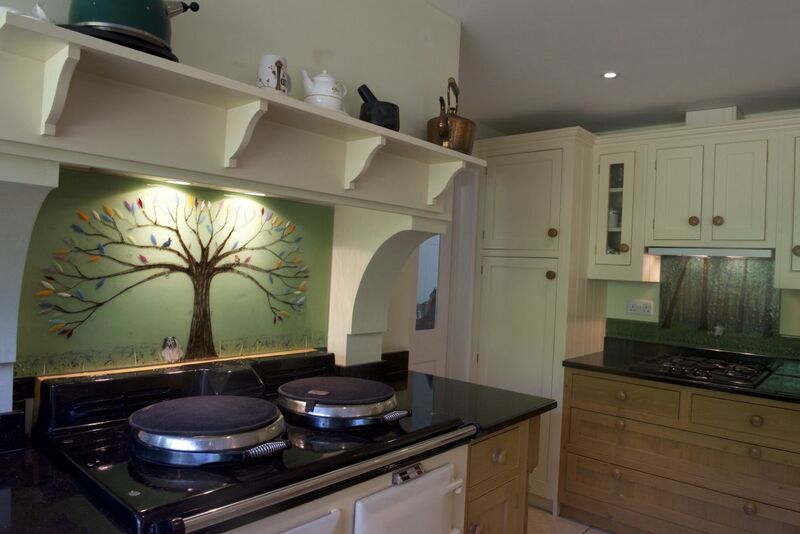 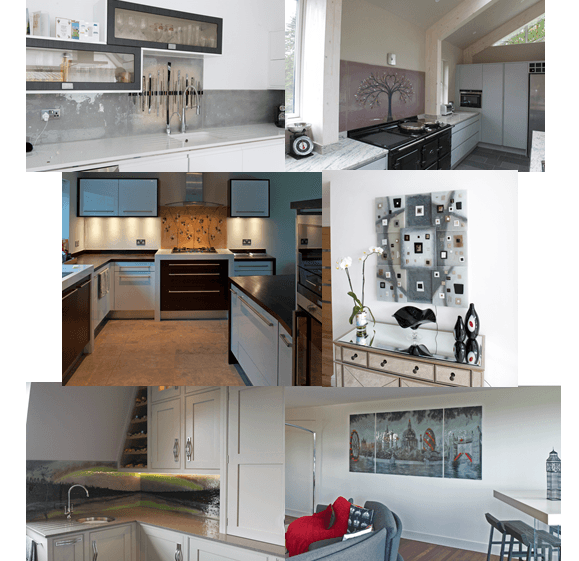 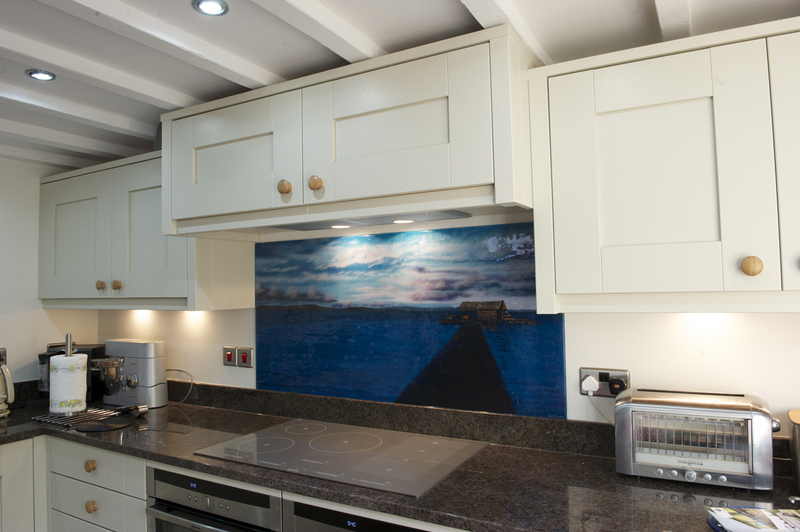 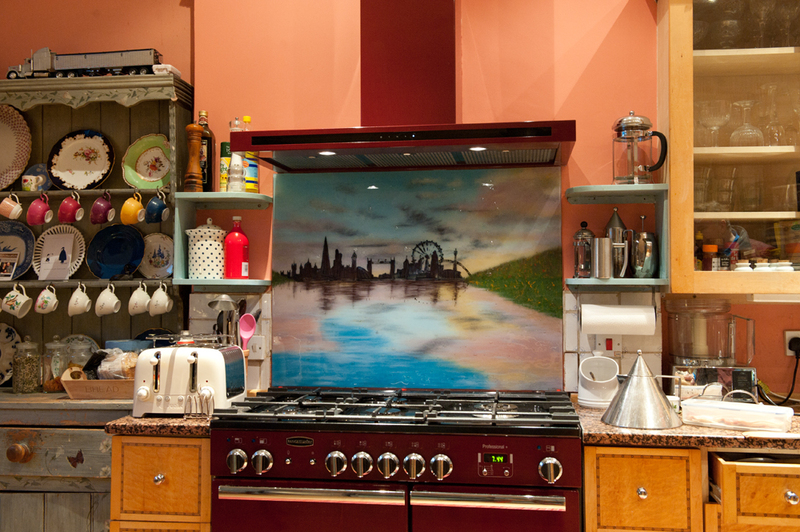 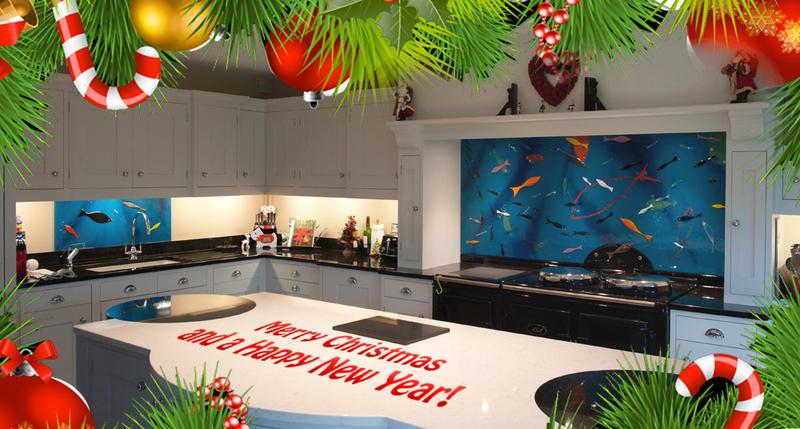 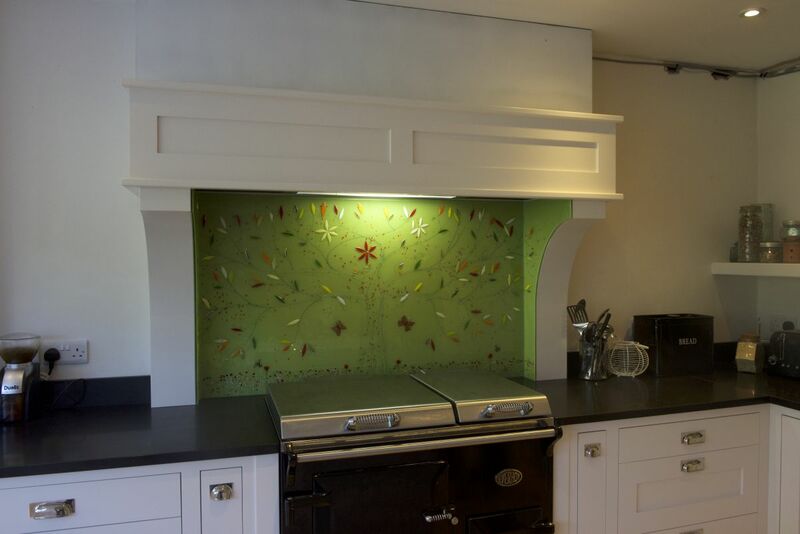 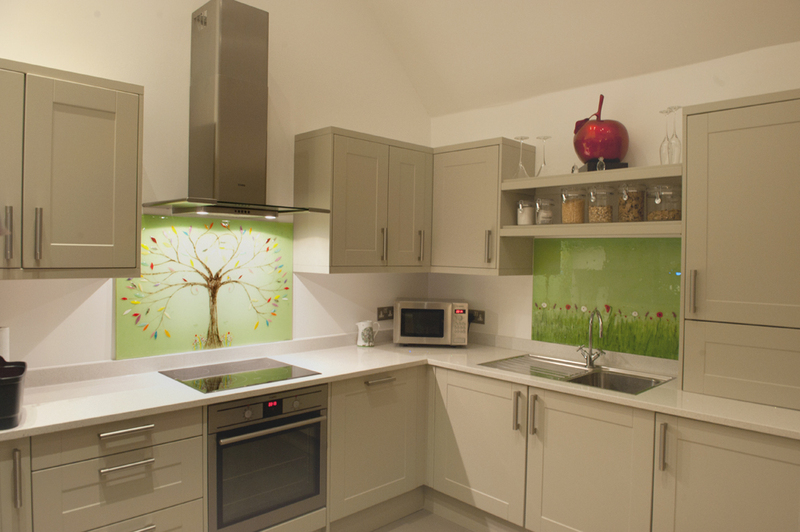 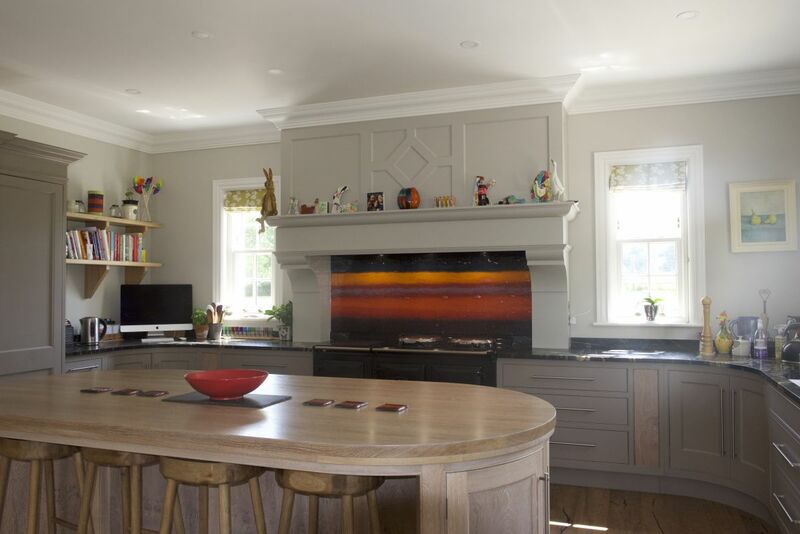 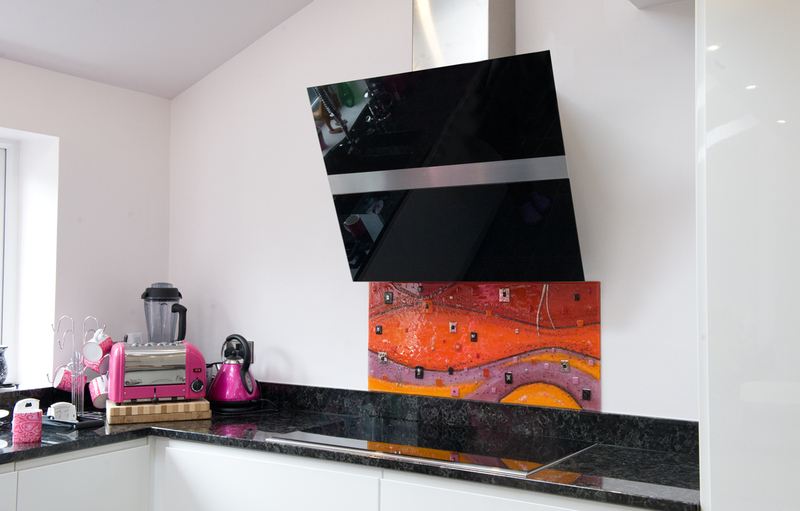 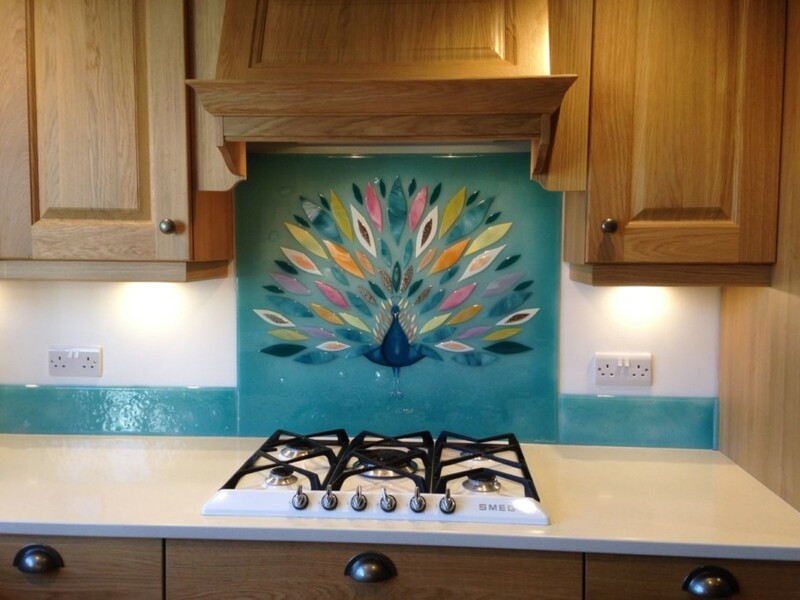 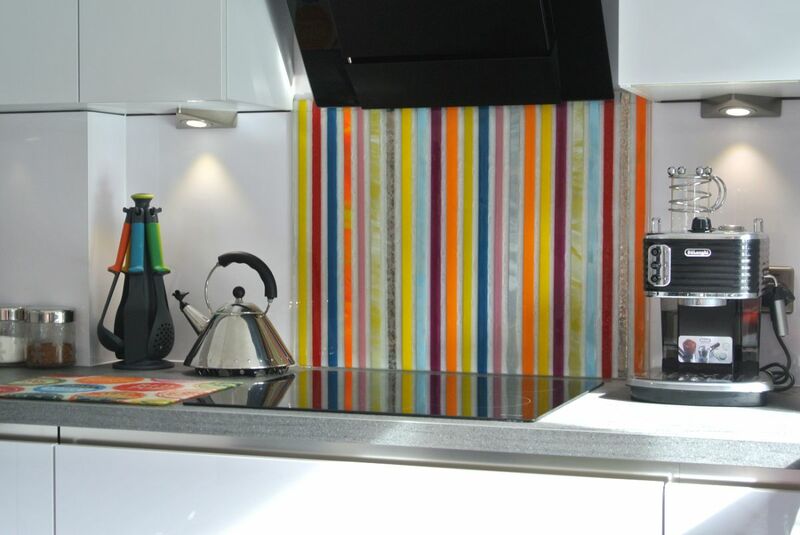 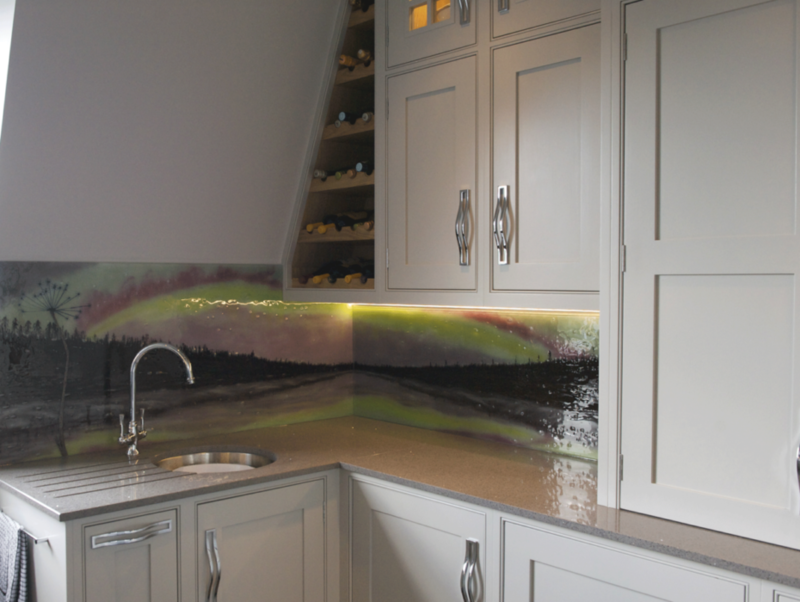 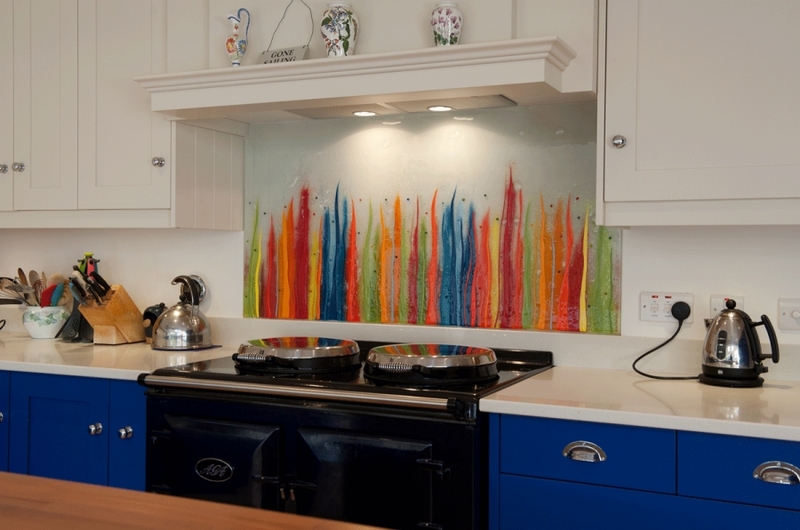 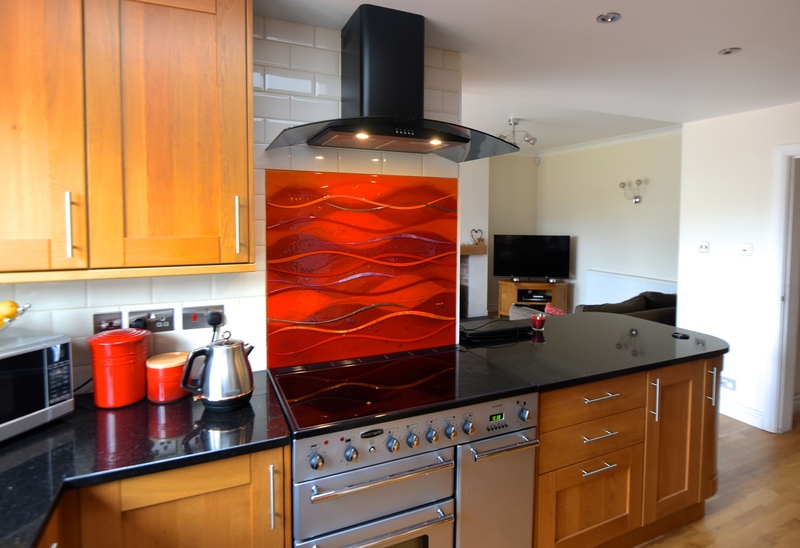 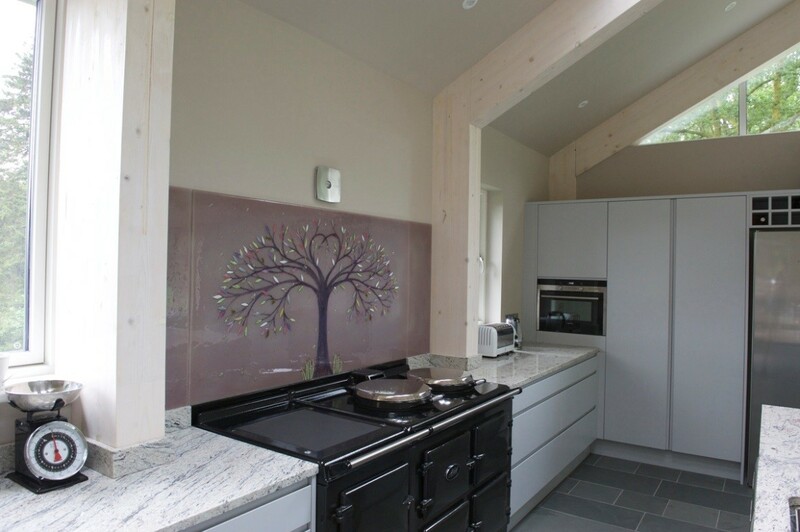 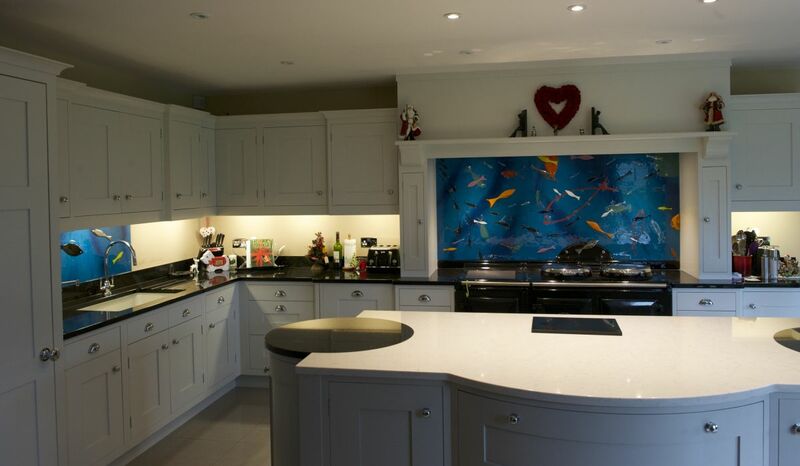 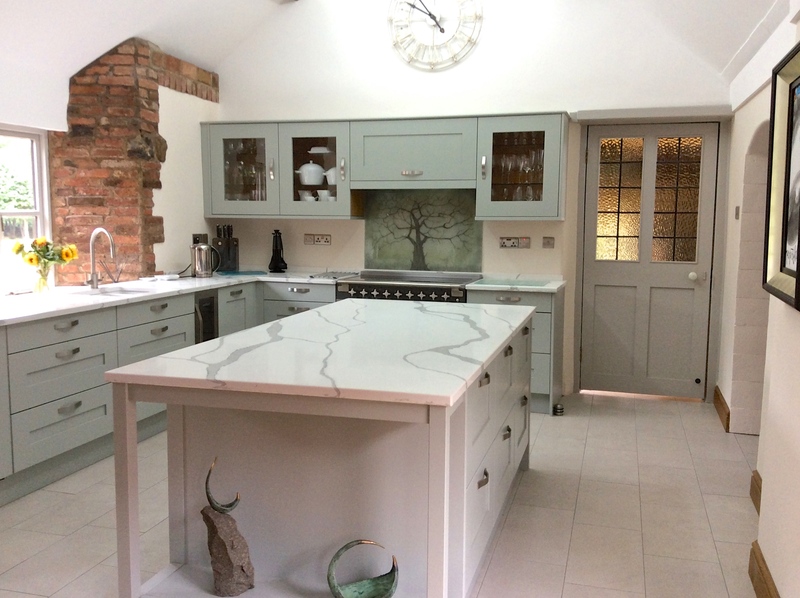 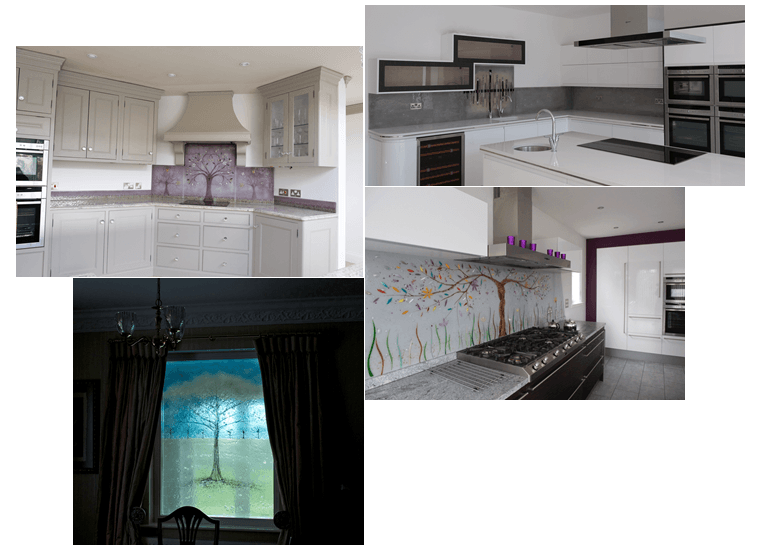 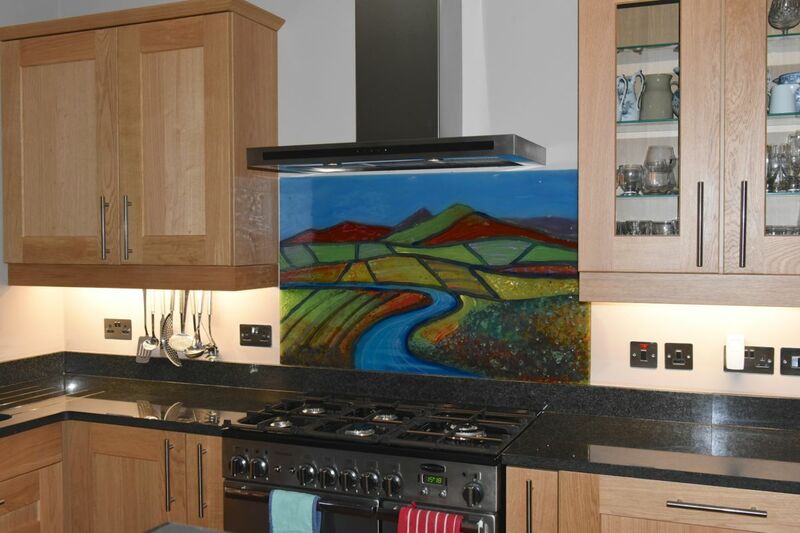 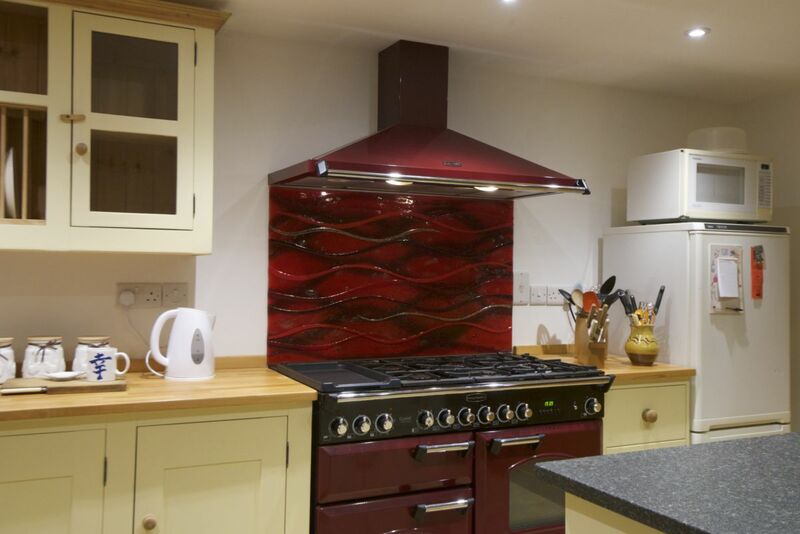 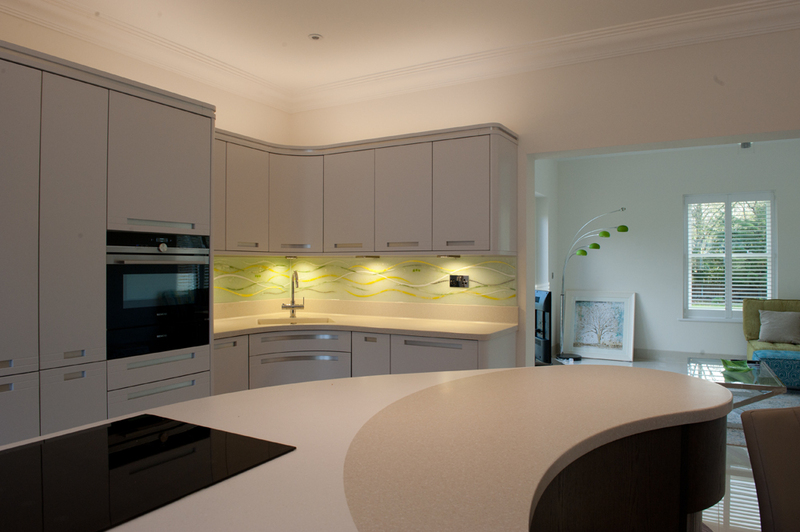 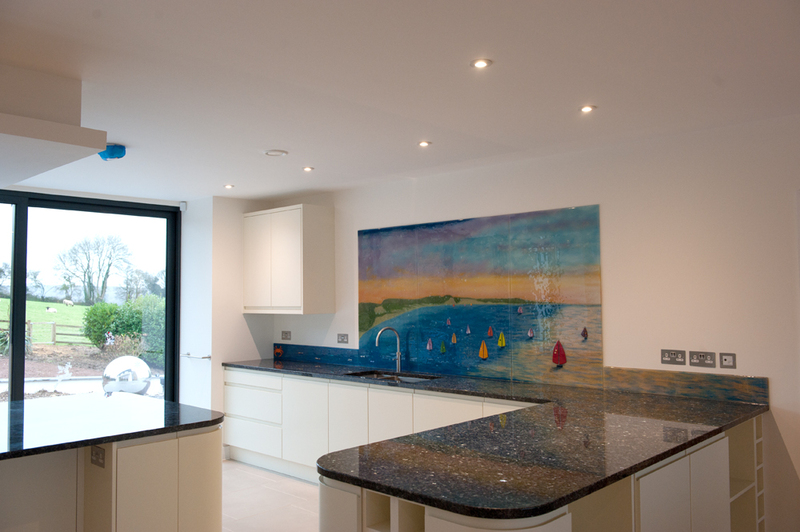 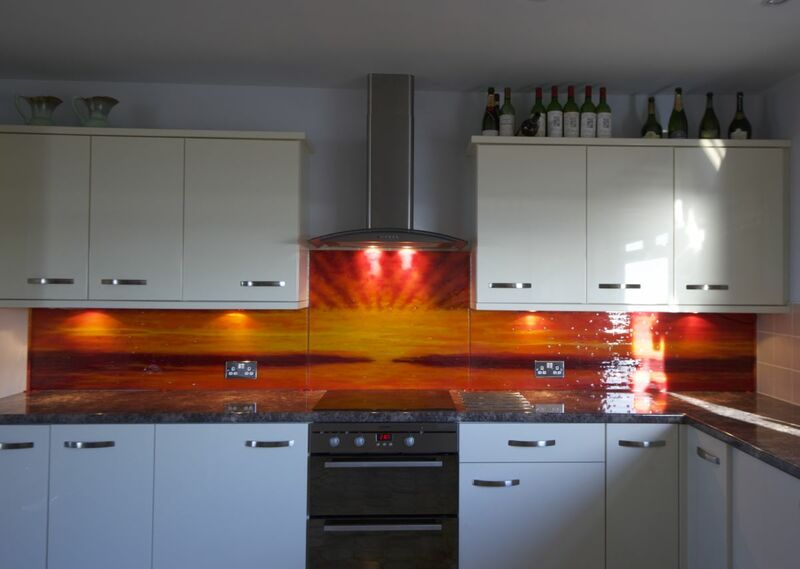 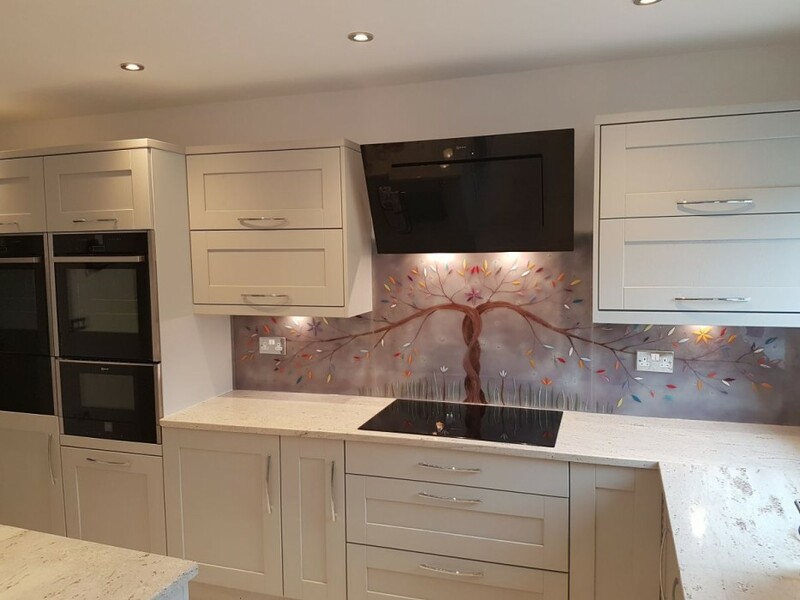 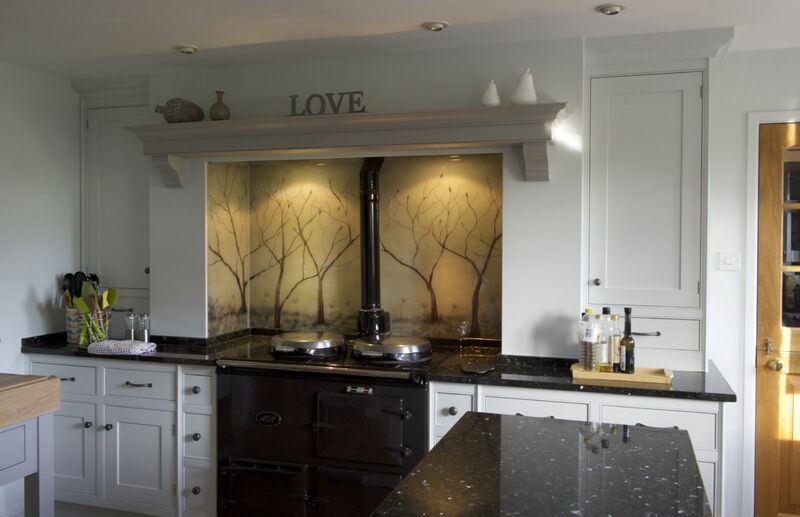 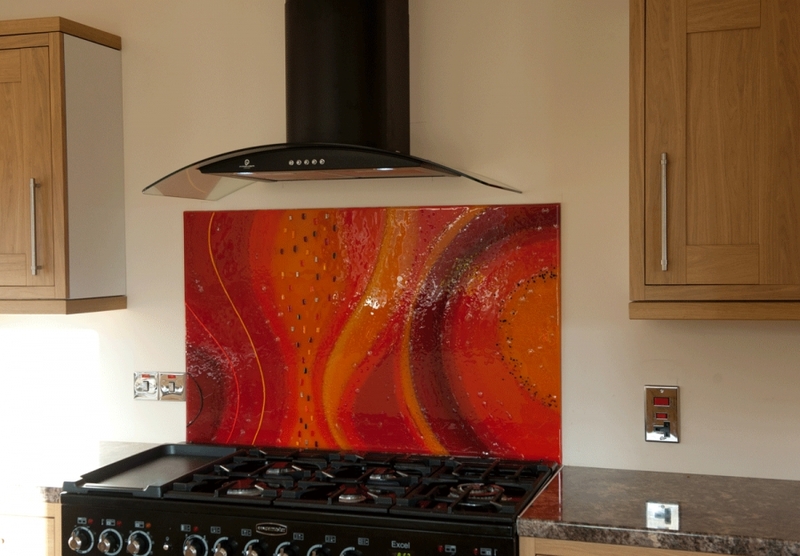 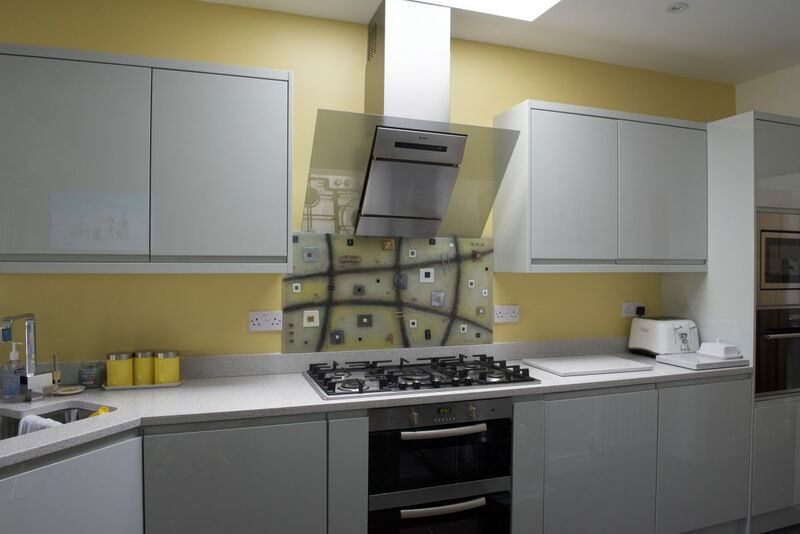 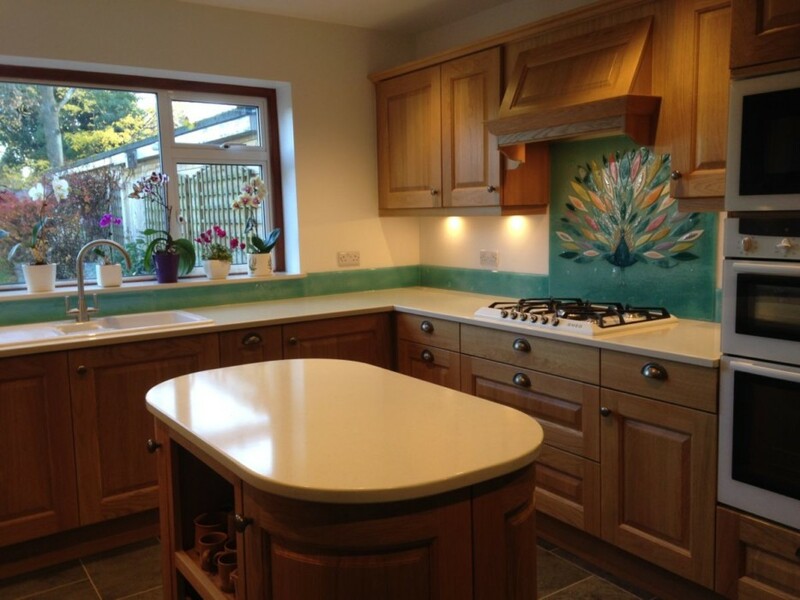 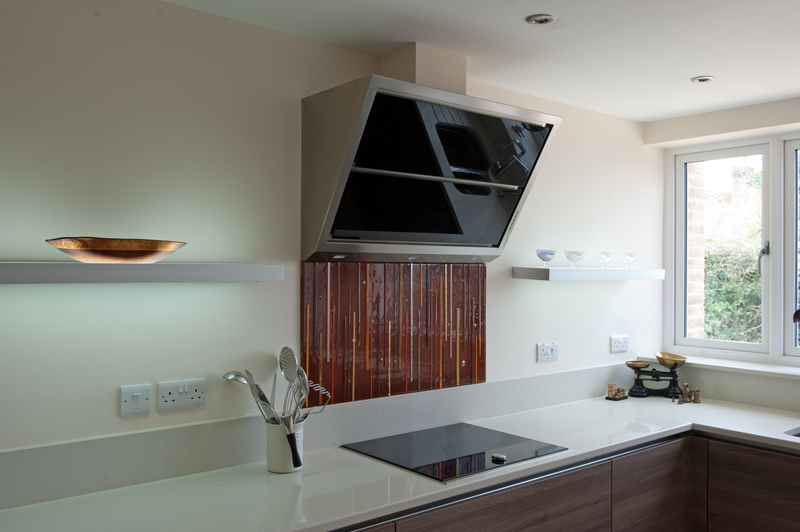 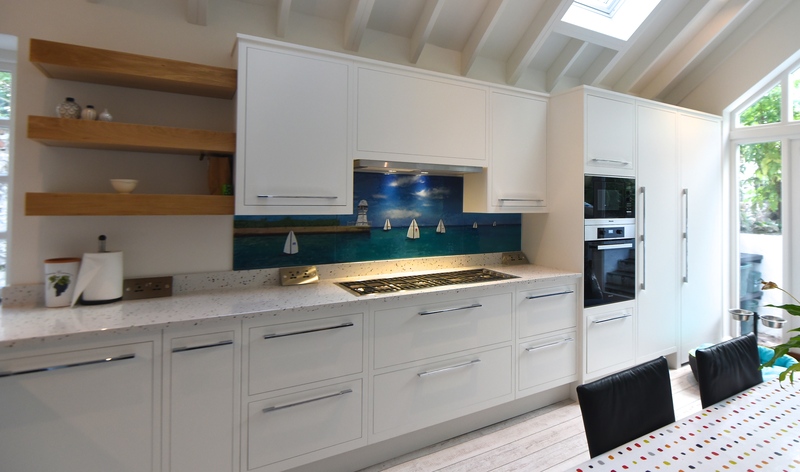 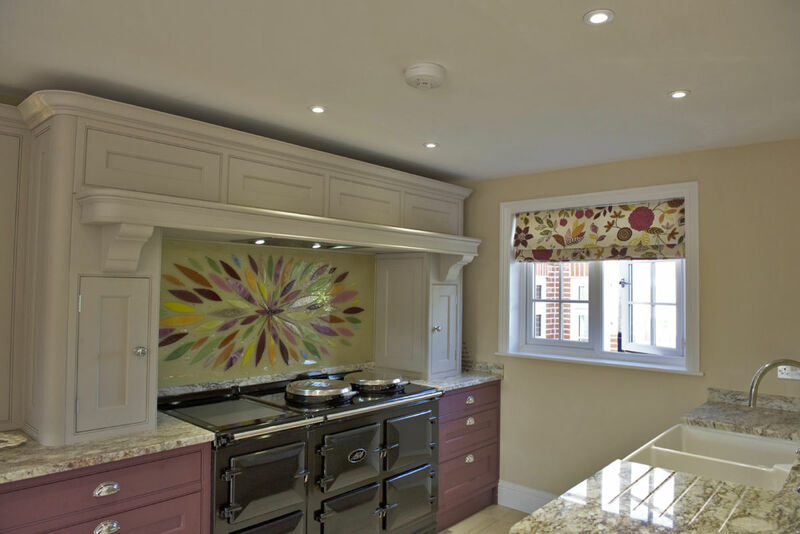 Of course, coloured splashbacks can look pretty fantastic in a kitchen, and we’re definitely not saying otherwise. 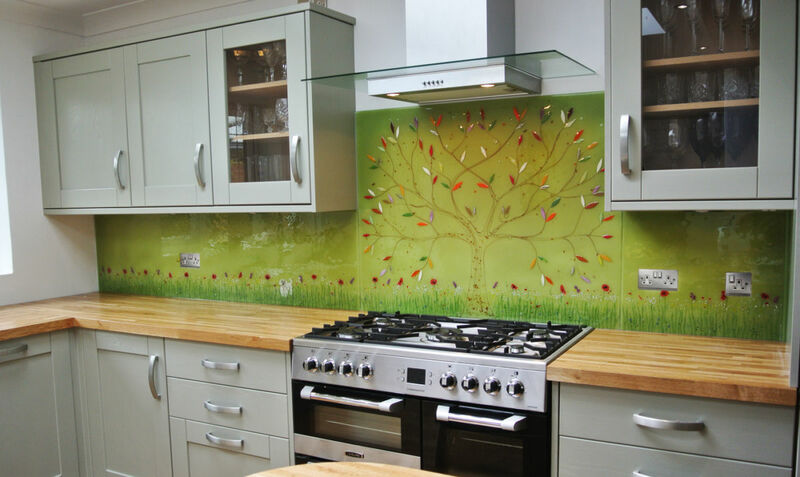 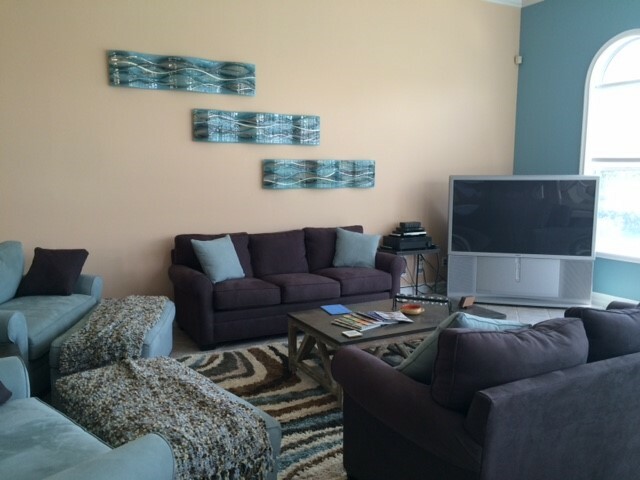 We’ve seen some great uses of flat colour, especially when incorporated alongside modern tile-based styling. 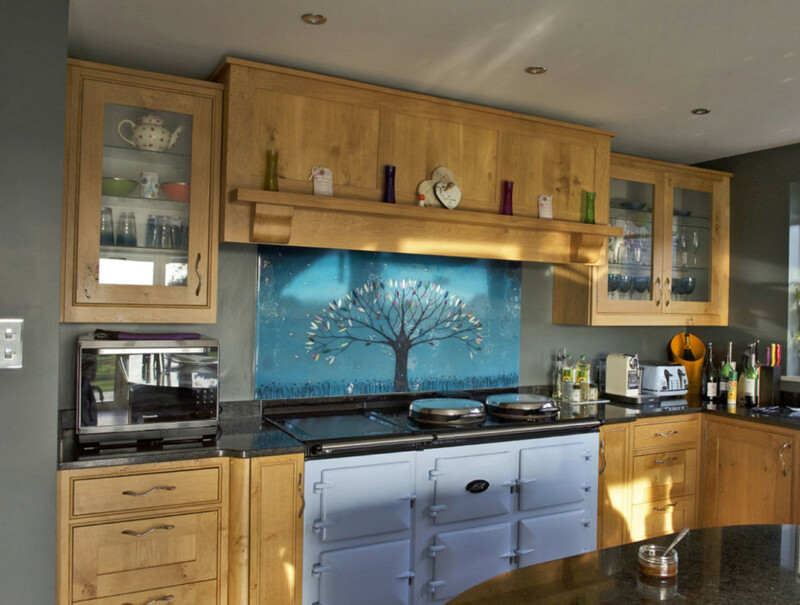 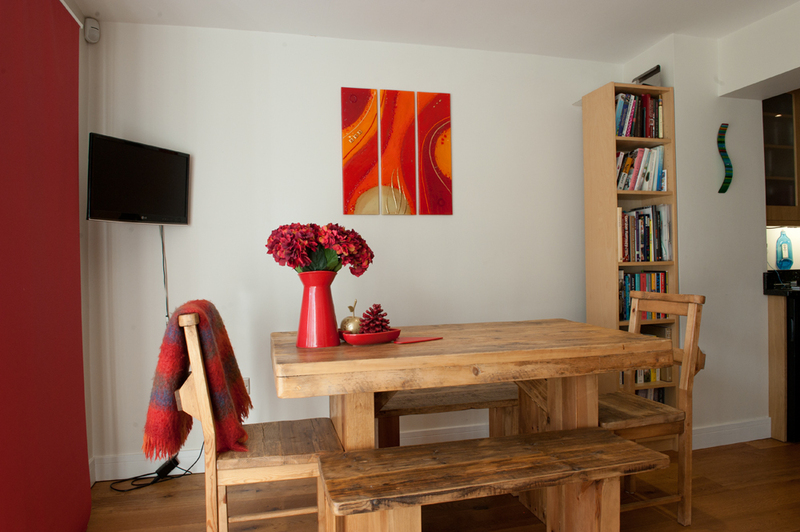 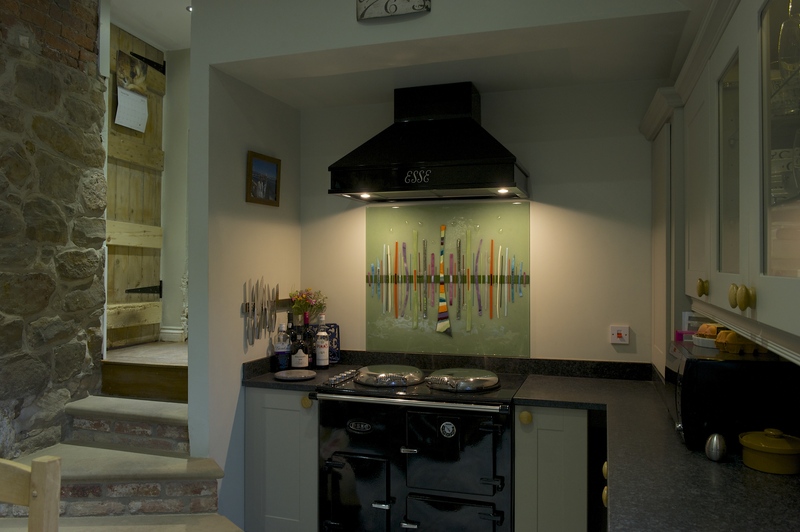 We just think that the space behind the cooker or around the back wall holds a lot more potential to amaze. 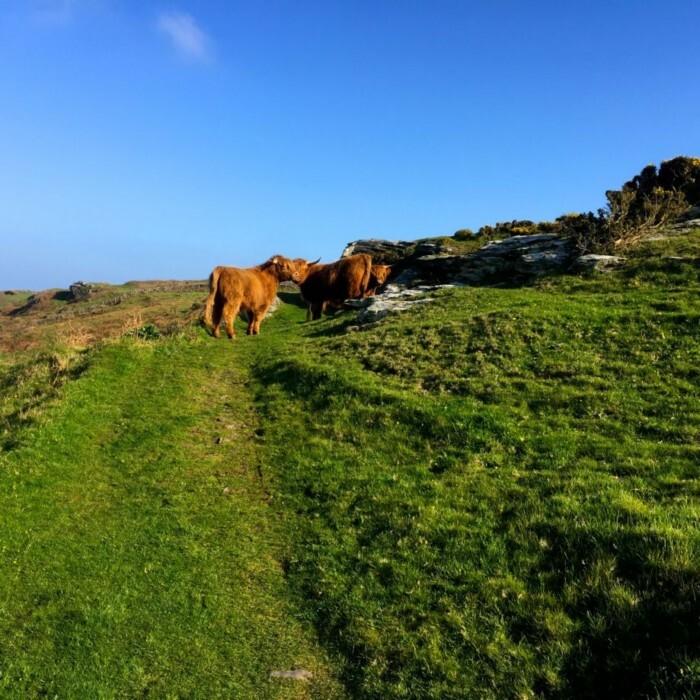 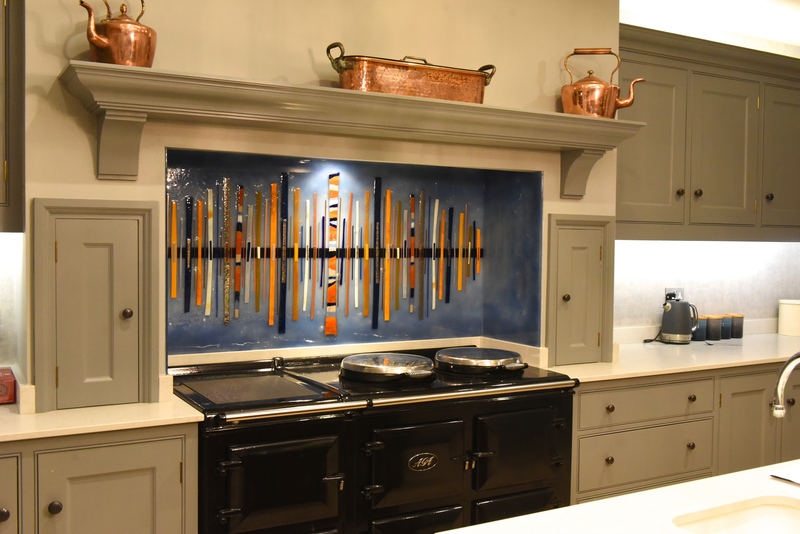 It’s an often overlooked area that can be absolutely transformative, after all, so it’d be a shame not to do something special with it. 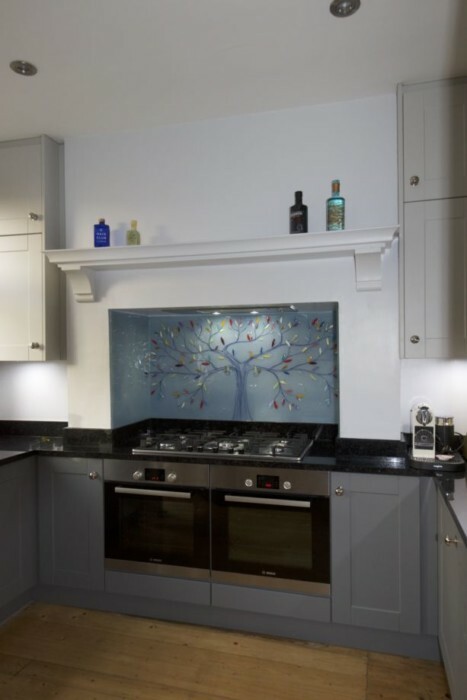 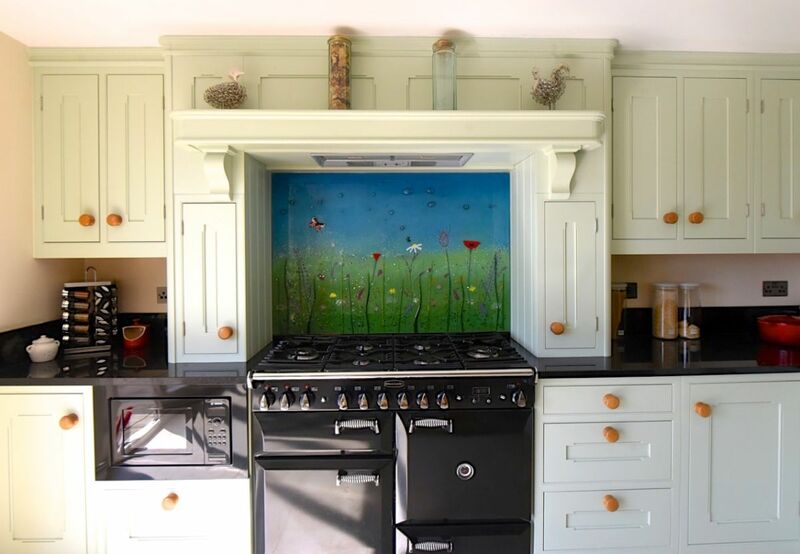 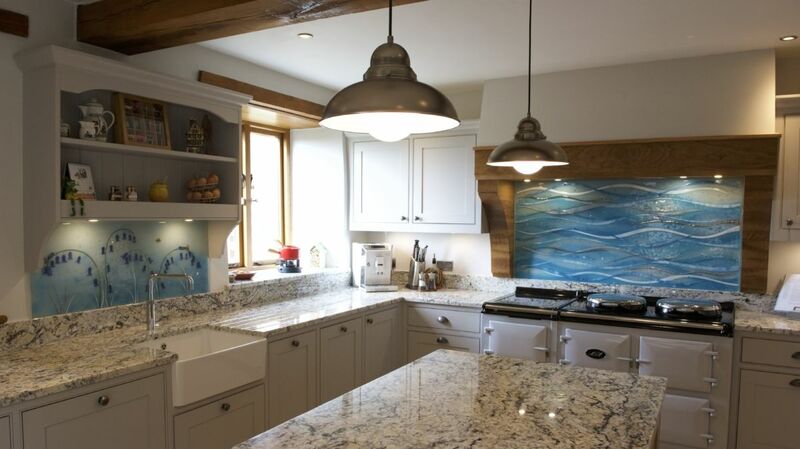 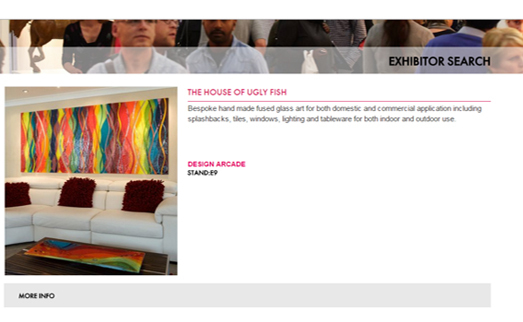 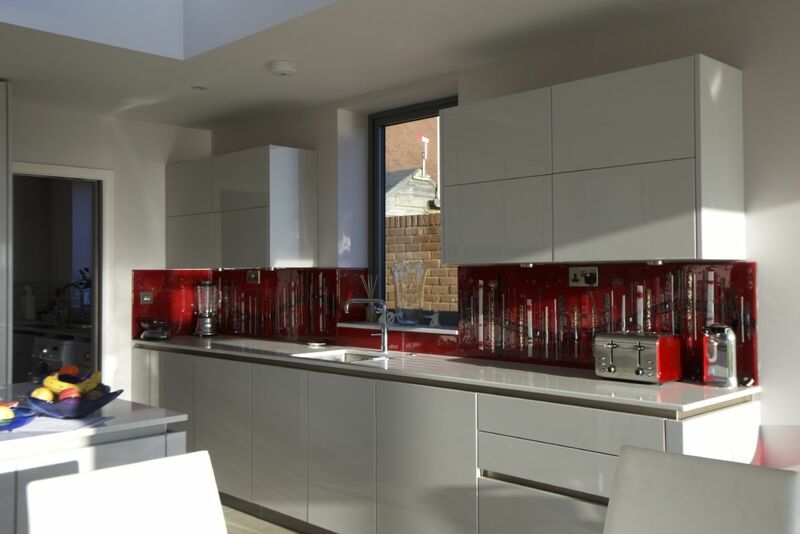 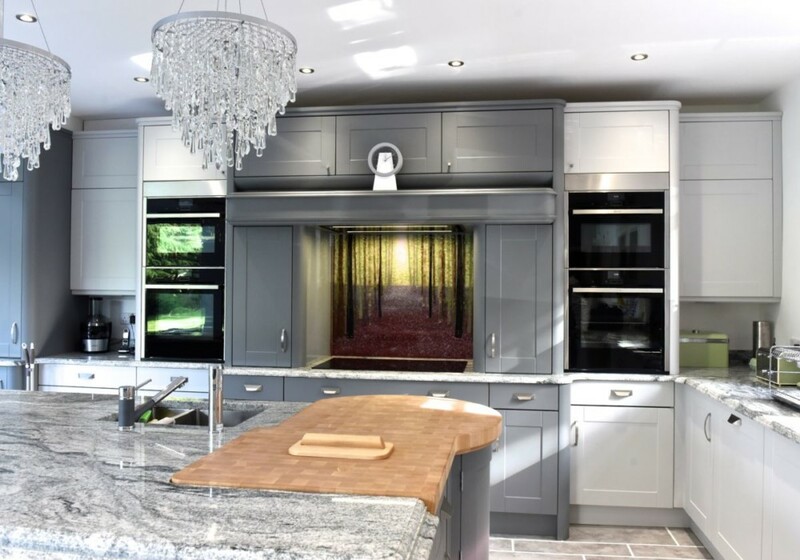 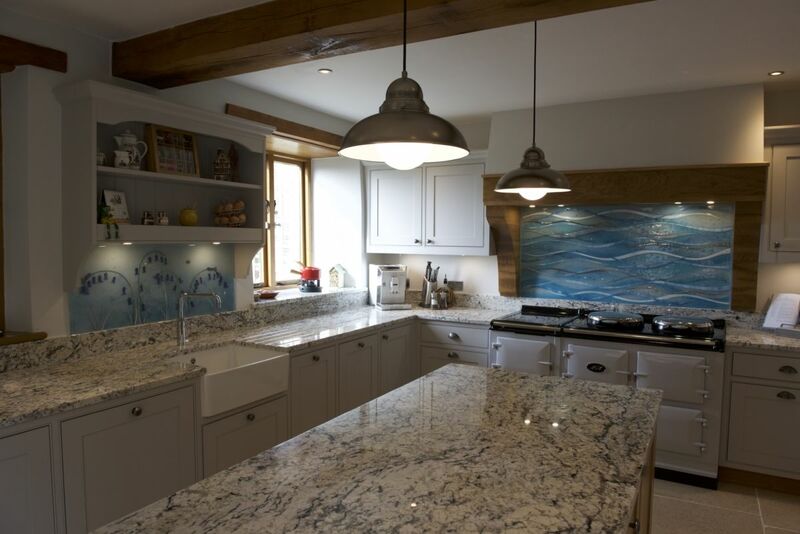 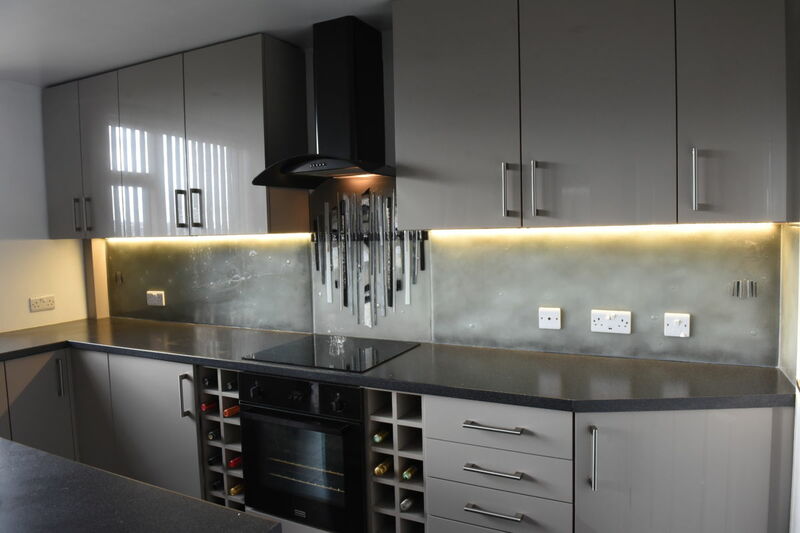 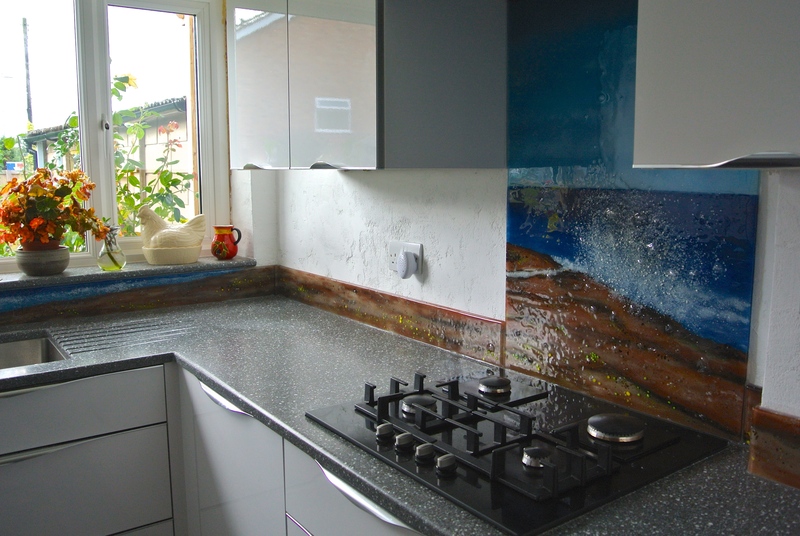 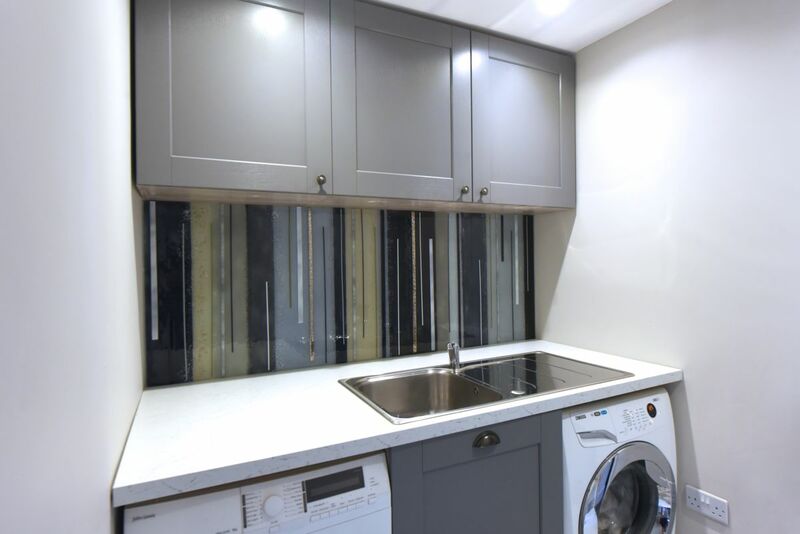 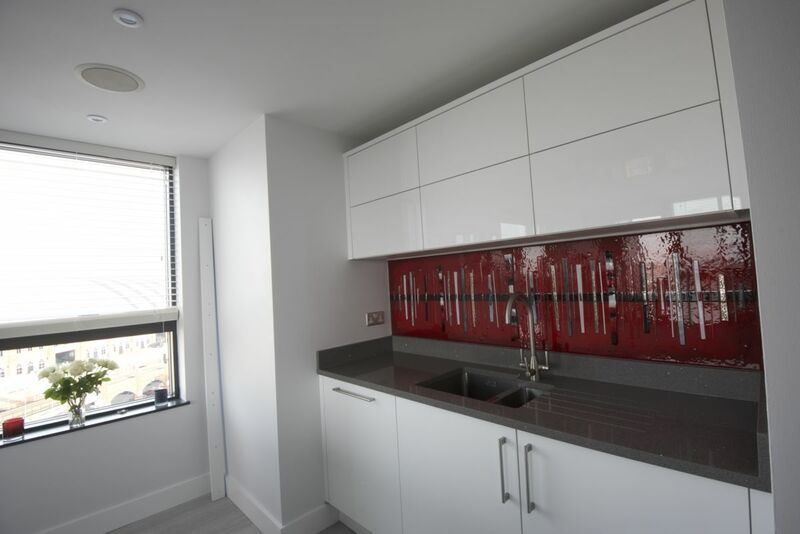 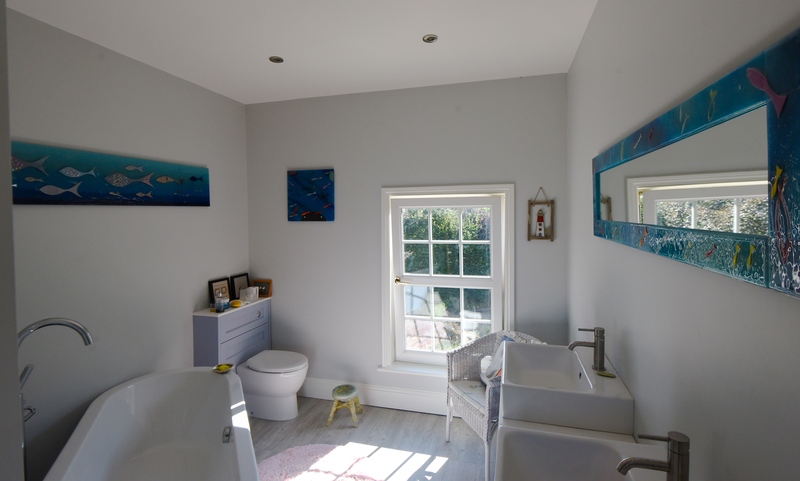 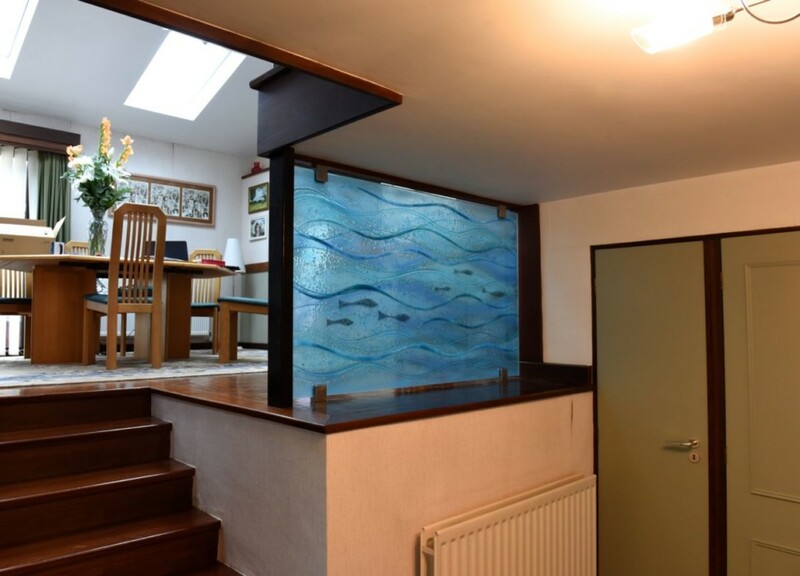 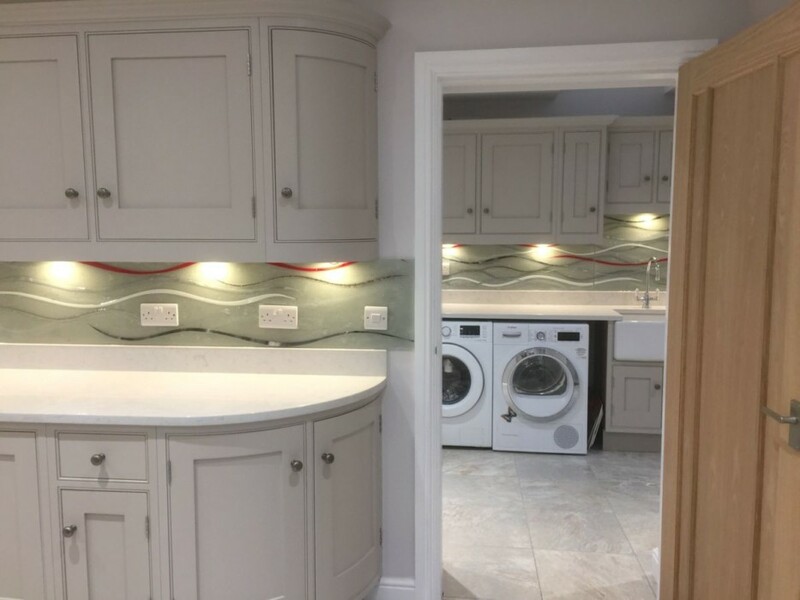 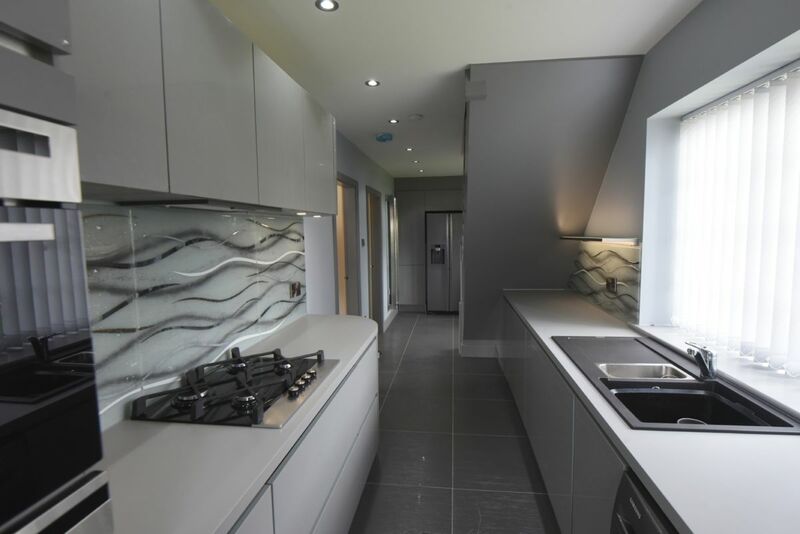 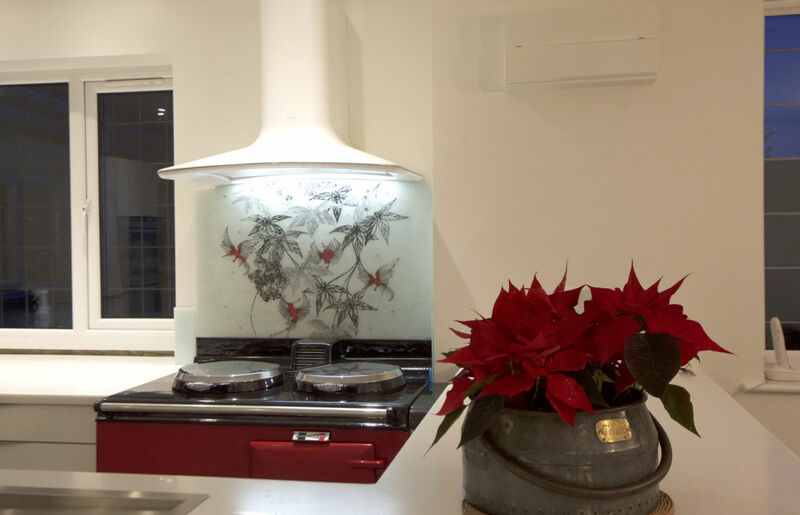 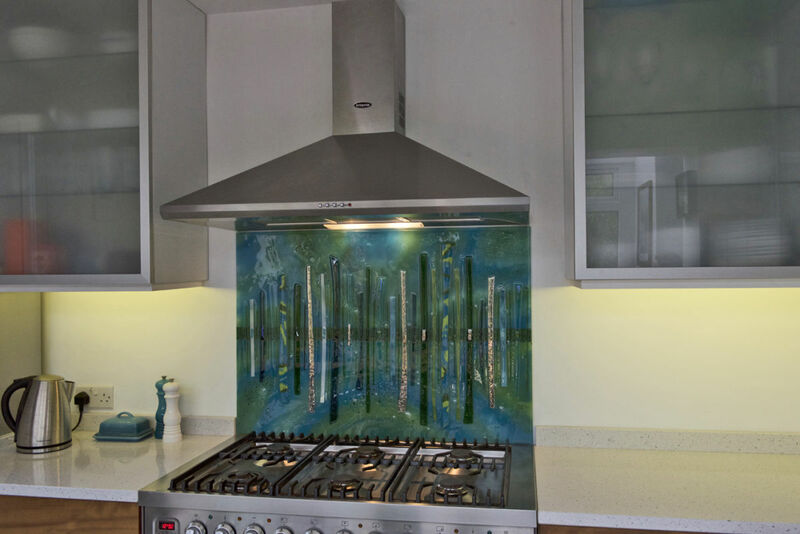 If you’ve been searching the market for that certain something a little more exciting than traditional coloured glass splashbacks, then The House of Ugly Fish is the perfect place to be. 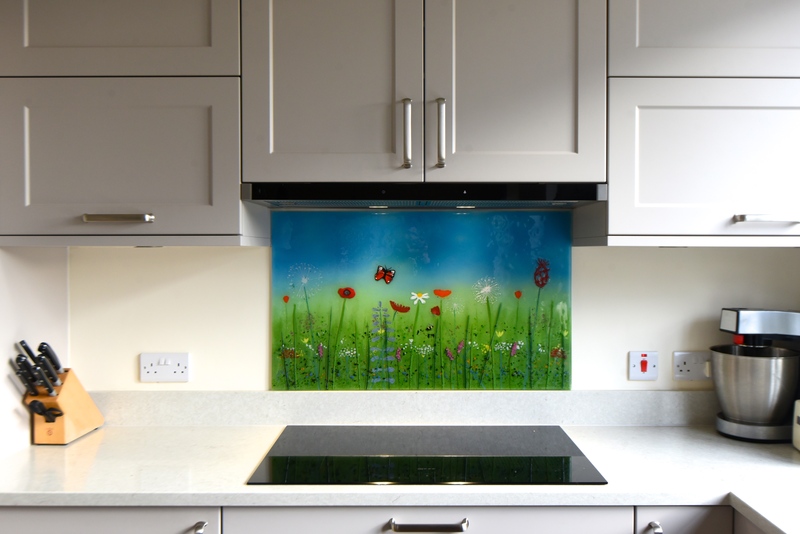 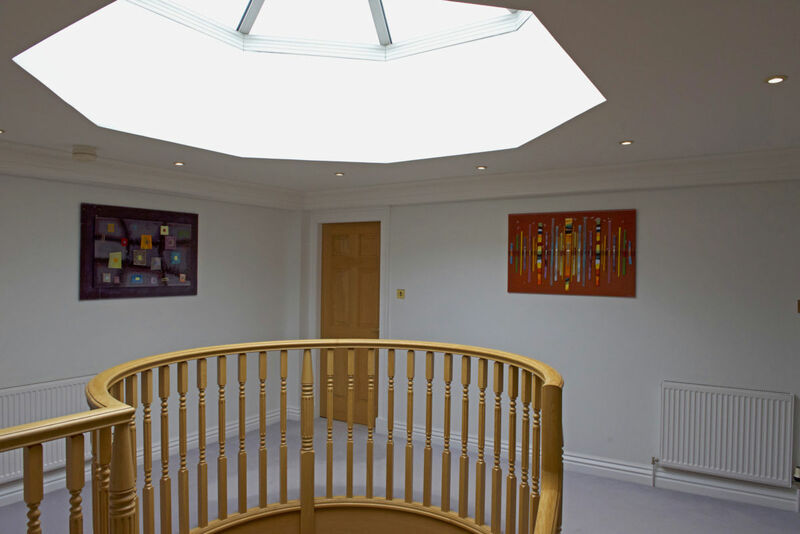 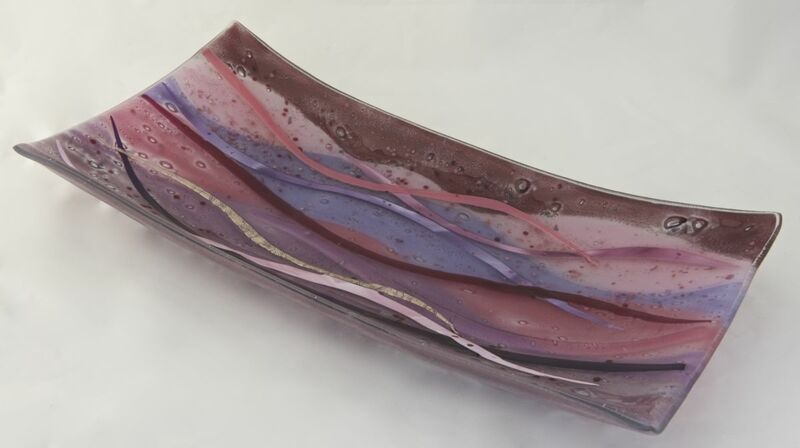 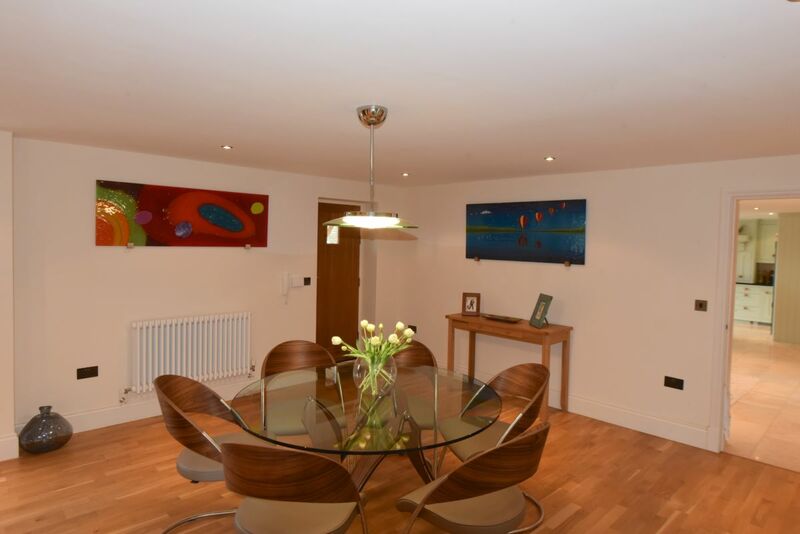 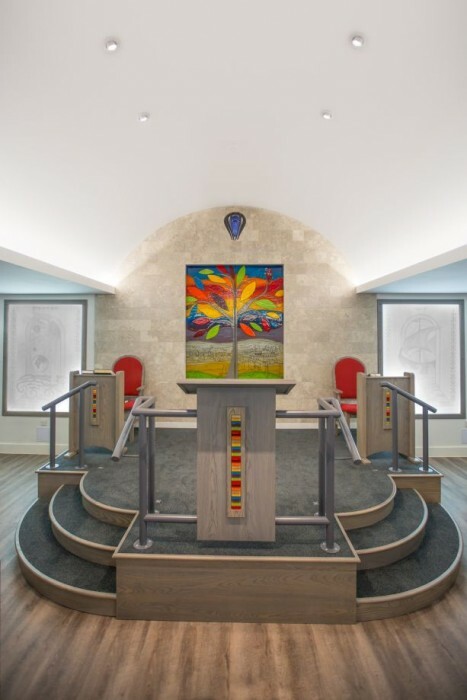 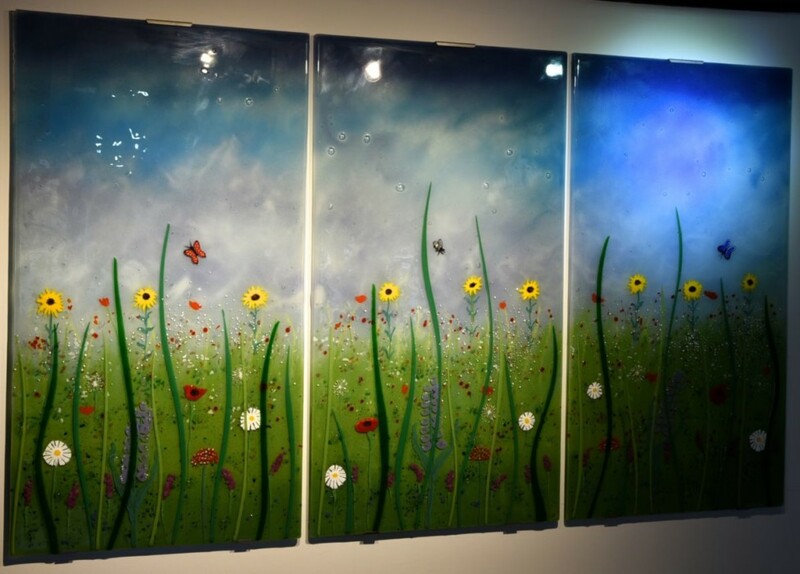 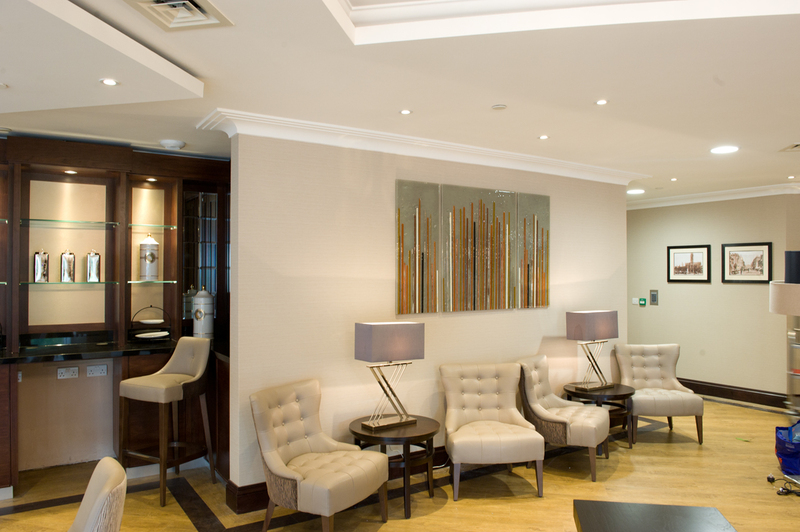 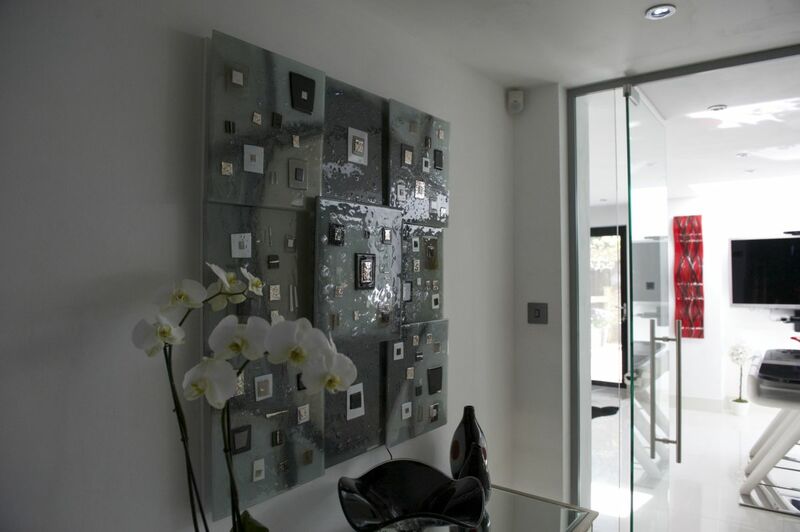 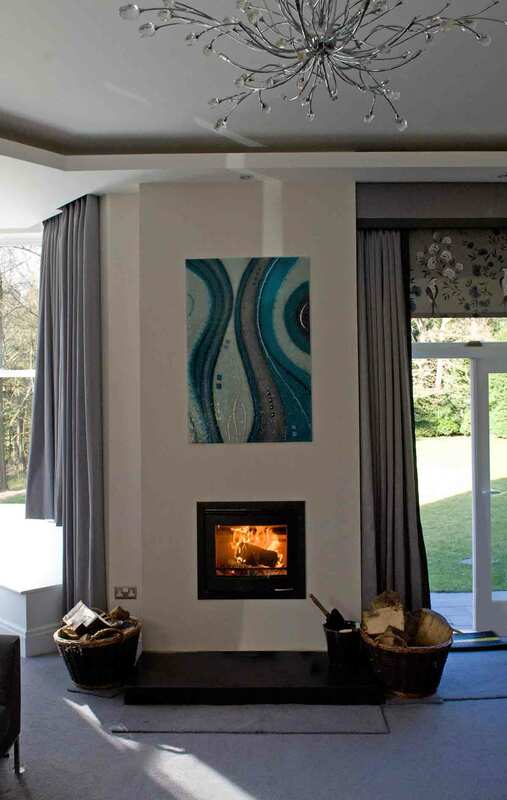 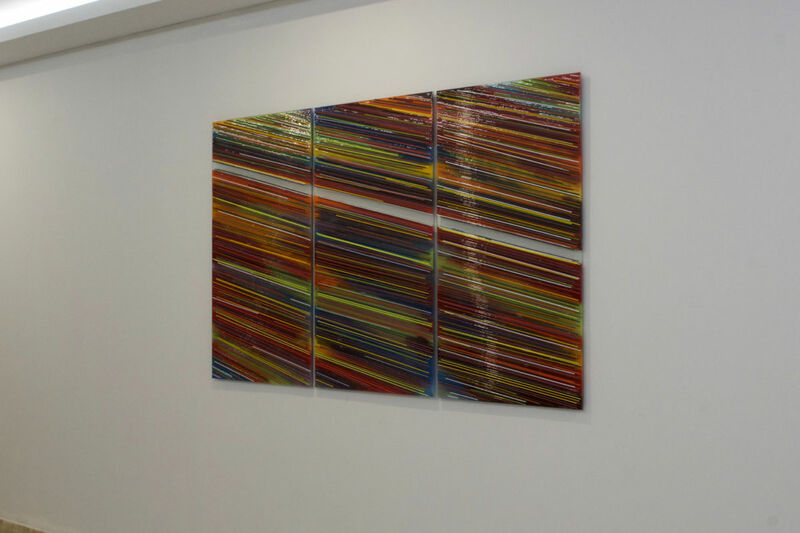 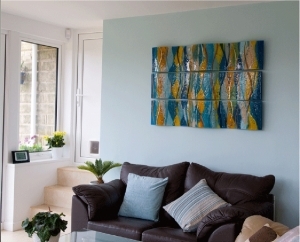 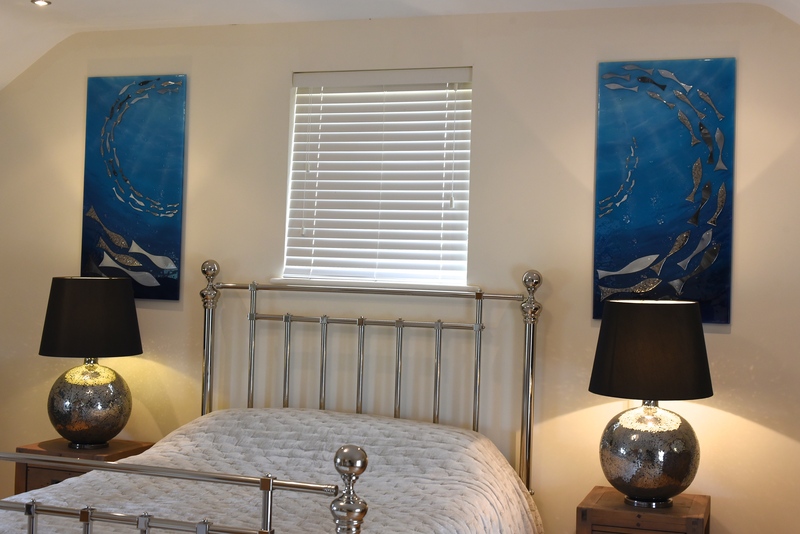 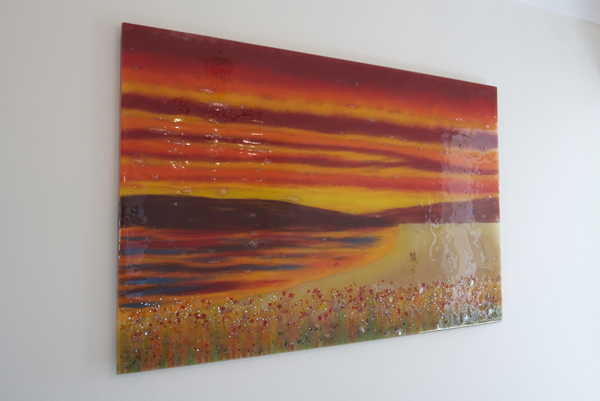 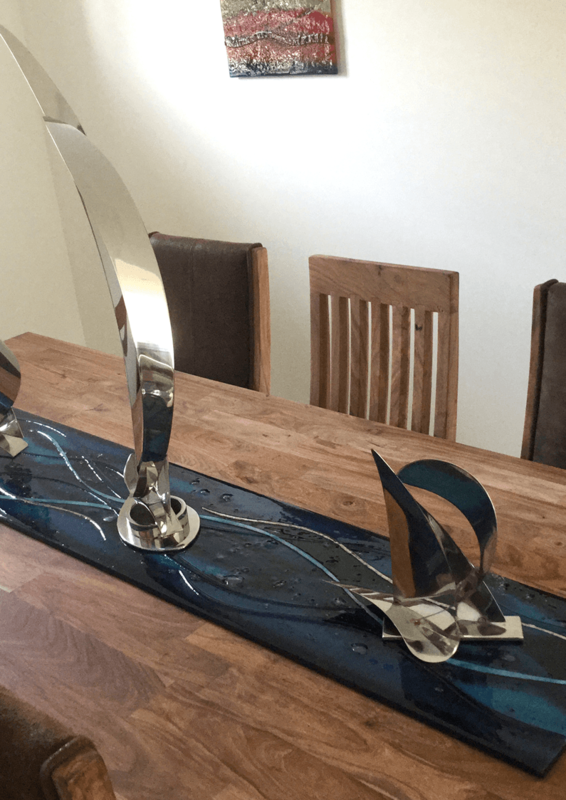 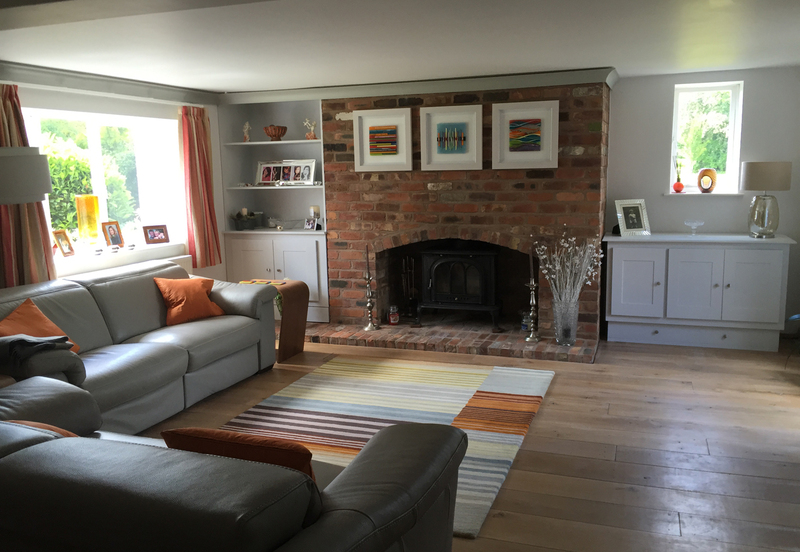 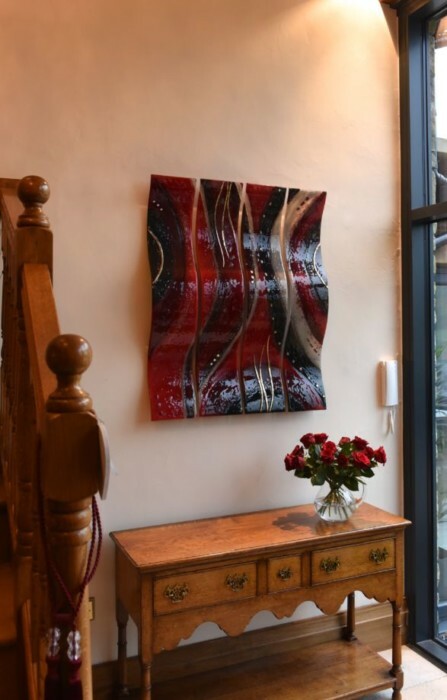 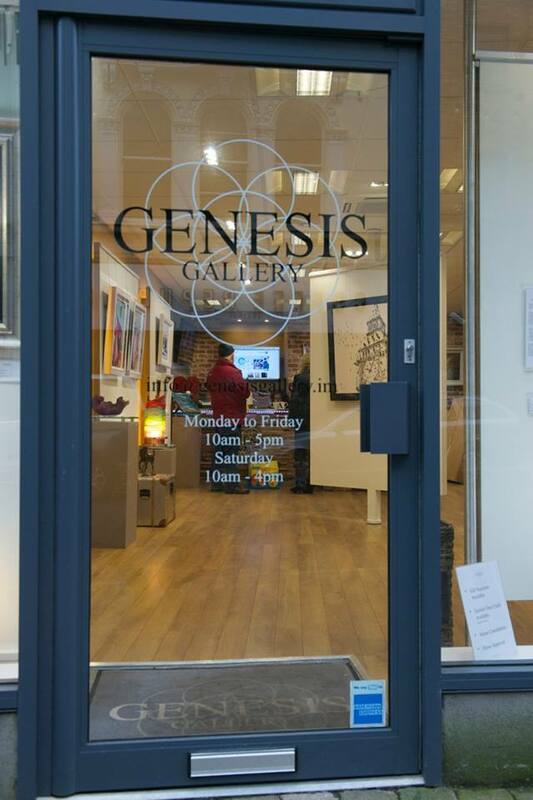 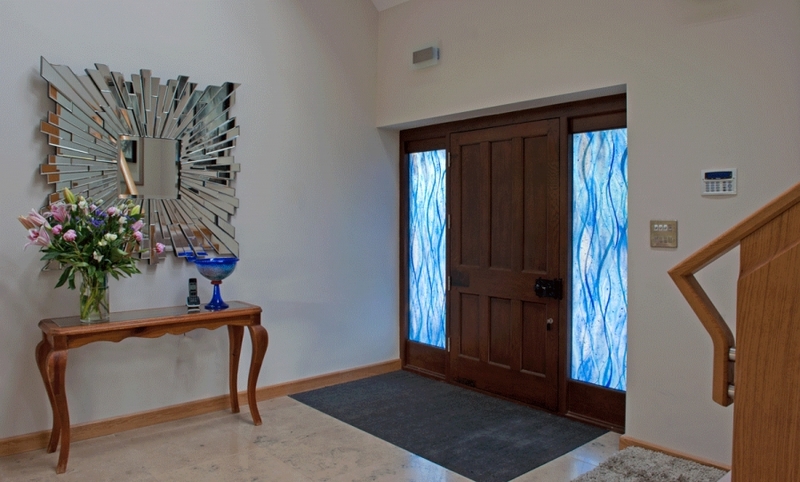 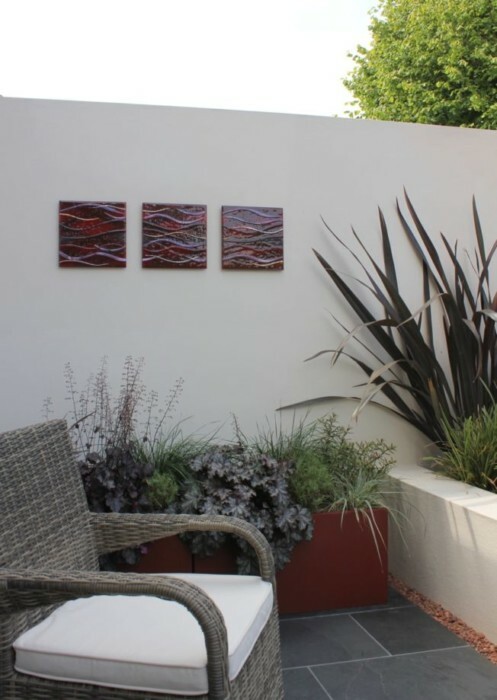 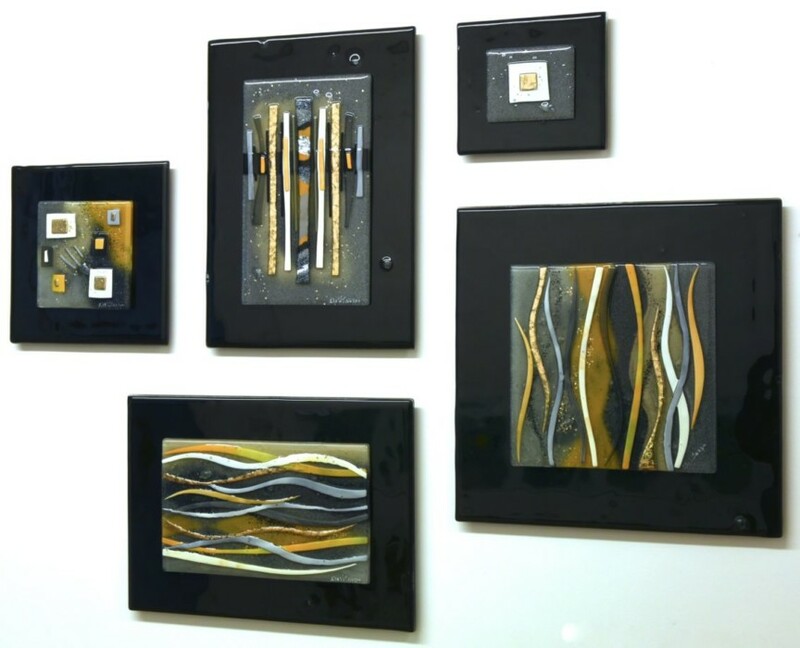 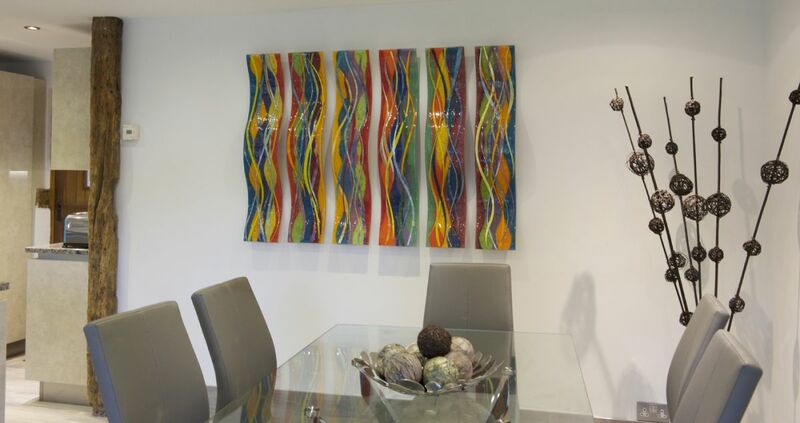 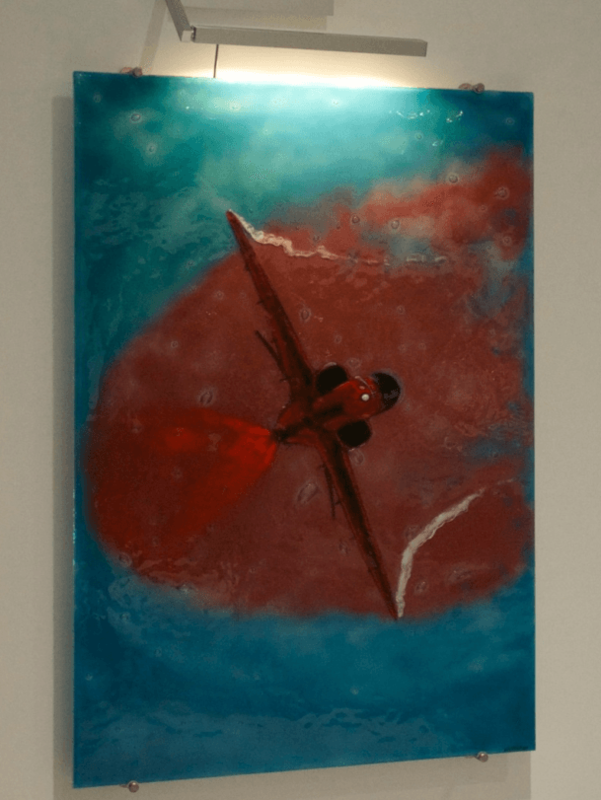 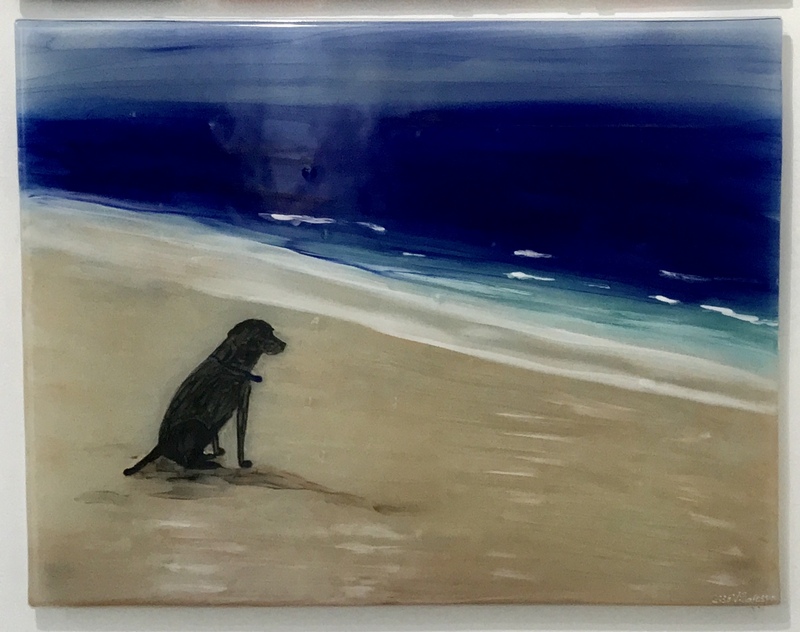 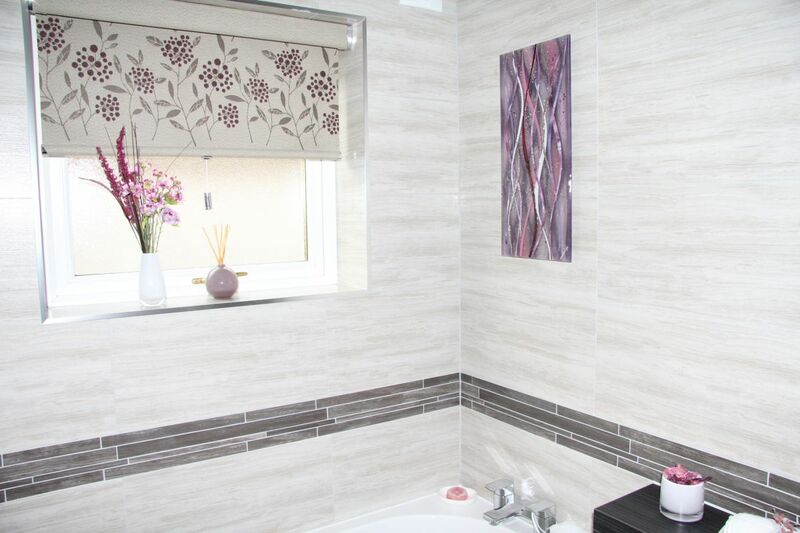 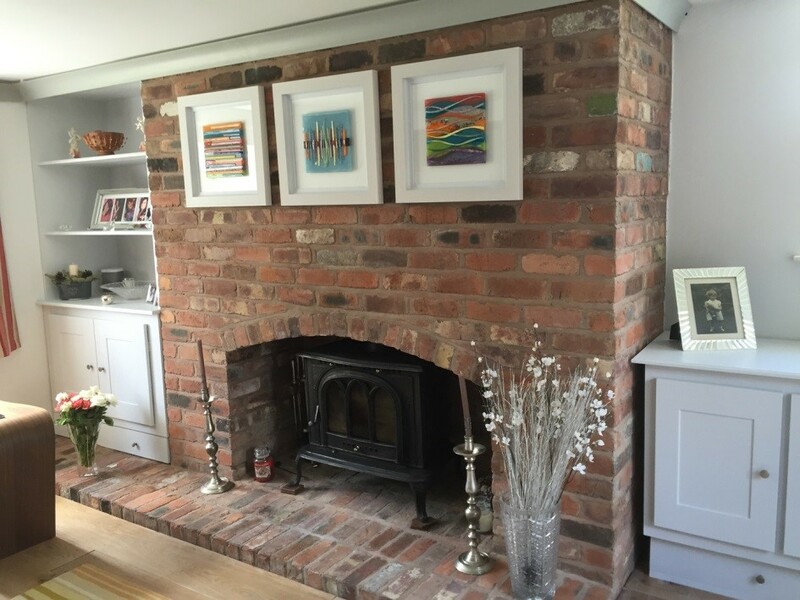 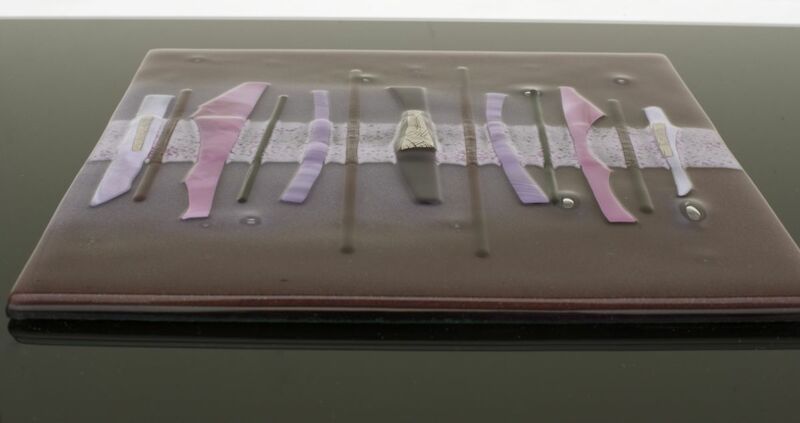 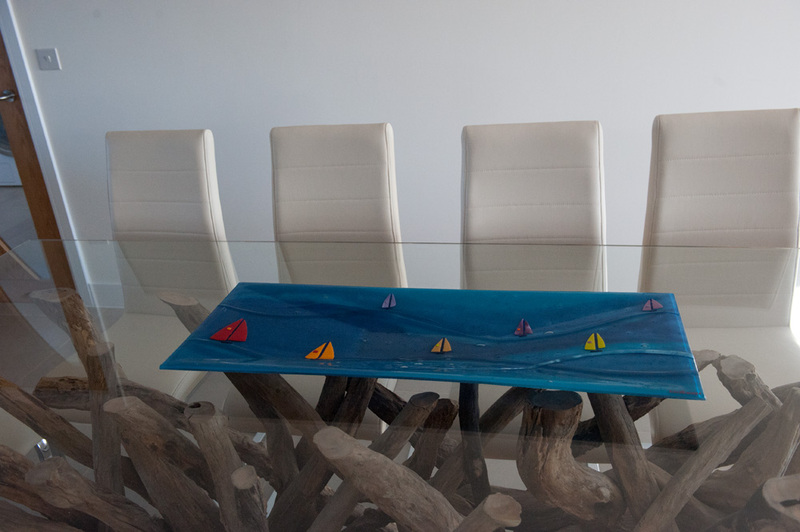 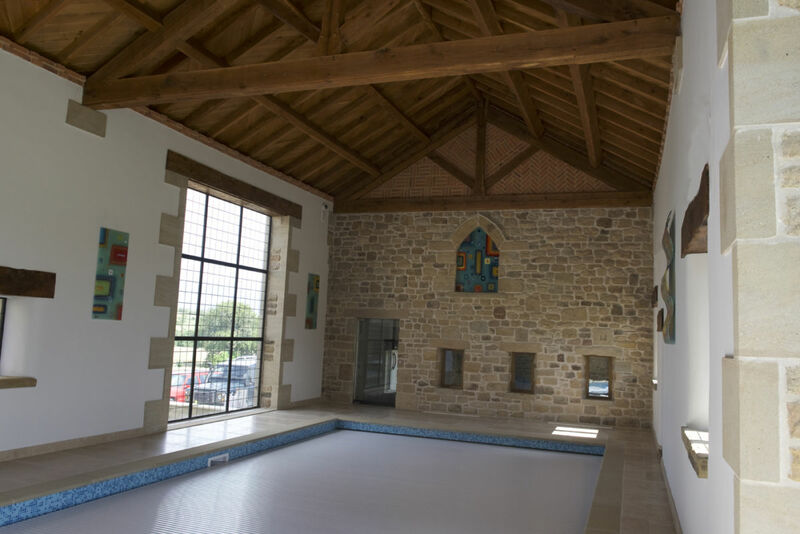 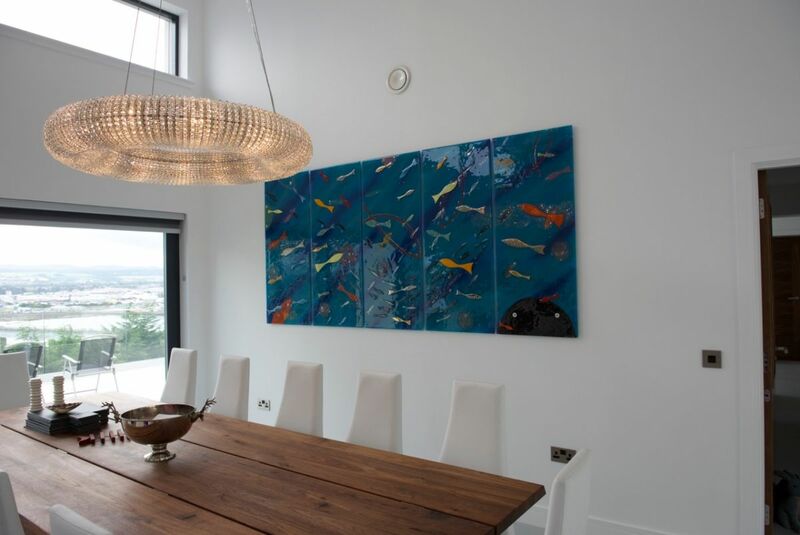 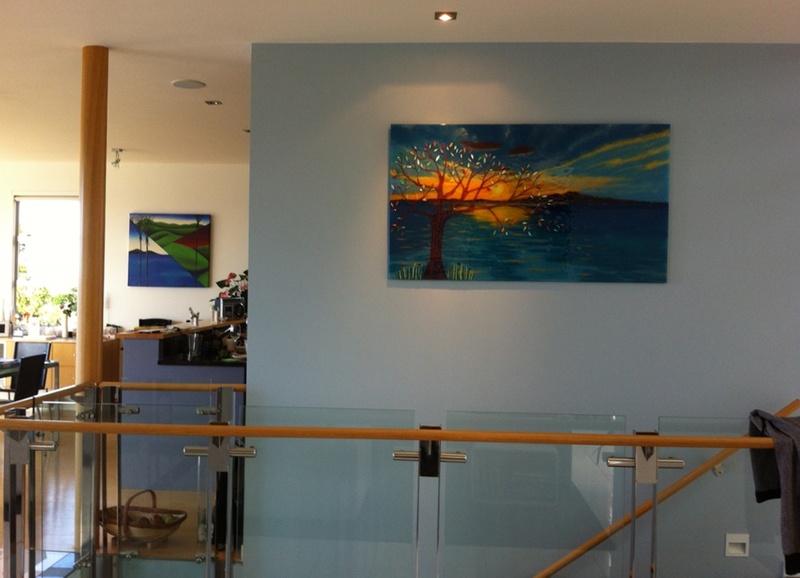 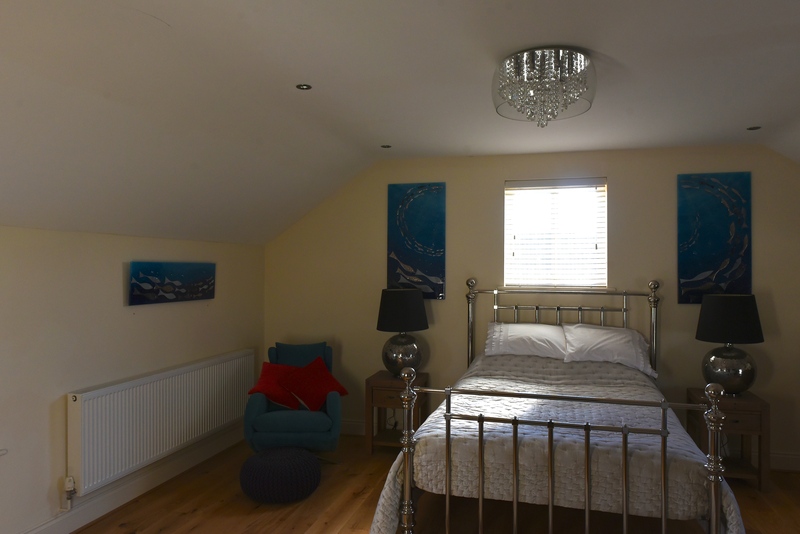 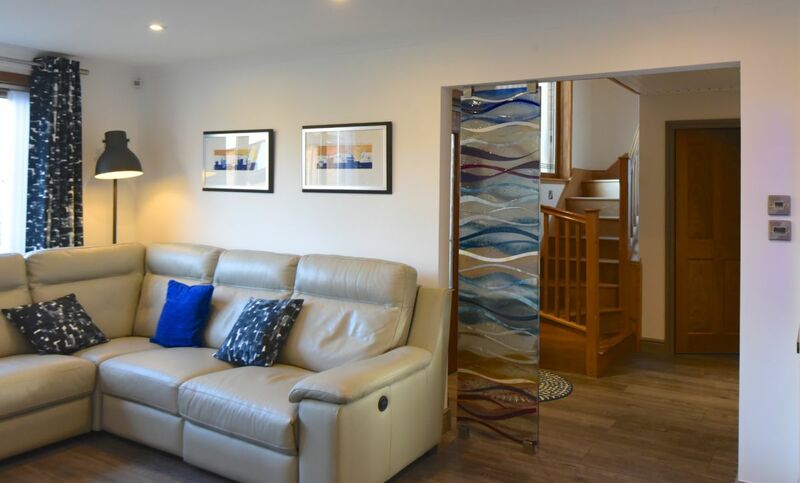 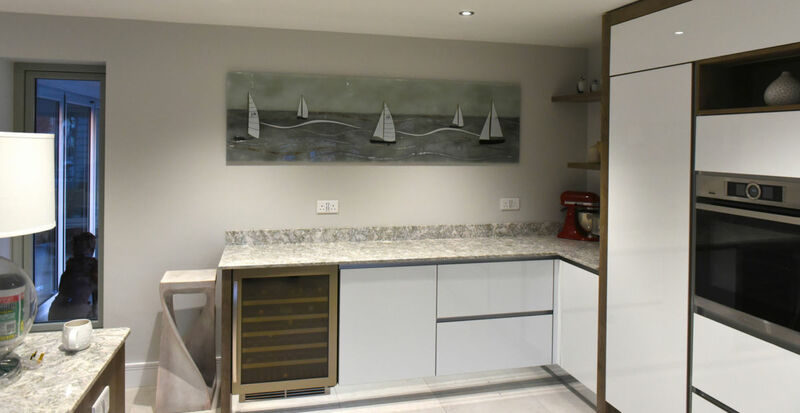 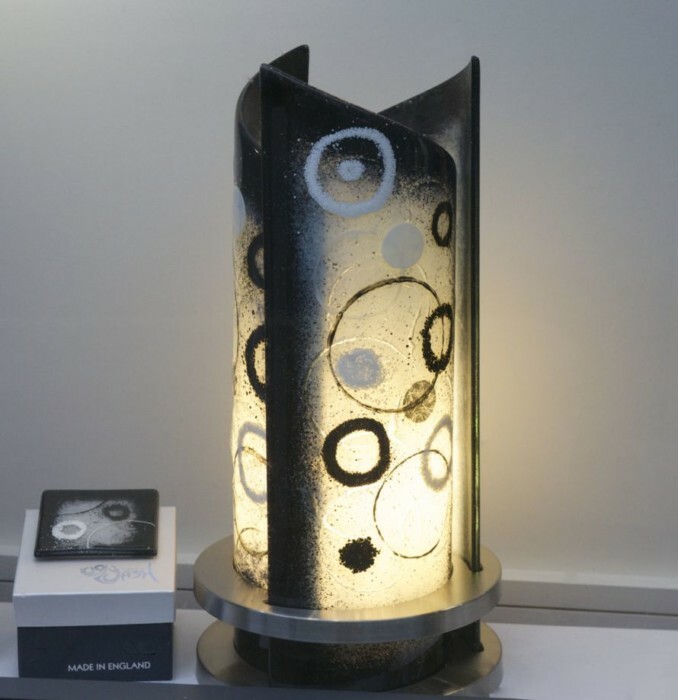 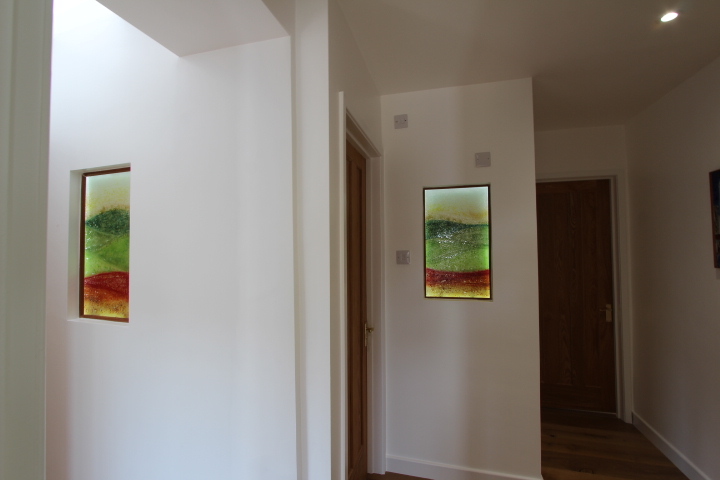 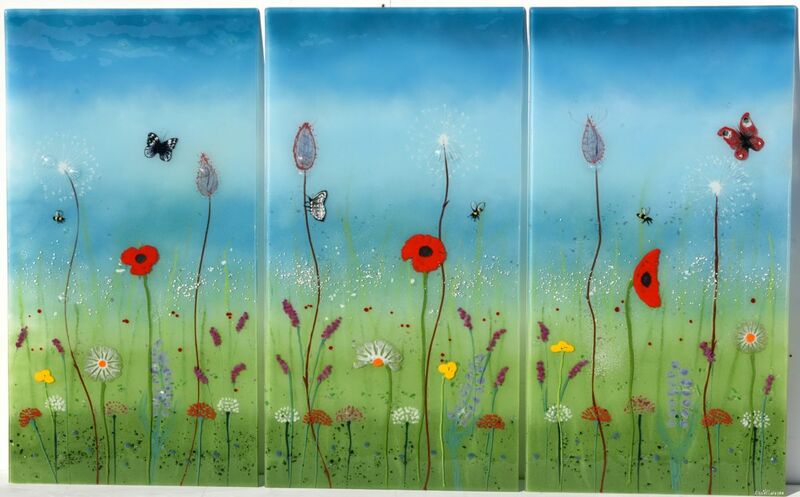 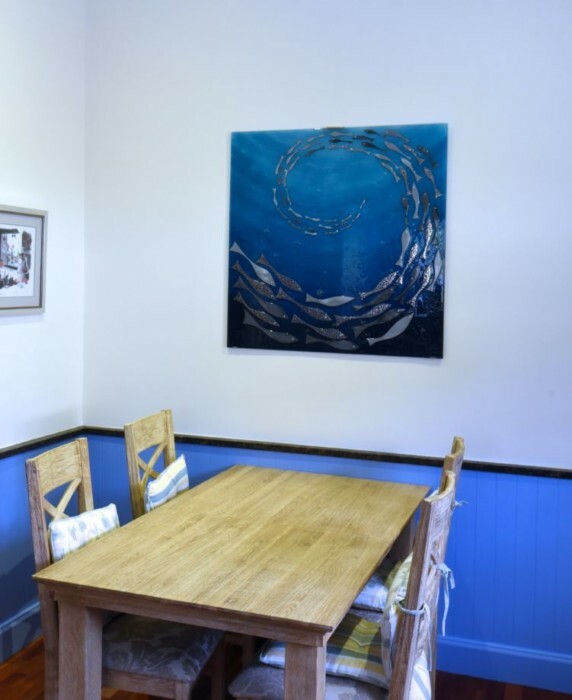 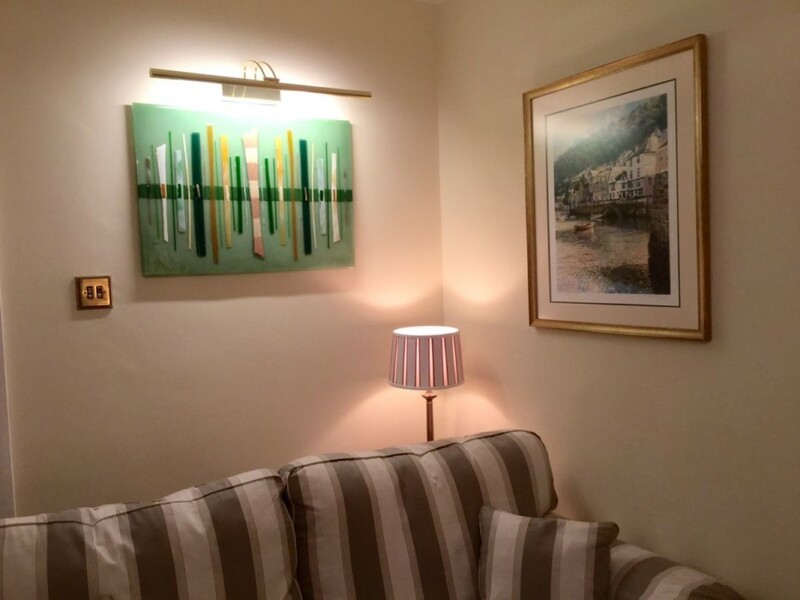 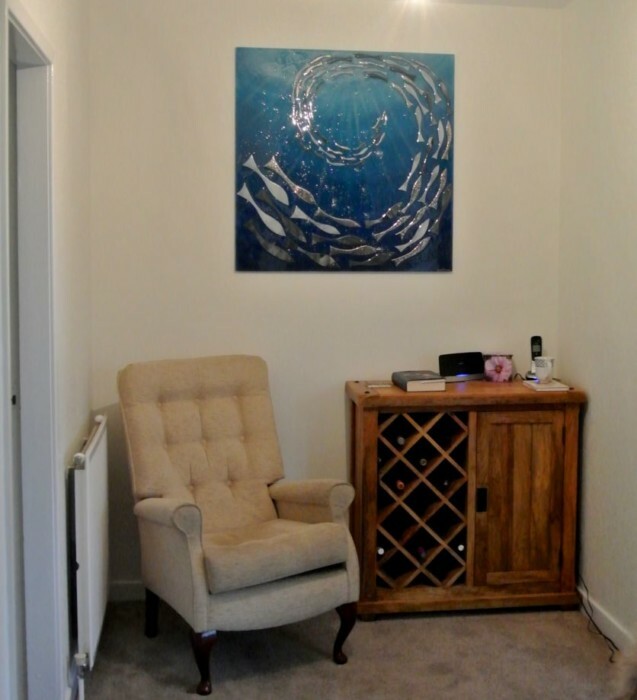 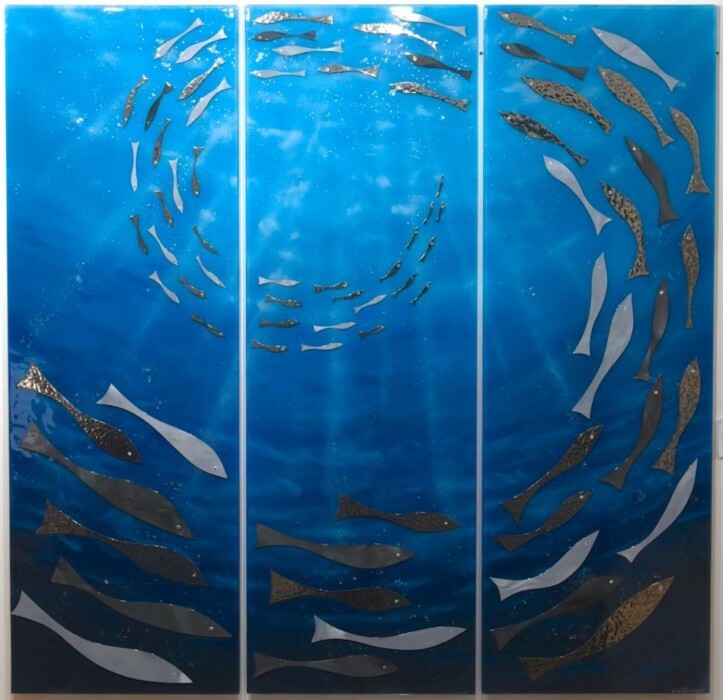 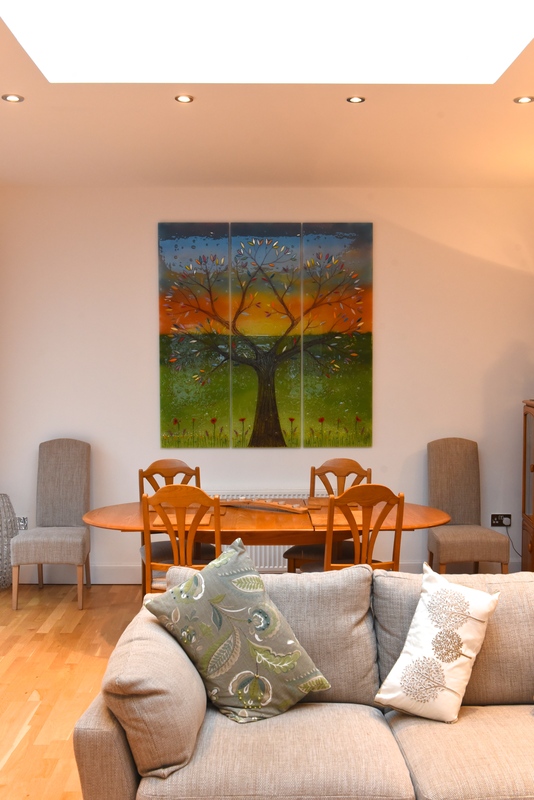 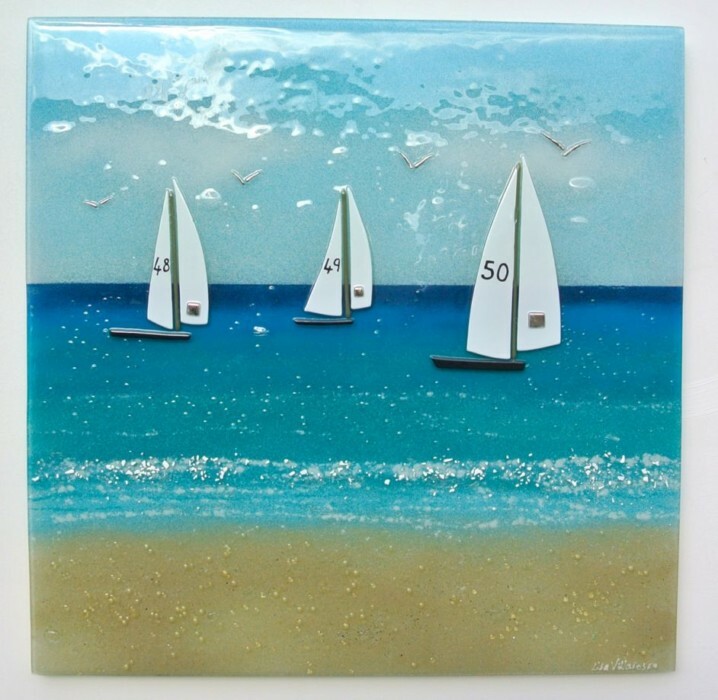 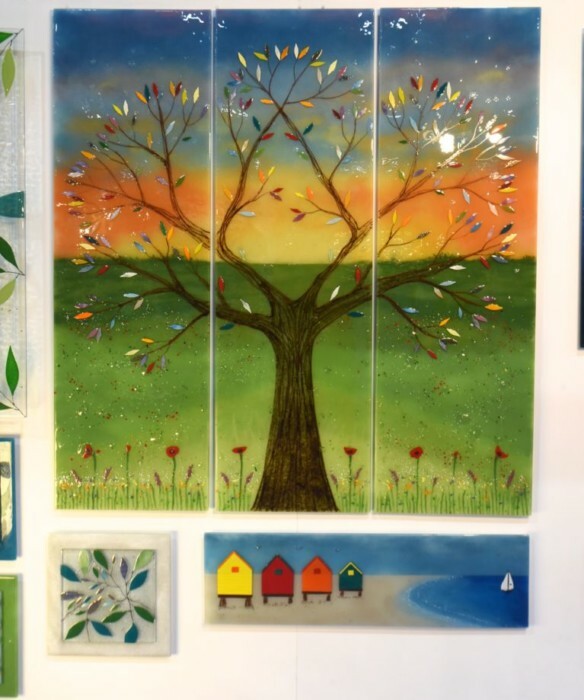 Our fused glass art is created by hand, making each piece a bespoke work of genuine art that perfectly suits and complements whatever space you have in mind. 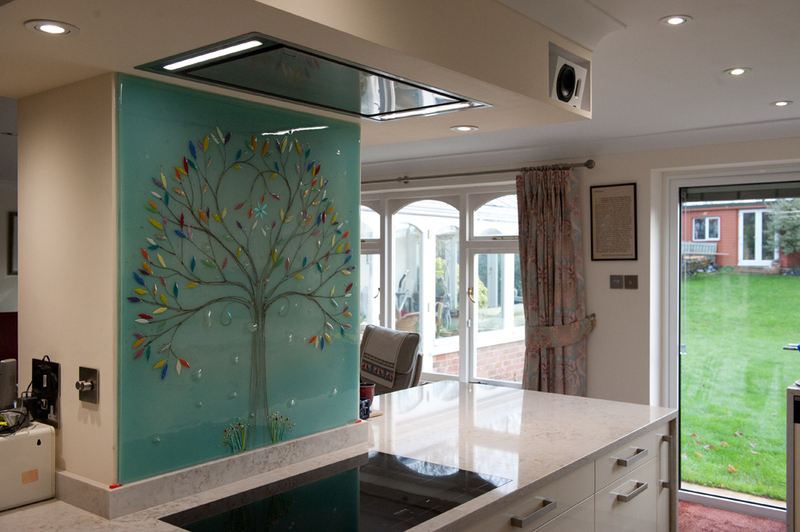 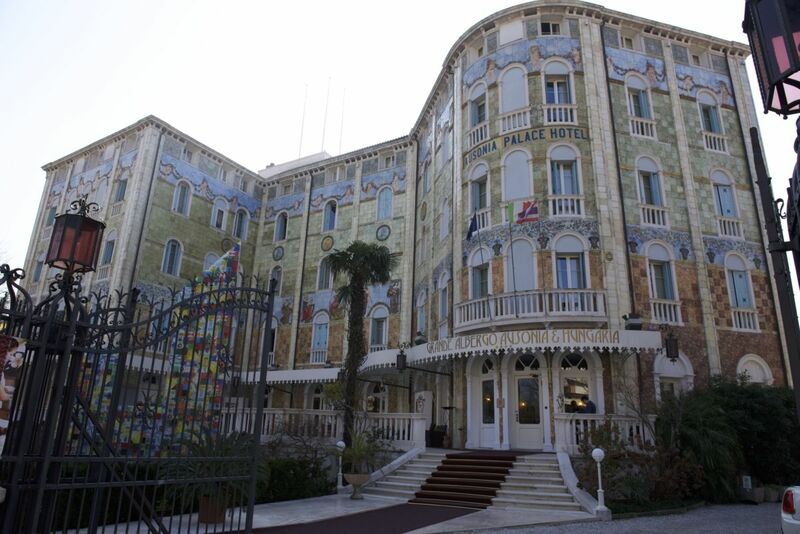 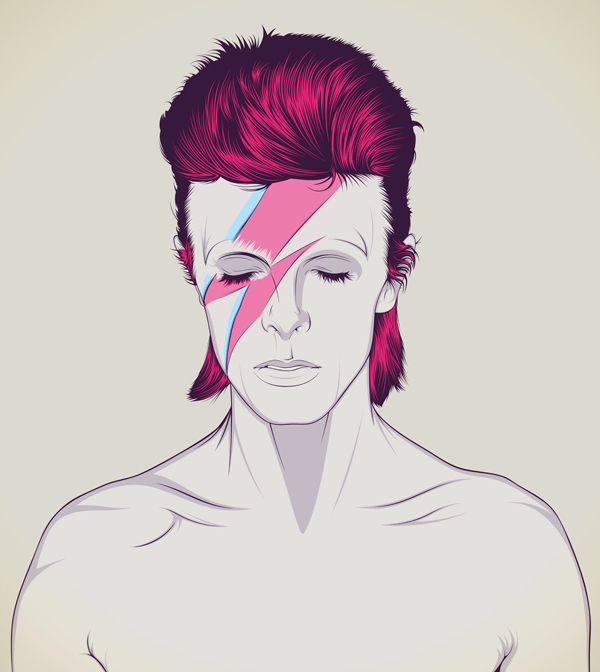 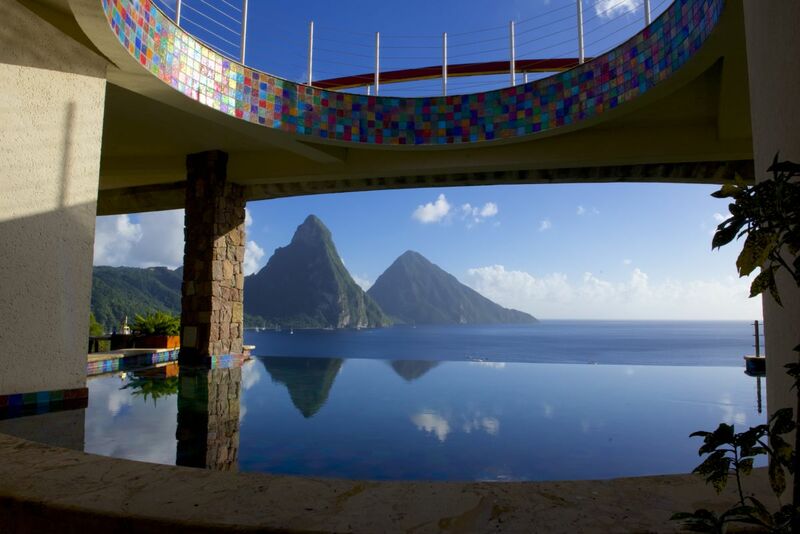 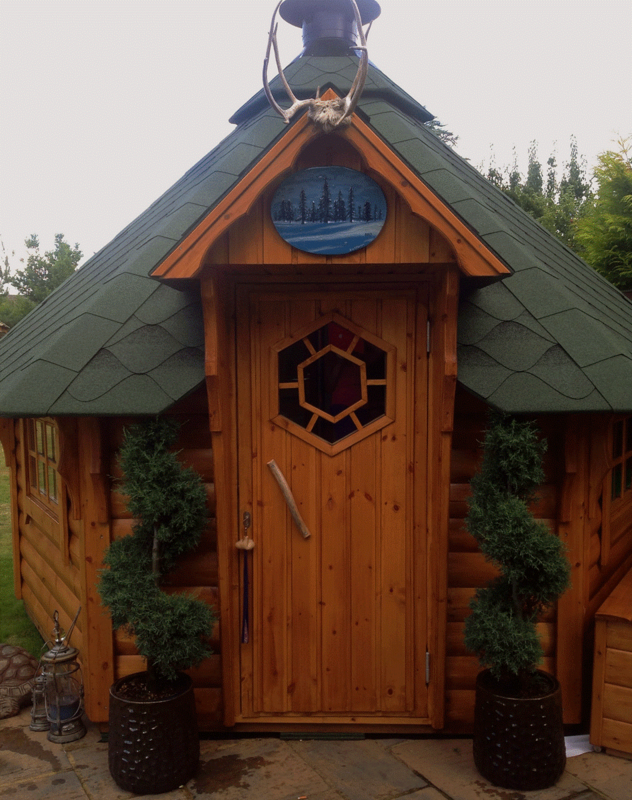 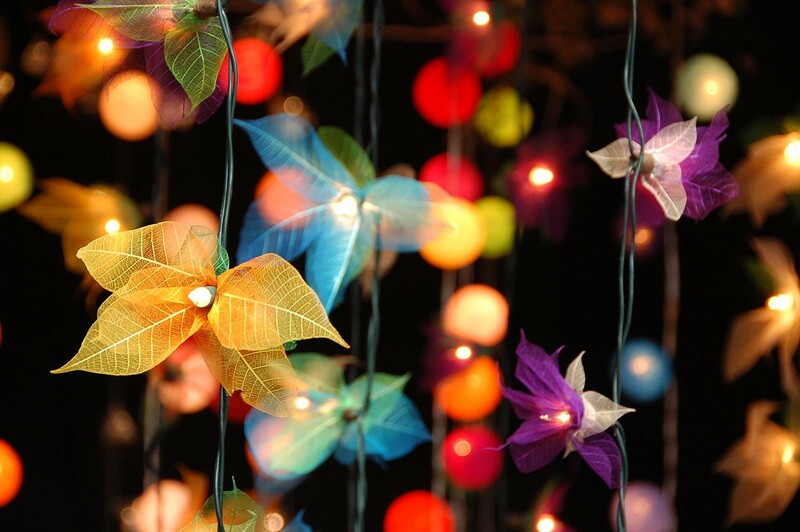 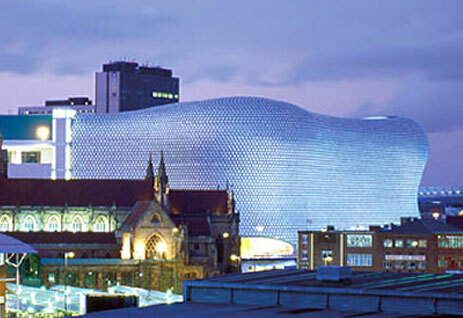 No matter how simple or complex the design, the end result is guaranteed to make your jaw drop. 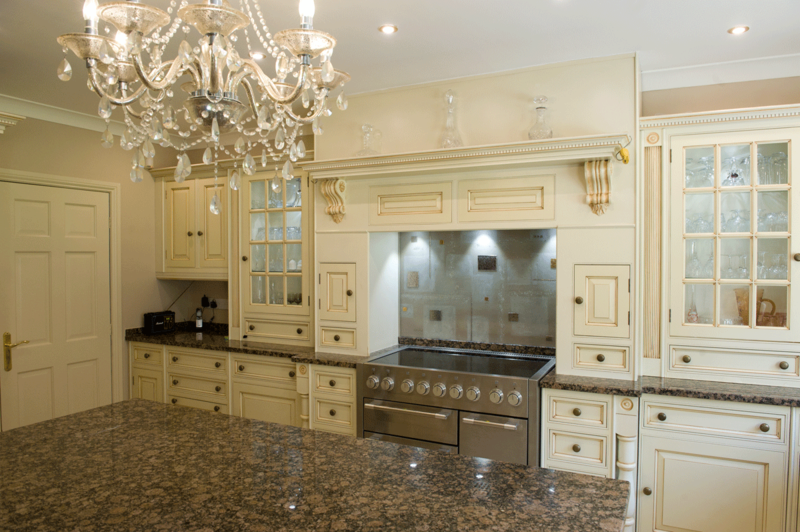 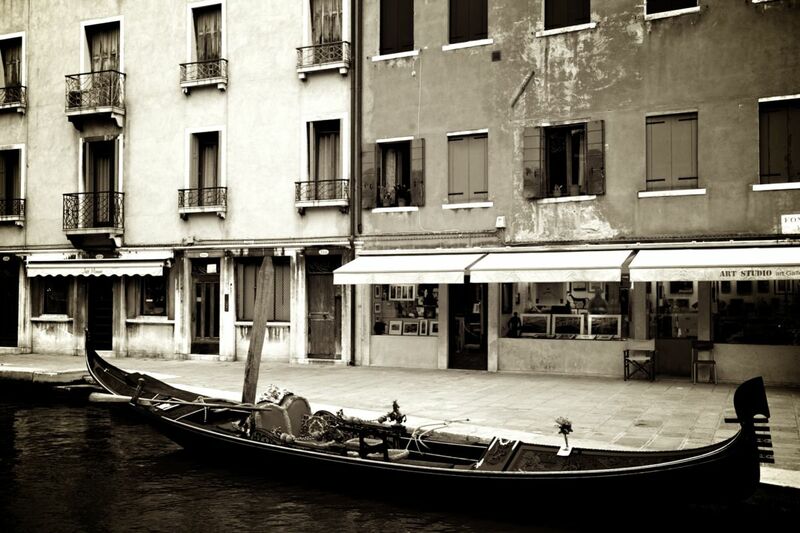 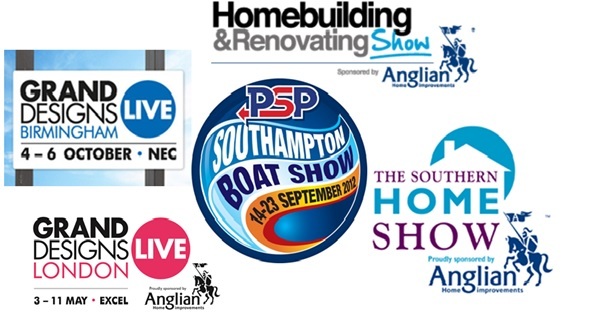 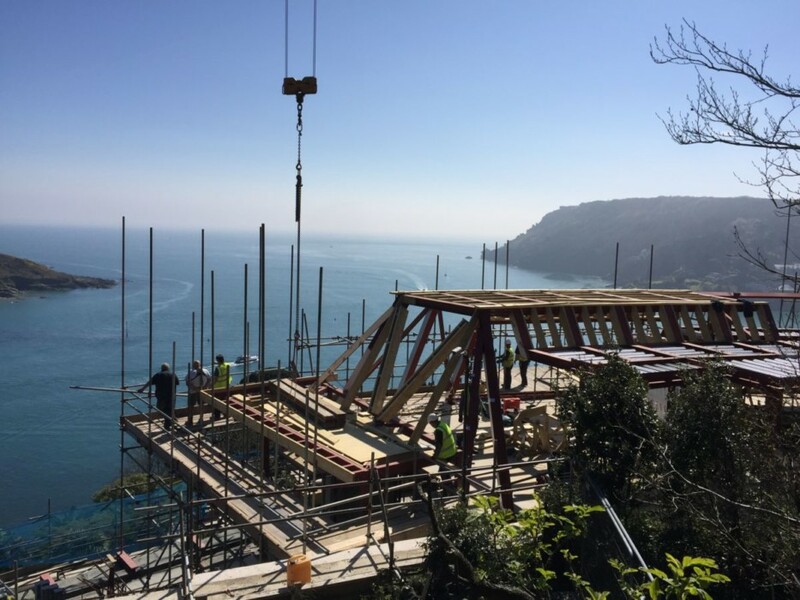 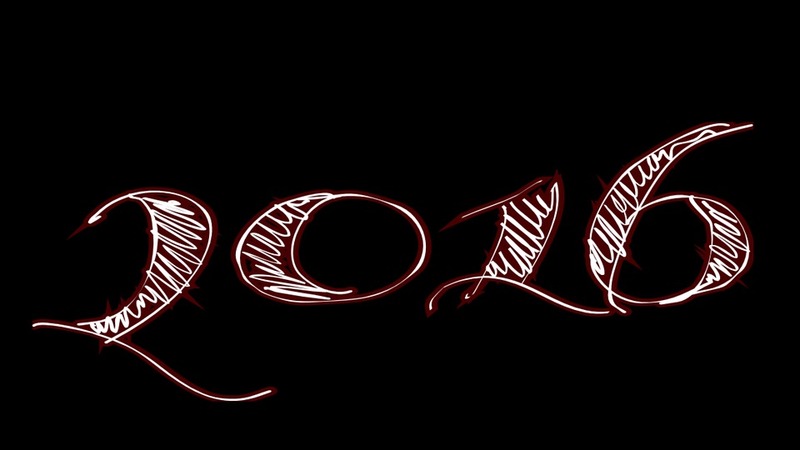 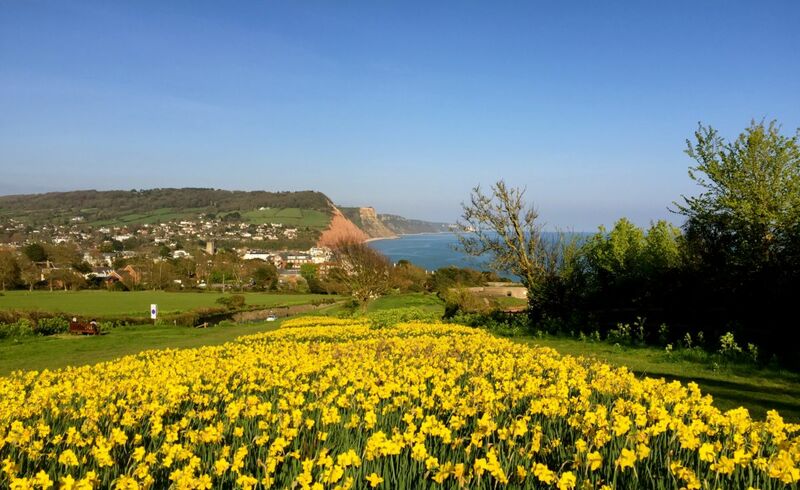 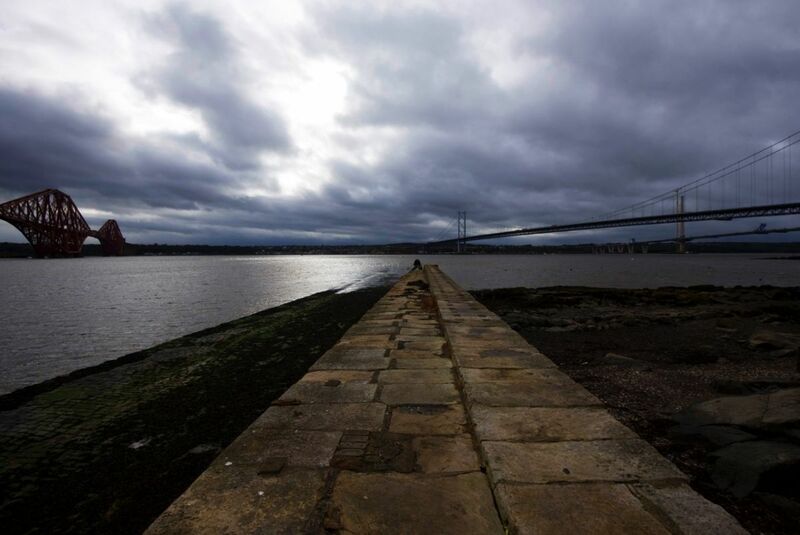 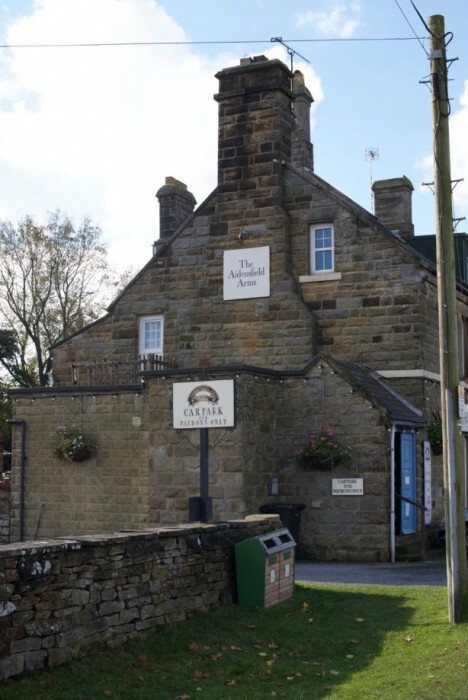 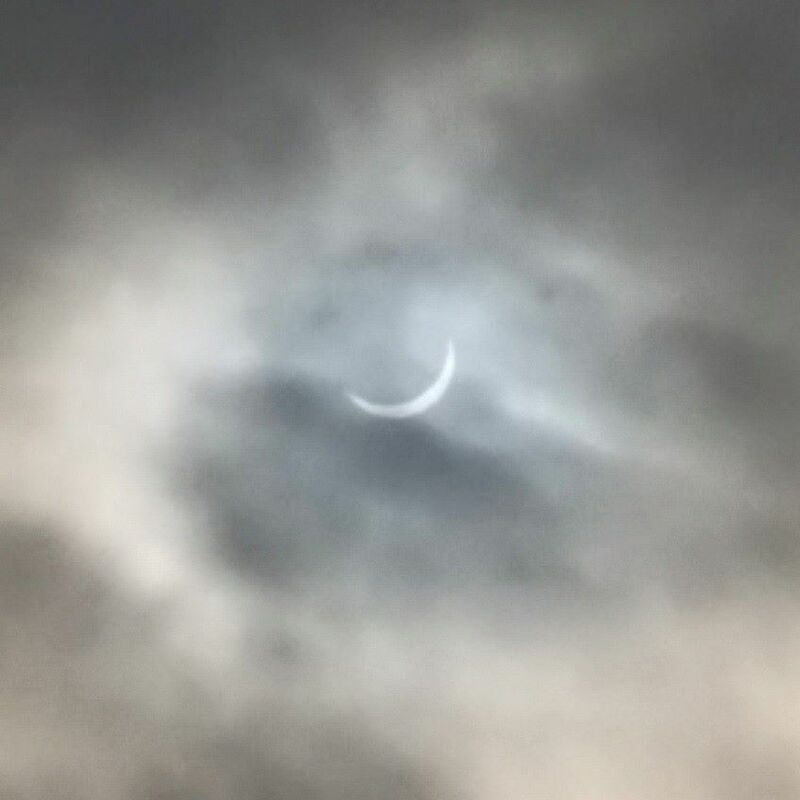 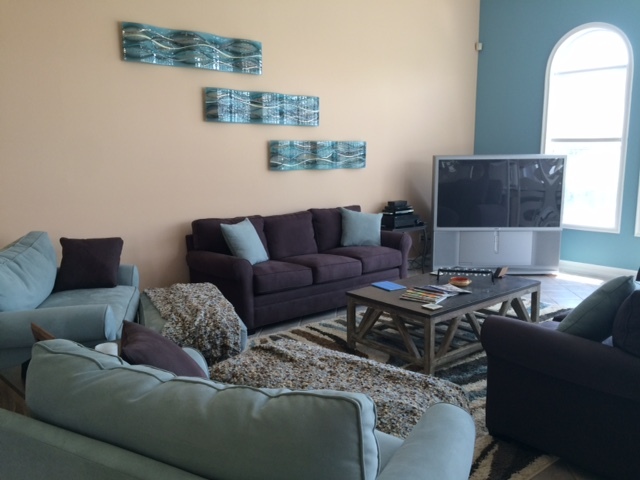 Give us a call or drop us an email today!